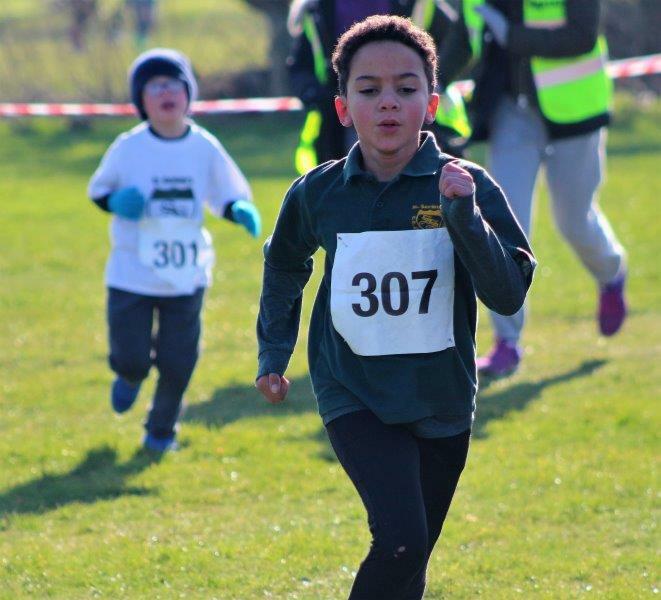 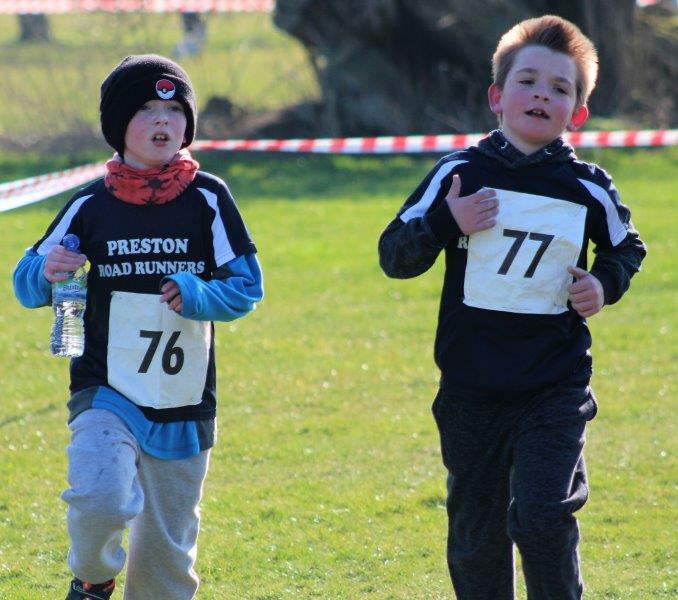 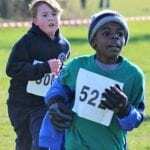 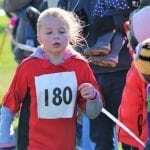 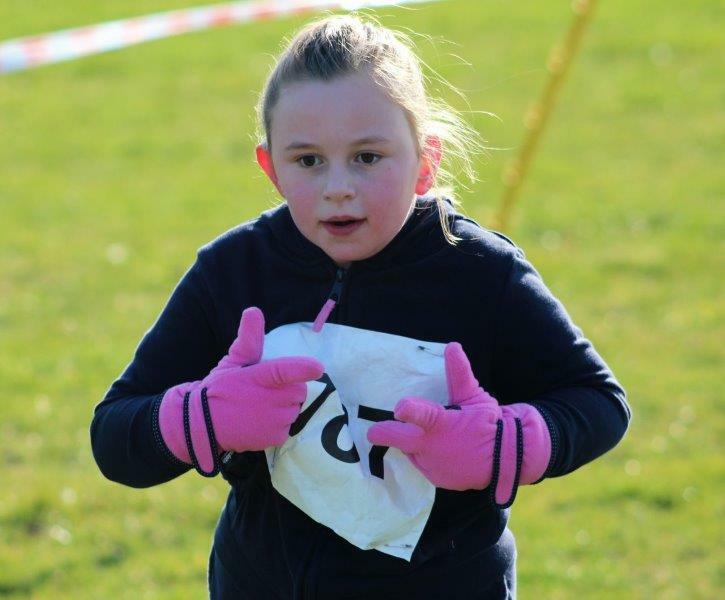 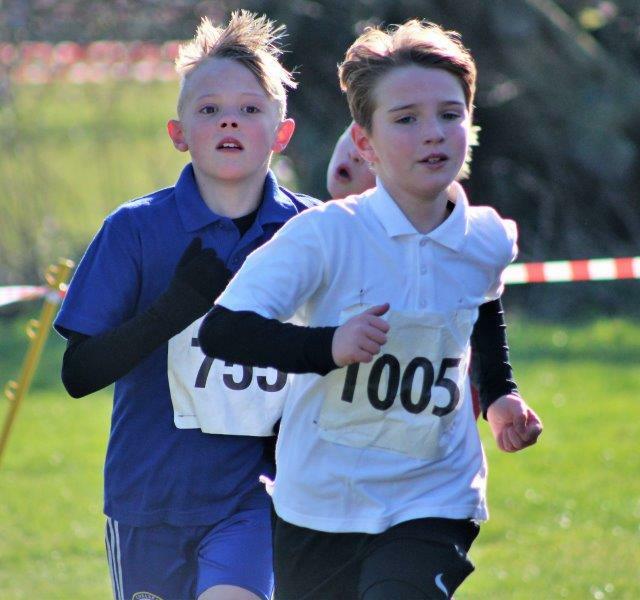 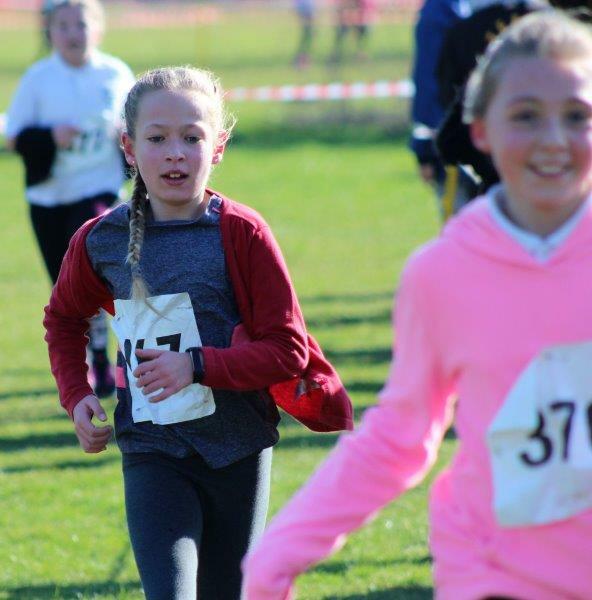 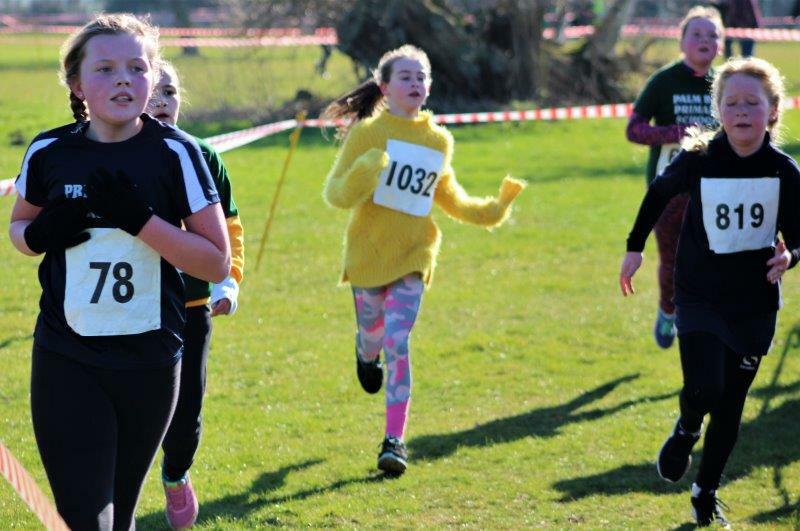 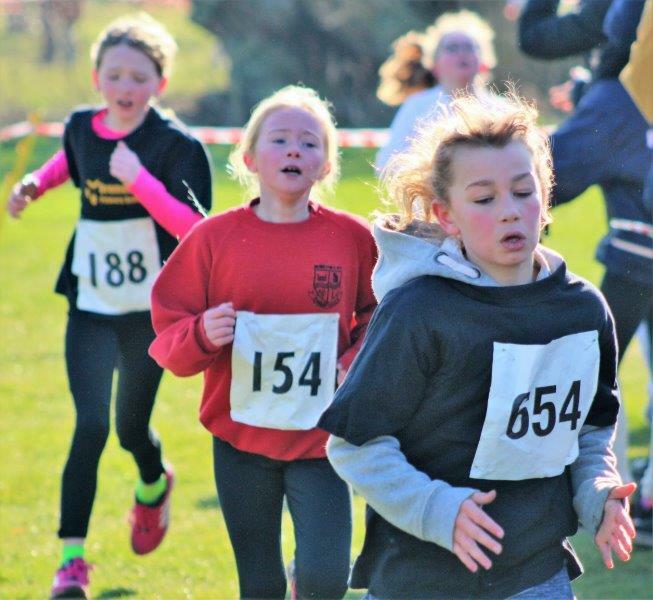 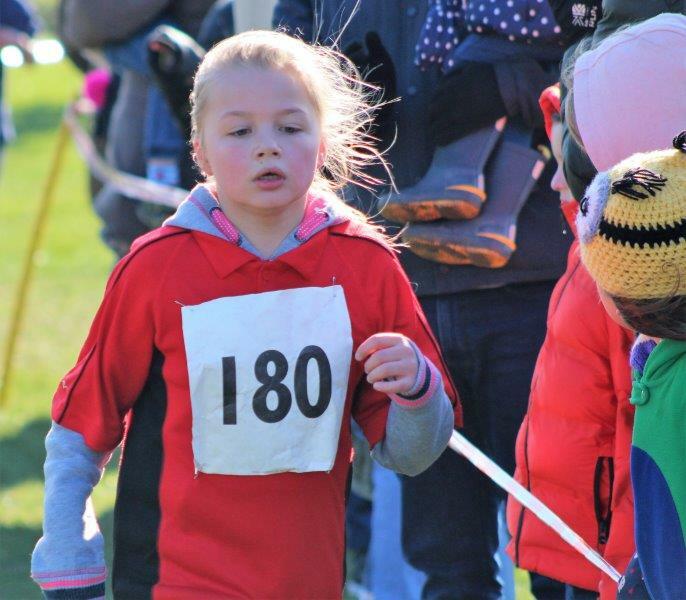 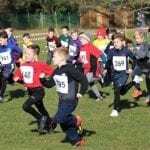 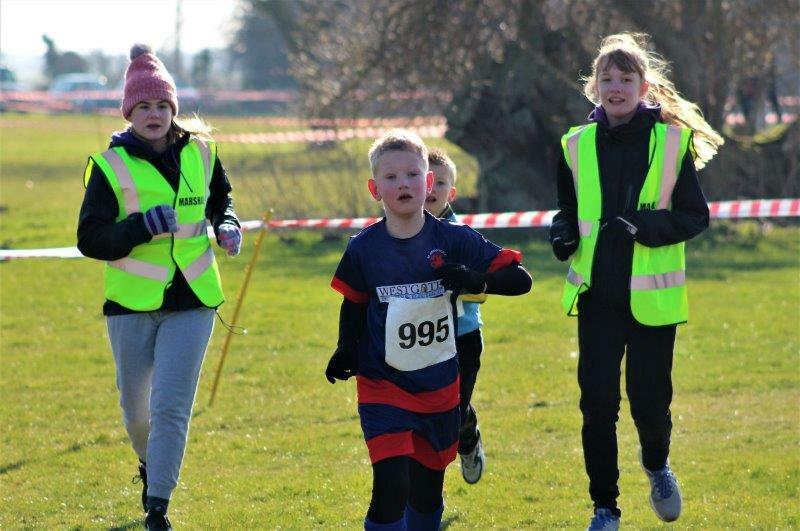 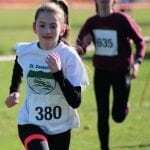 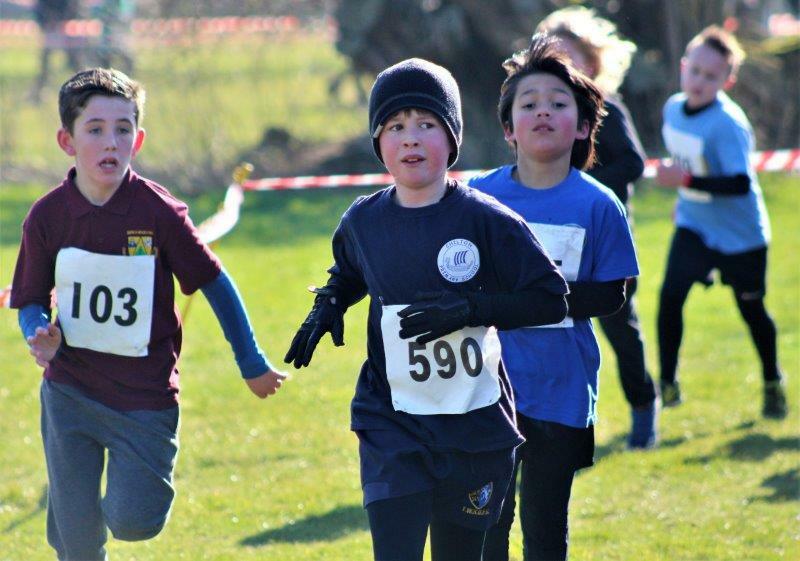 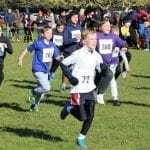 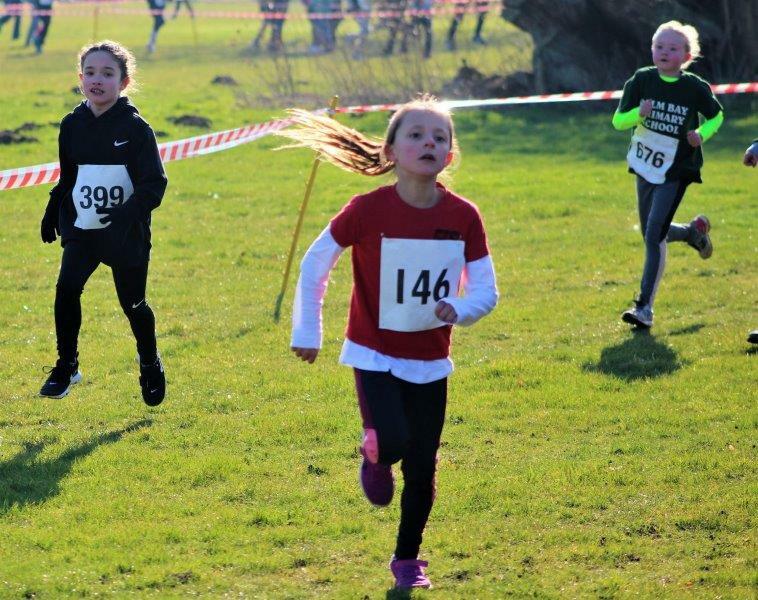 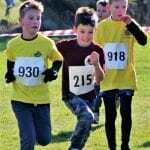 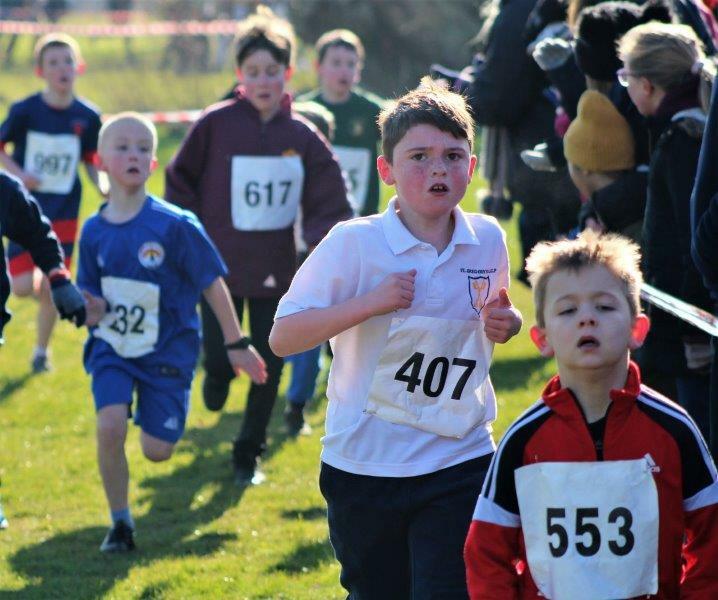 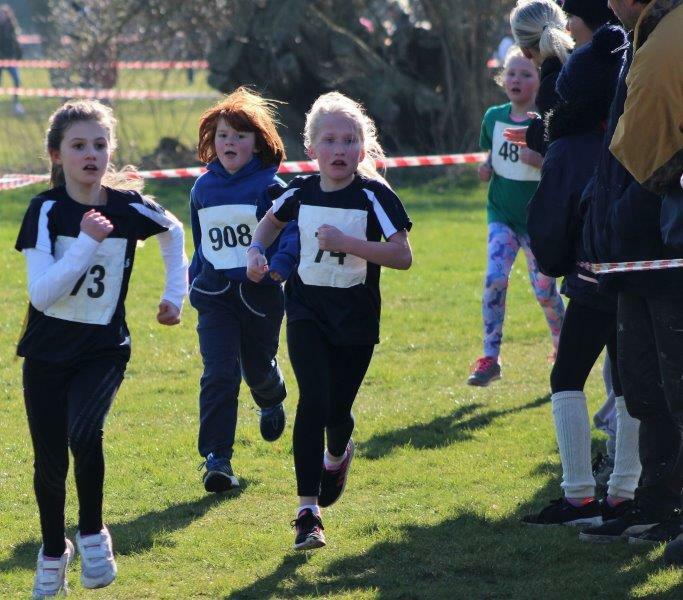 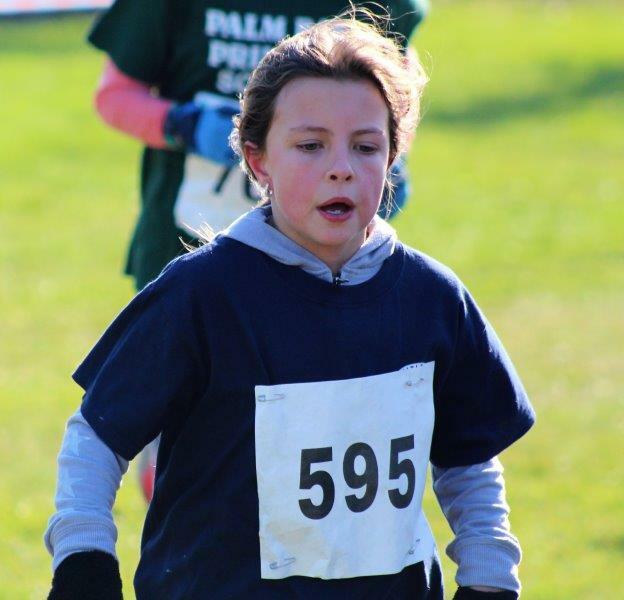 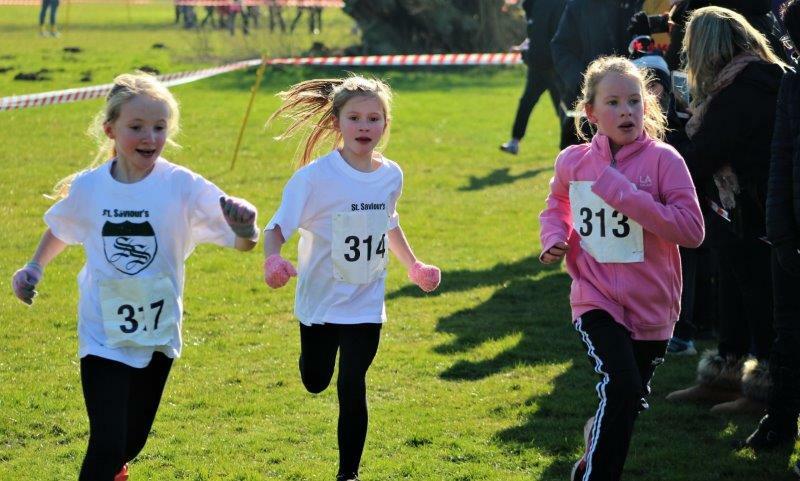 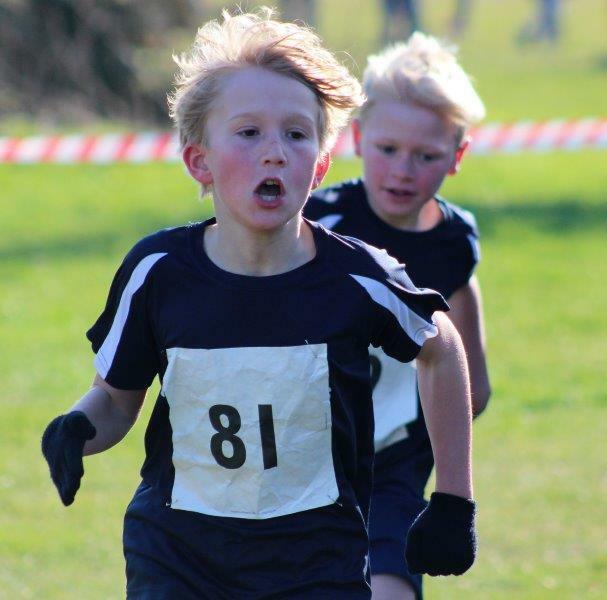 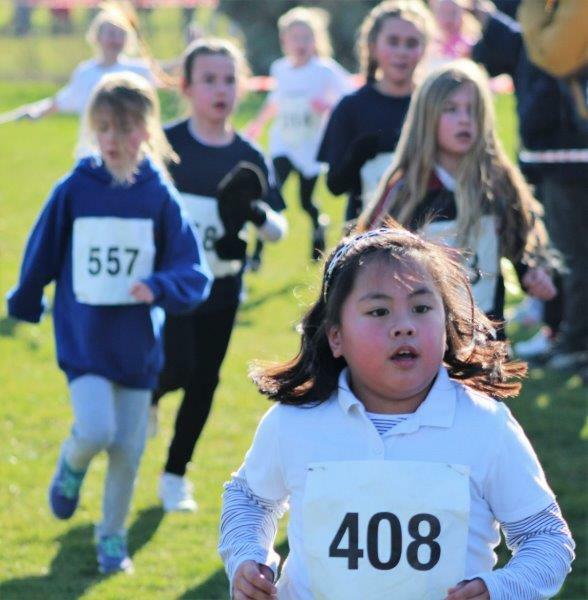 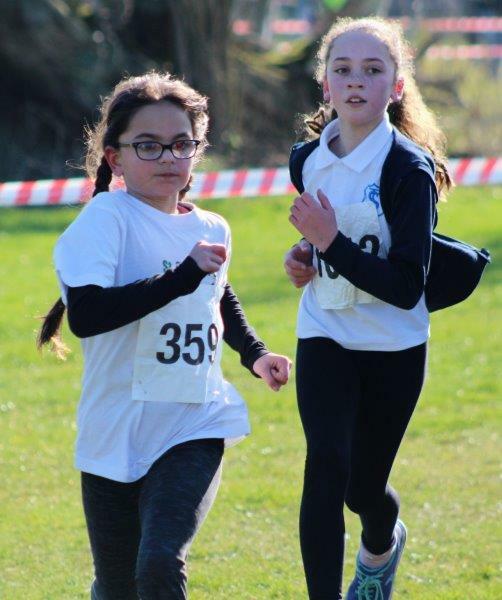 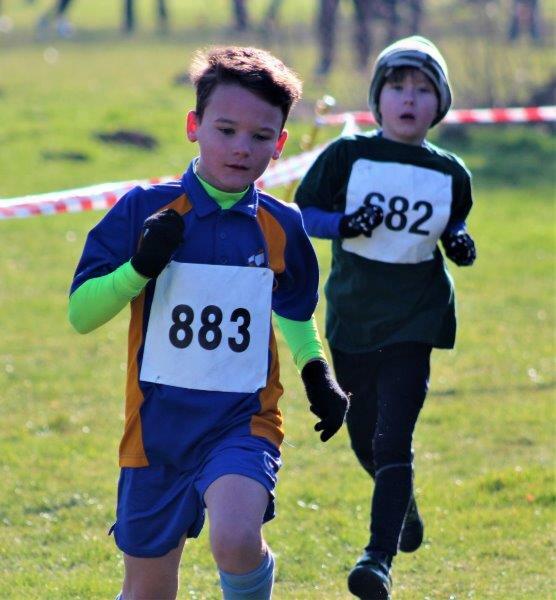 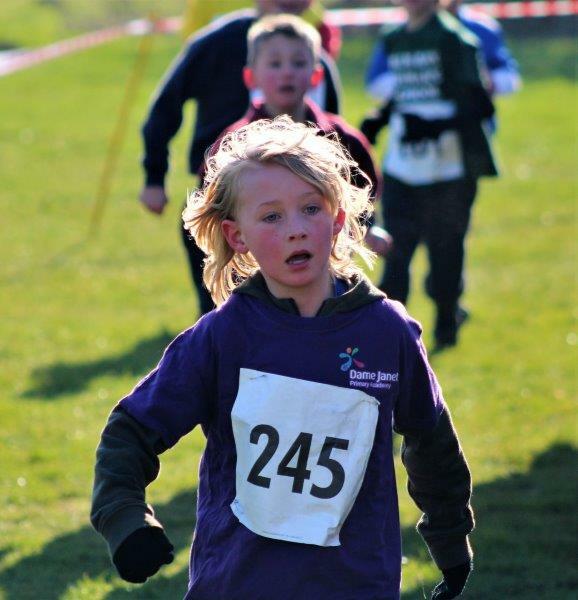 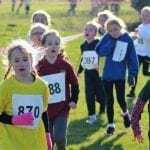 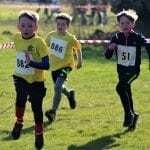 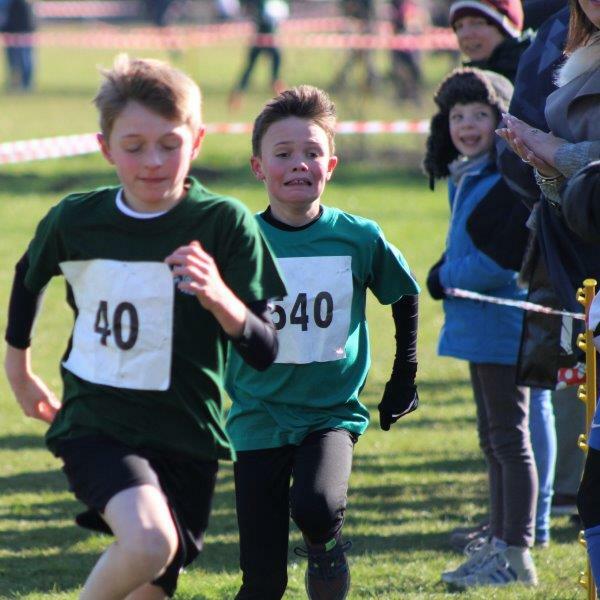 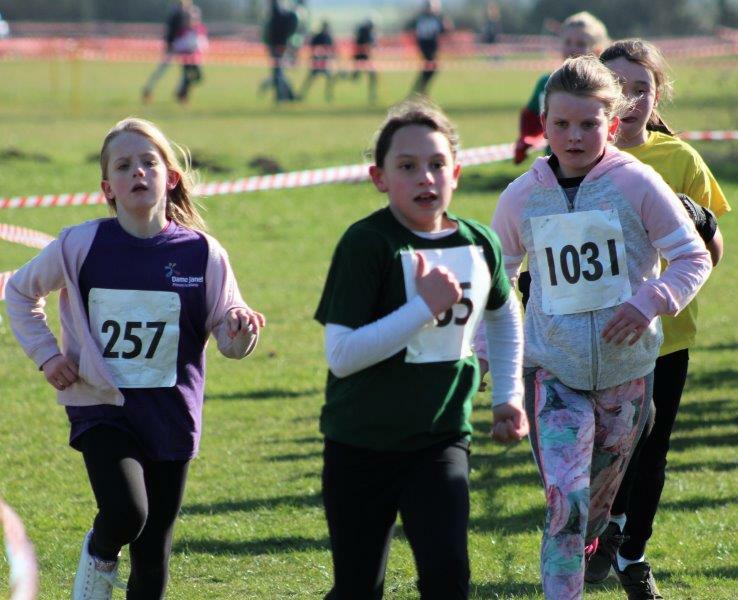 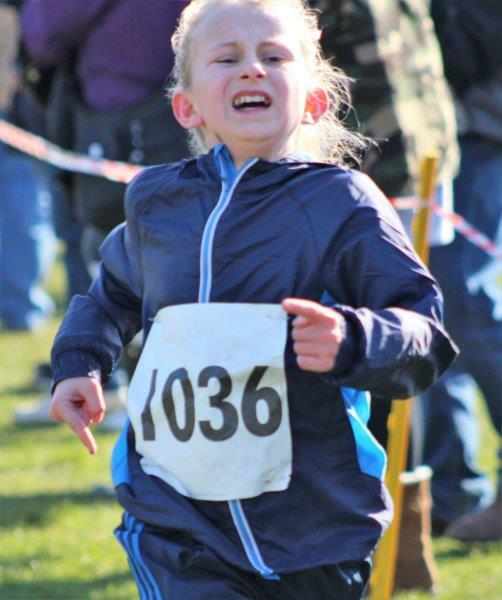 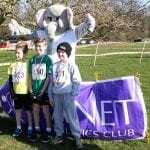 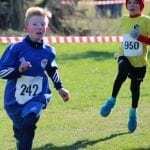 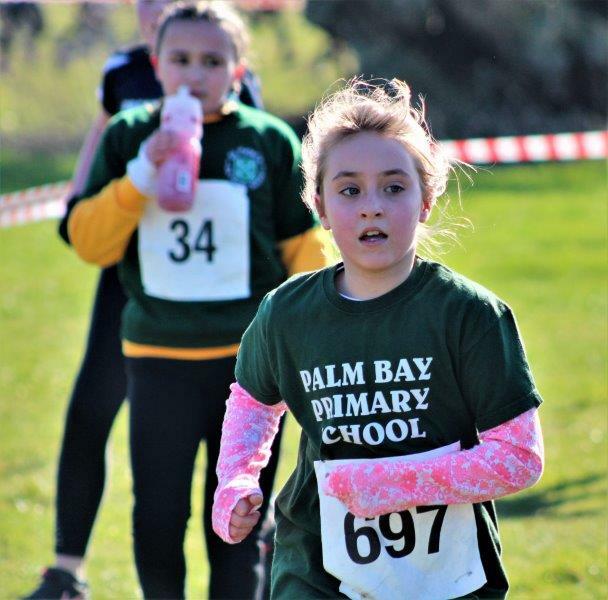 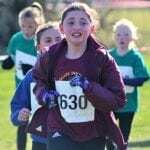 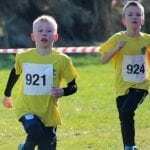 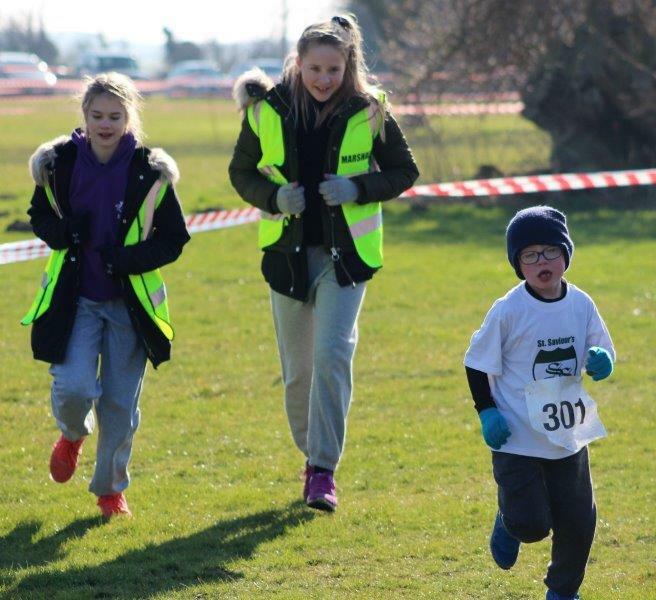 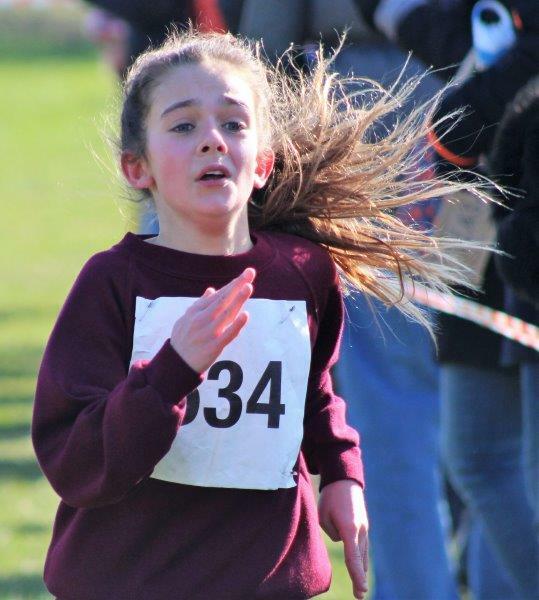 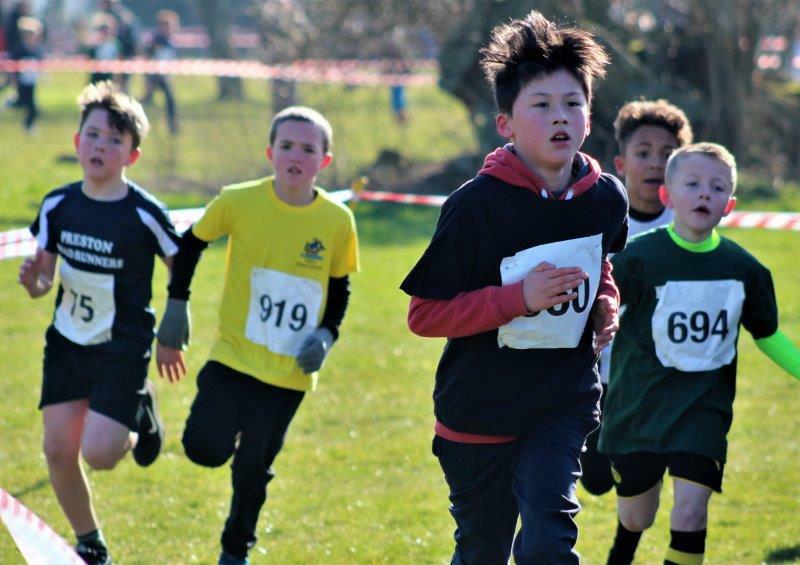 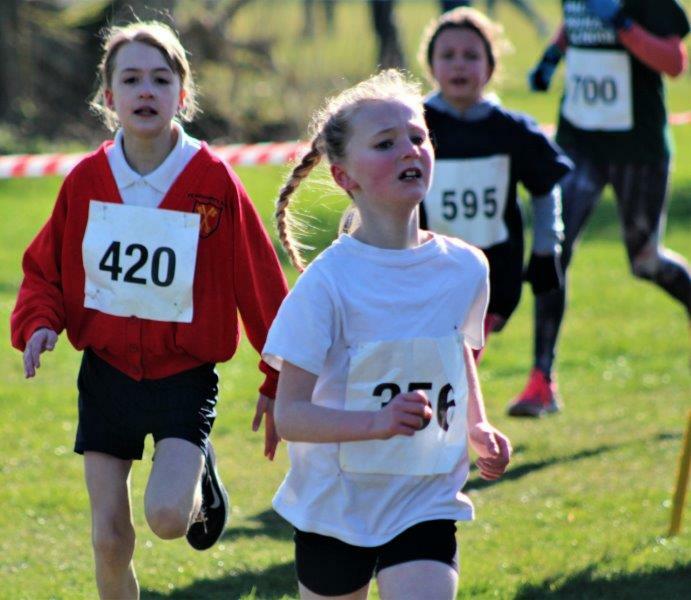 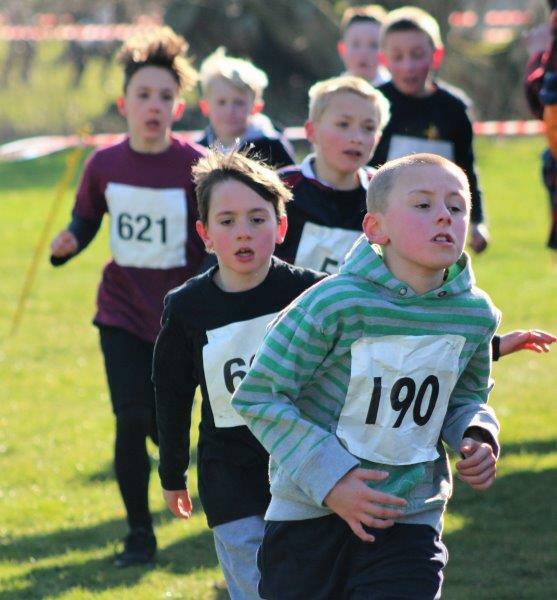 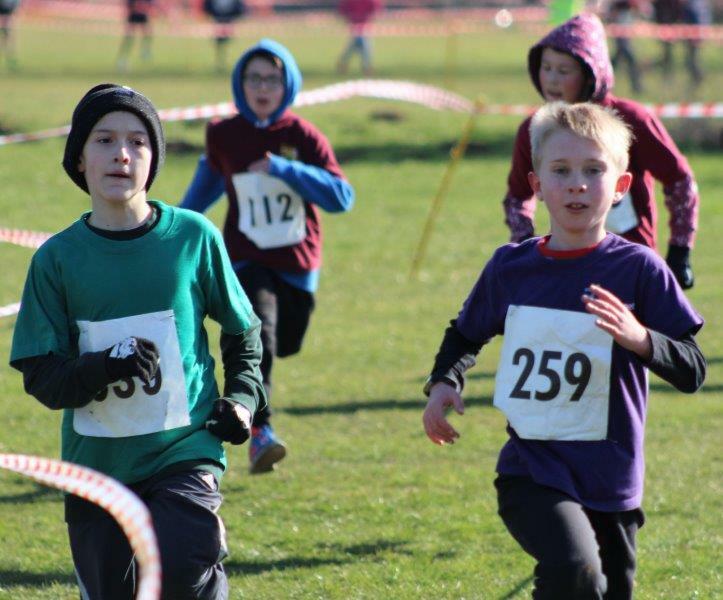 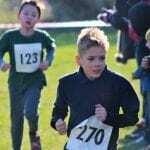 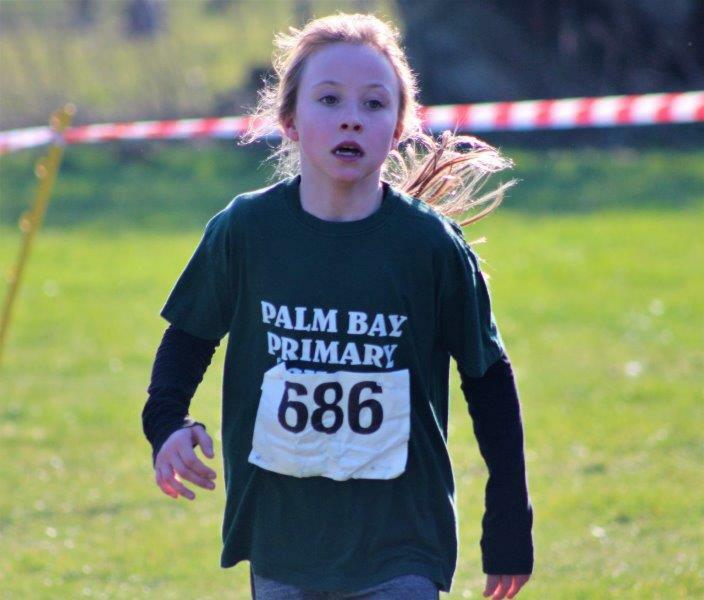 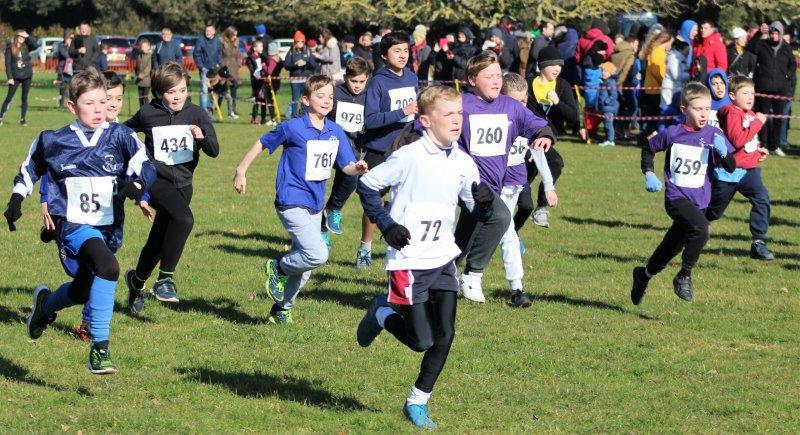 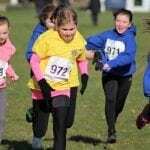 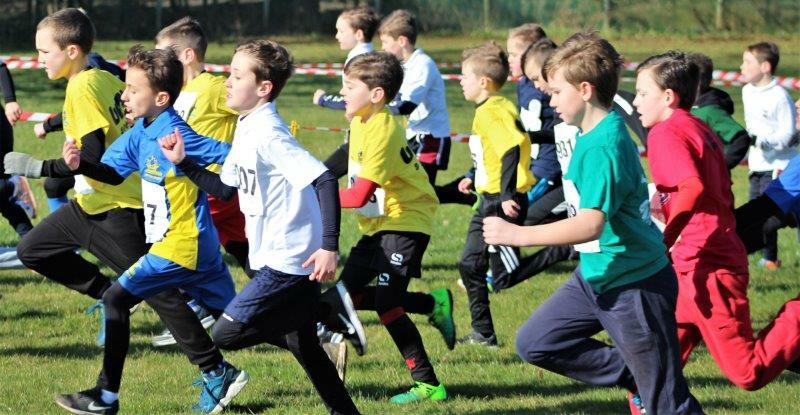 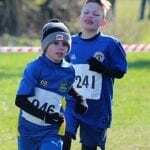 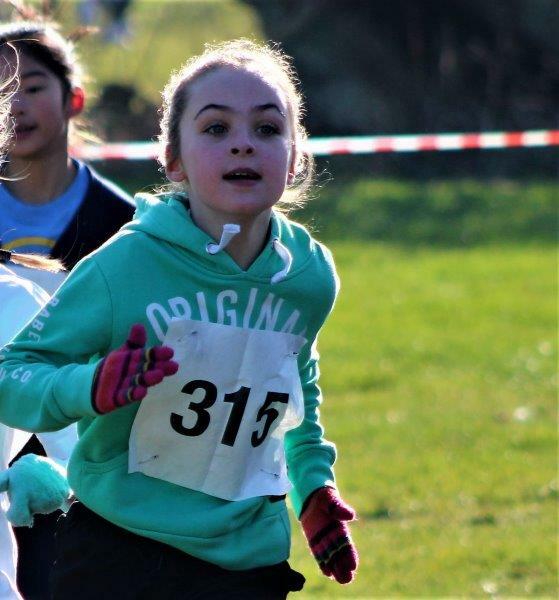 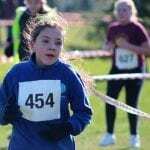 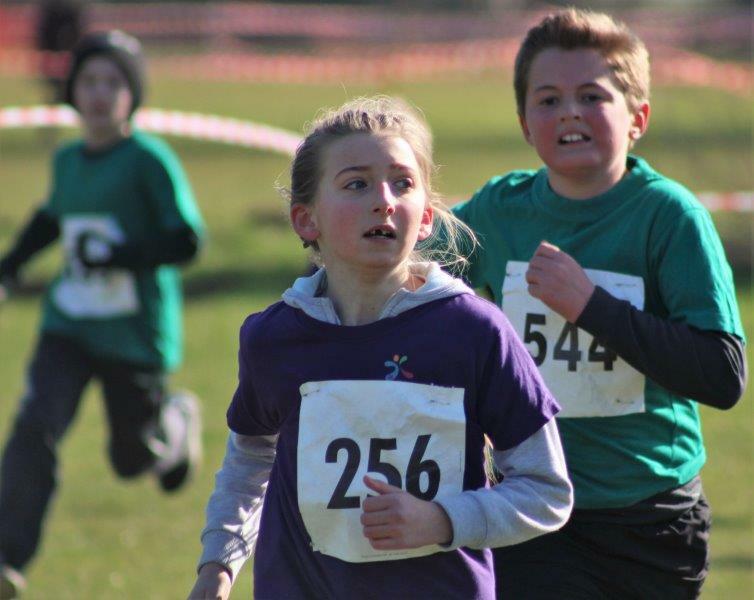 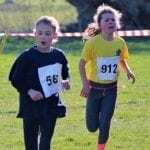 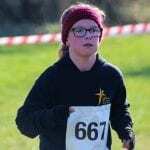 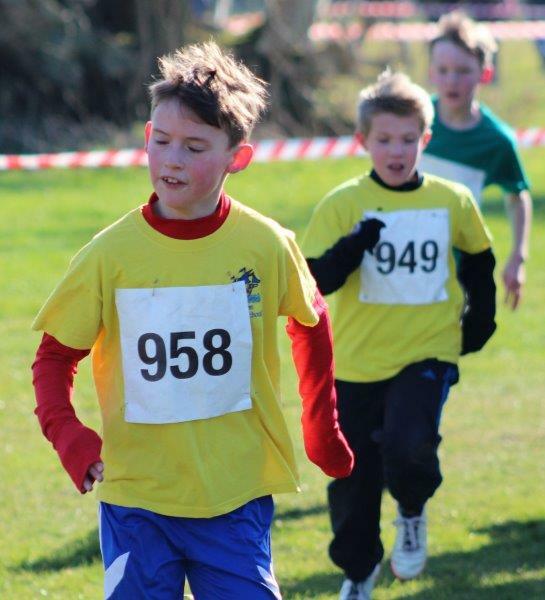 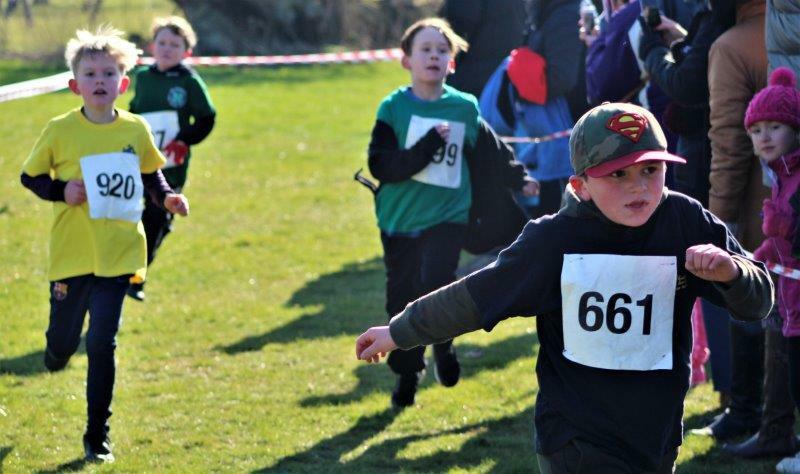 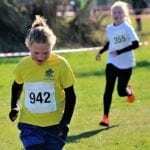 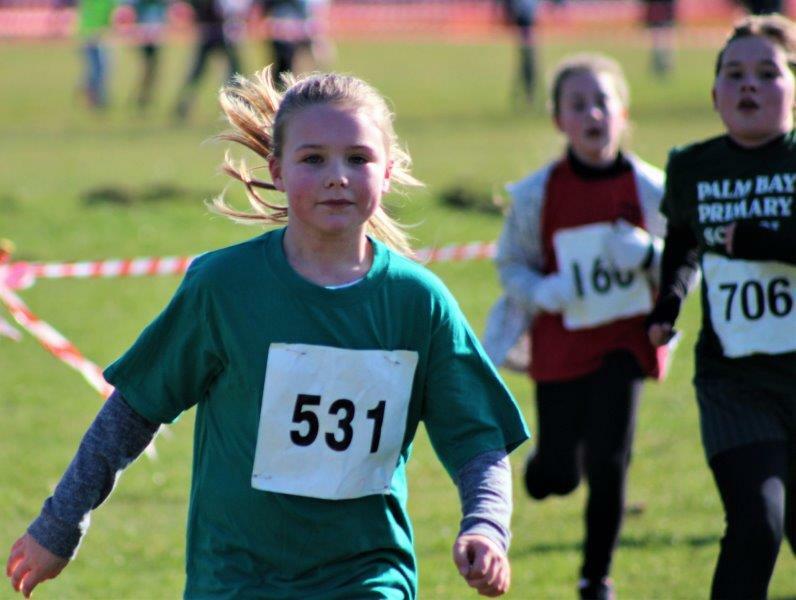 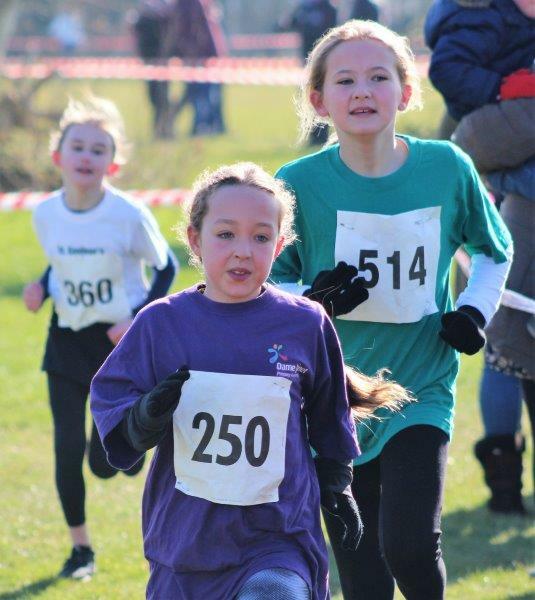 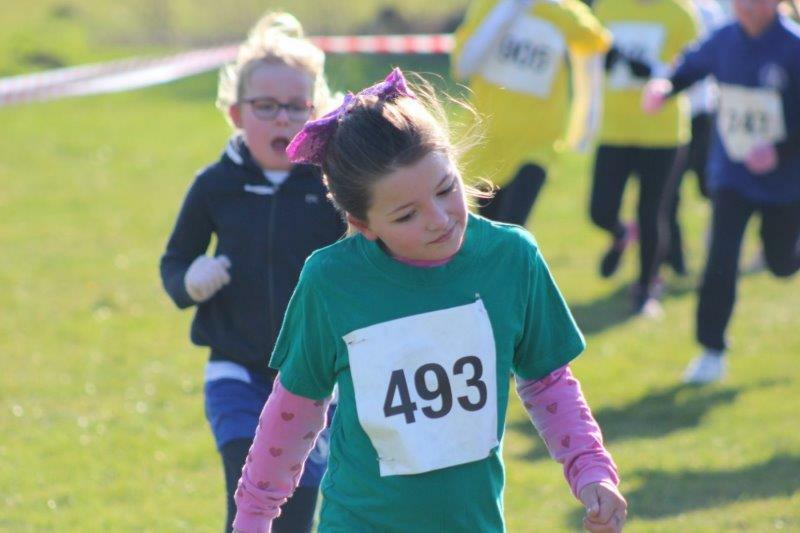 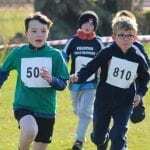 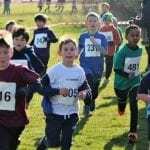 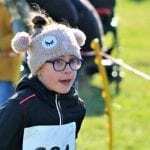 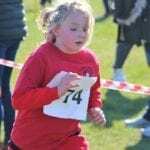 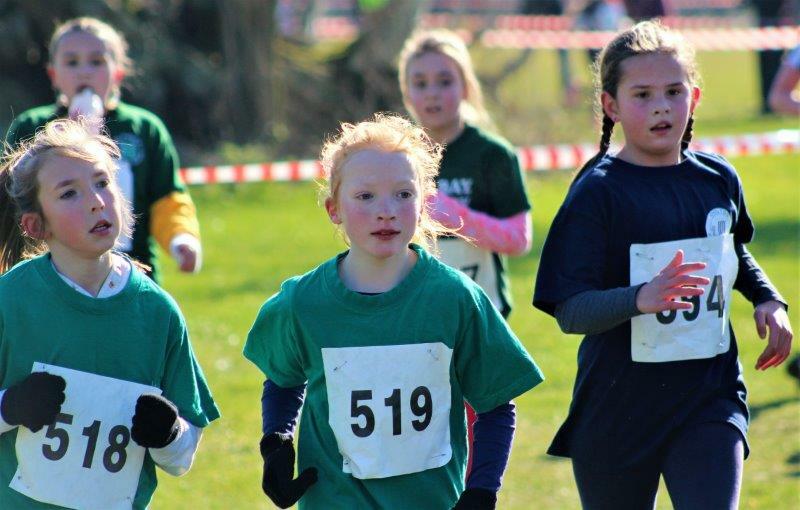 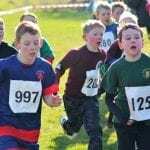 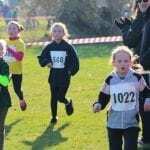 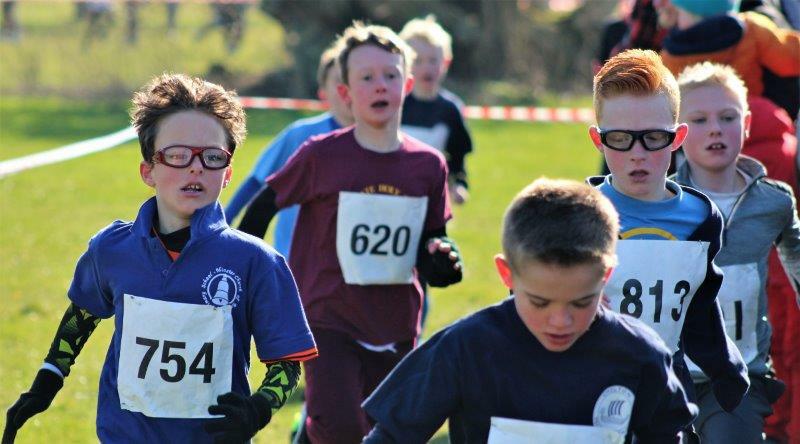 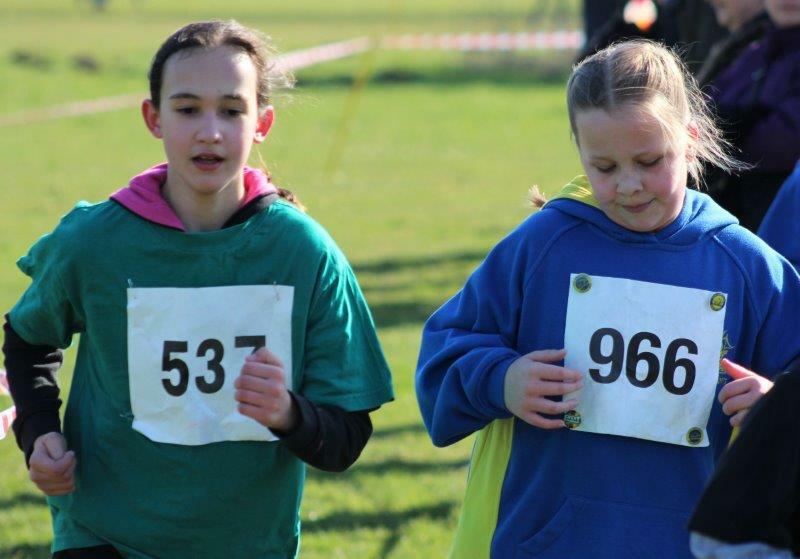 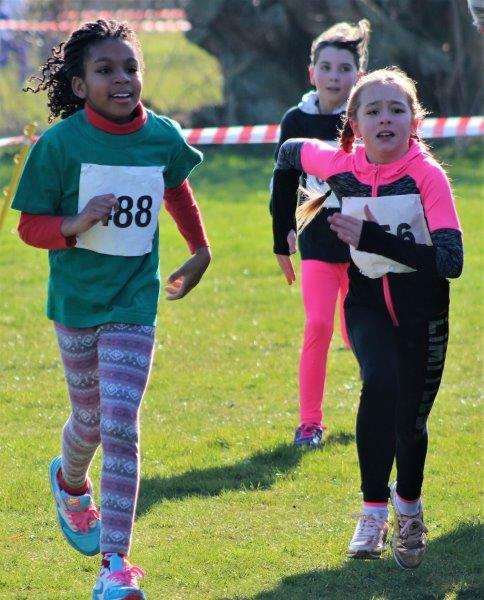 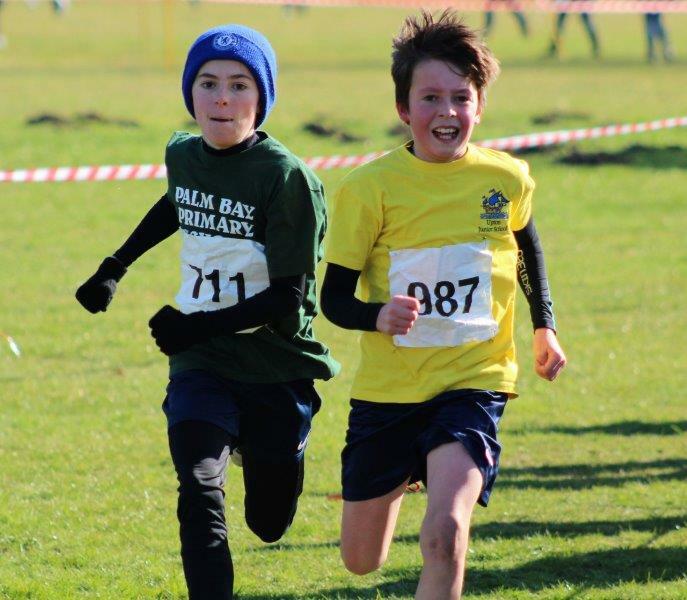 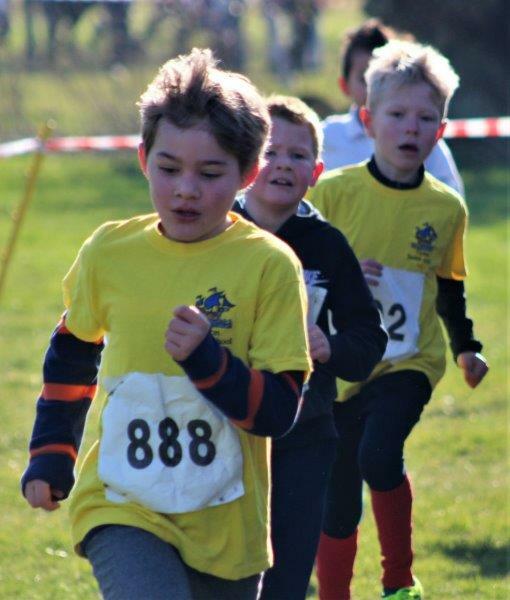 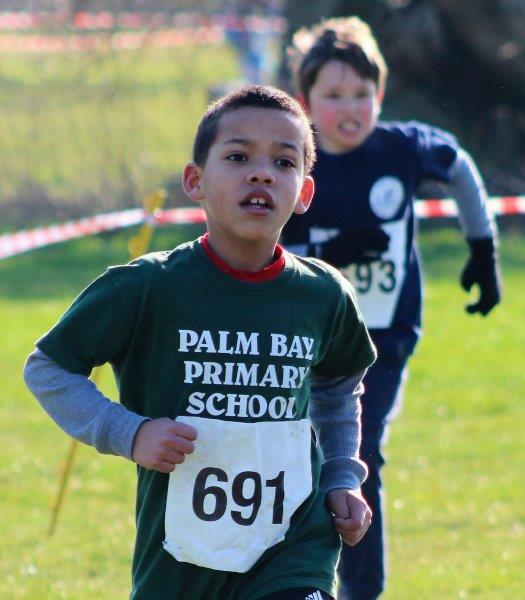 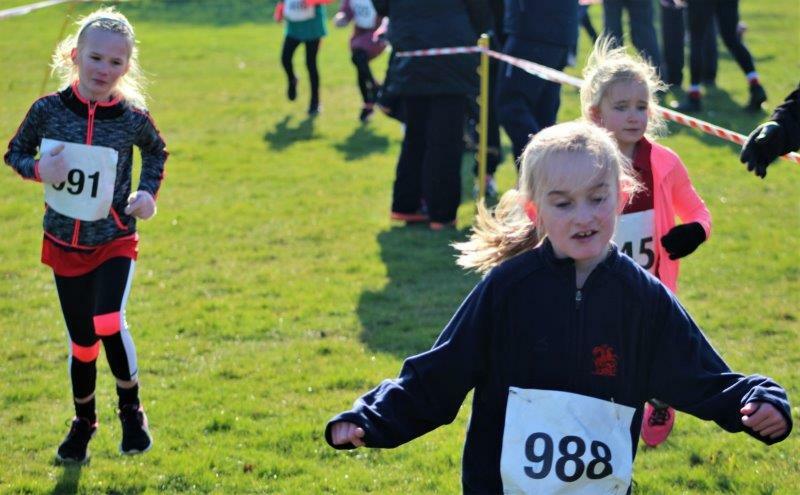 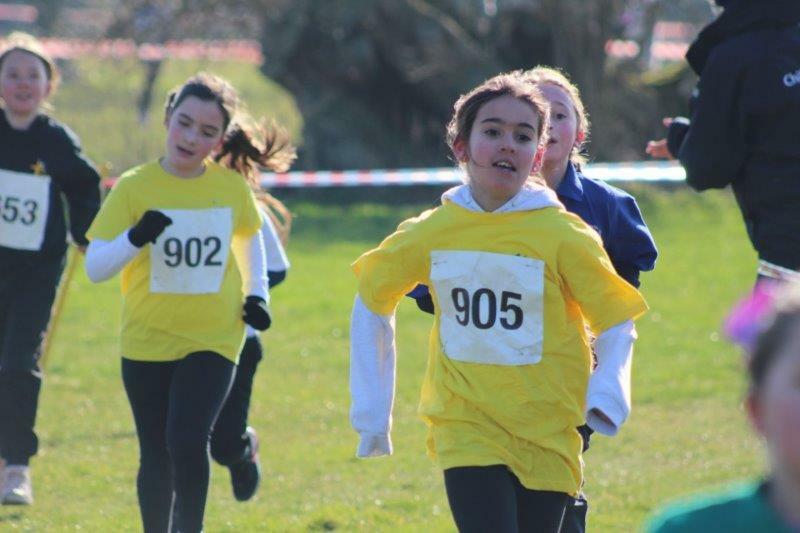 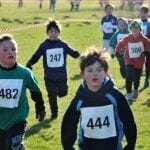 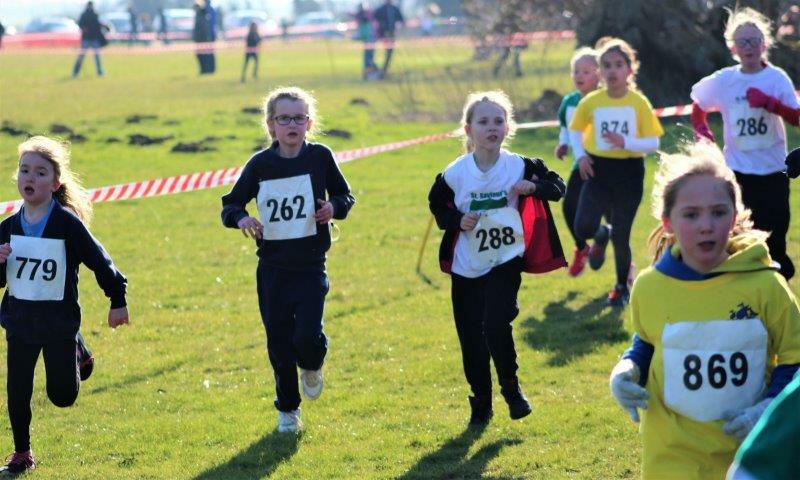 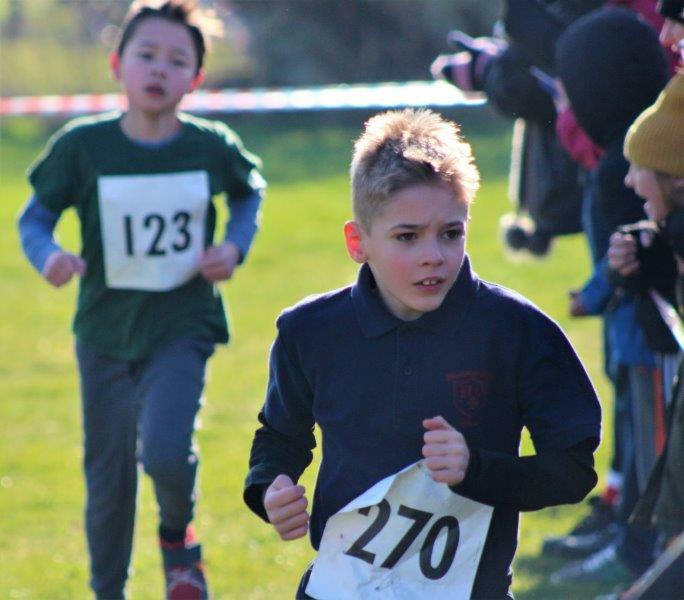 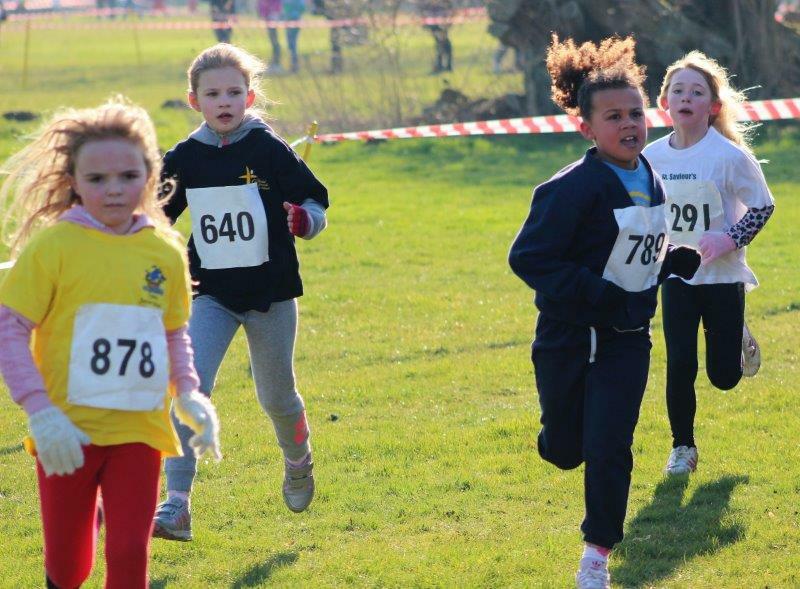 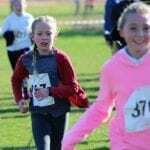 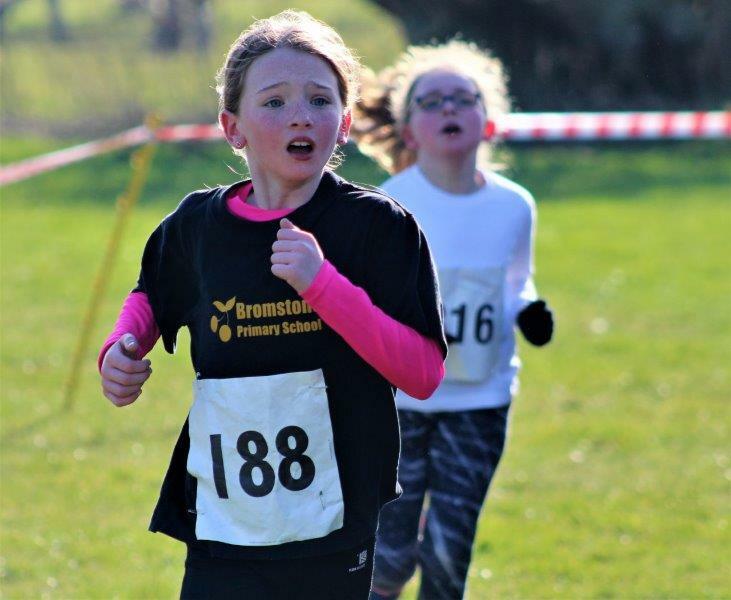 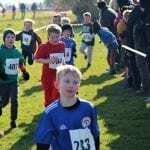 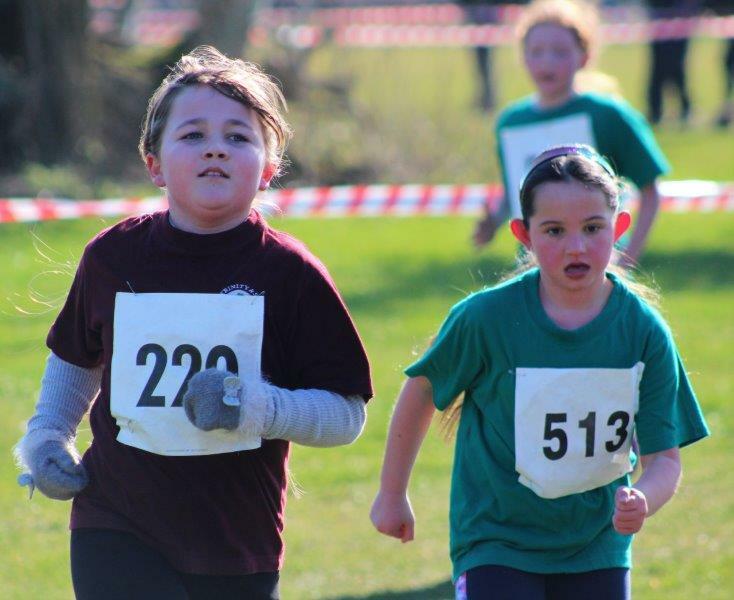 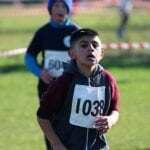 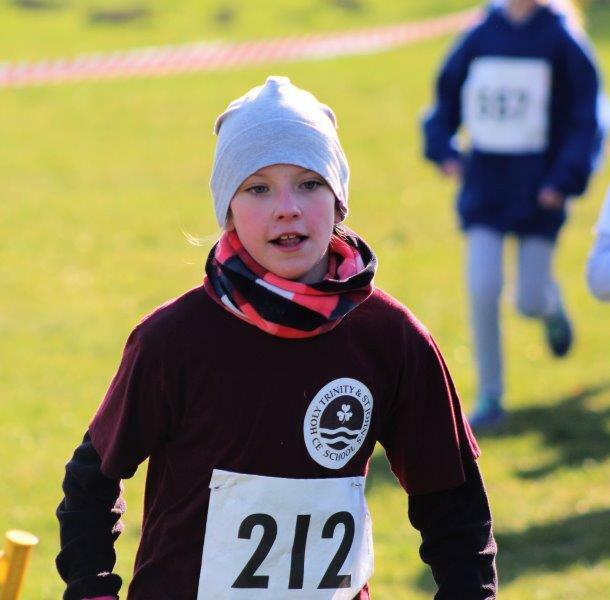 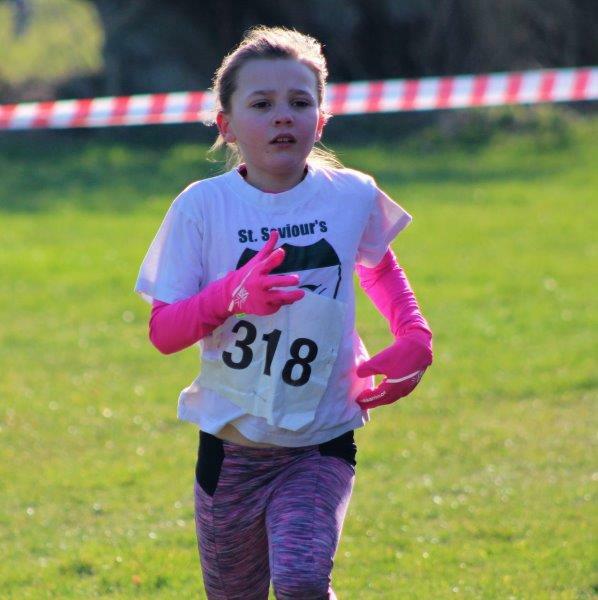 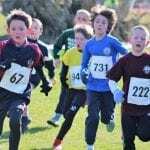 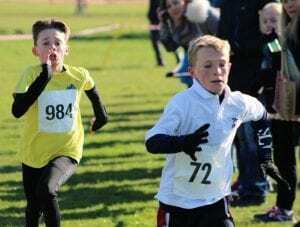 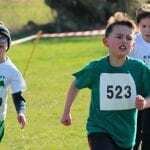 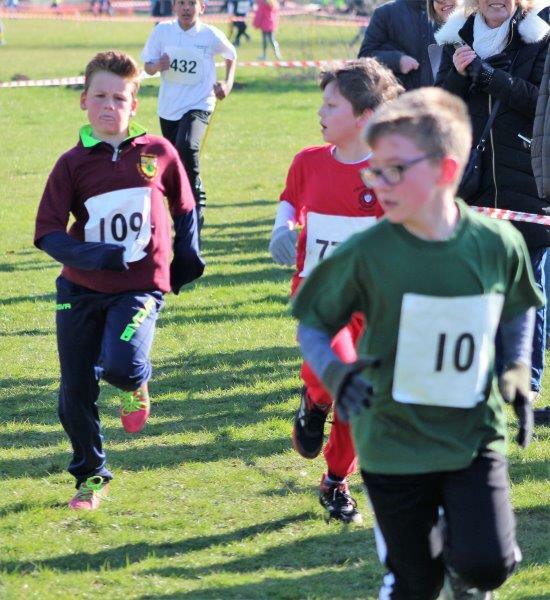 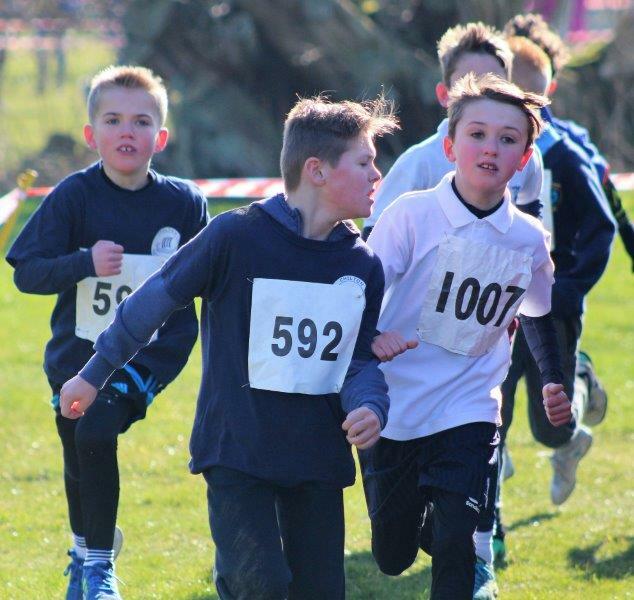 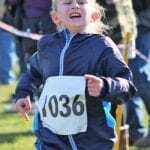 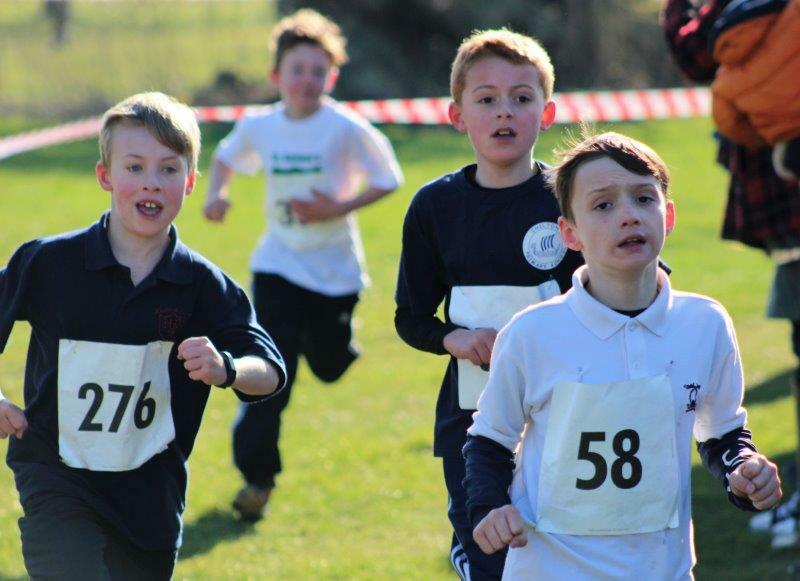 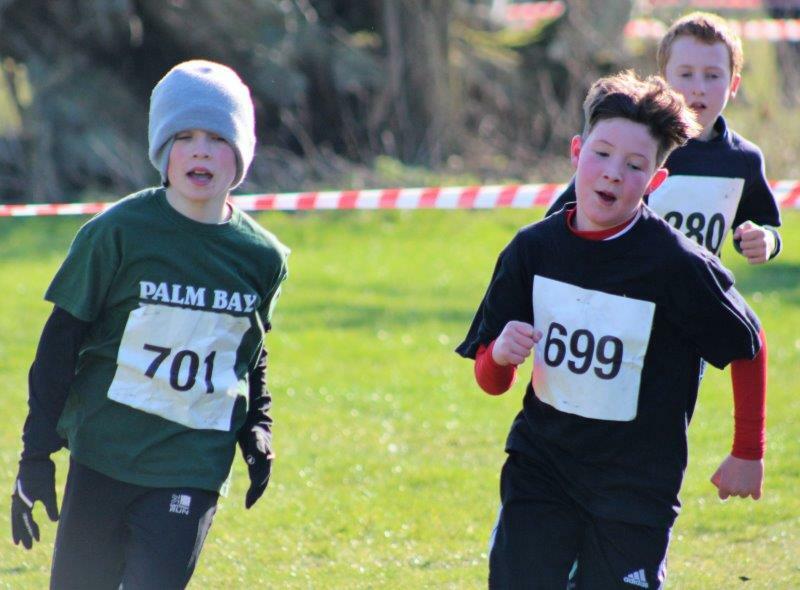 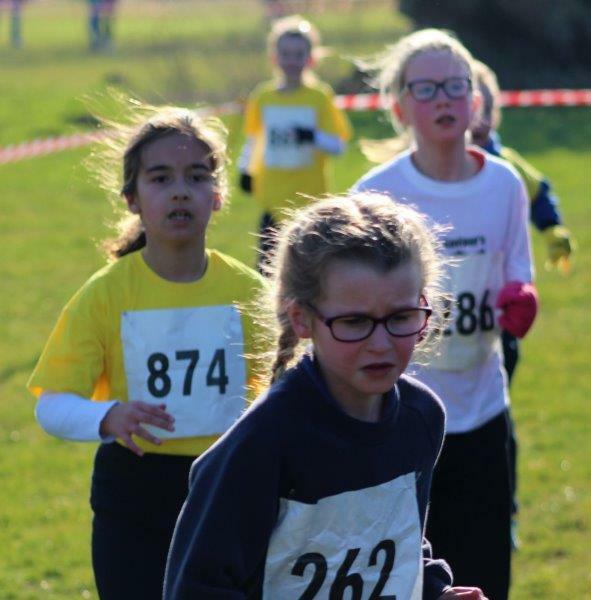 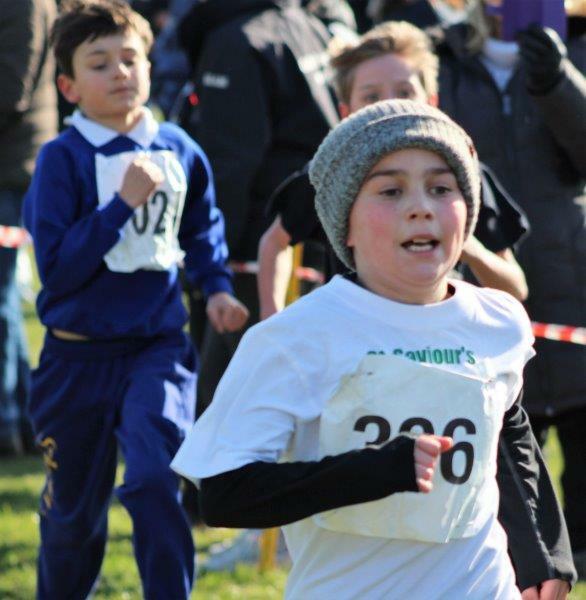 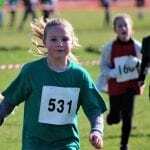 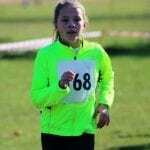 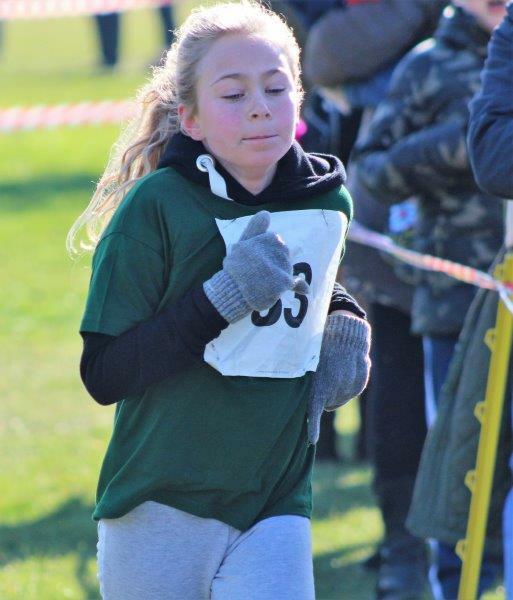 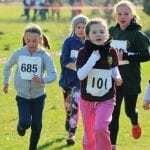 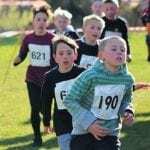 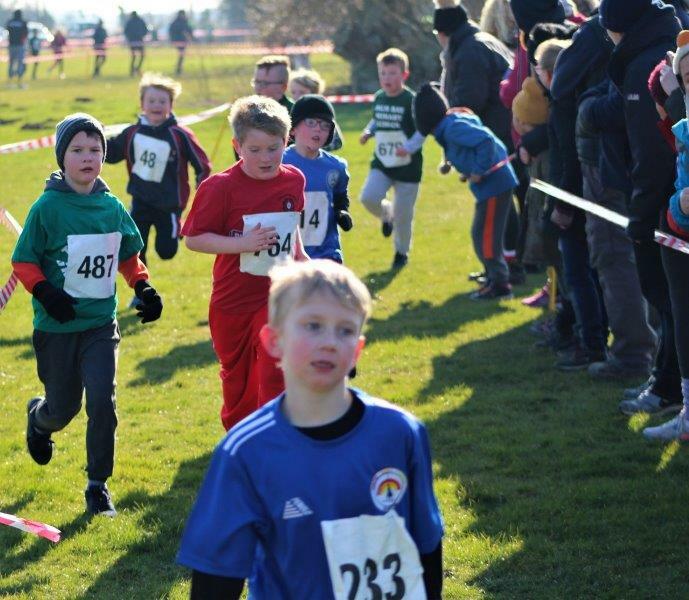 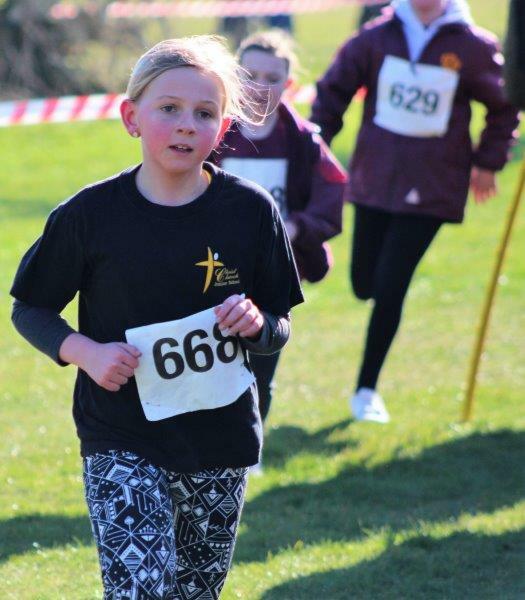 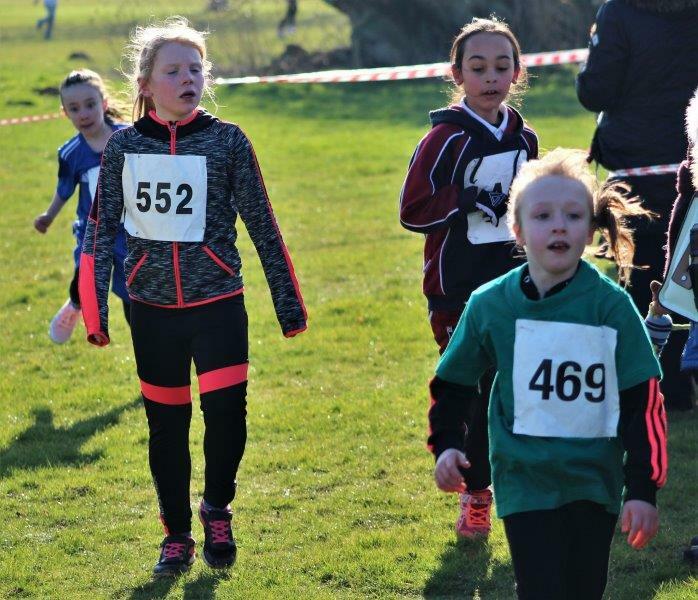 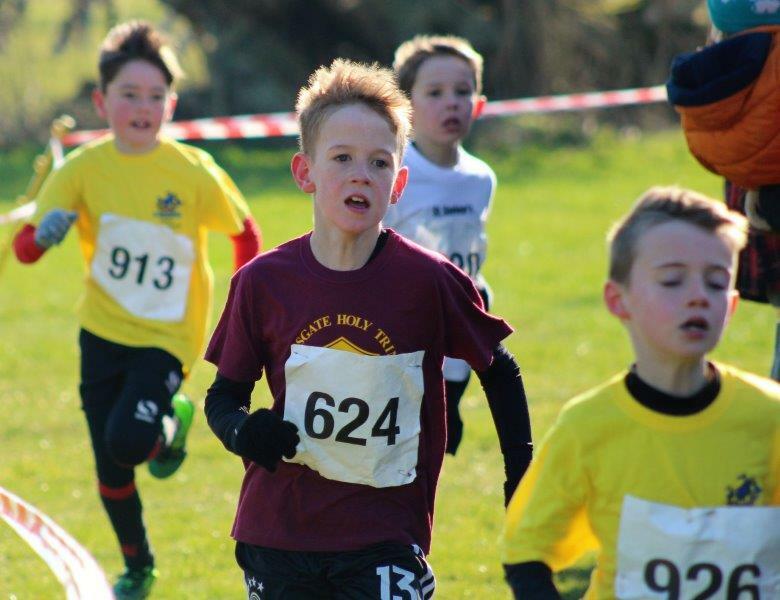 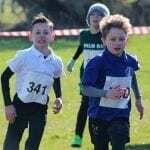 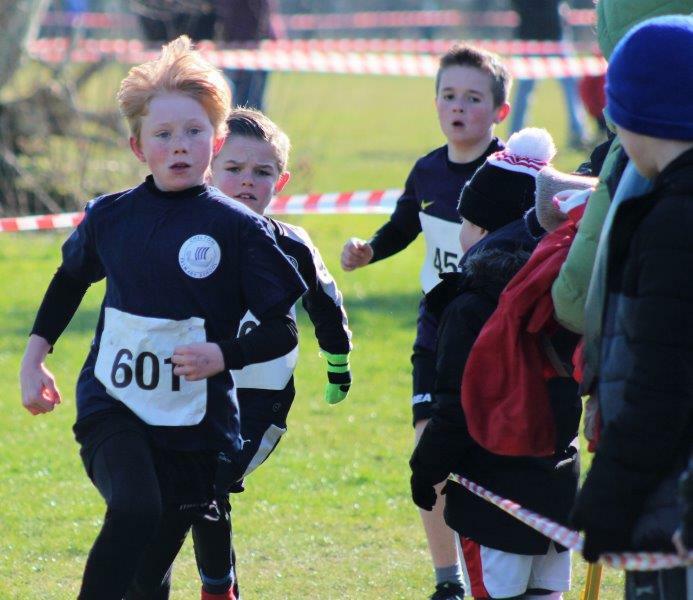 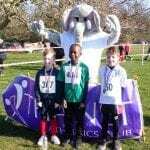 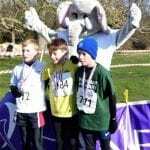 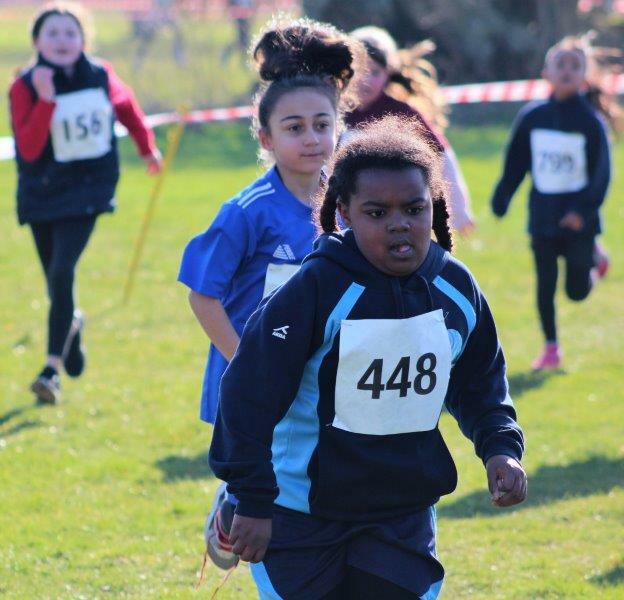 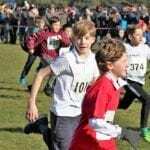 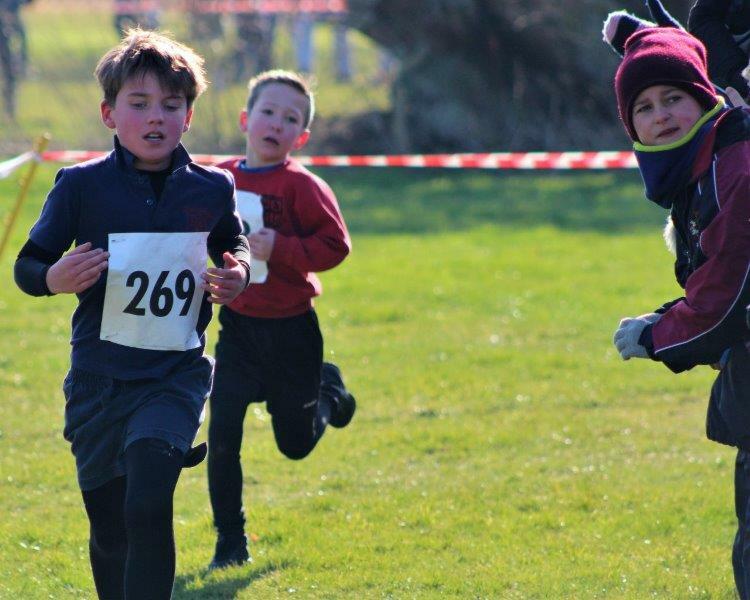 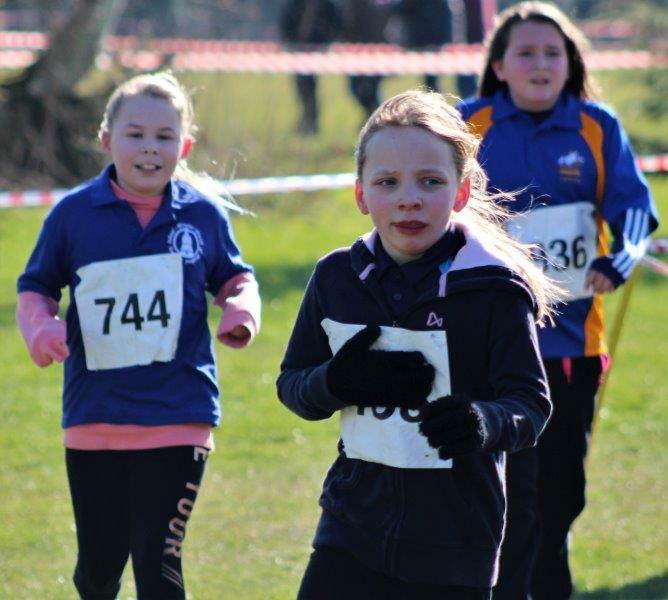 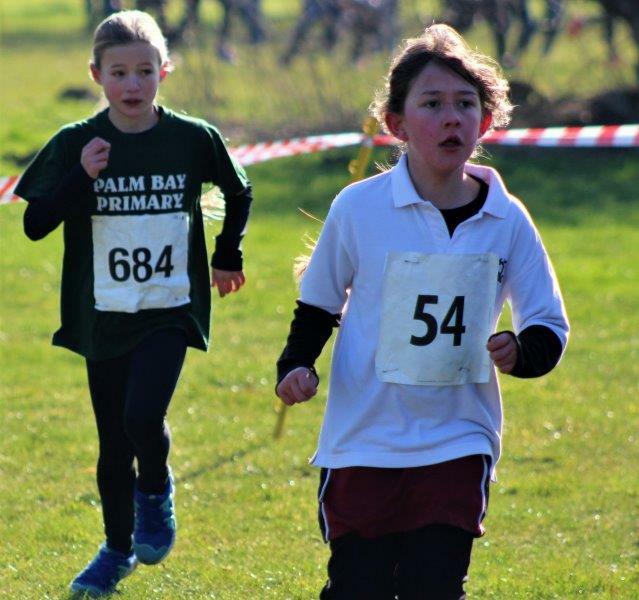 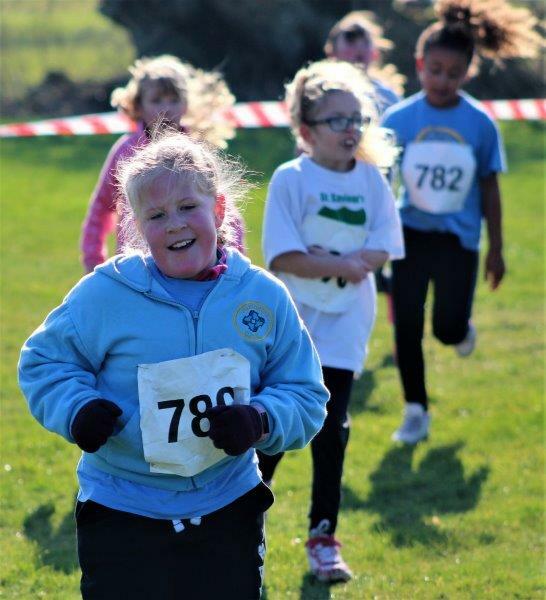 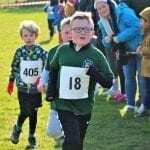 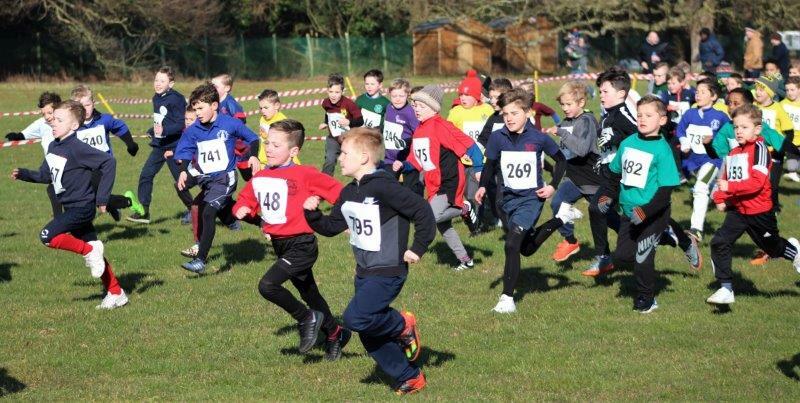 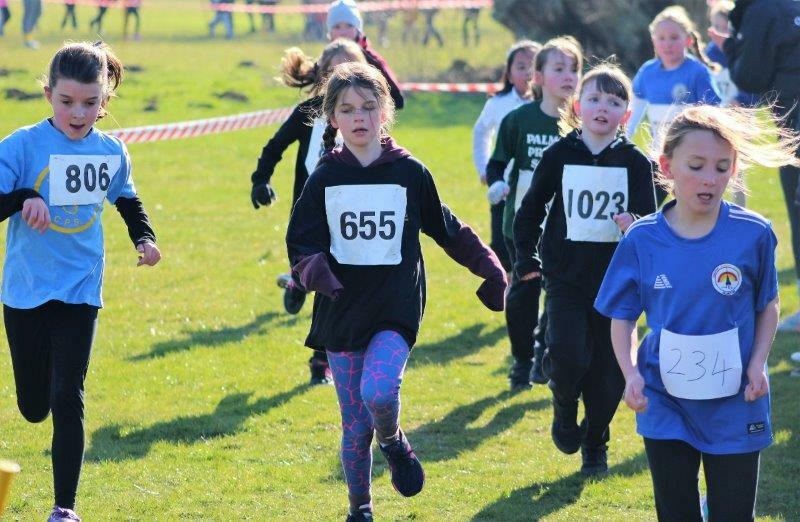 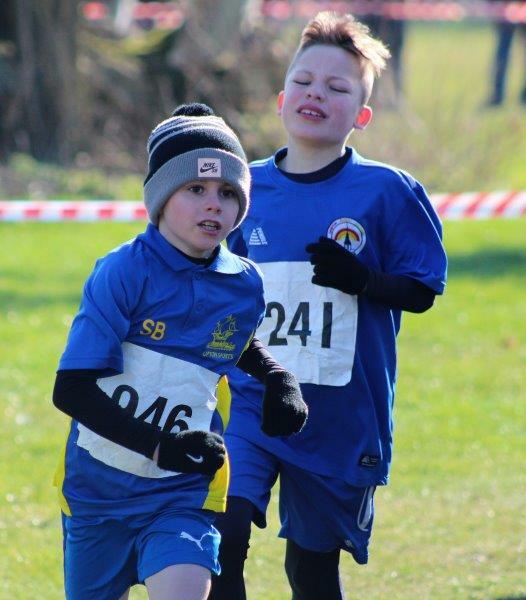 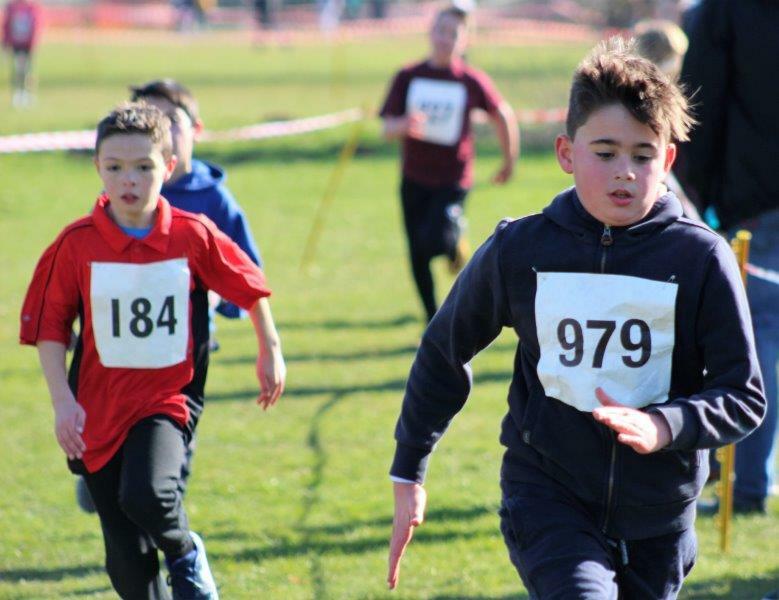 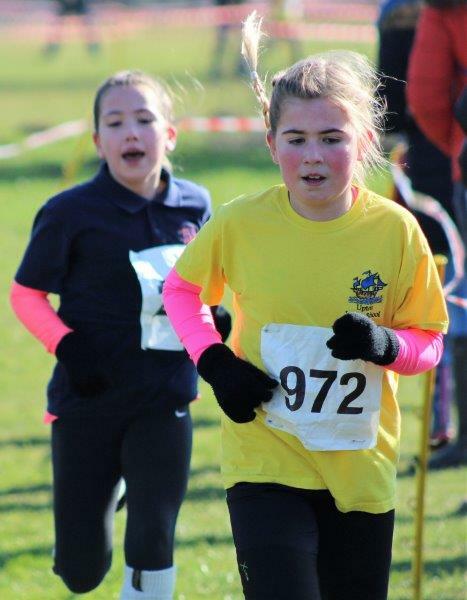 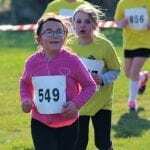 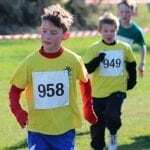 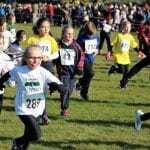 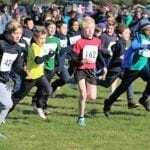 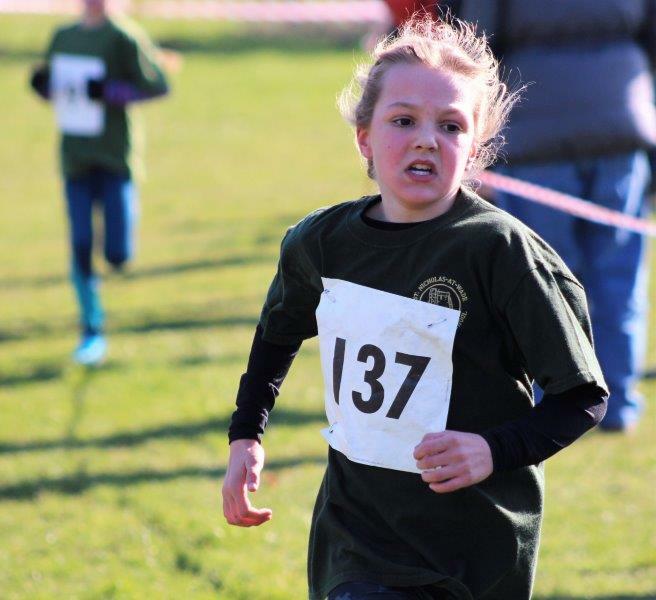 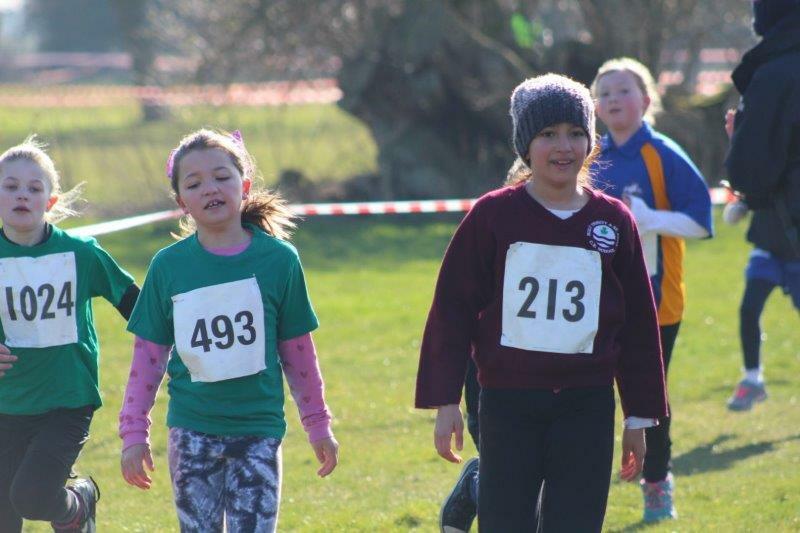 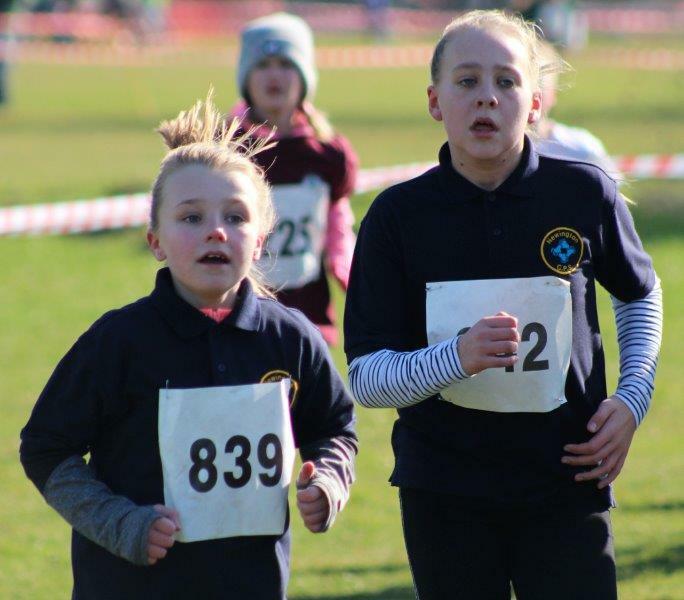 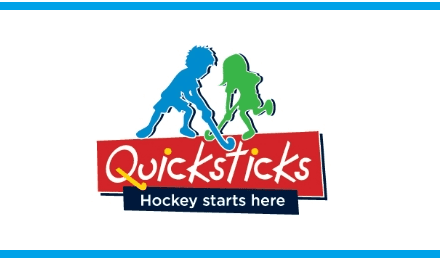 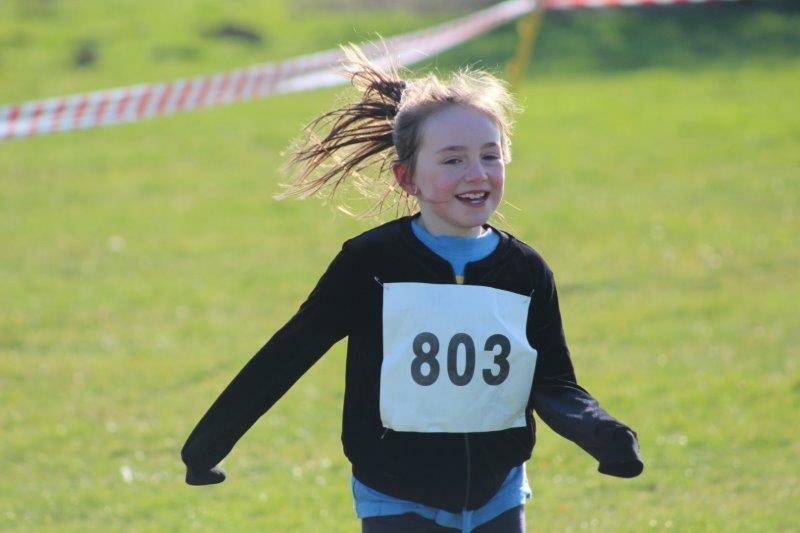 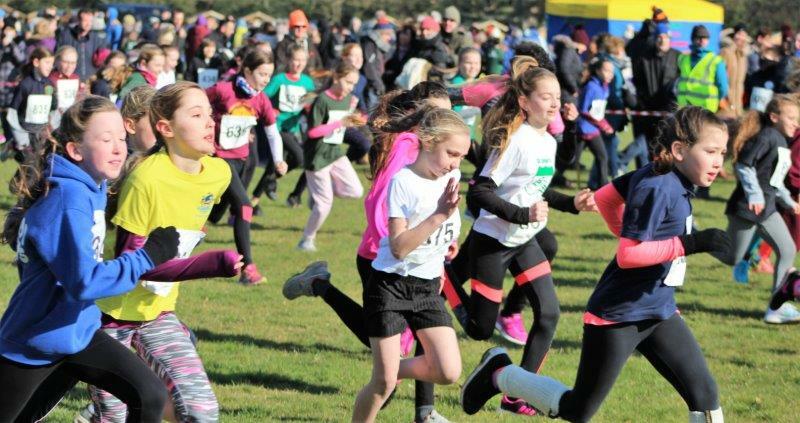 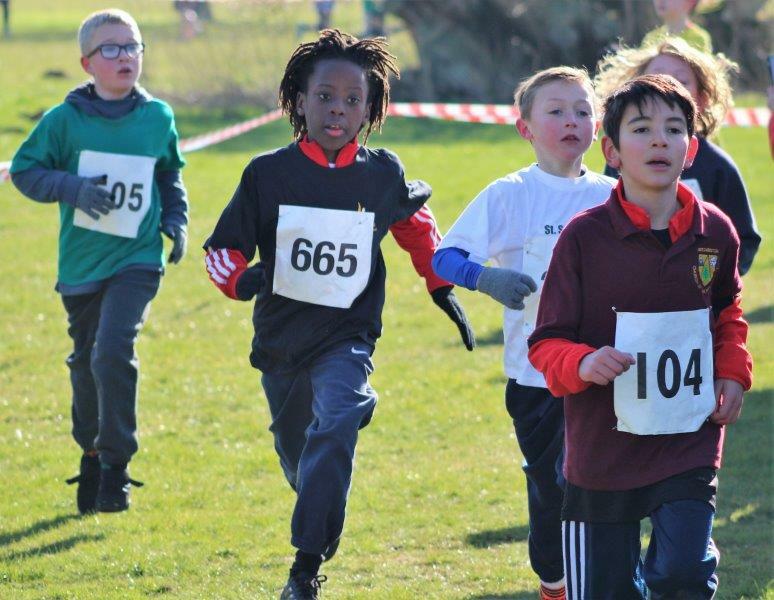 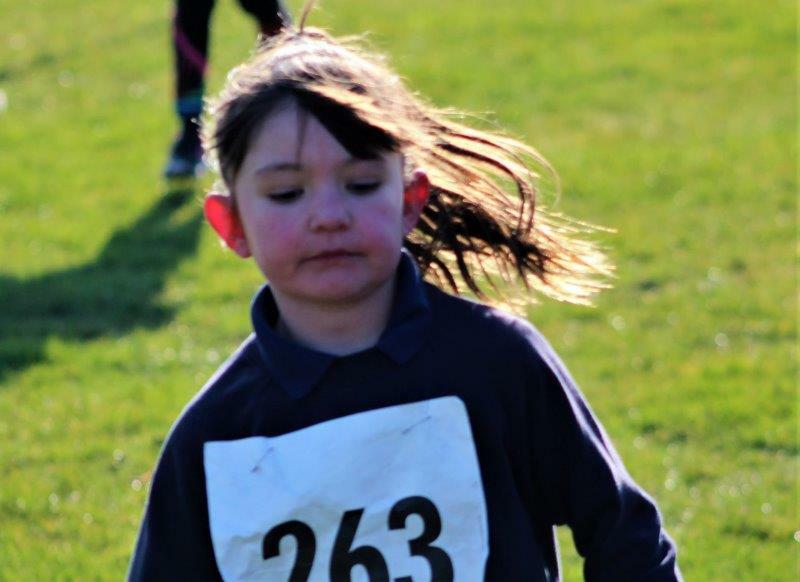 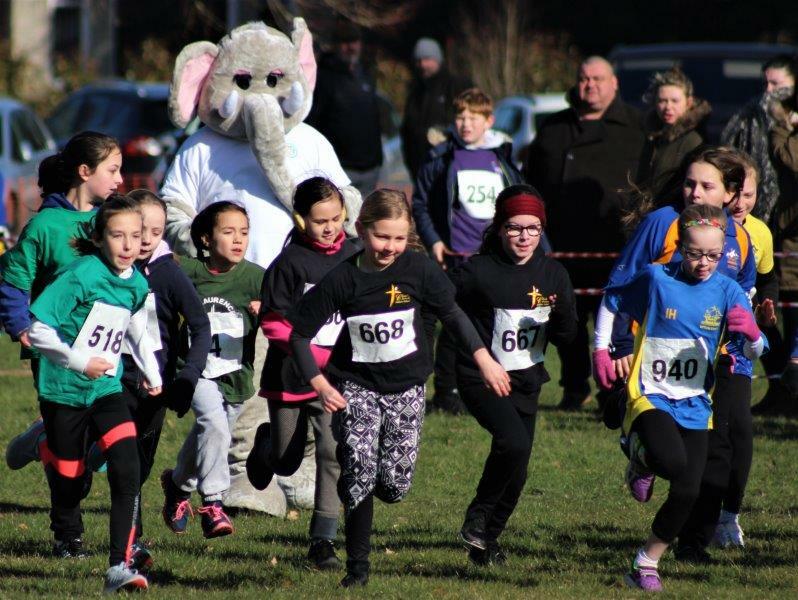 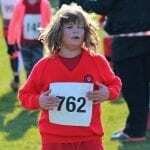 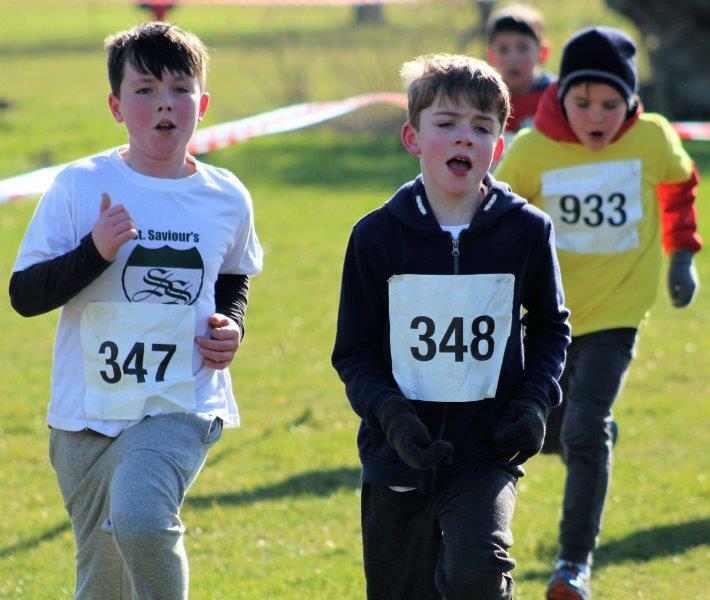 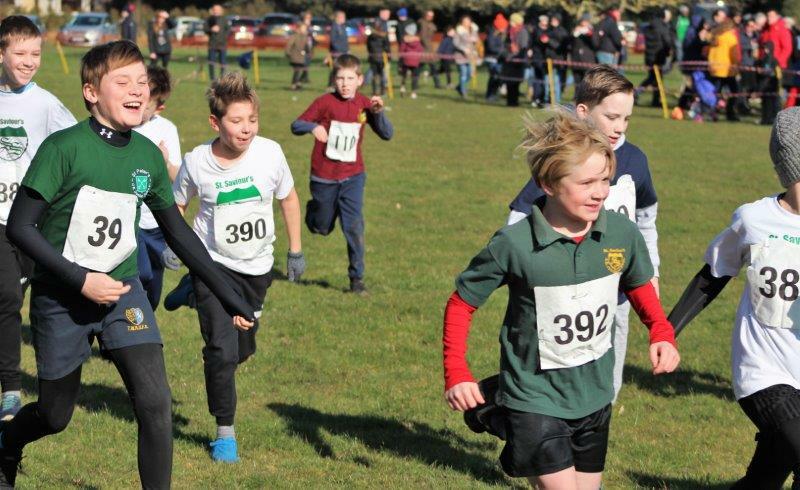 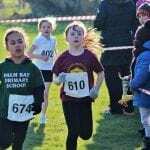 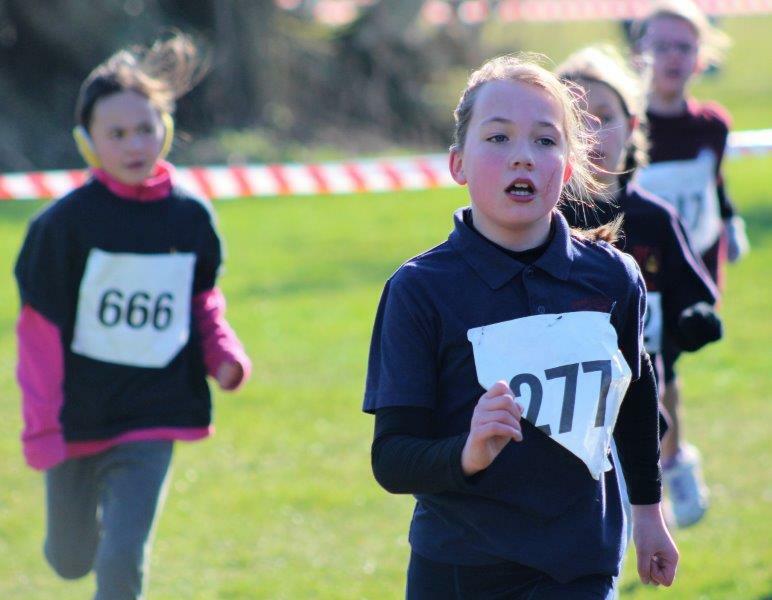 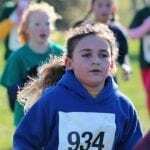 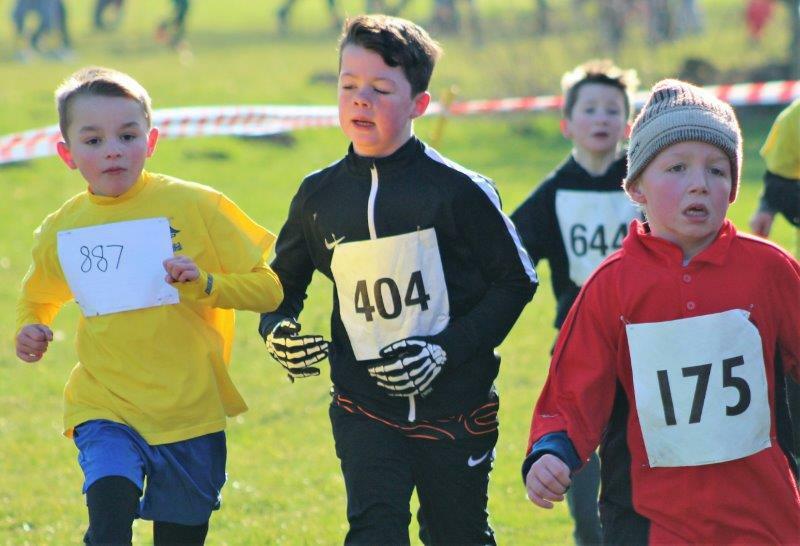 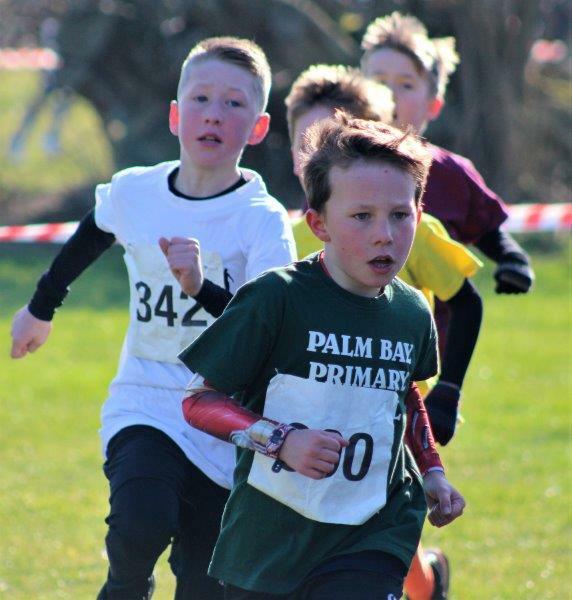 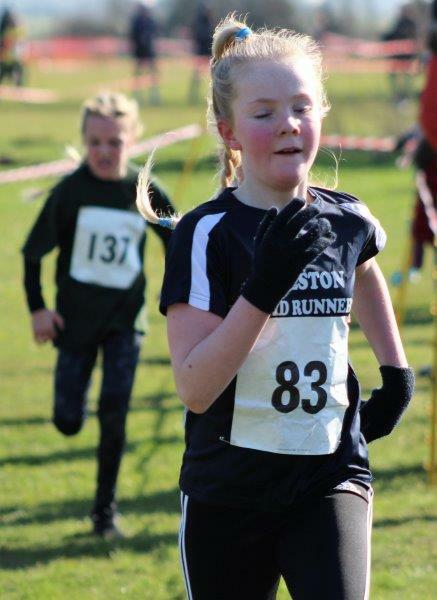 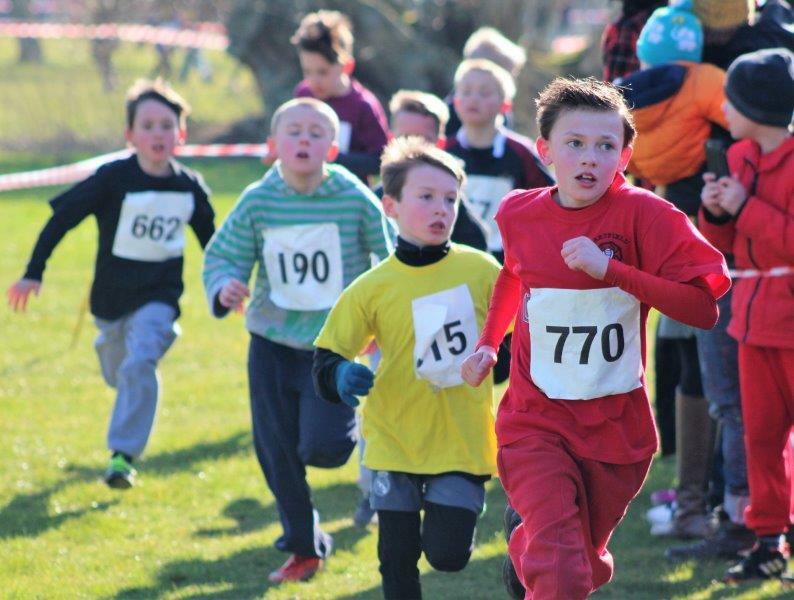 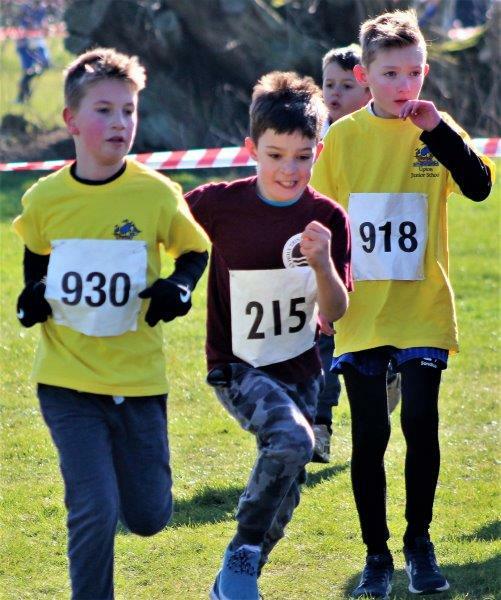 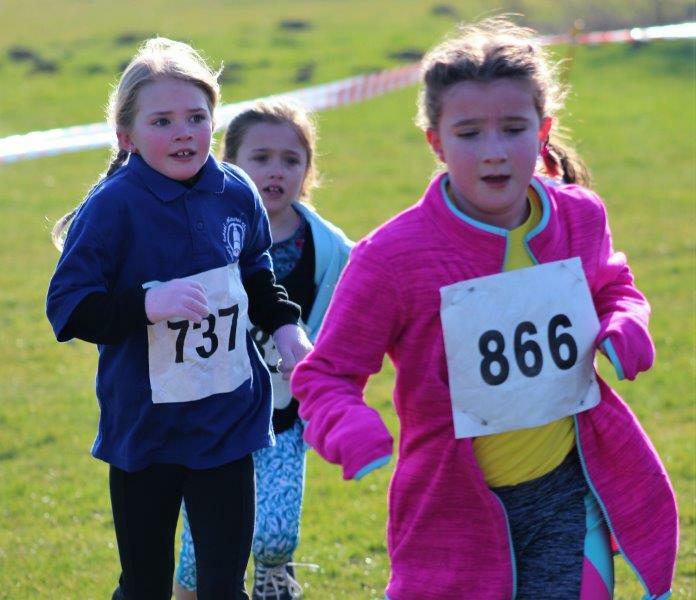 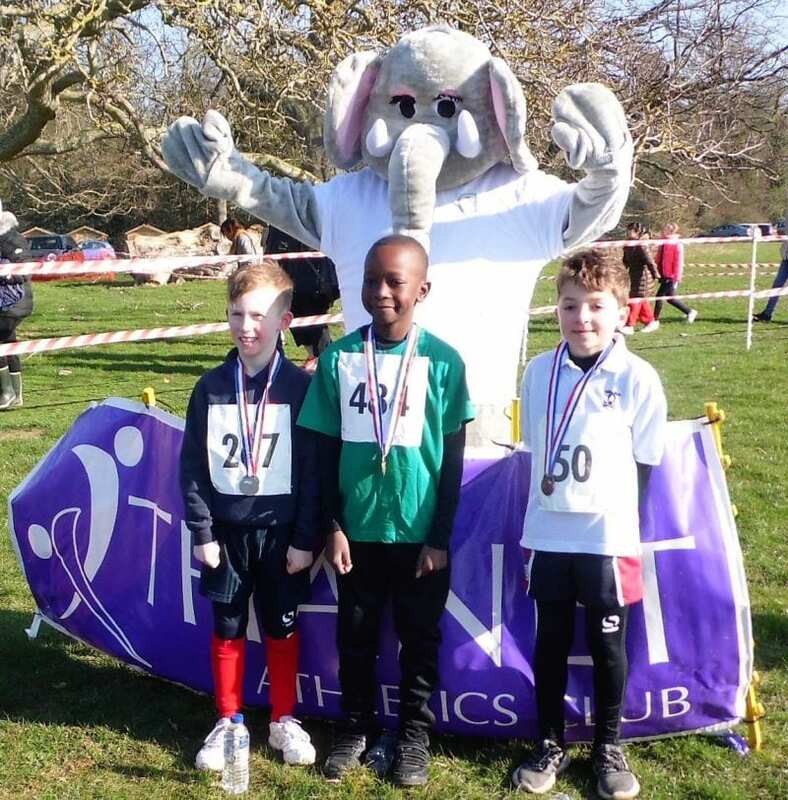 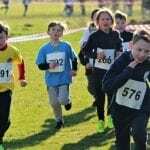 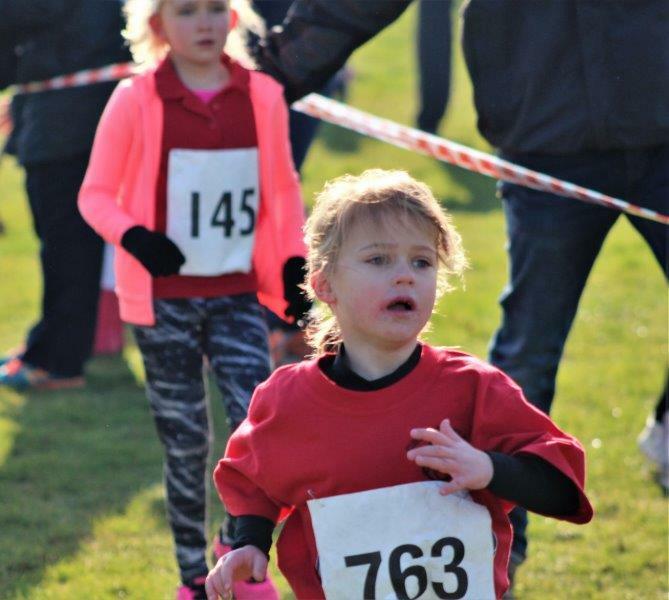 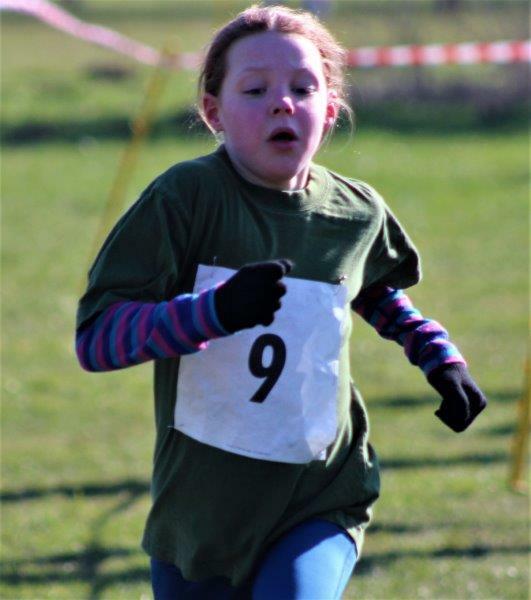 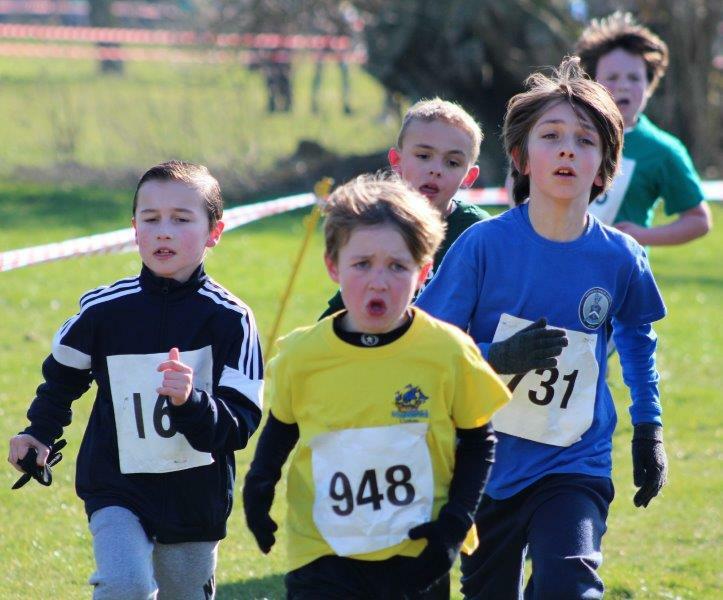 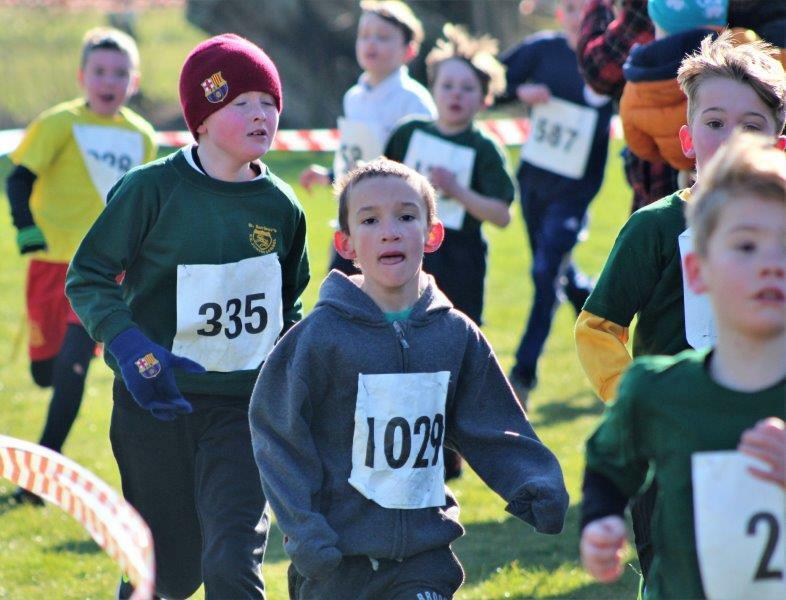 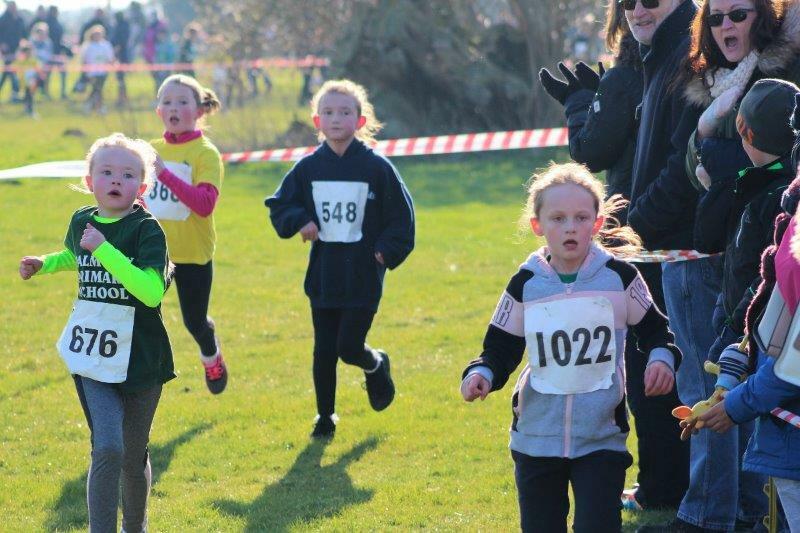 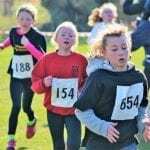 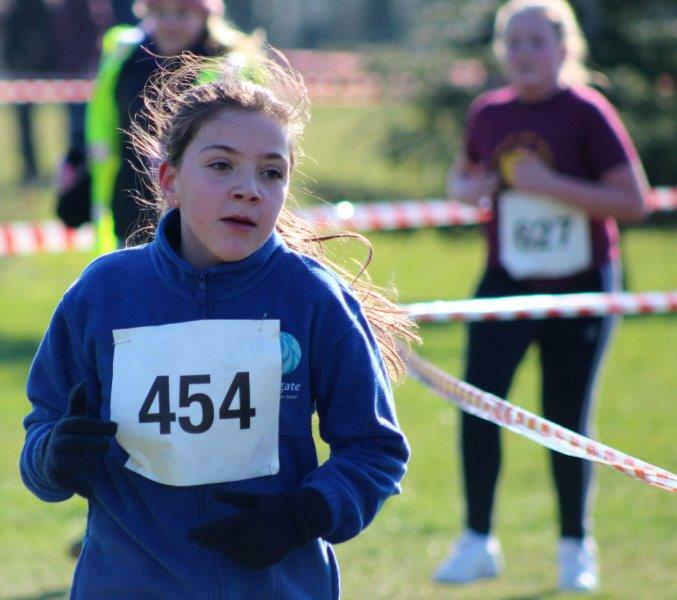 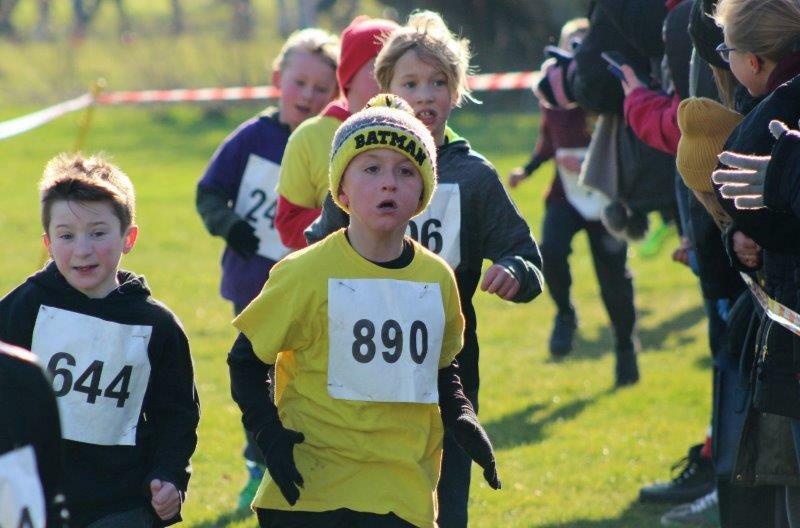 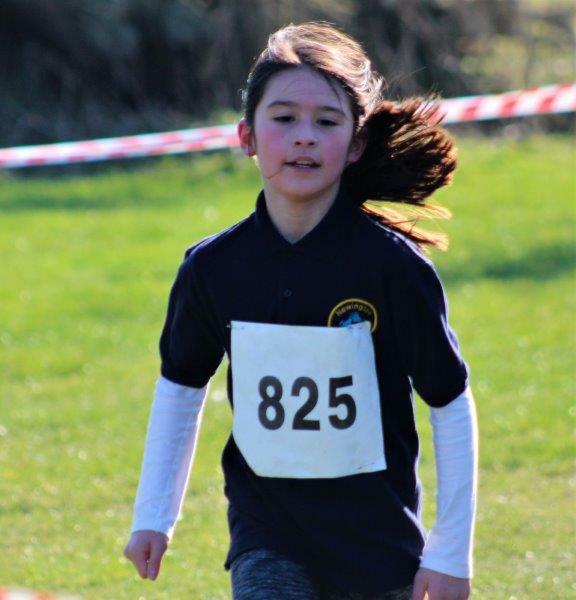 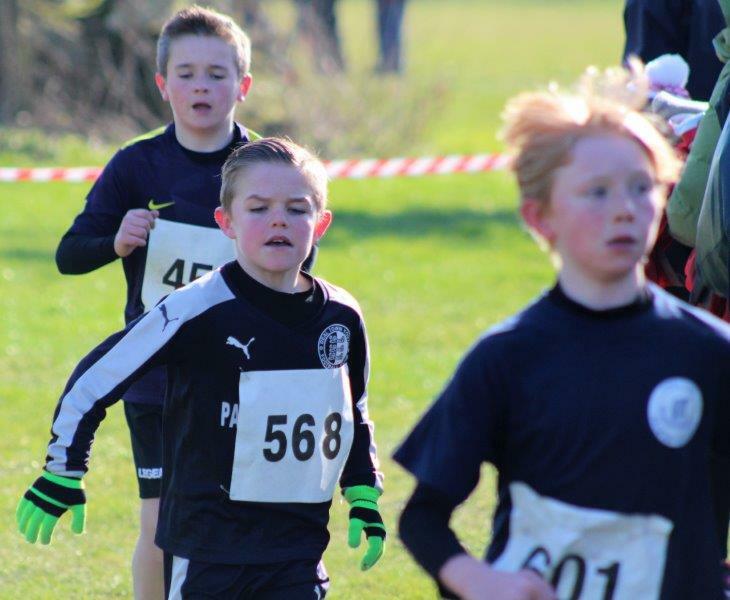 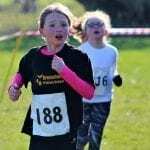 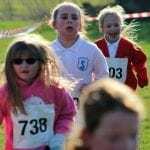 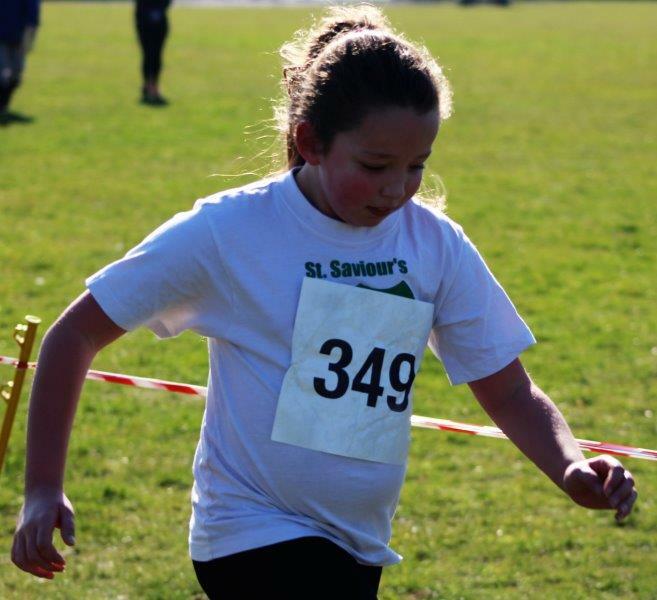 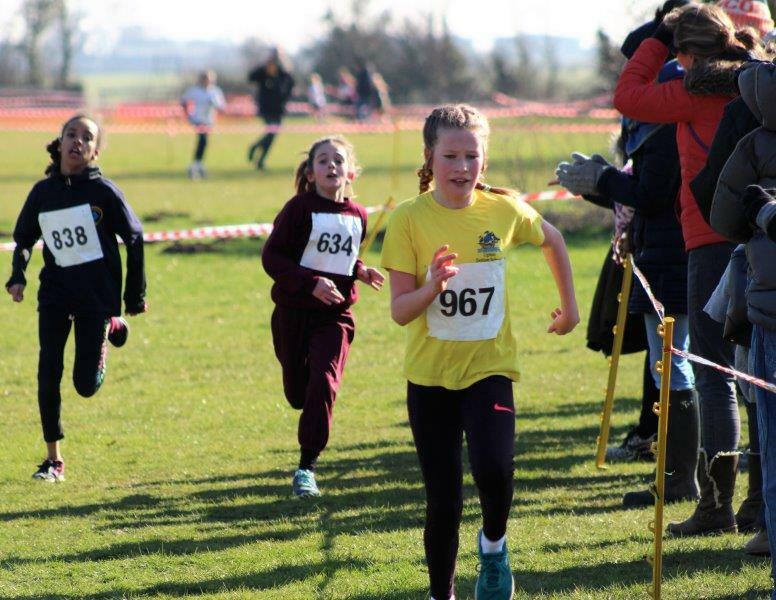 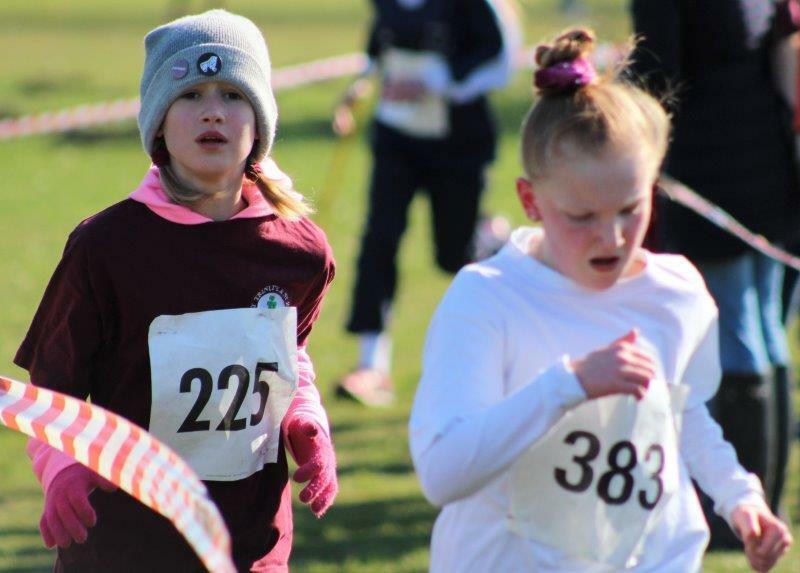 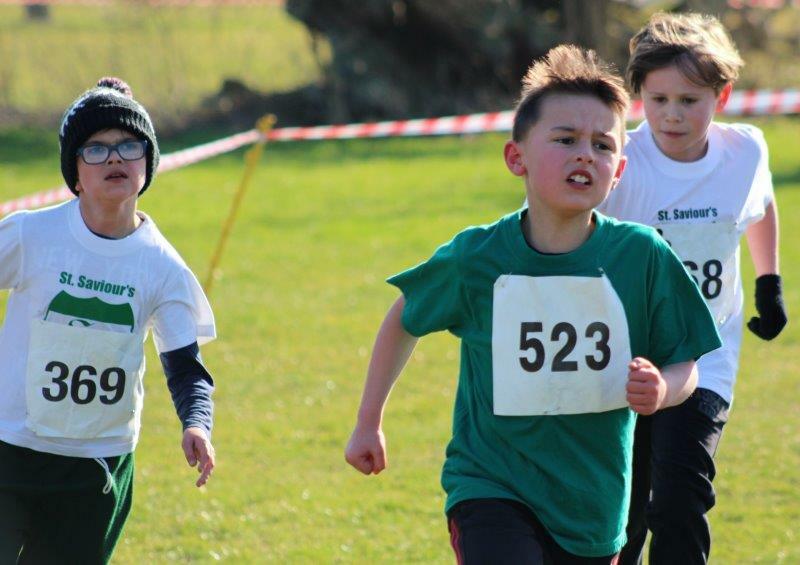 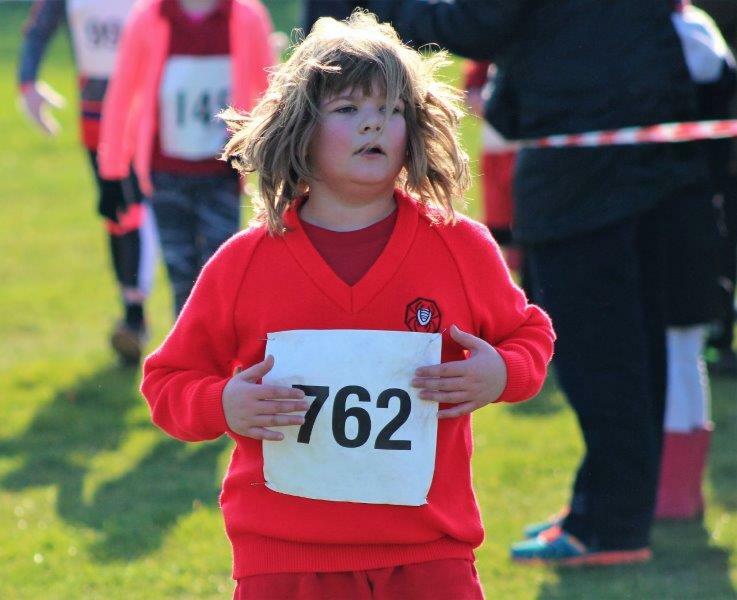 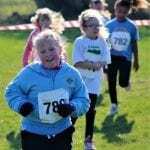 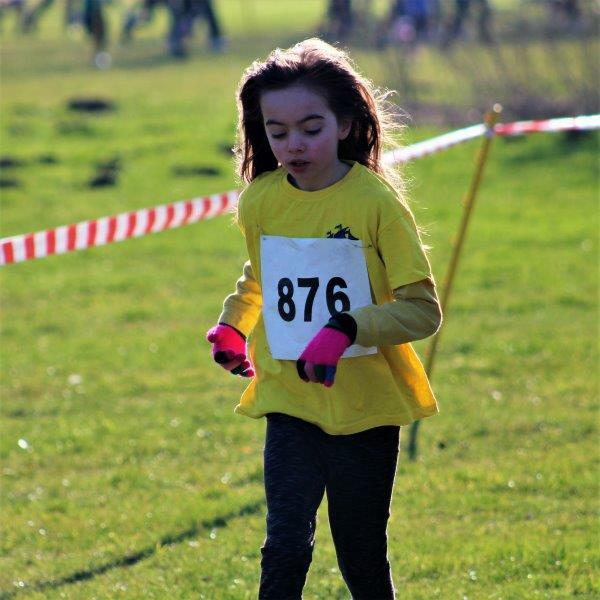 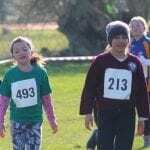 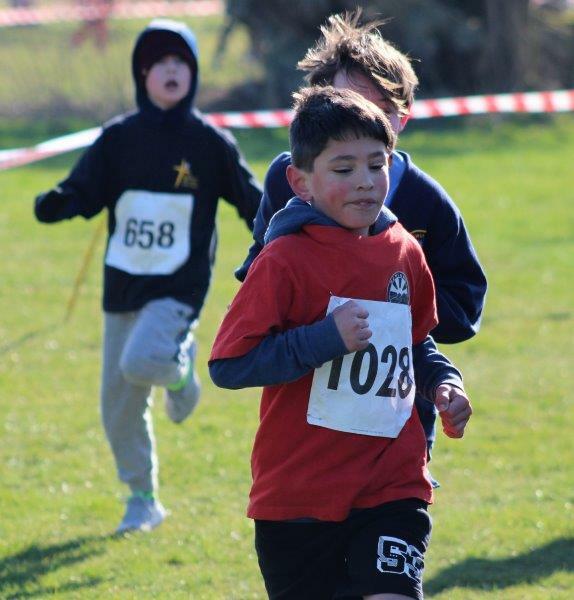 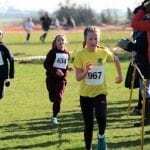 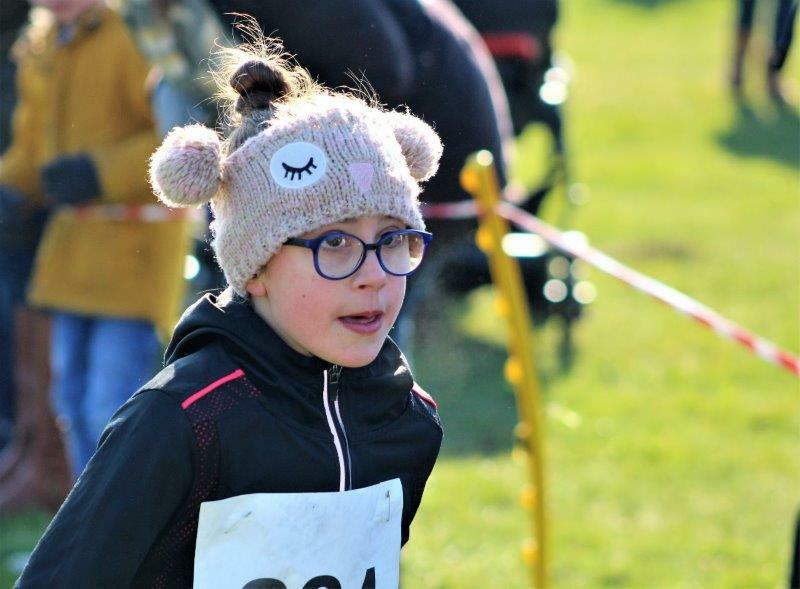 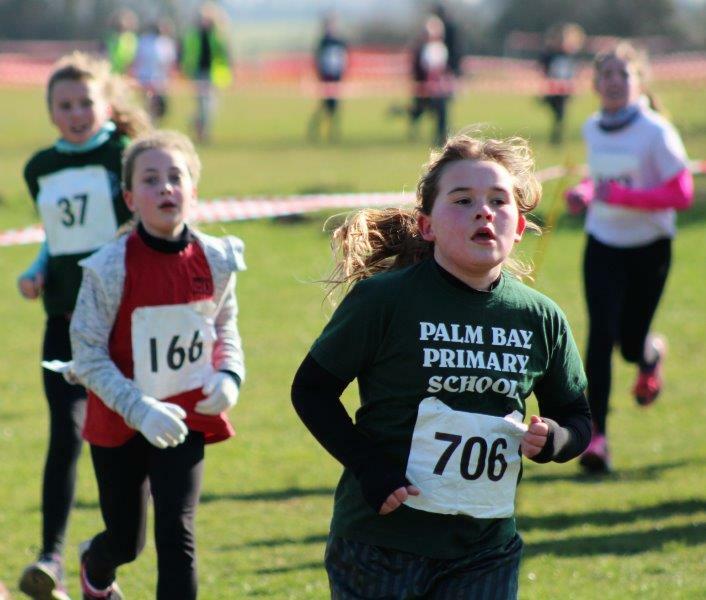 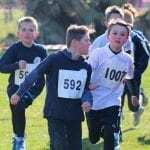 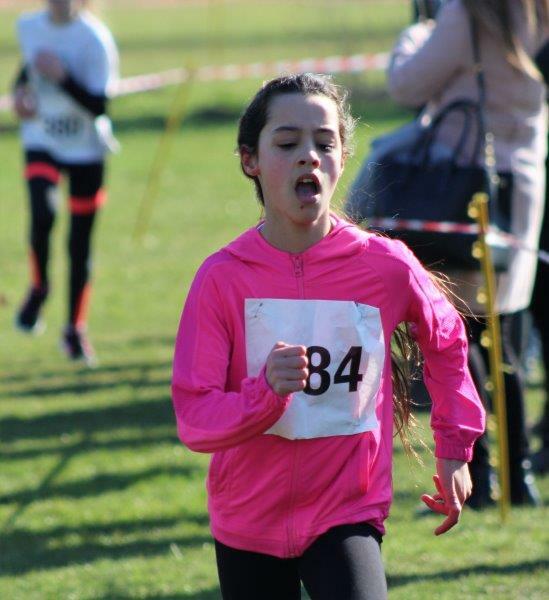 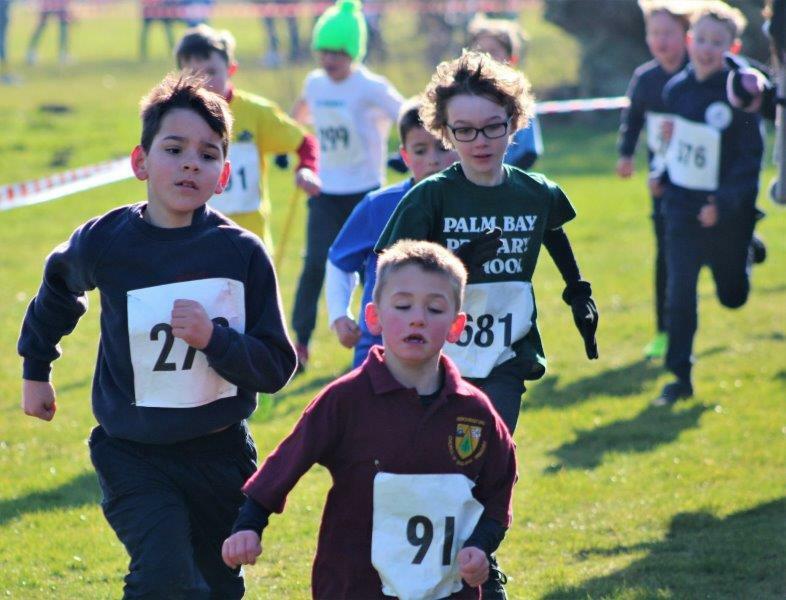 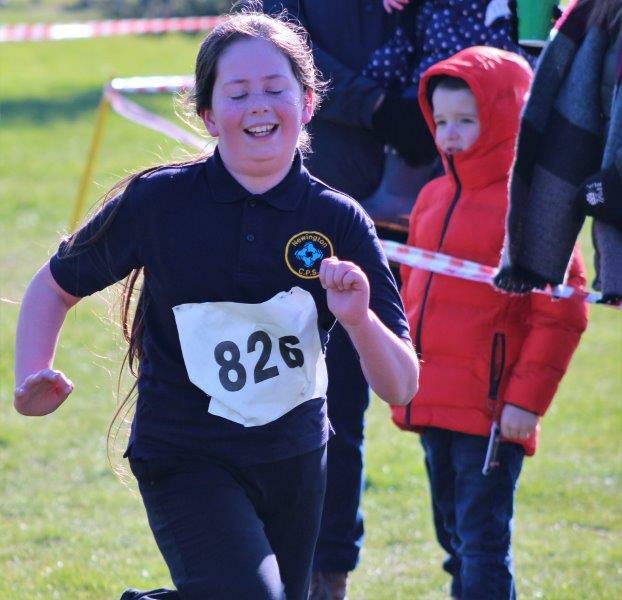 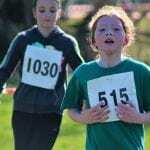 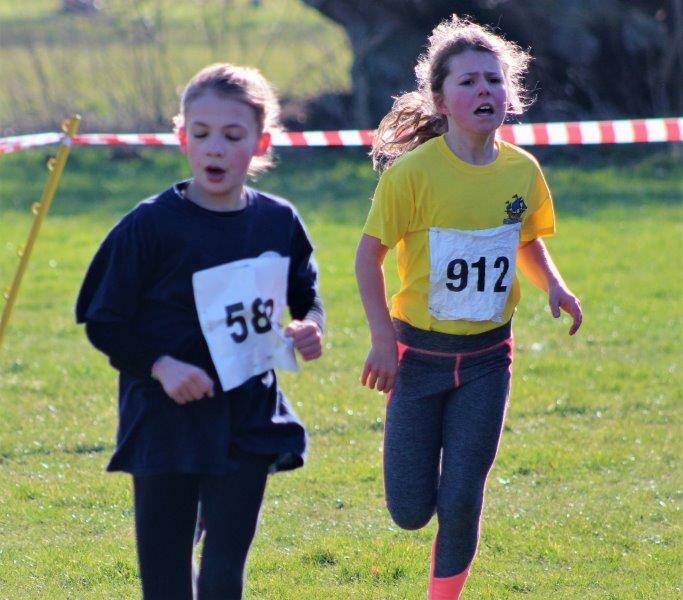 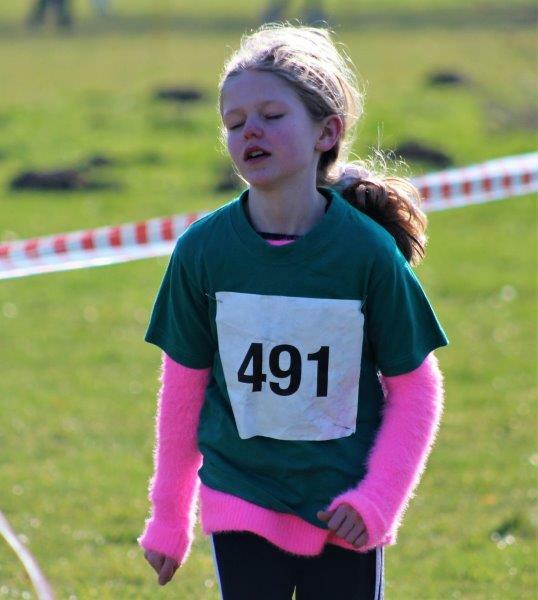 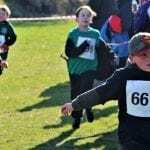 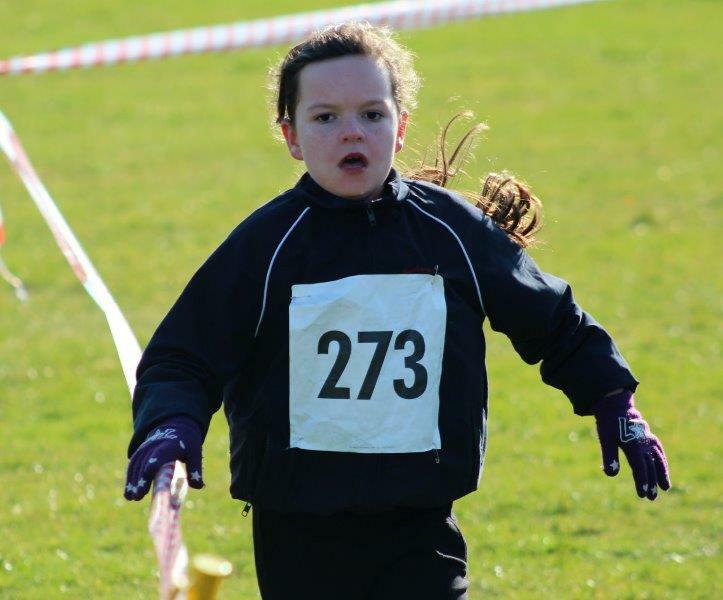 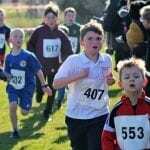 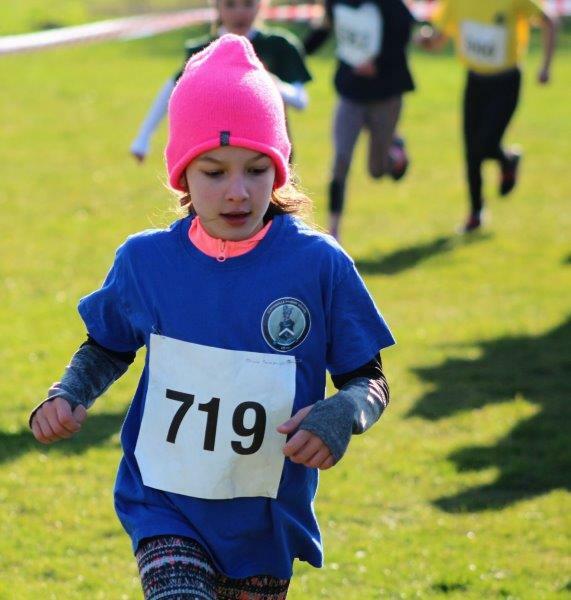 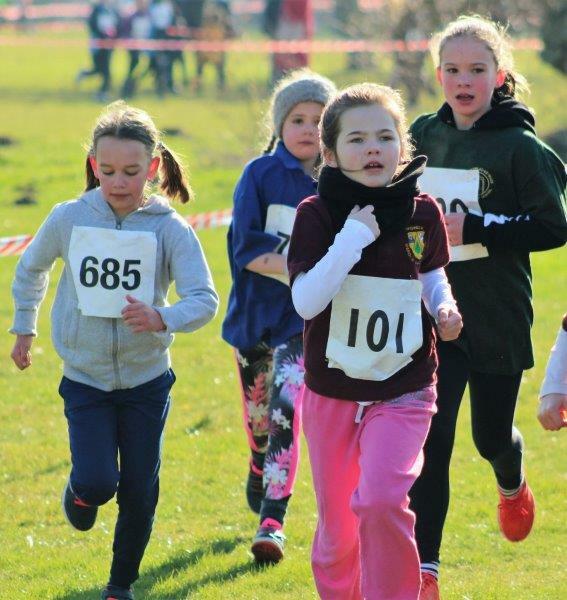 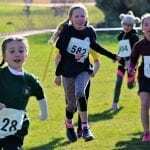 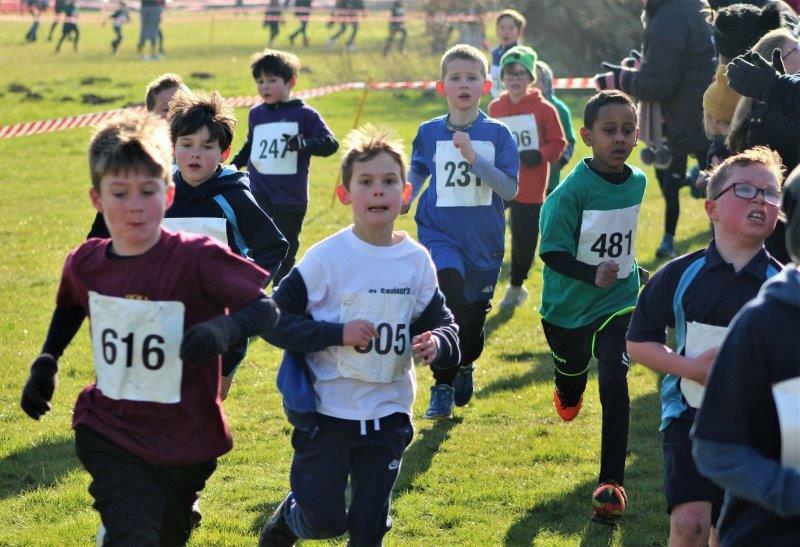 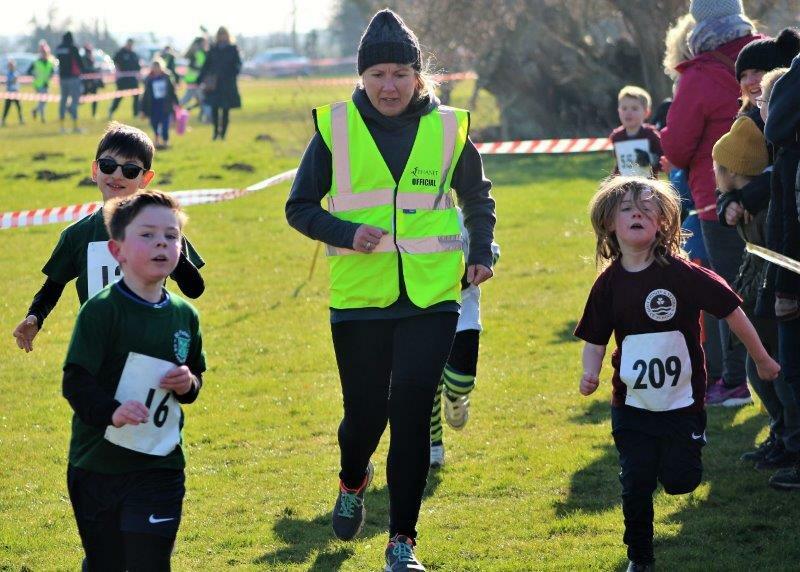 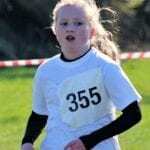 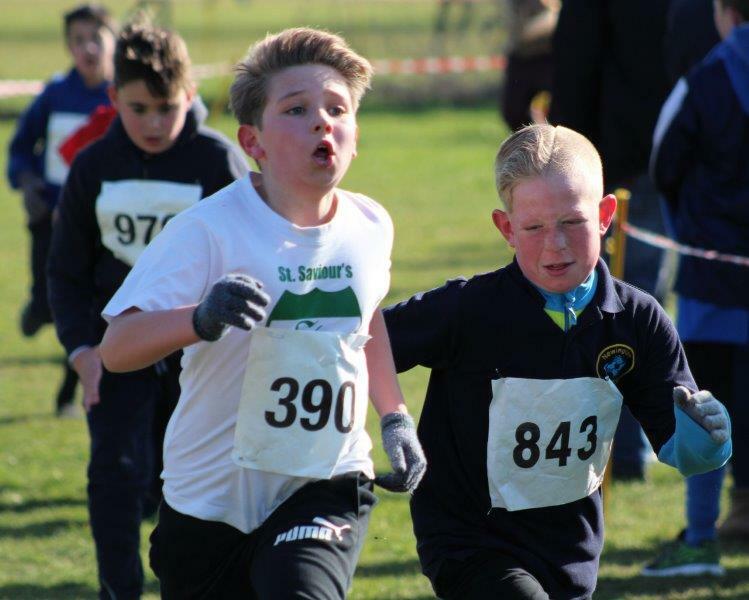 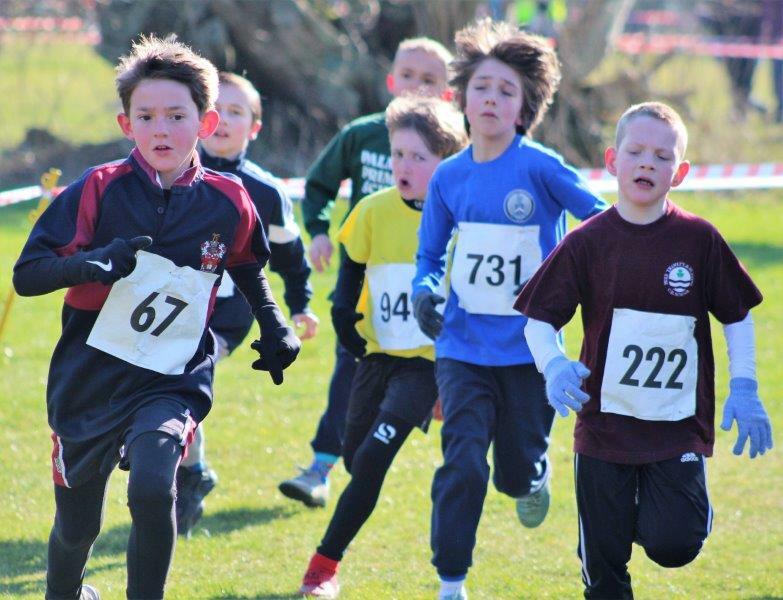 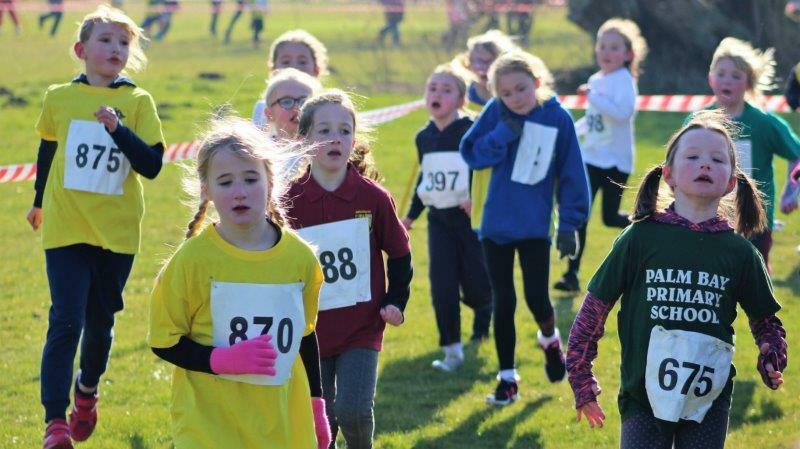 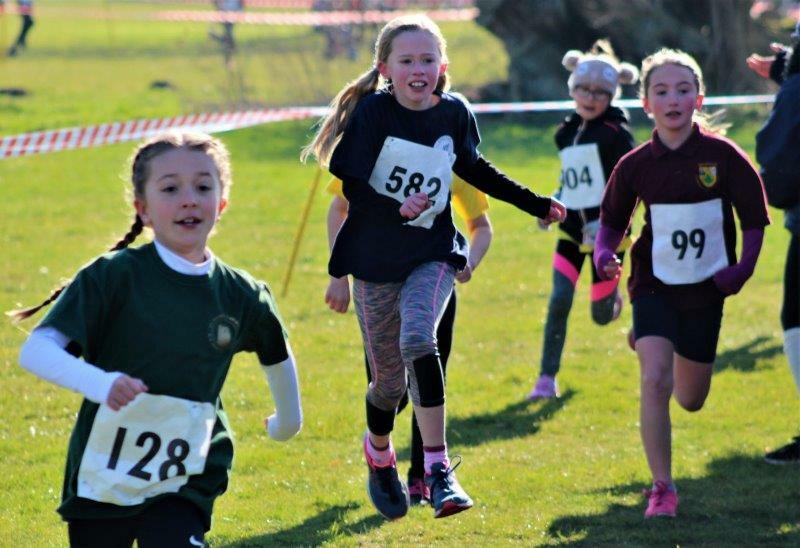 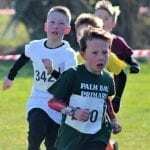 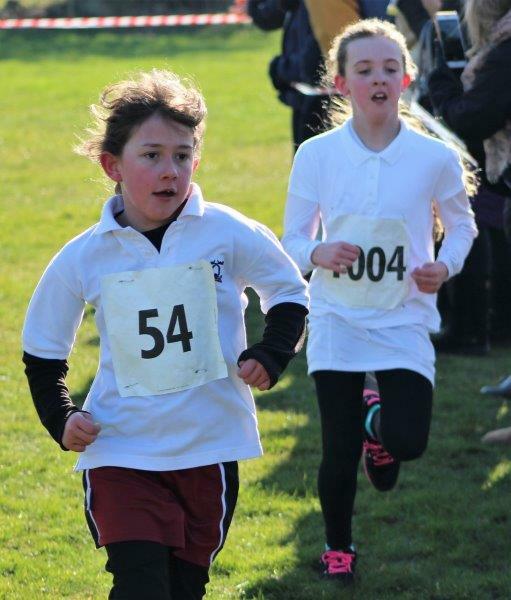 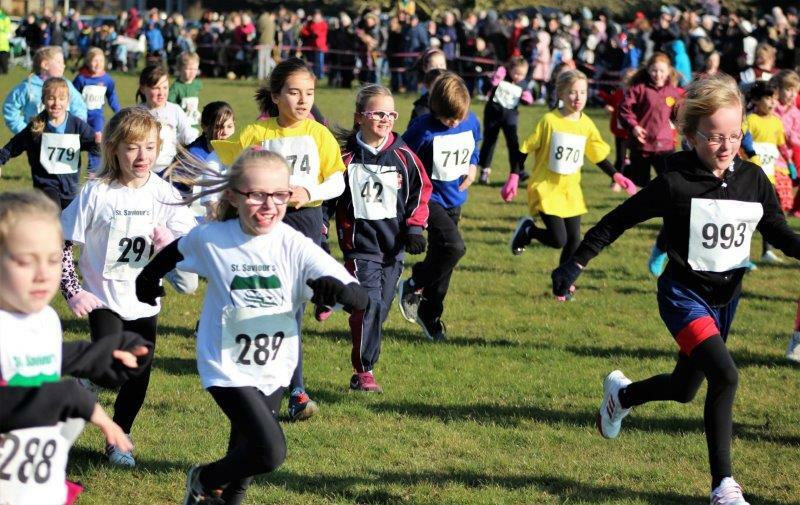 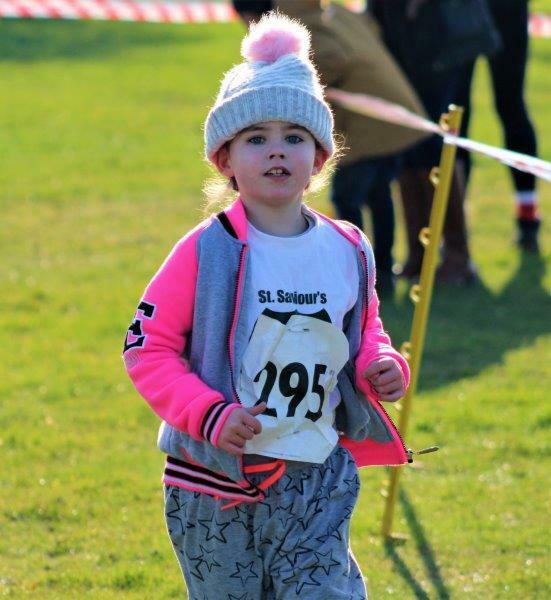 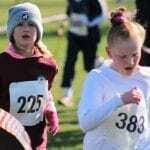 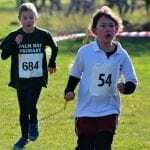 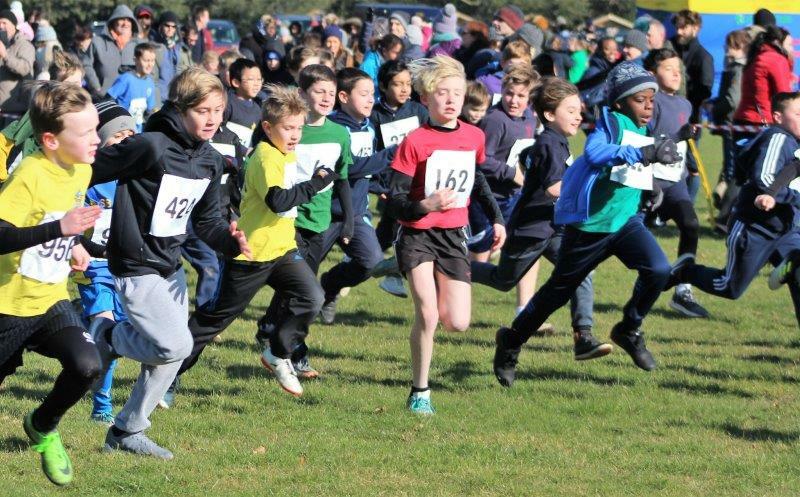 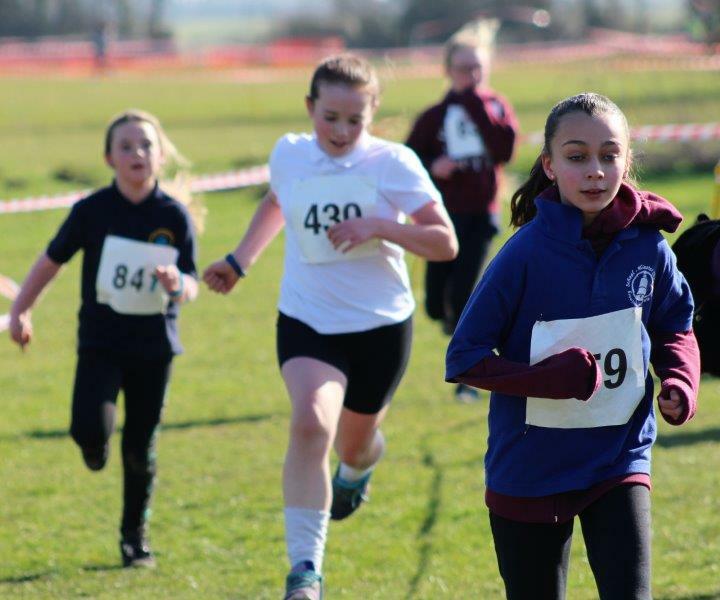 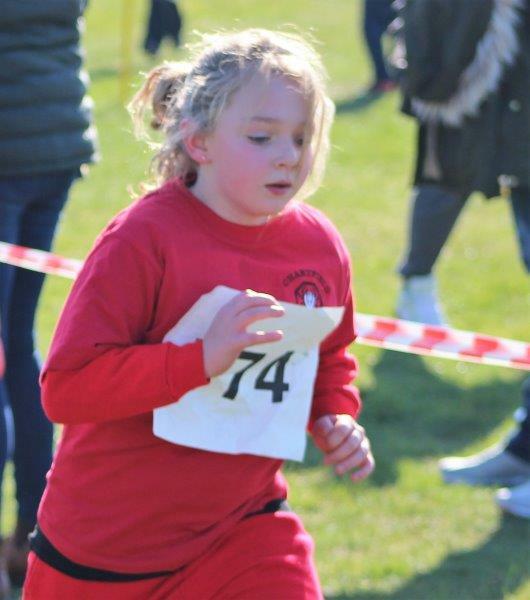 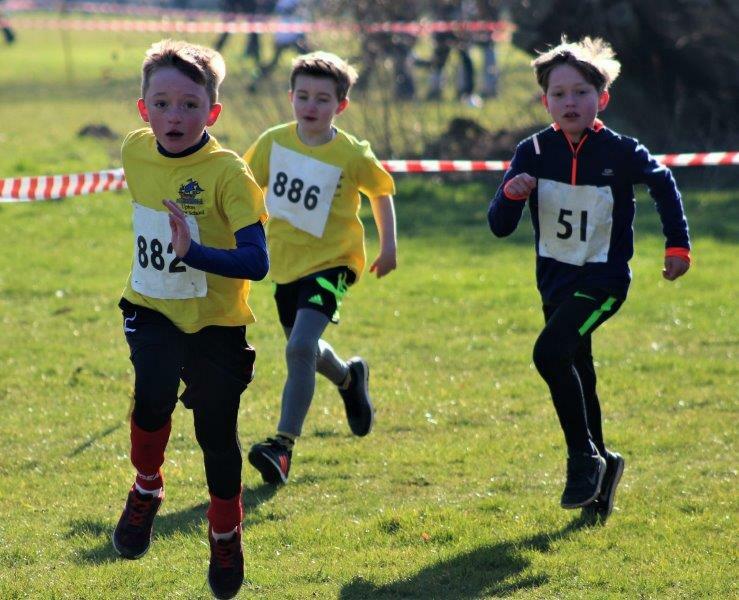 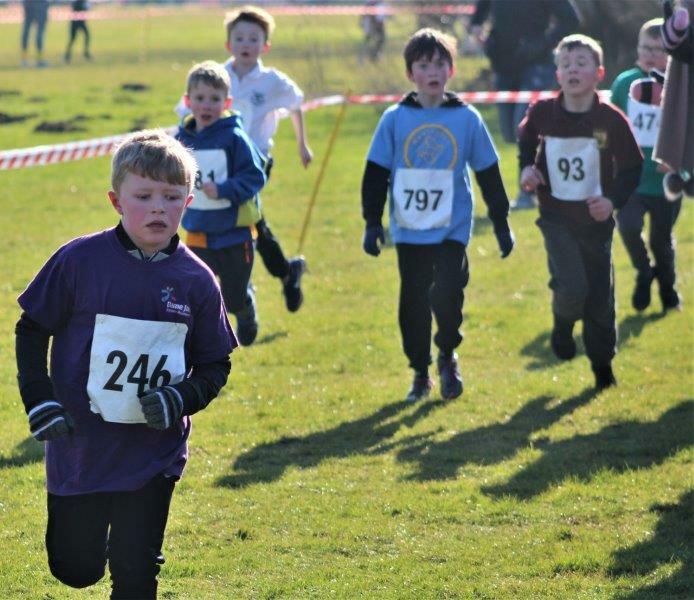 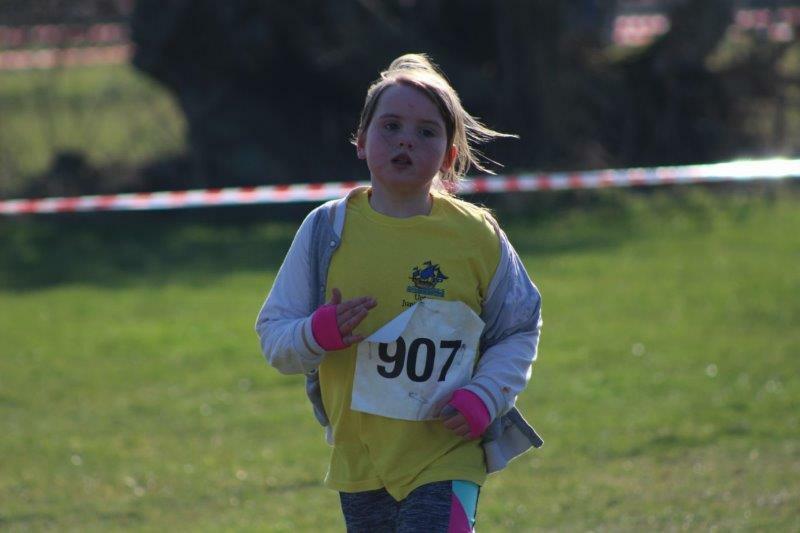 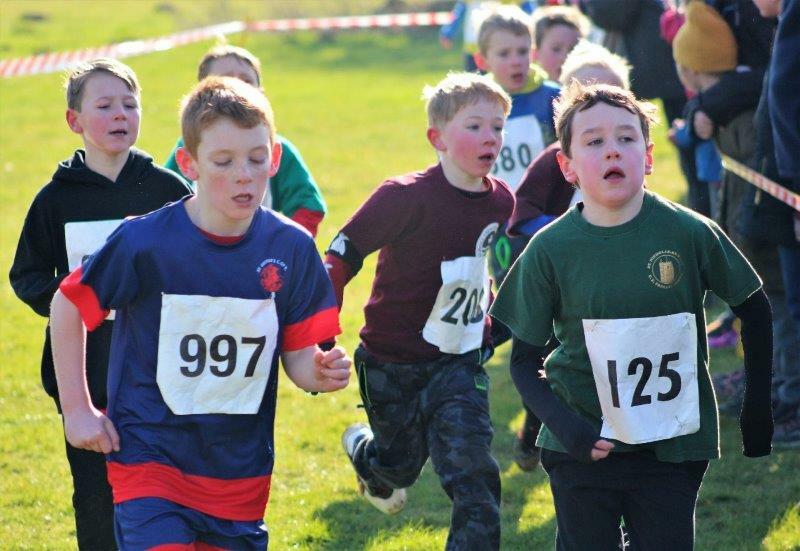 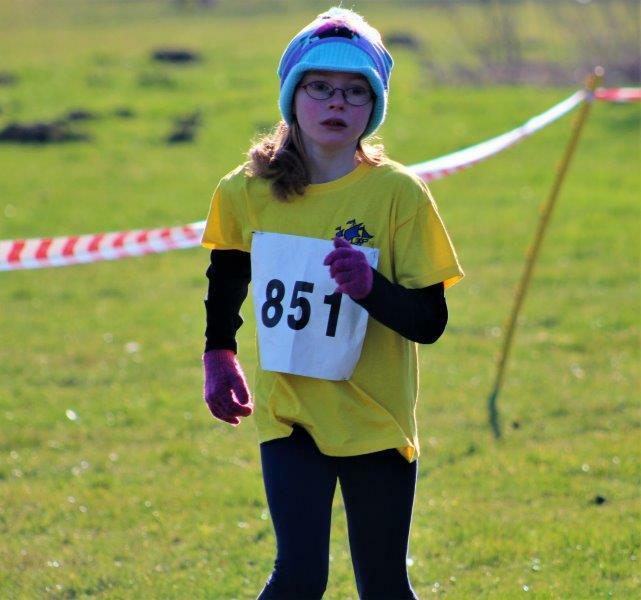 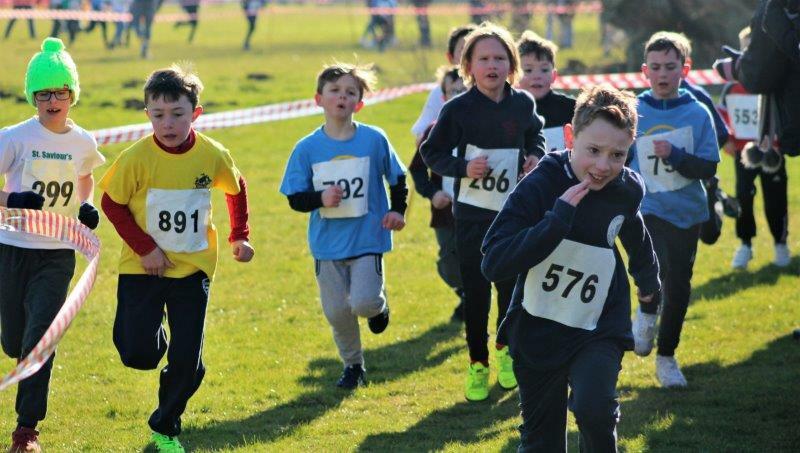 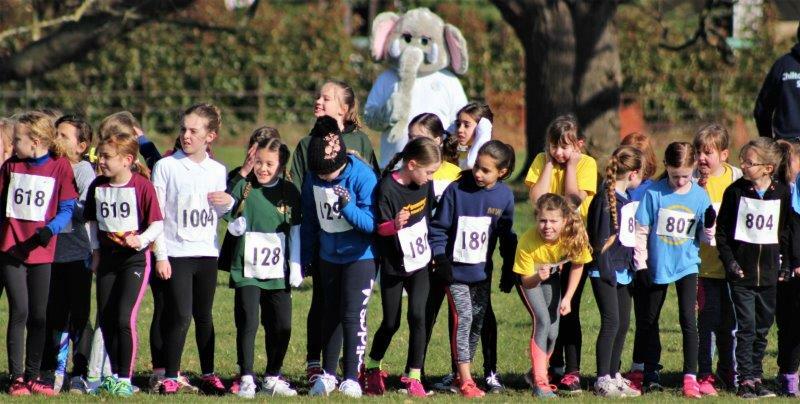 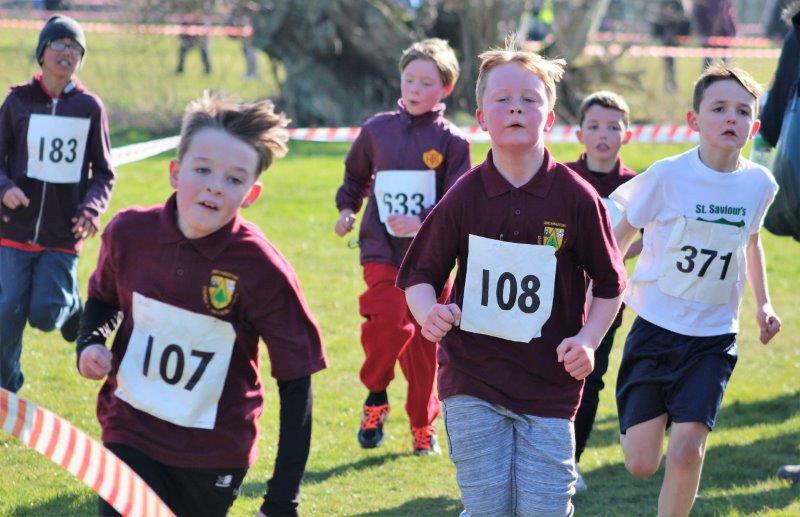 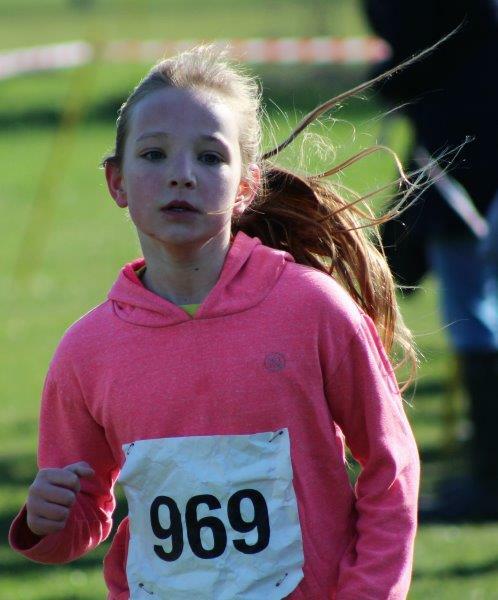 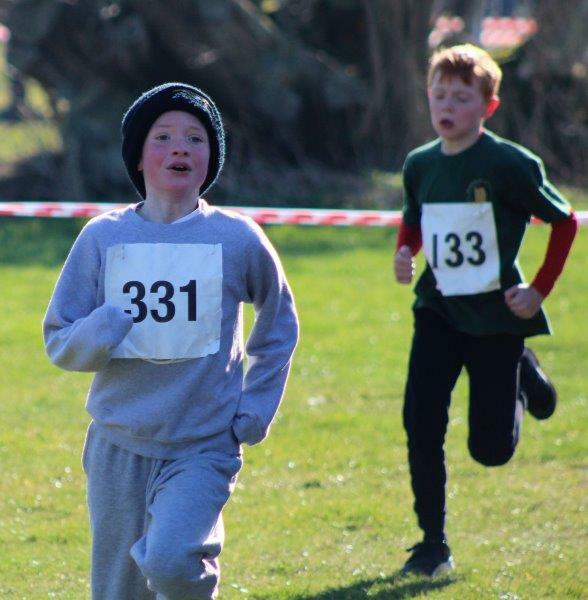 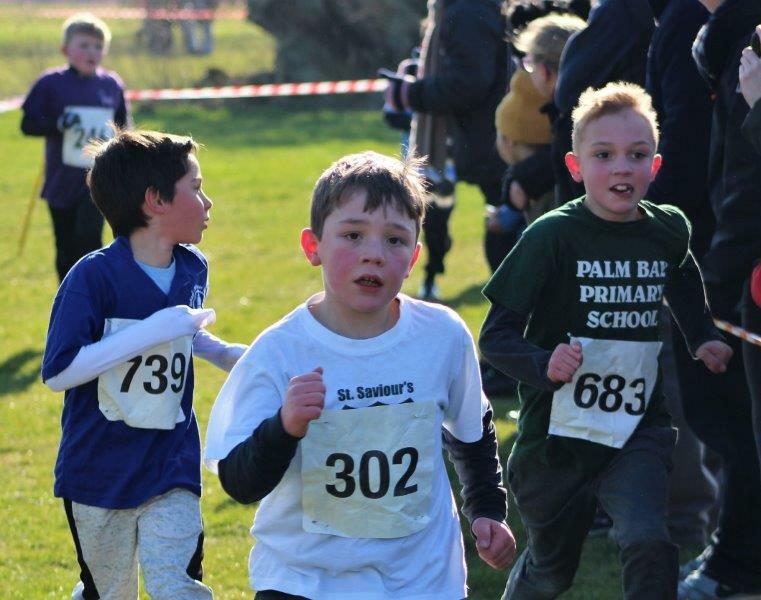 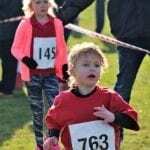 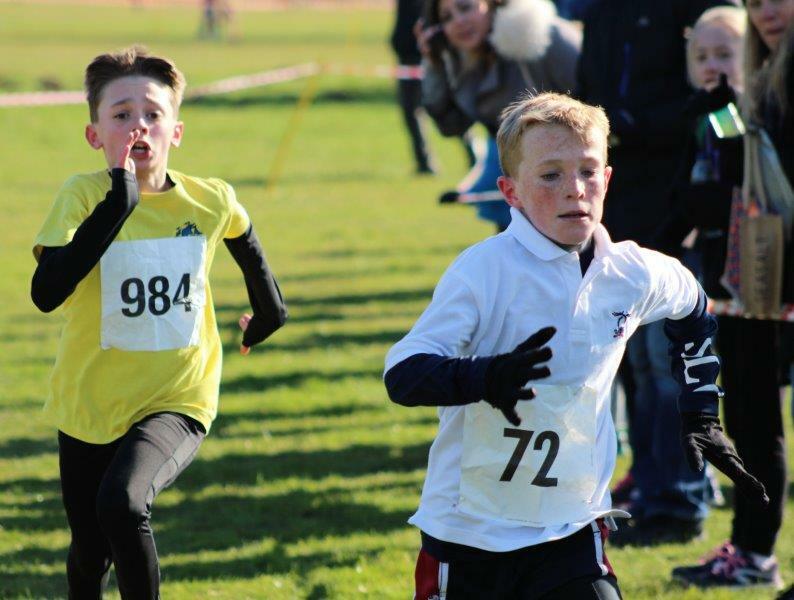 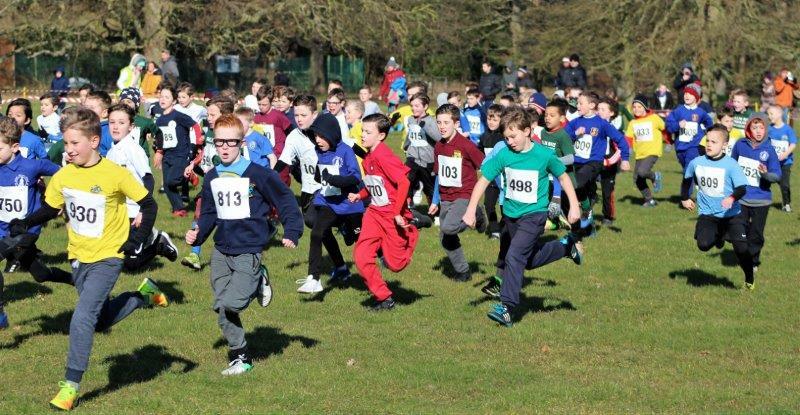 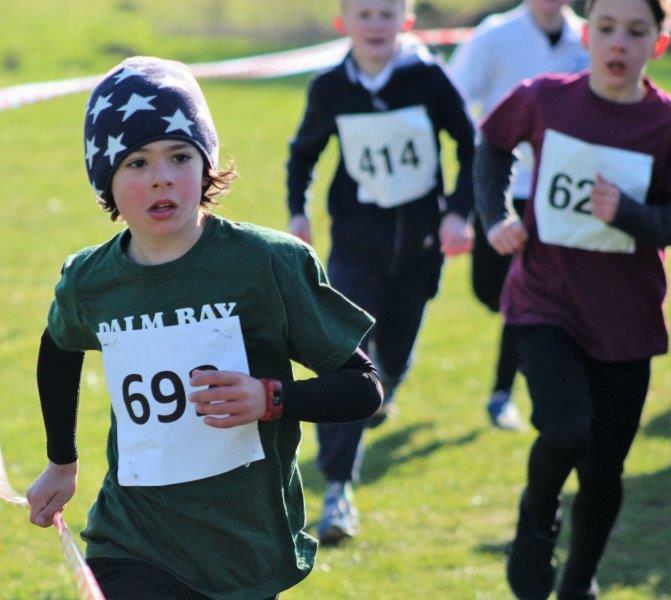 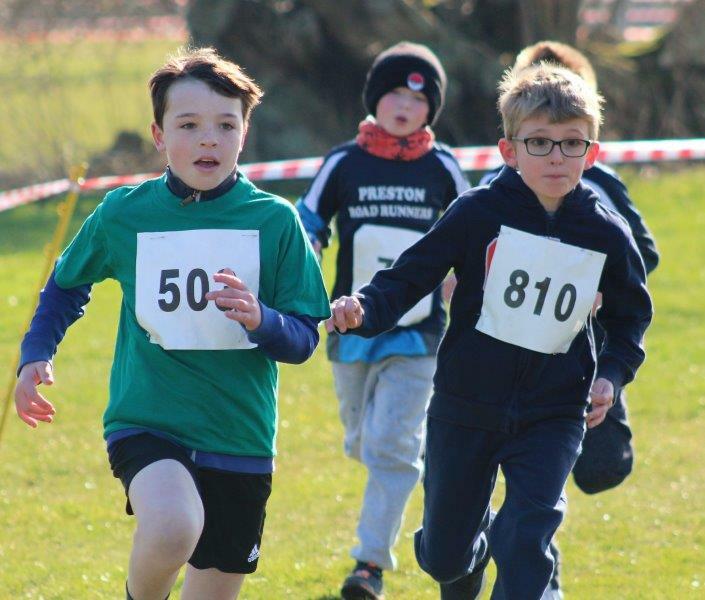 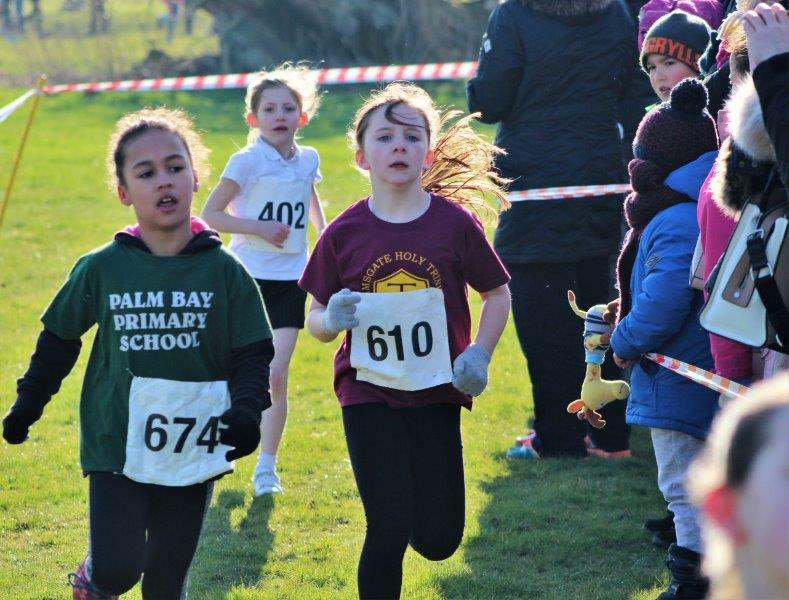 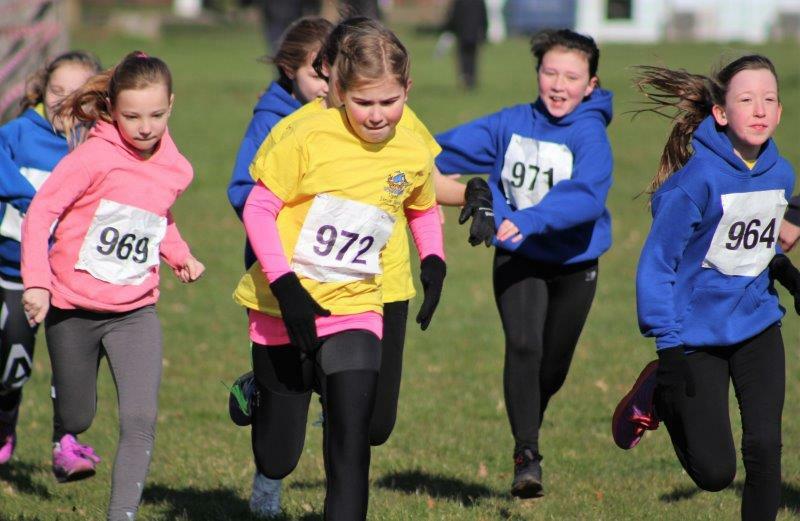 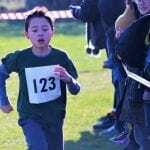 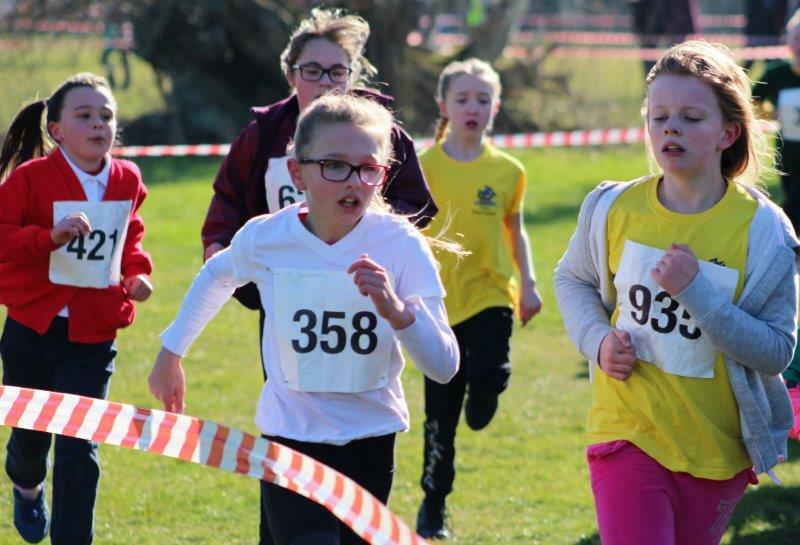 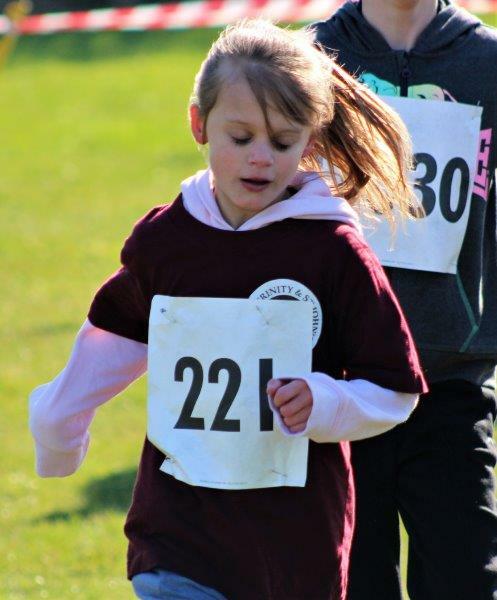 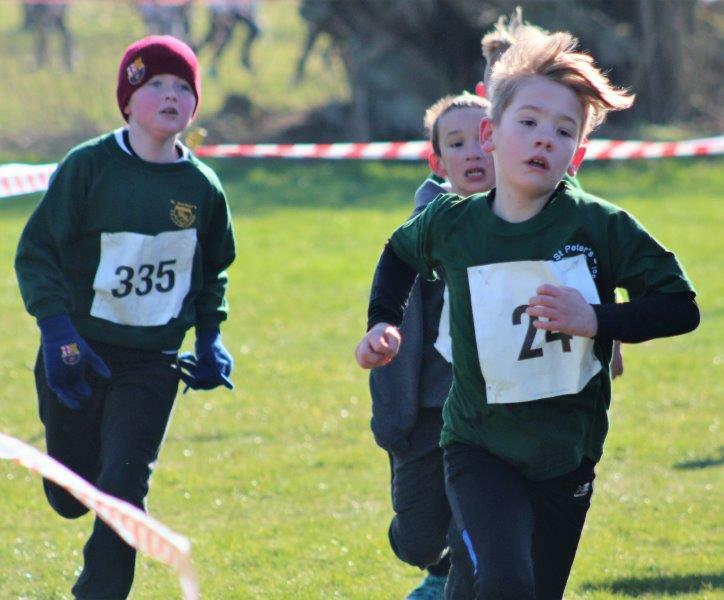 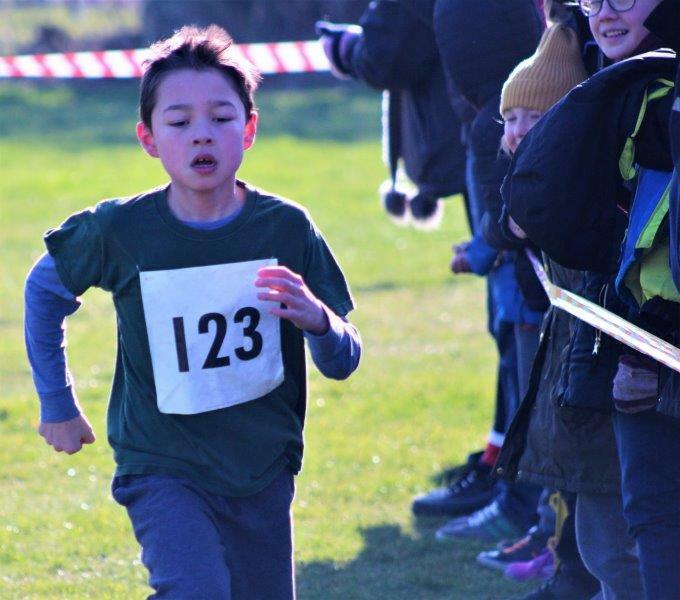 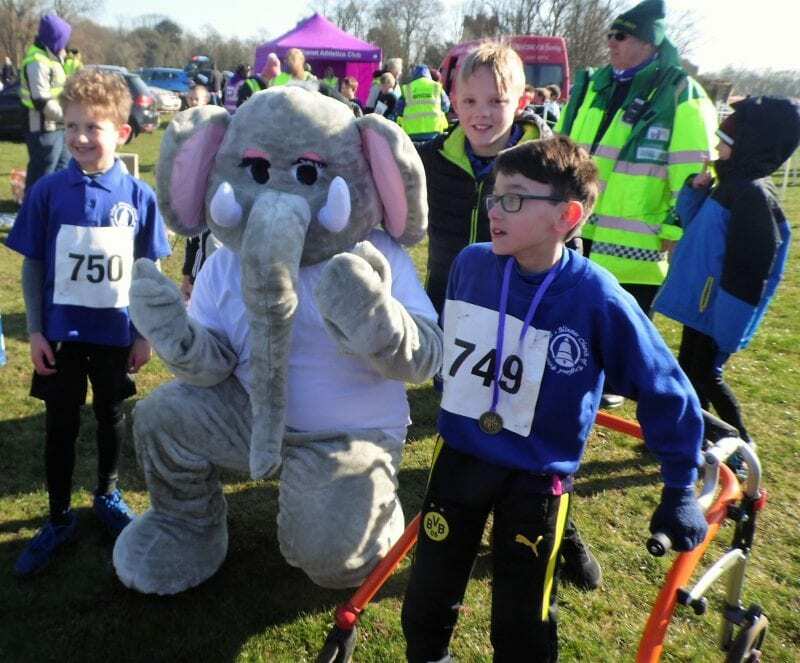 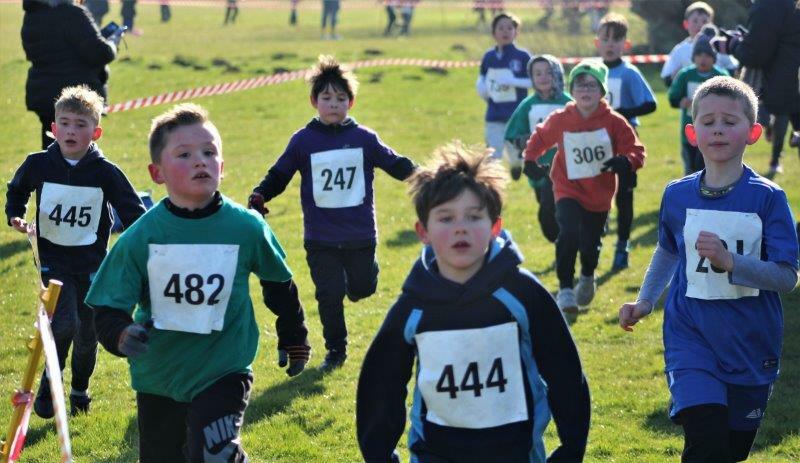 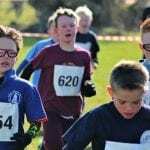 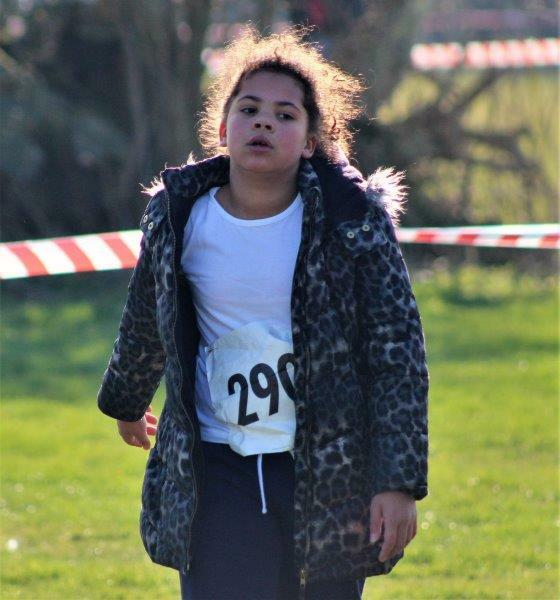 Almost 900 children from Primary Schools across Thanet braved the cold and wind on Saturday morning to compete in the second and final event of the 2017/18 season. 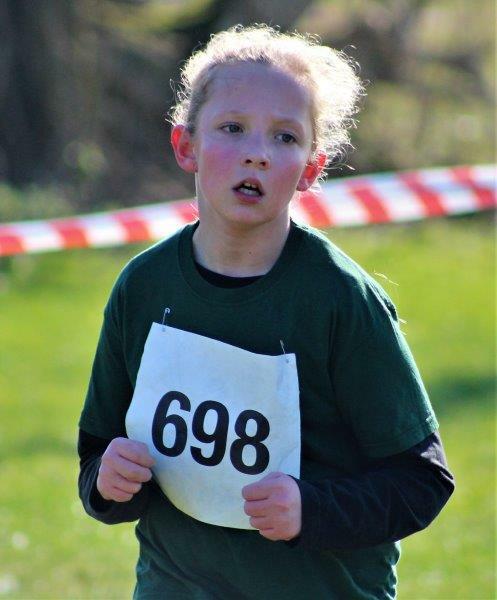 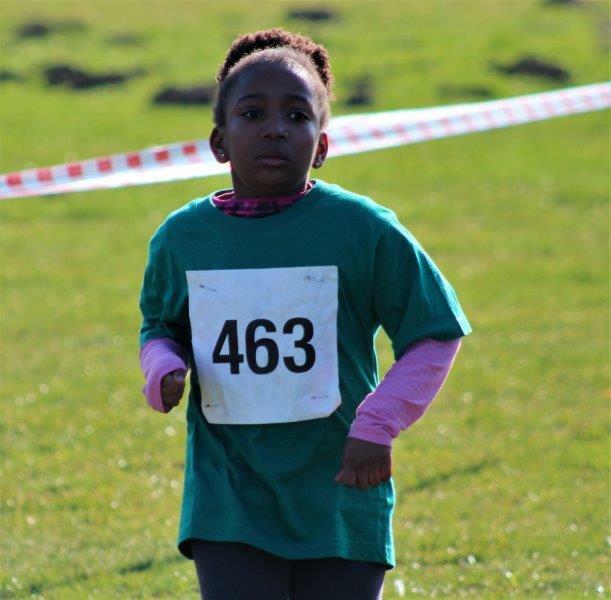 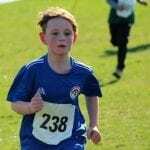 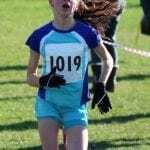 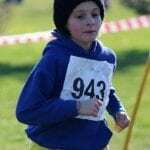 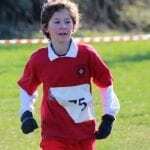 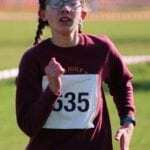 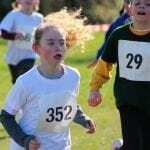 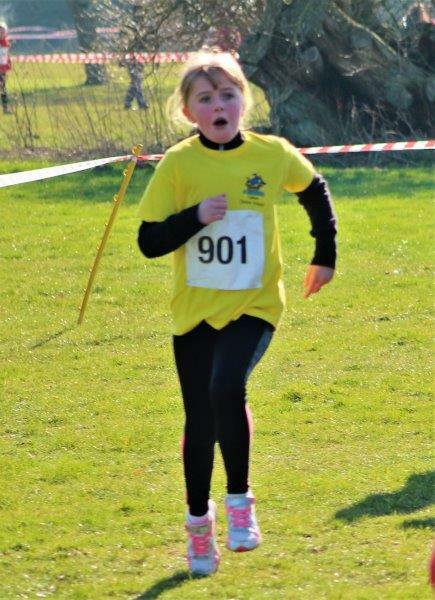 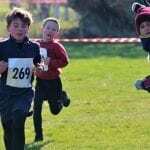 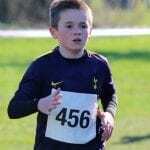 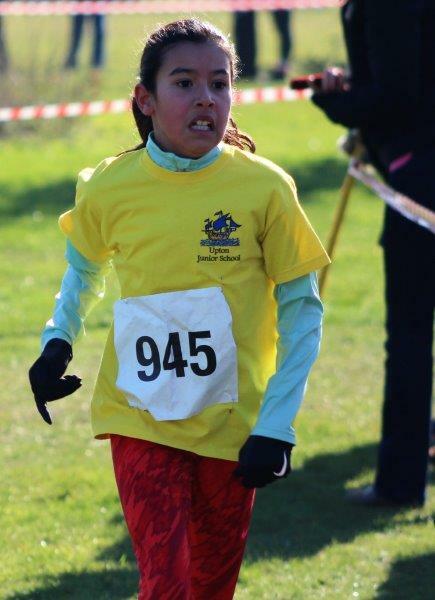 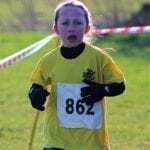 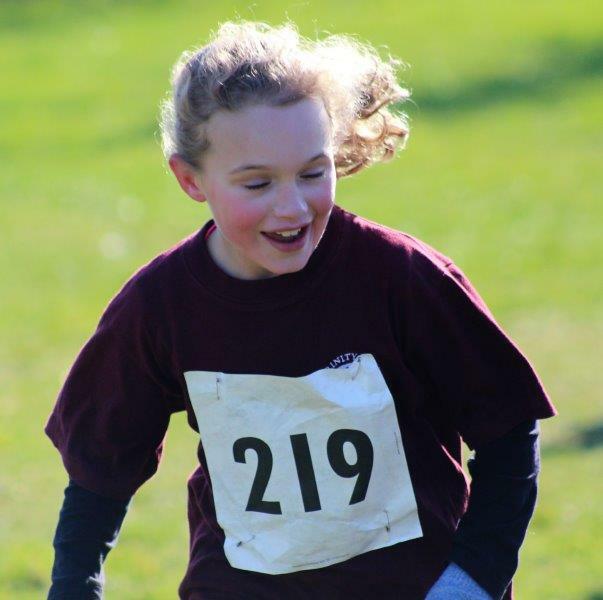 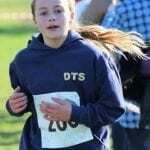 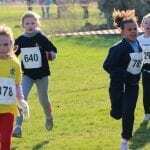 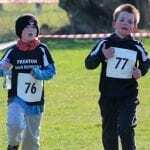 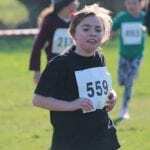 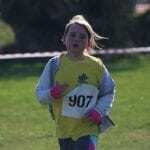 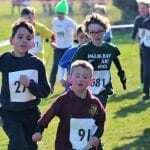 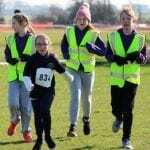 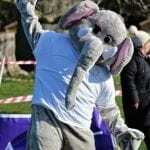 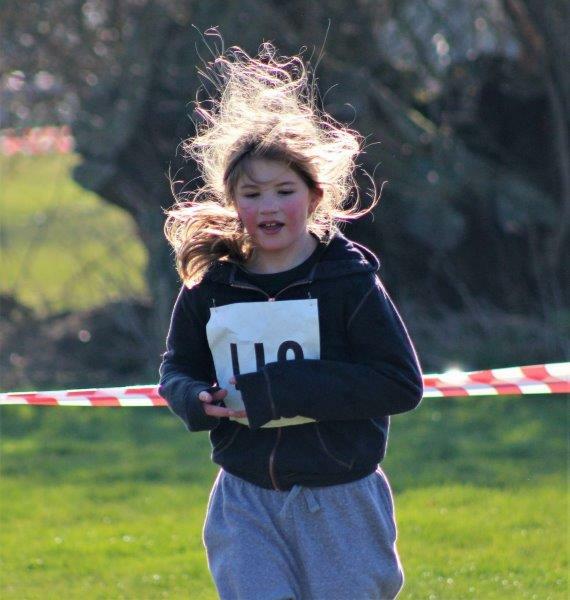 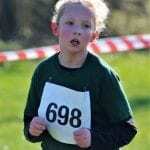 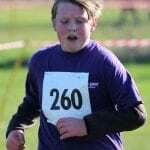 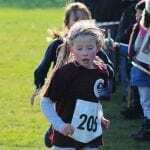 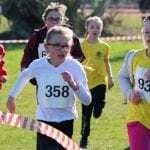 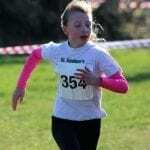 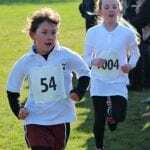 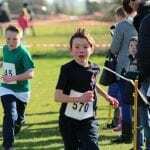 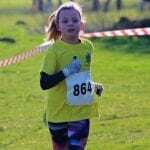 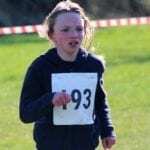 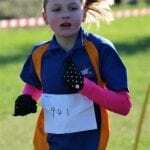 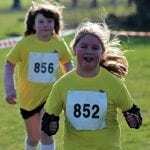 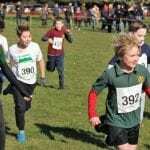 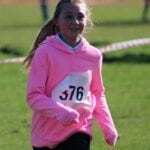 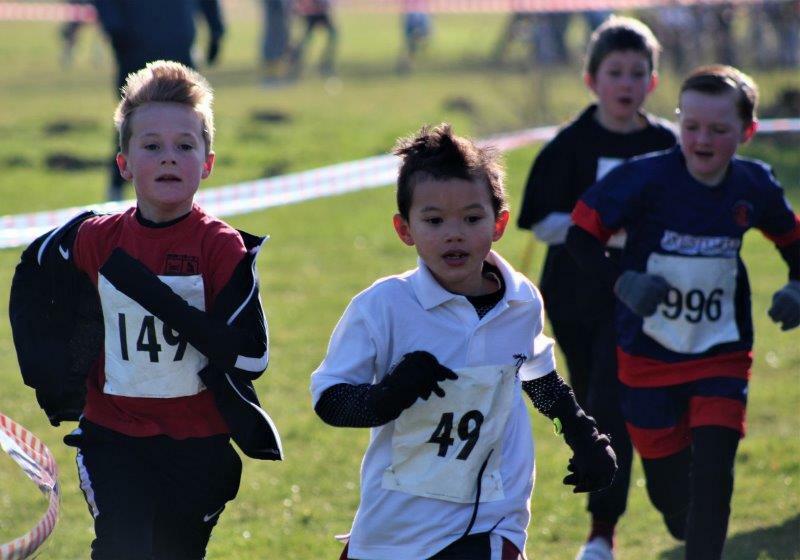 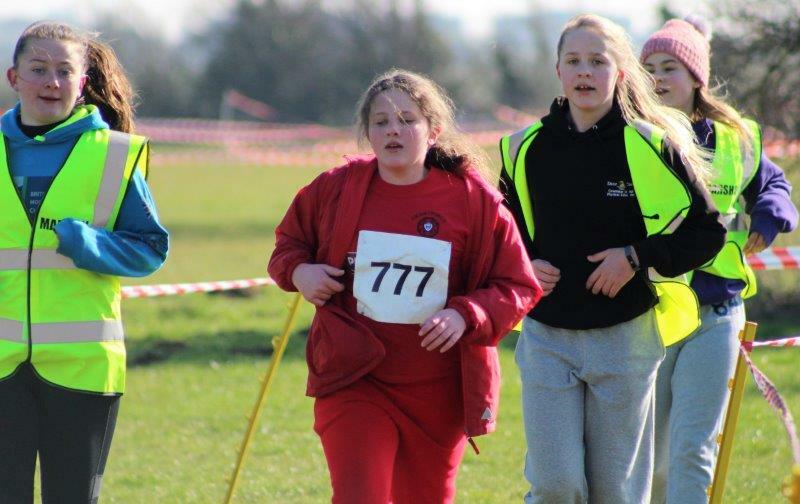 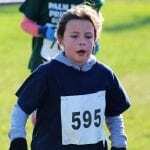 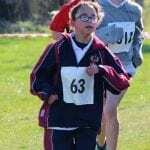 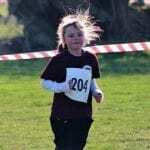 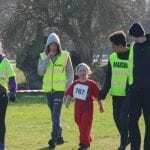 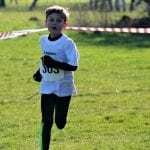 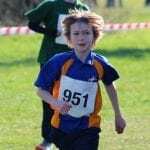 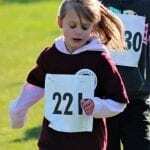 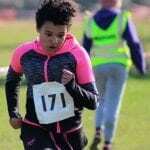 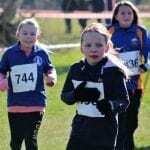 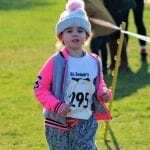 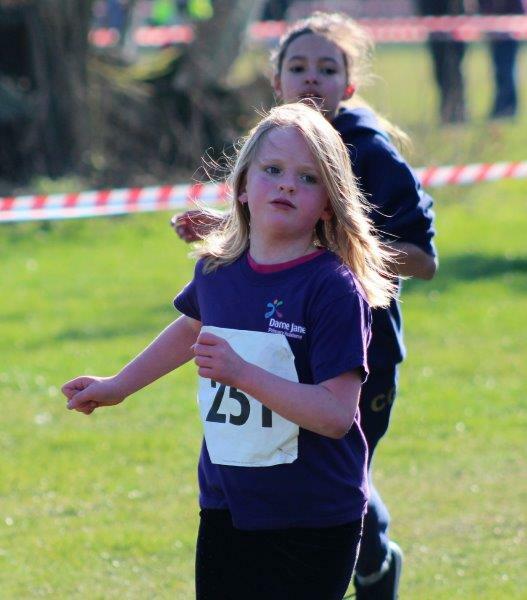 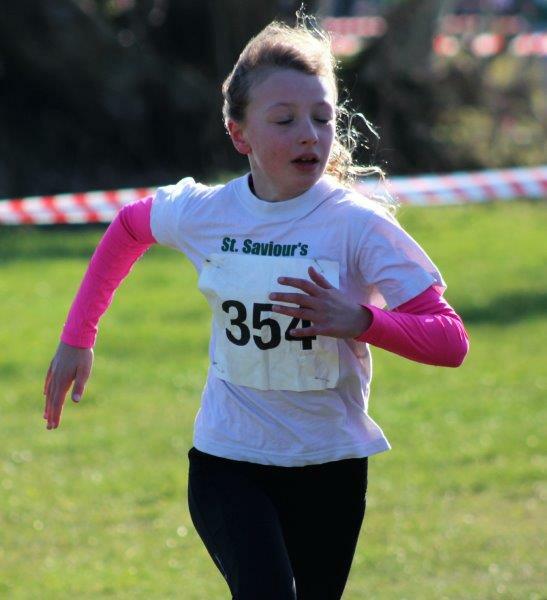 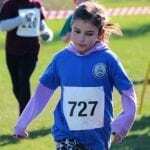 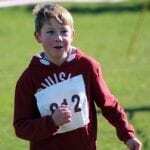 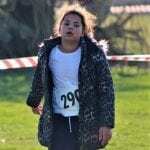 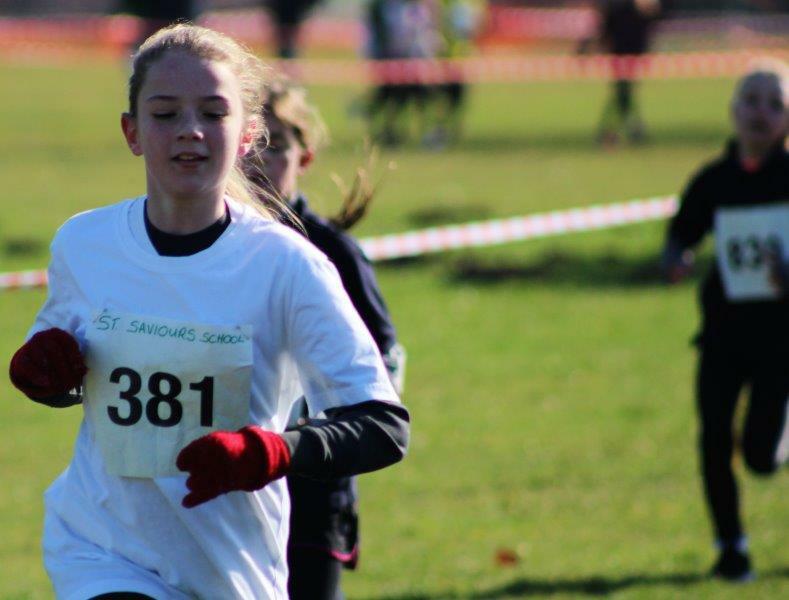 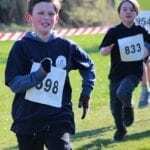 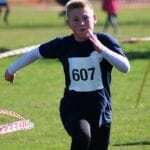 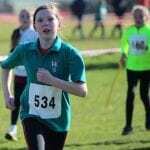 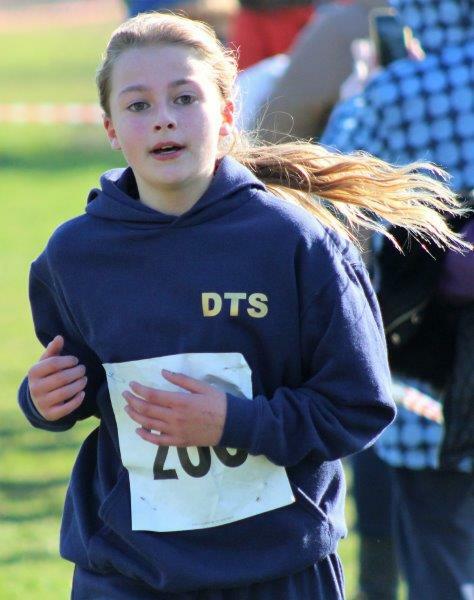 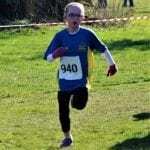 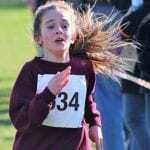 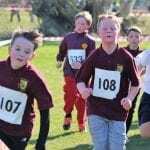 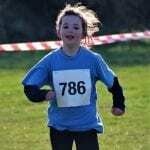 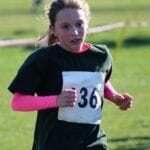 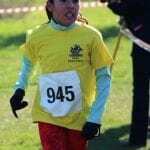 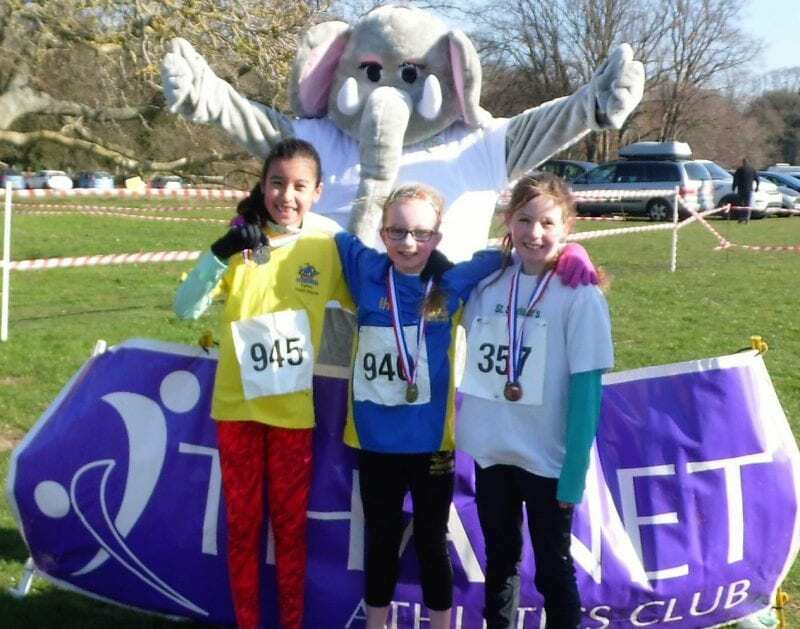 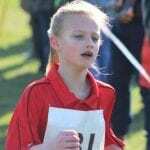 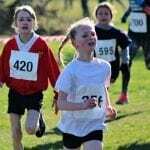 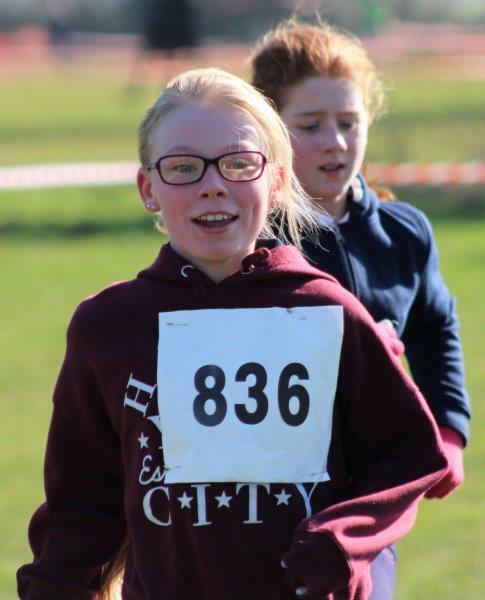 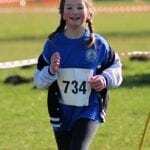 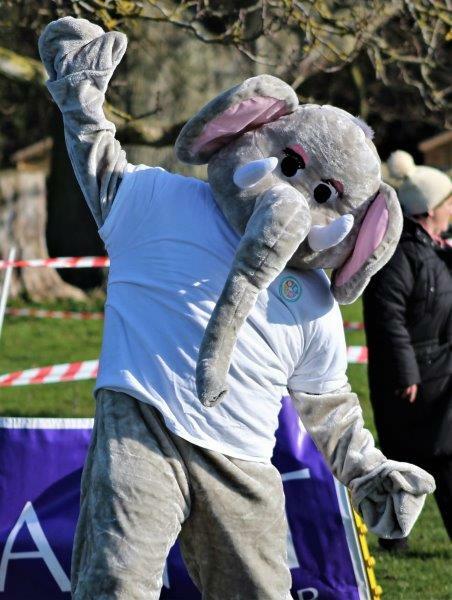 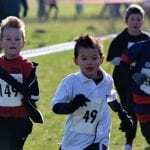 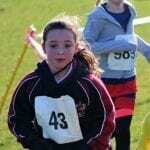 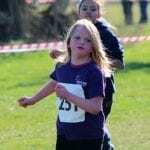 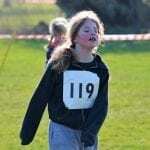 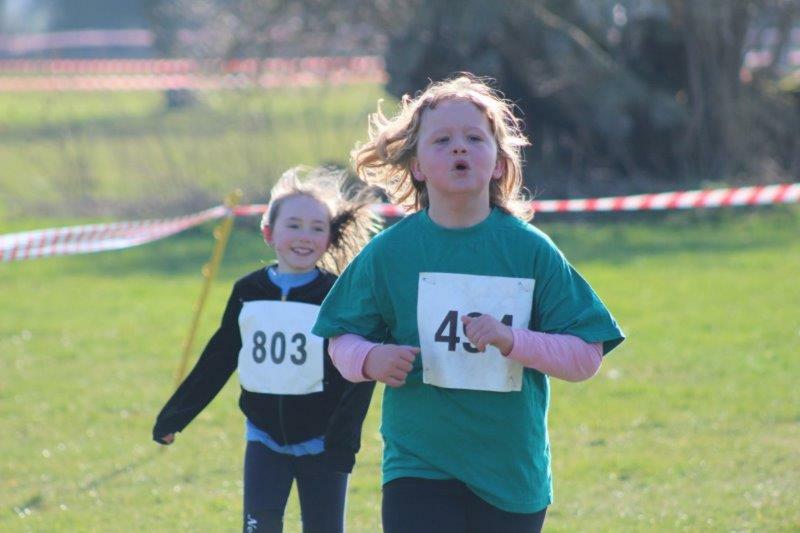 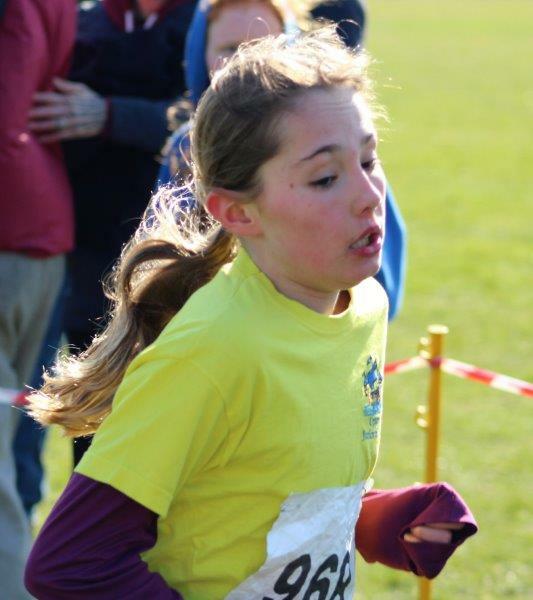 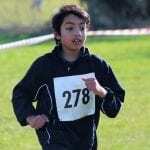 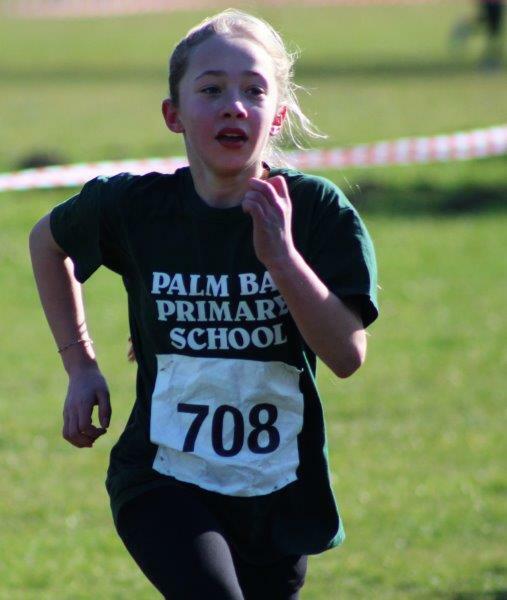 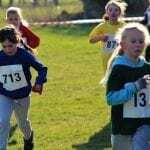 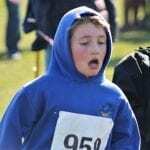 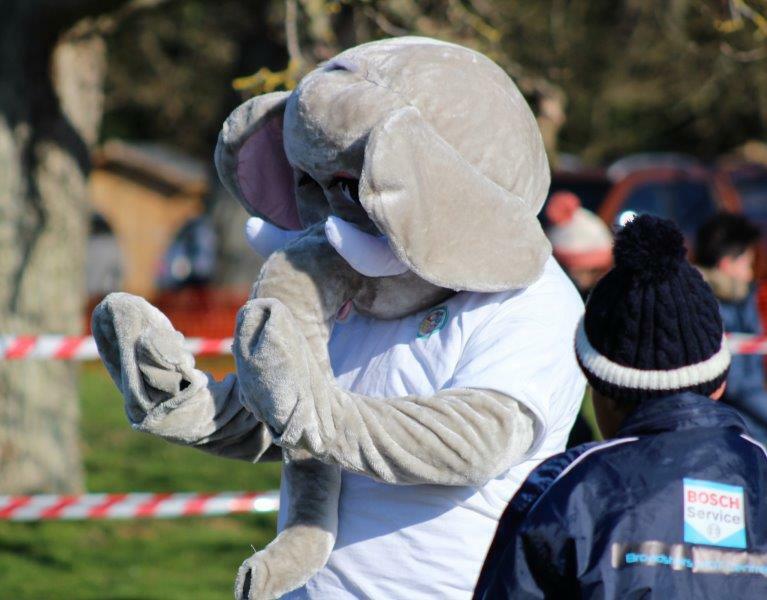 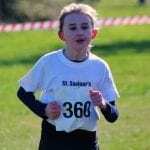 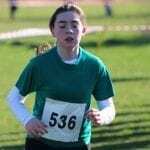 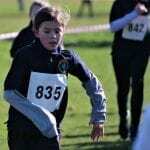 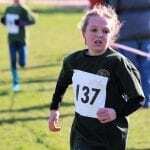 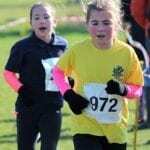 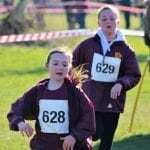 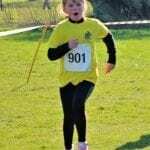 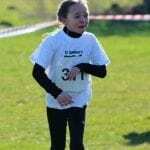 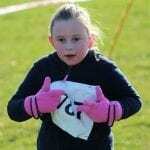 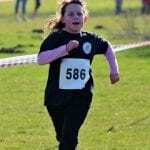 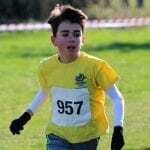 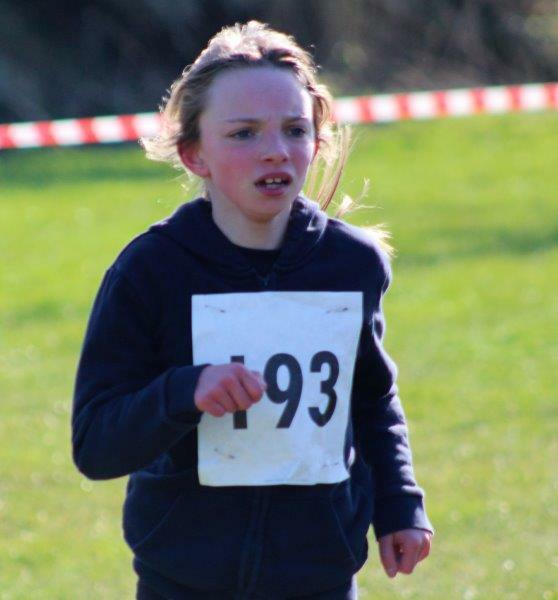 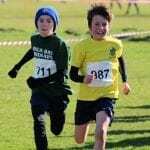 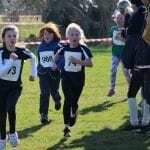 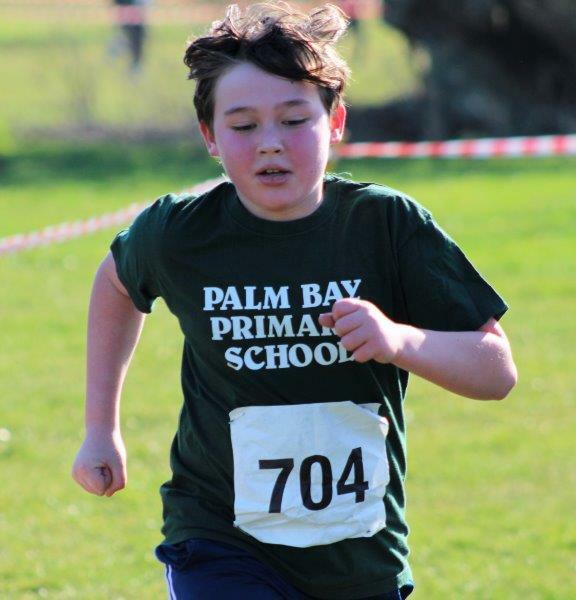 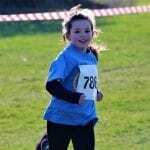 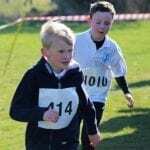 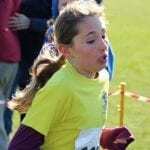 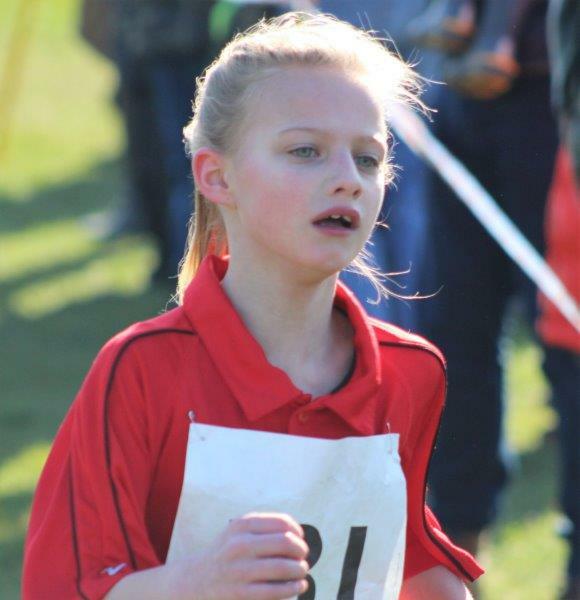 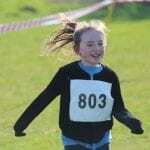 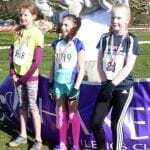 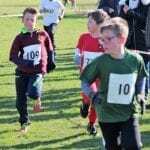 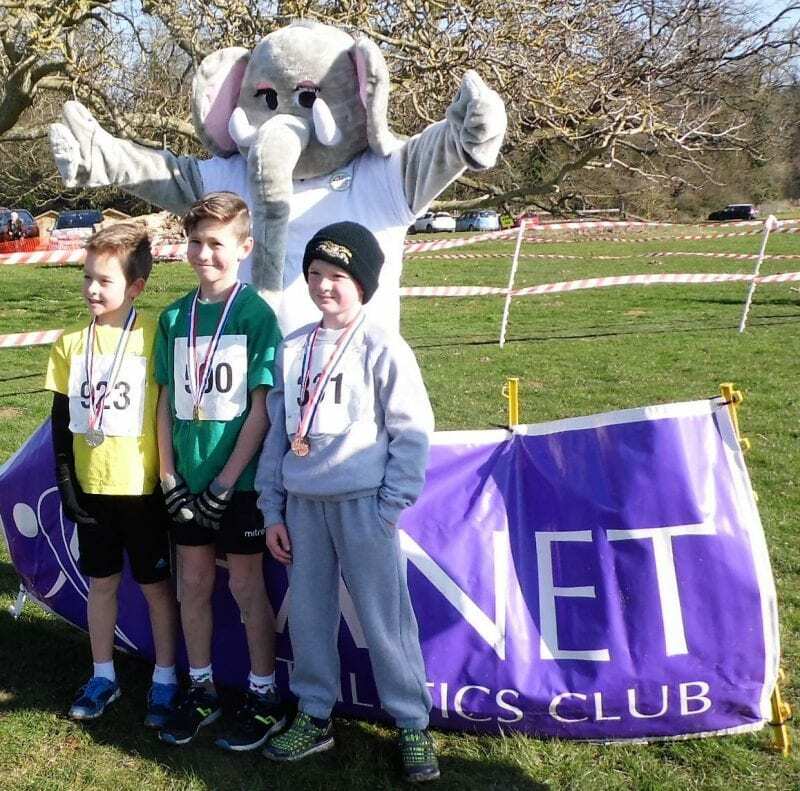 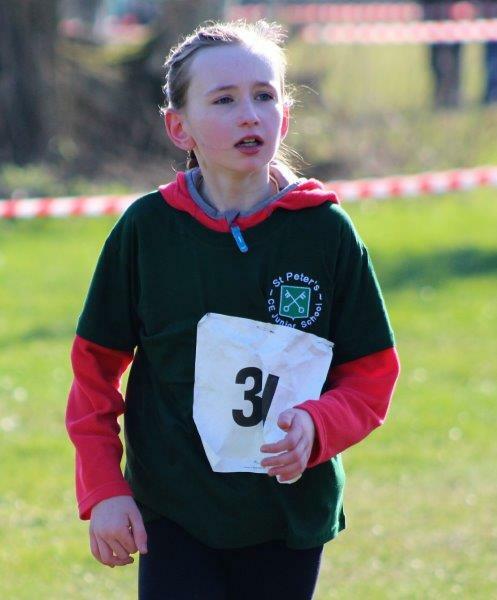 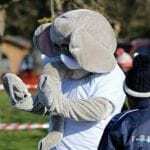 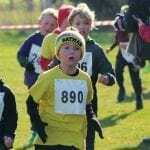 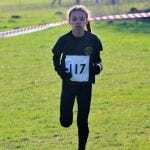 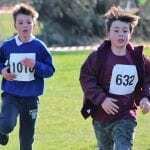 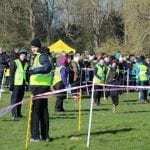 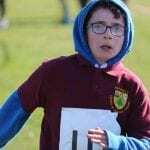 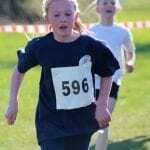 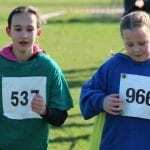 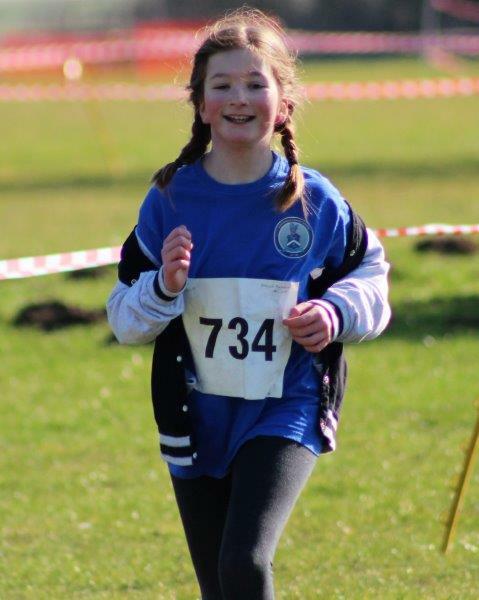 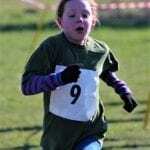 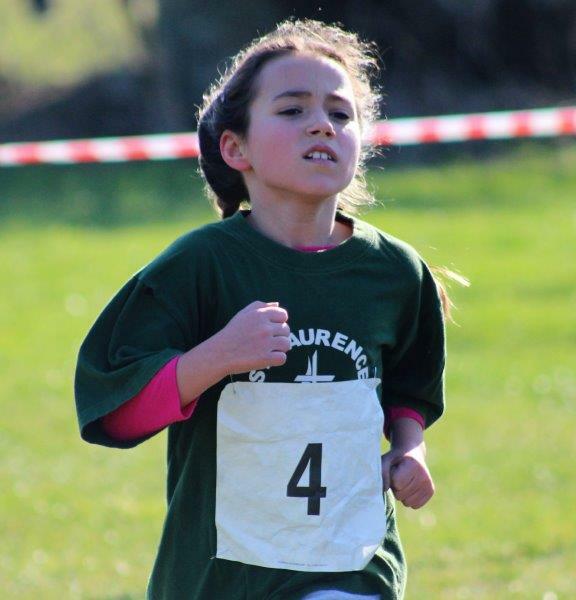 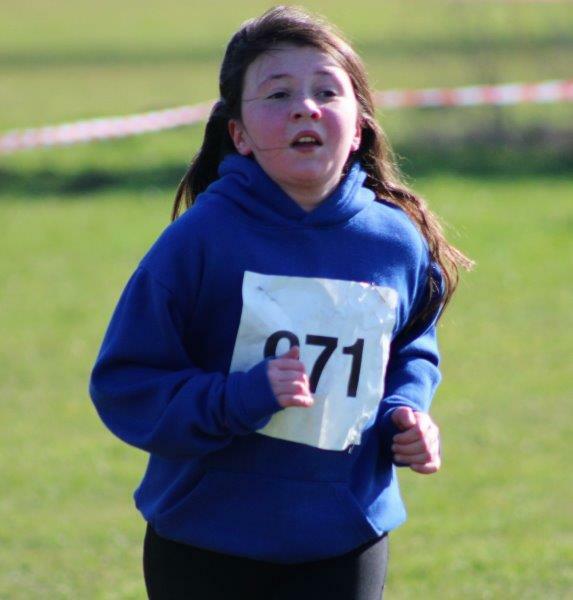 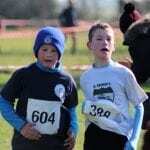 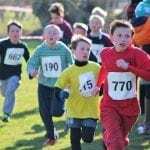 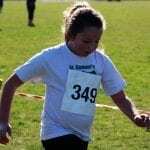 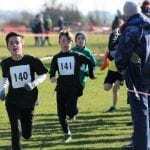 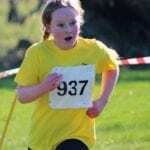 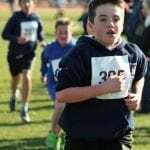 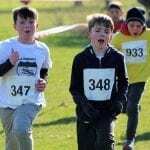 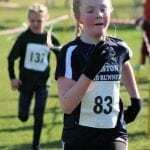 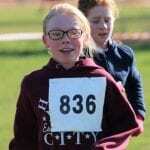 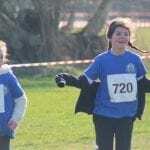 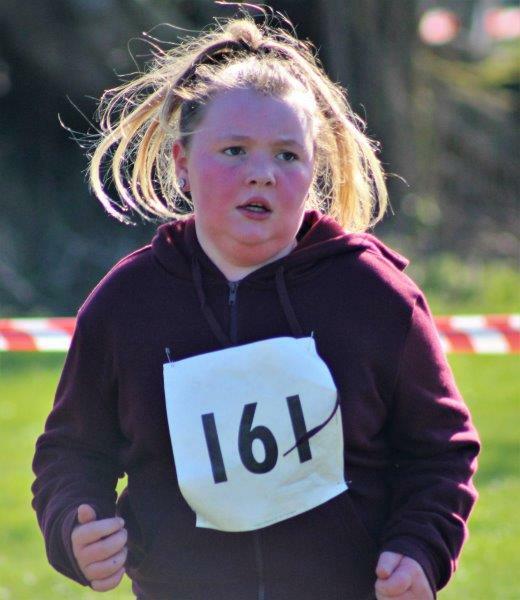 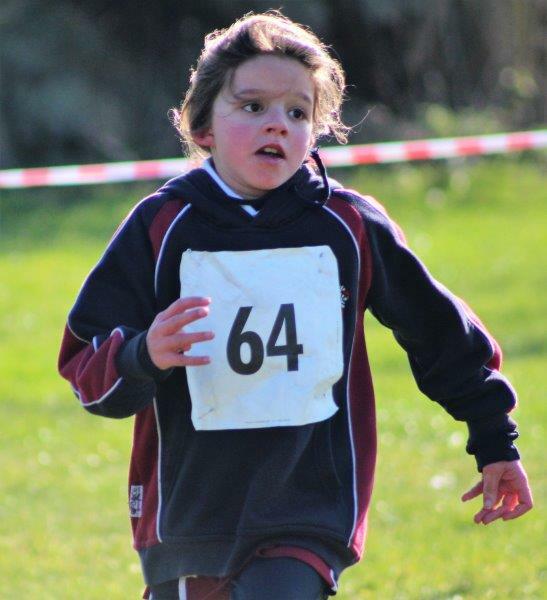 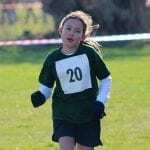 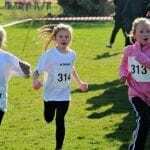 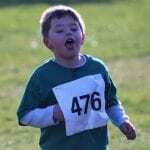 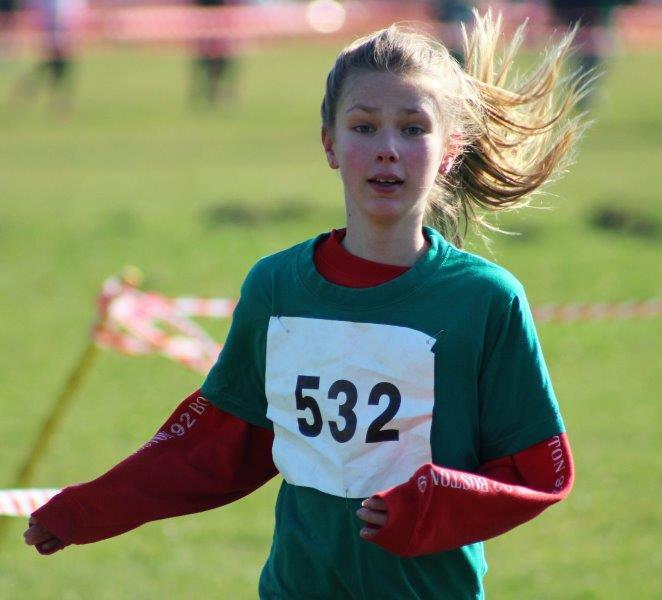 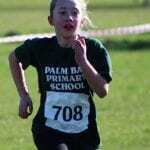 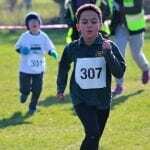 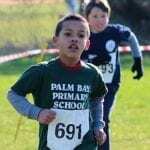 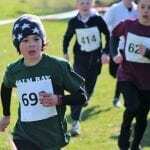 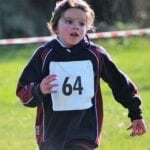 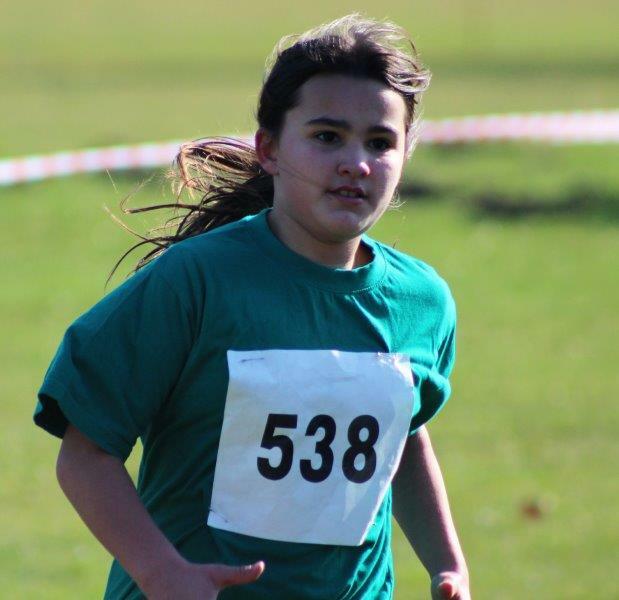 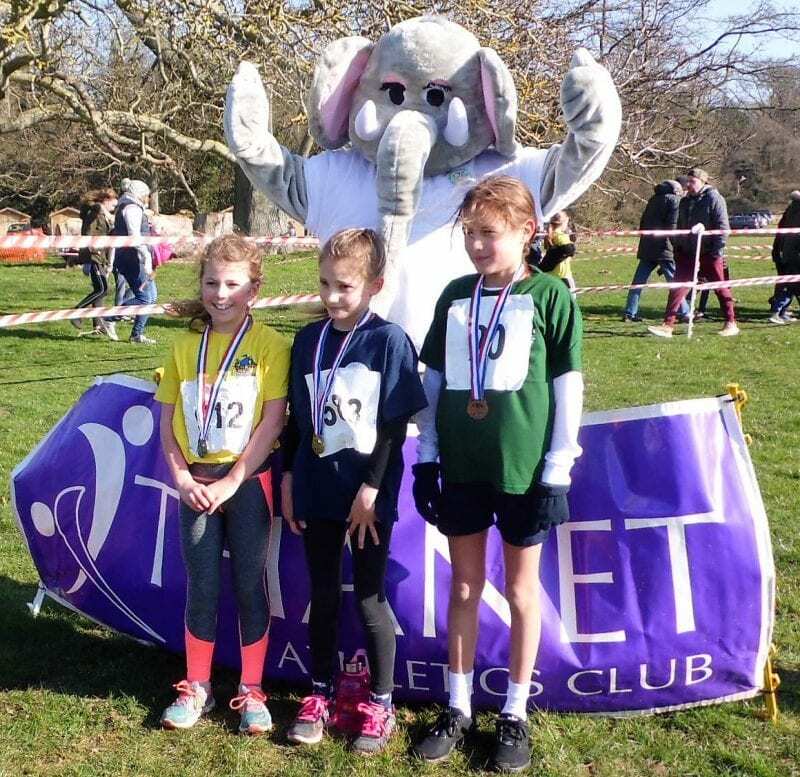 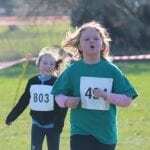 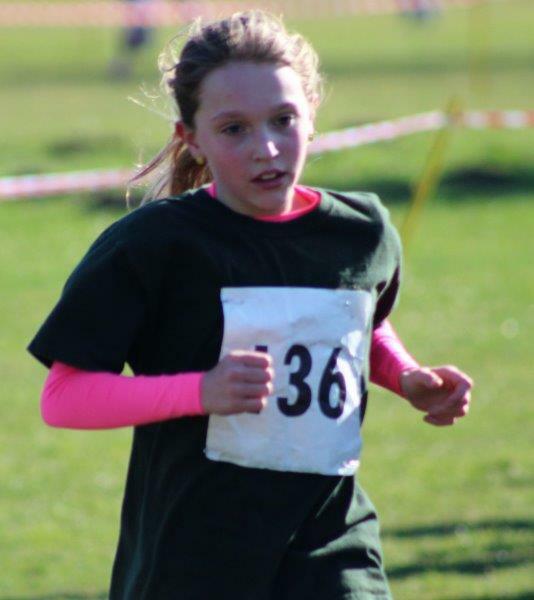 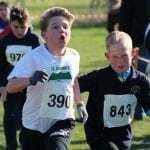 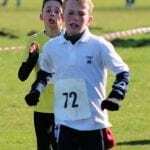 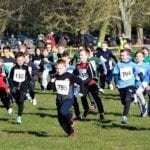 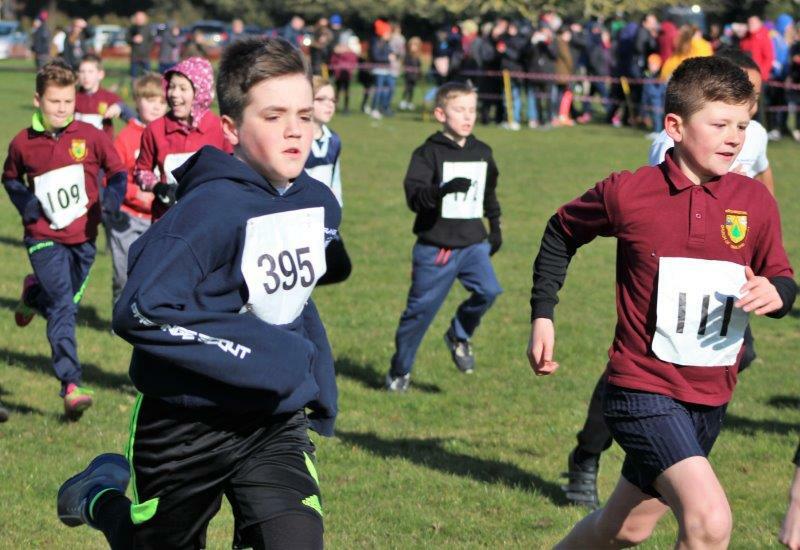 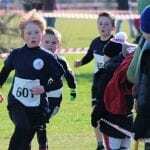 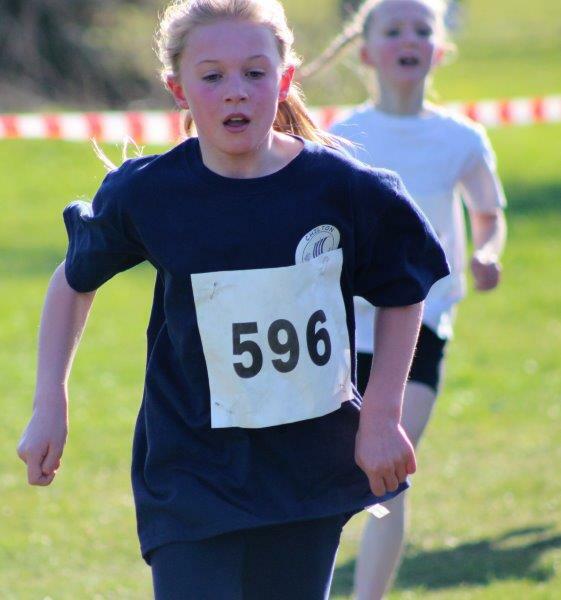 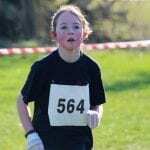 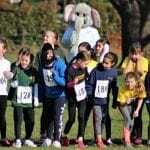 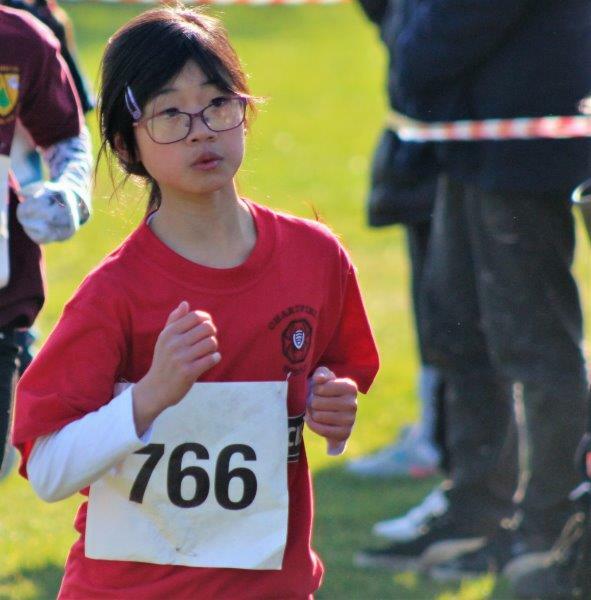 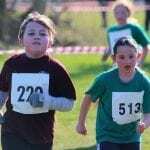 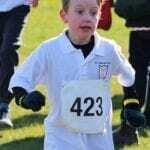 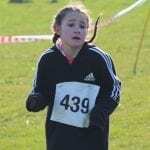 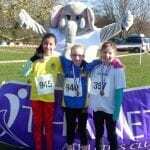 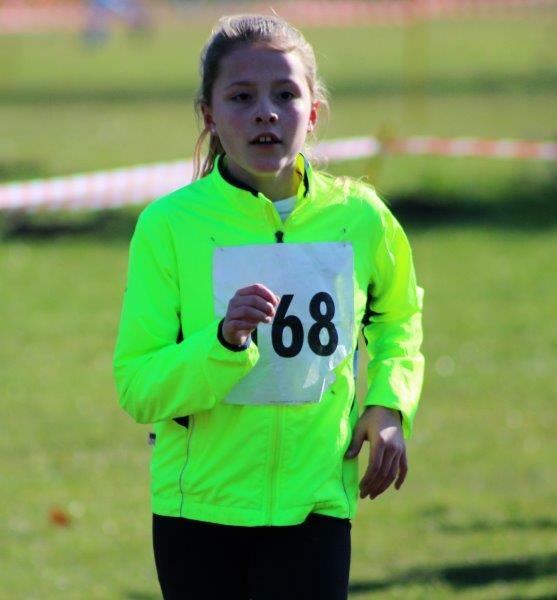 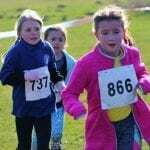 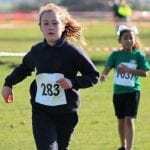 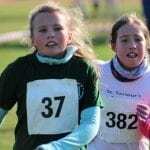 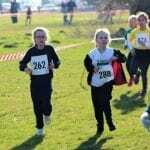 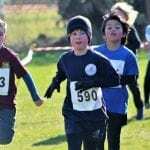 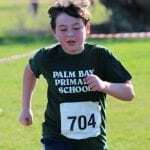 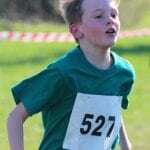 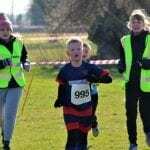 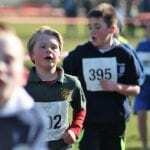 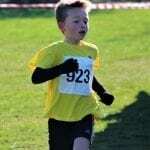 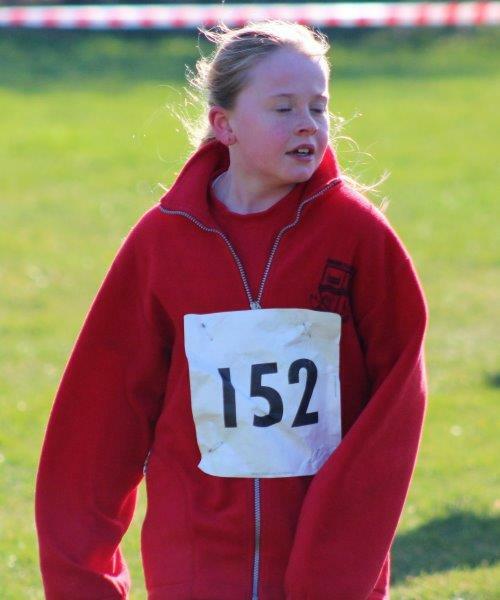 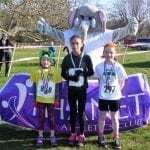 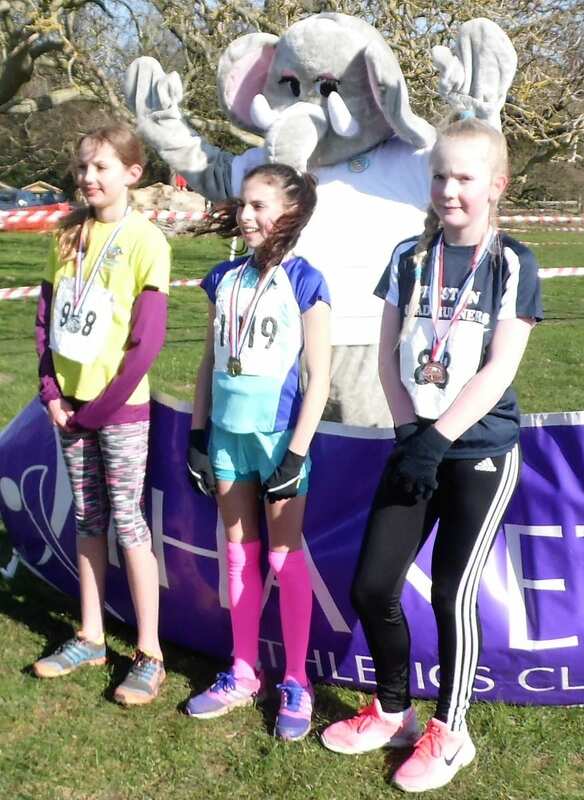 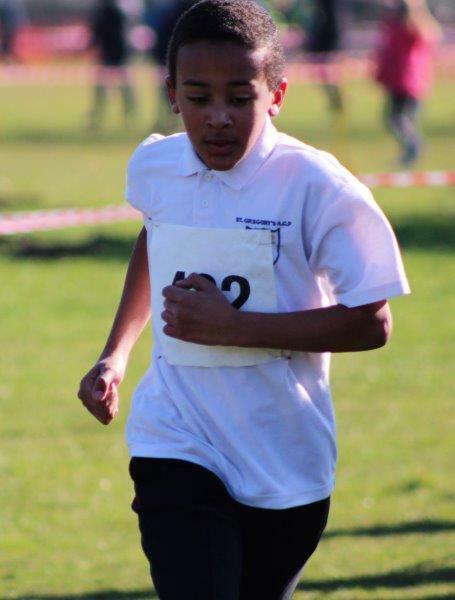 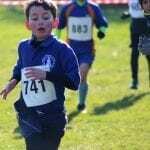 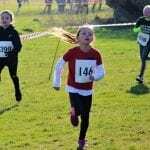 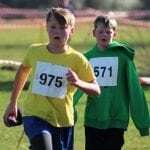 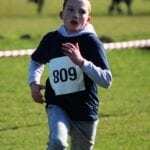 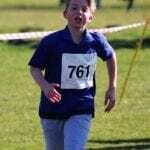 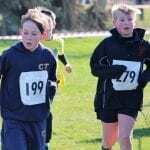 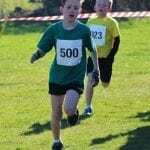 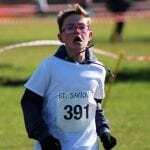 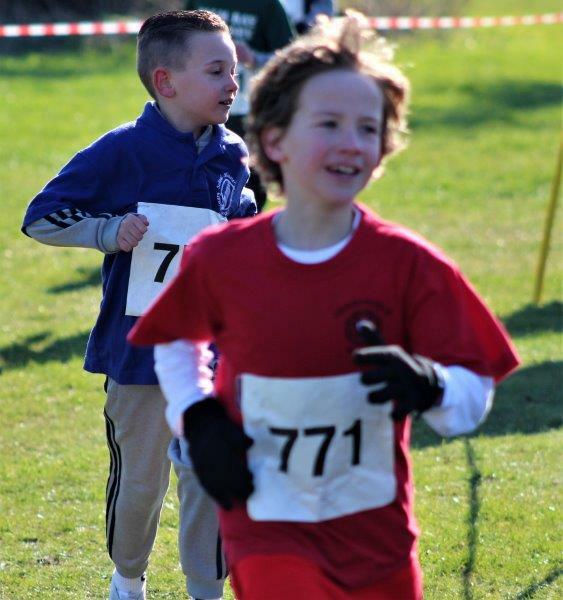 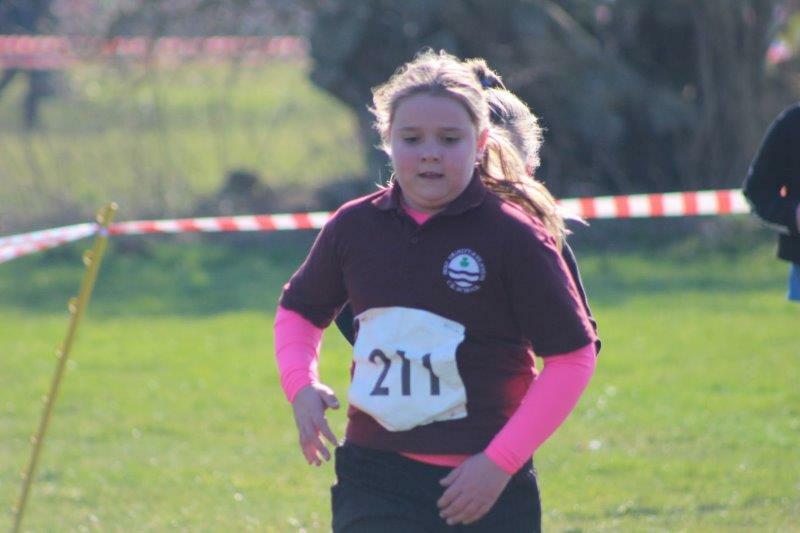 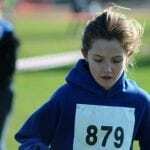 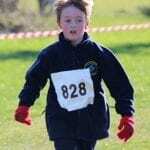 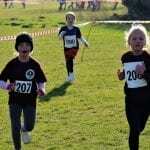 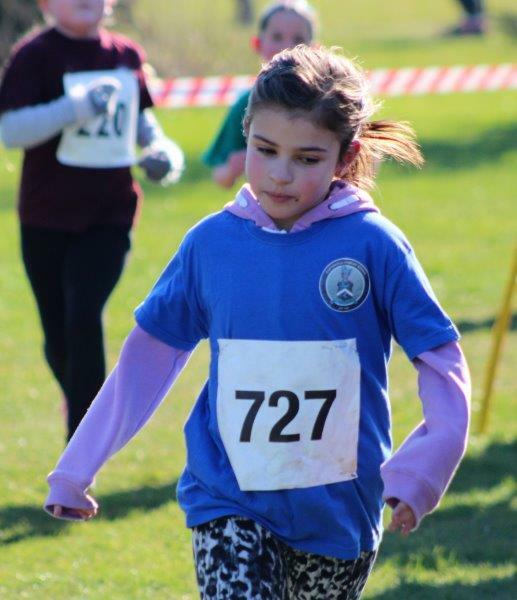 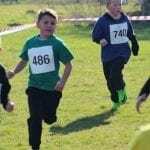 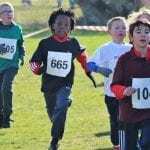 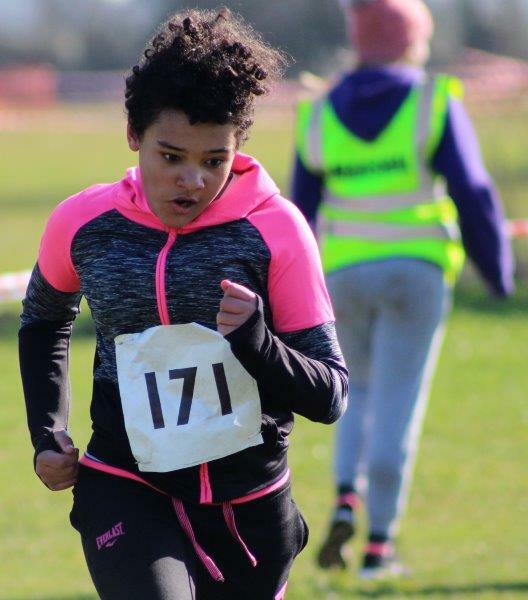 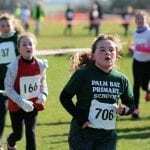 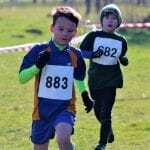 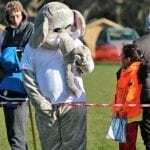 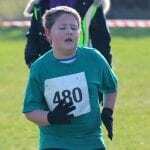 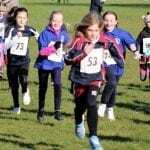 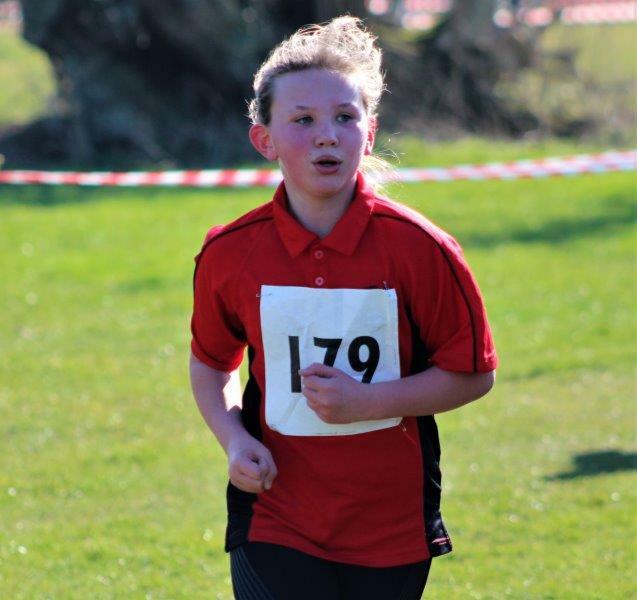 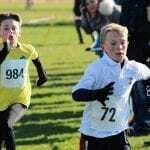 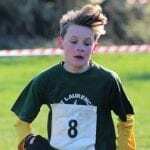 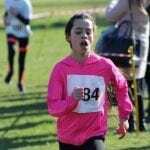 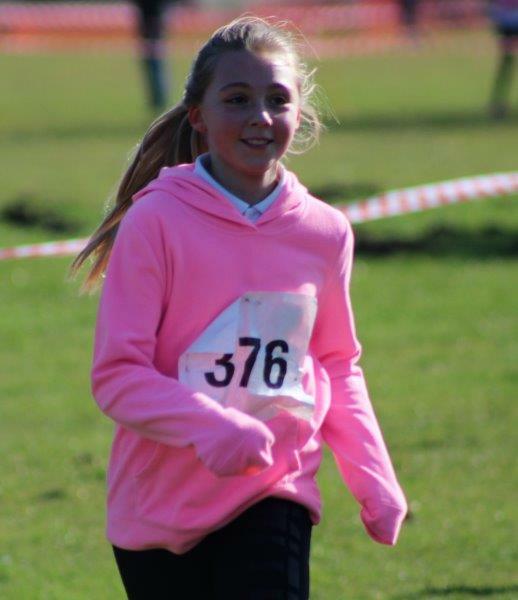 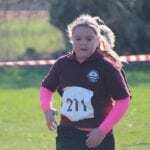 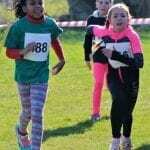 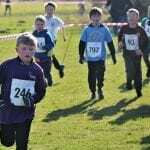 The event, held in the impressive grounds of Quex Park, was organised and run by Thanet Athletics Club. 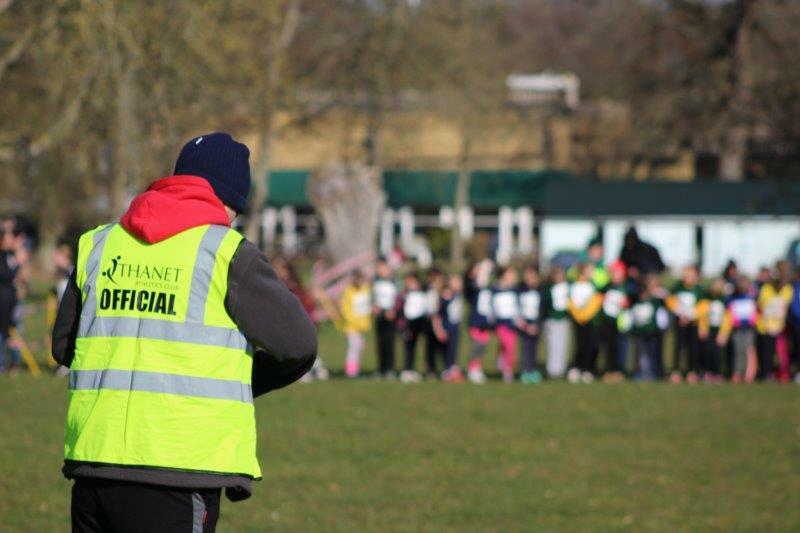 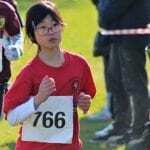 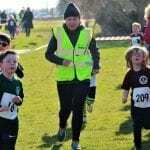 As I arrived at Quex, the car park was already starting to fill up as parents and teachers arrived with their young runners. 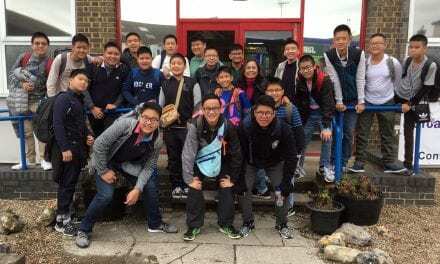 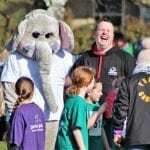 There was a real buzz about the event as everyone headed towards the main congregation area to find their team-mates. 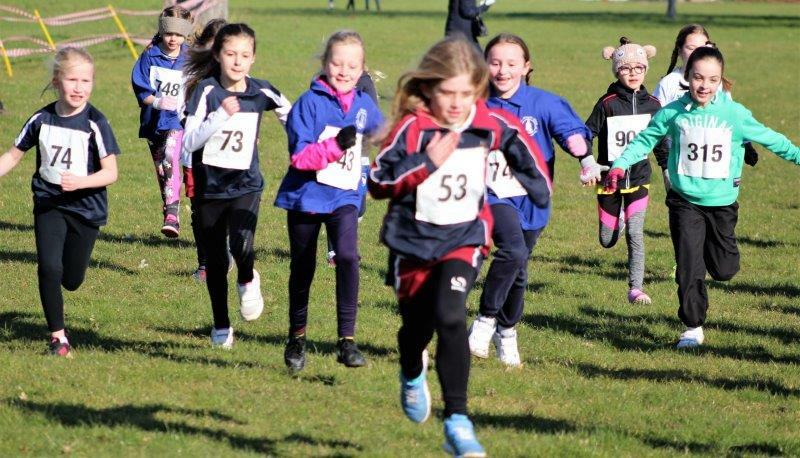 At 10am, right on schedule, the first race set off. 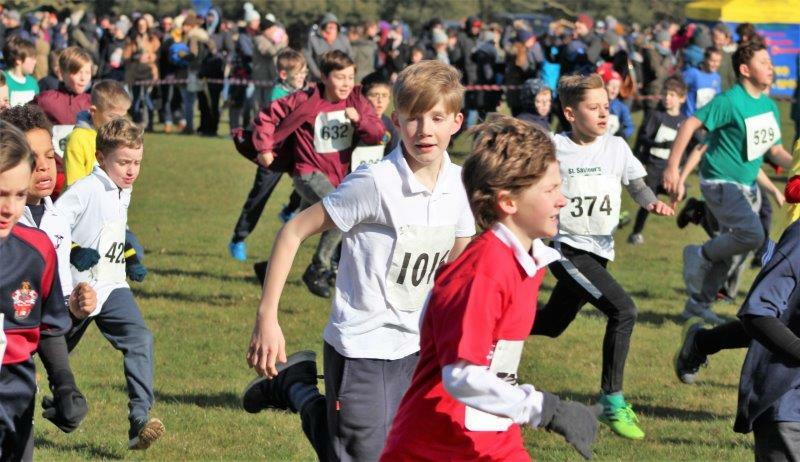 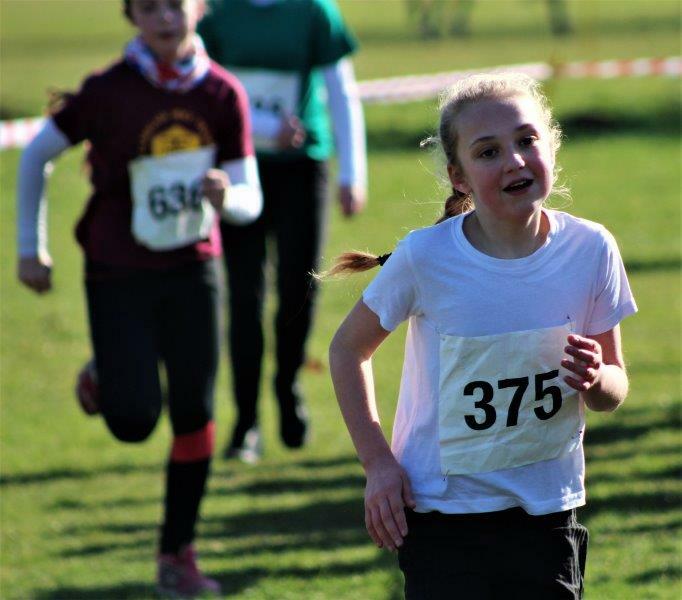 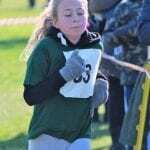 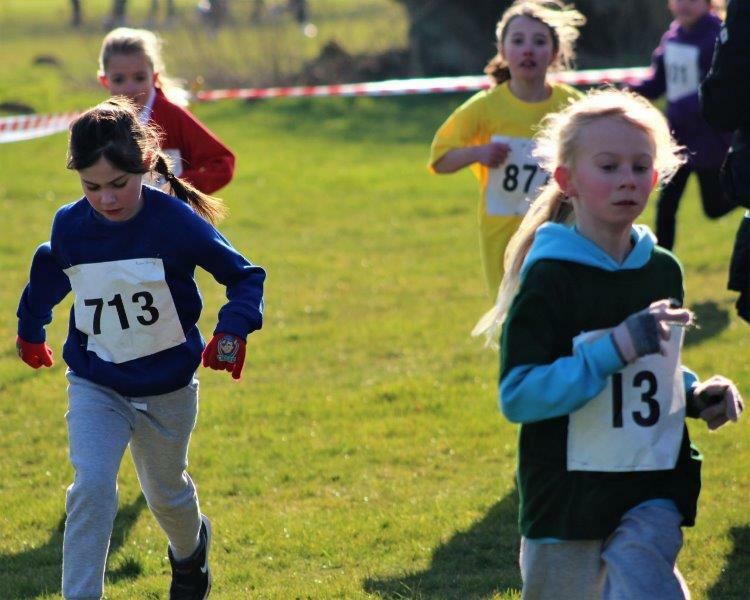 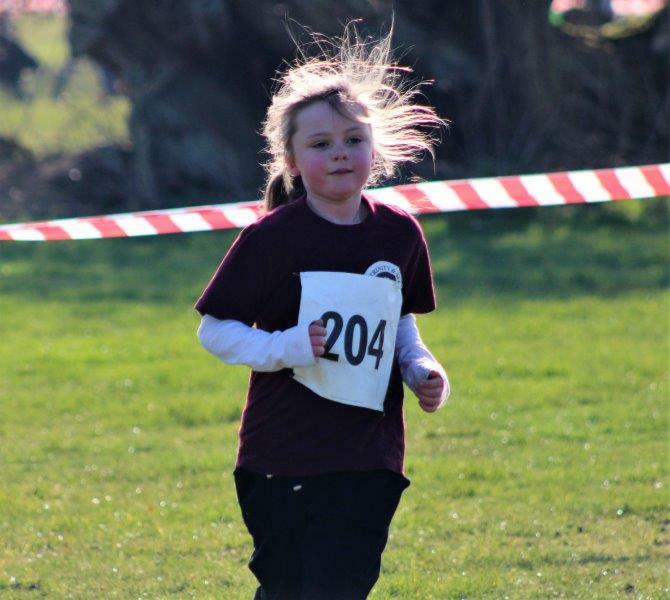 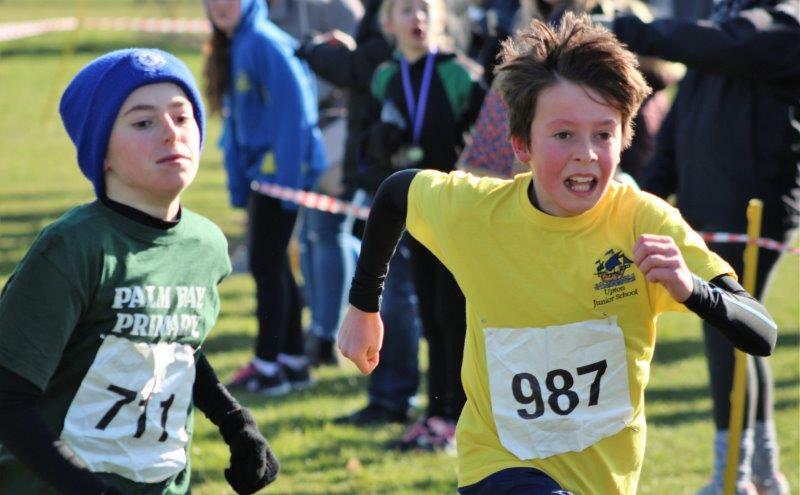 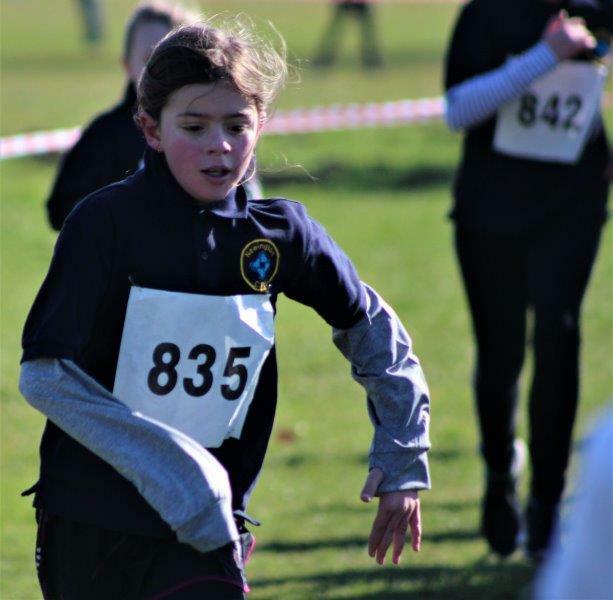 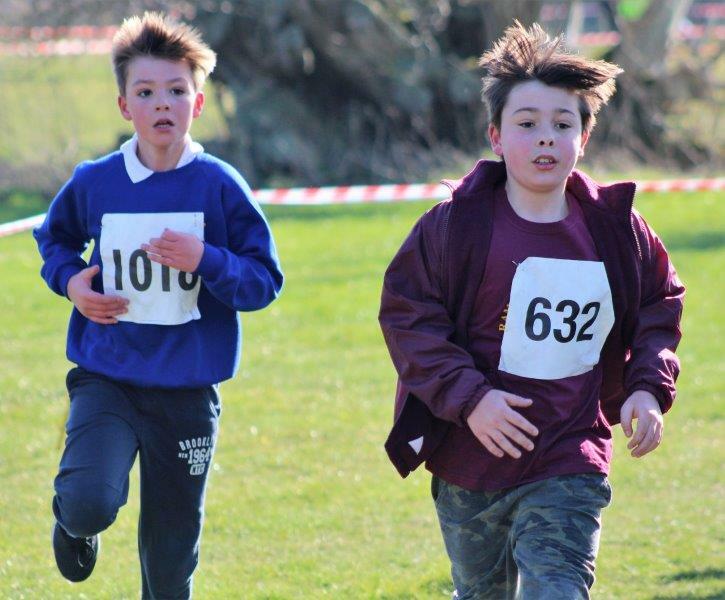 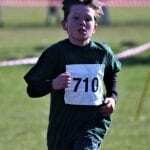 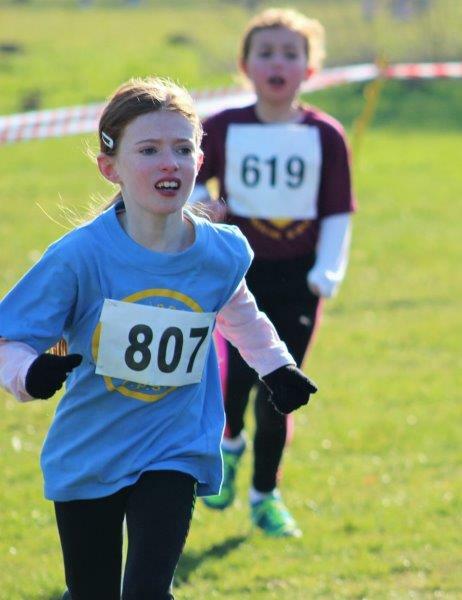 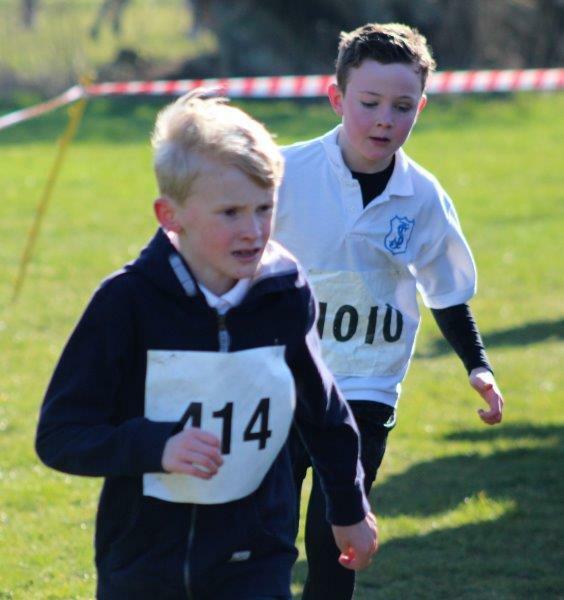 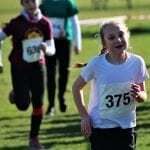 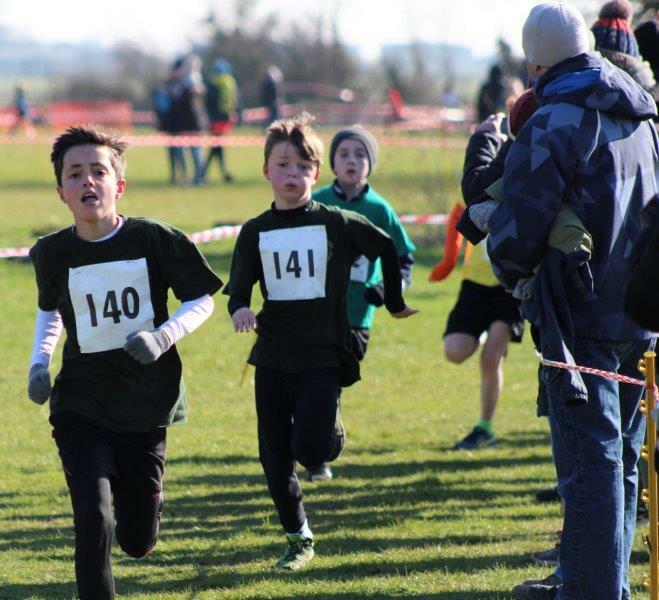 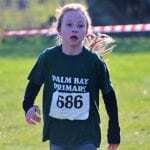 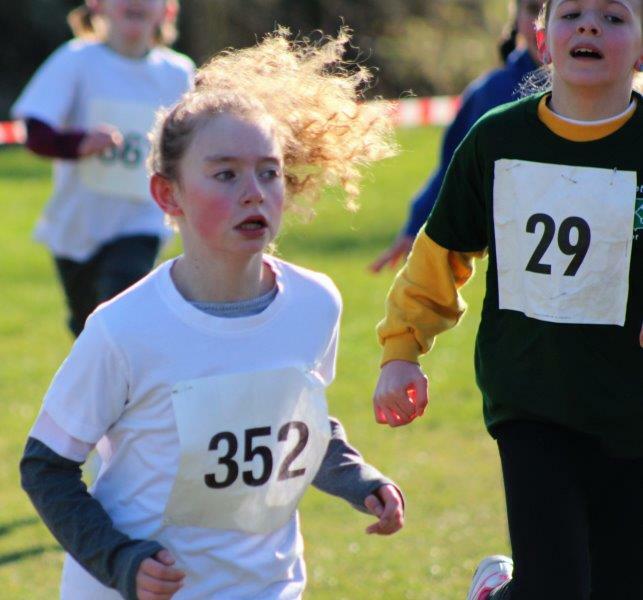 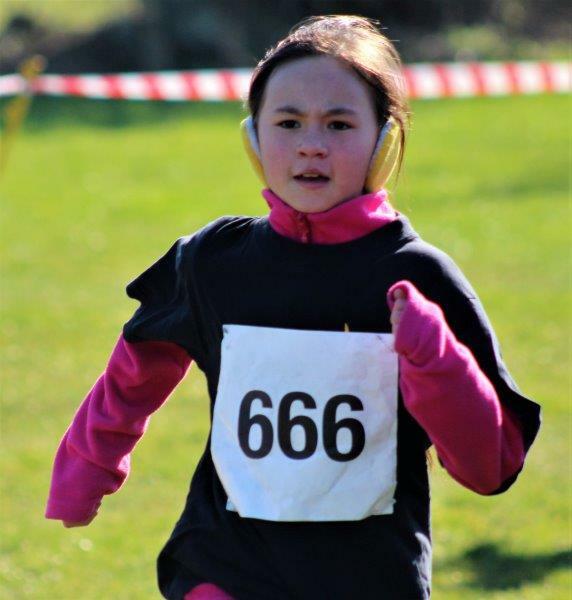 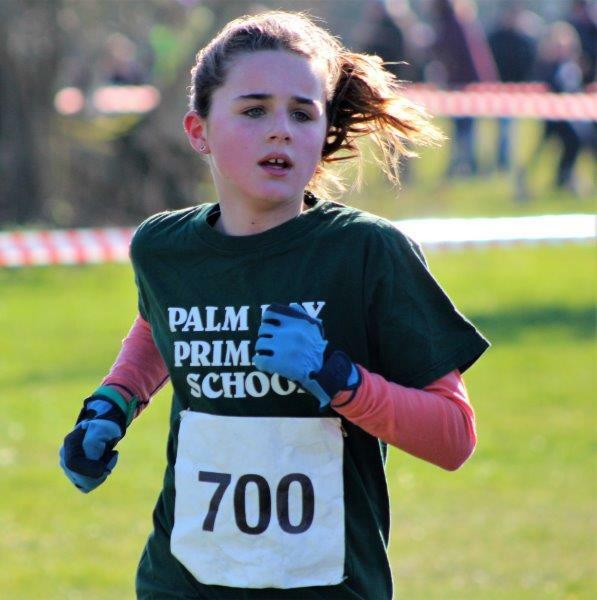 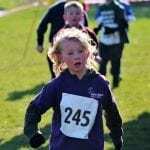 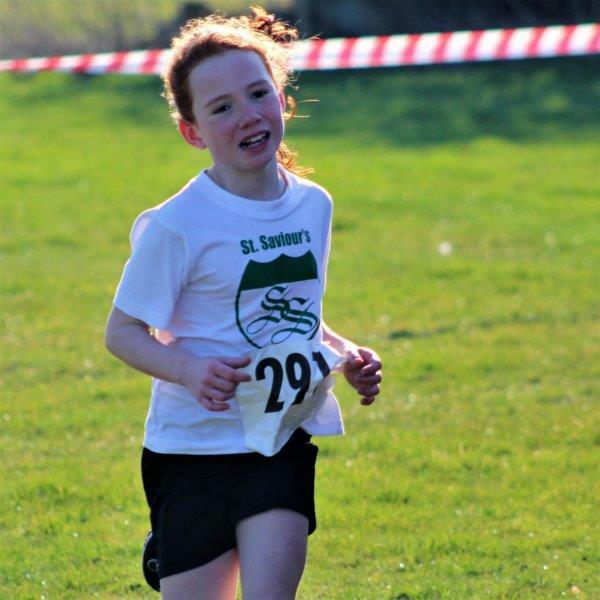 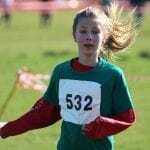 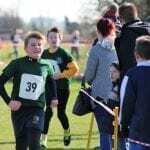 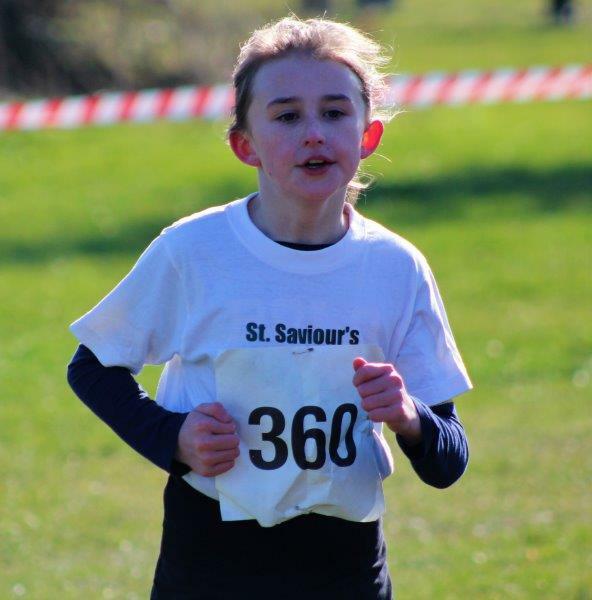 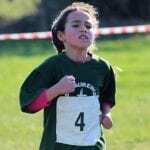 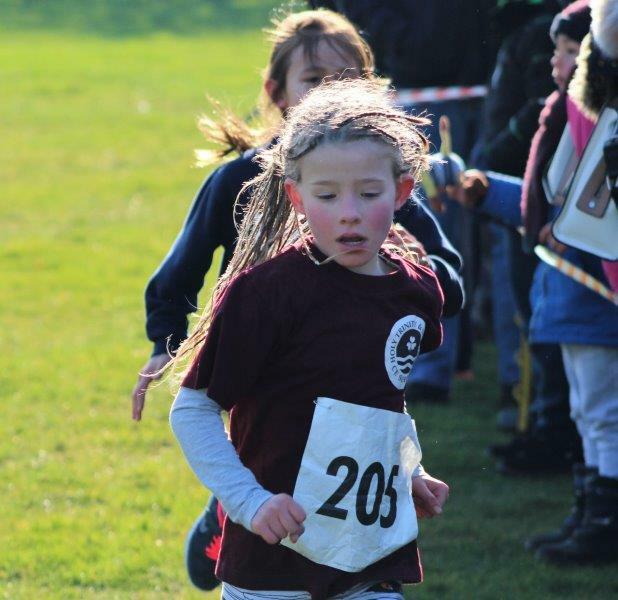 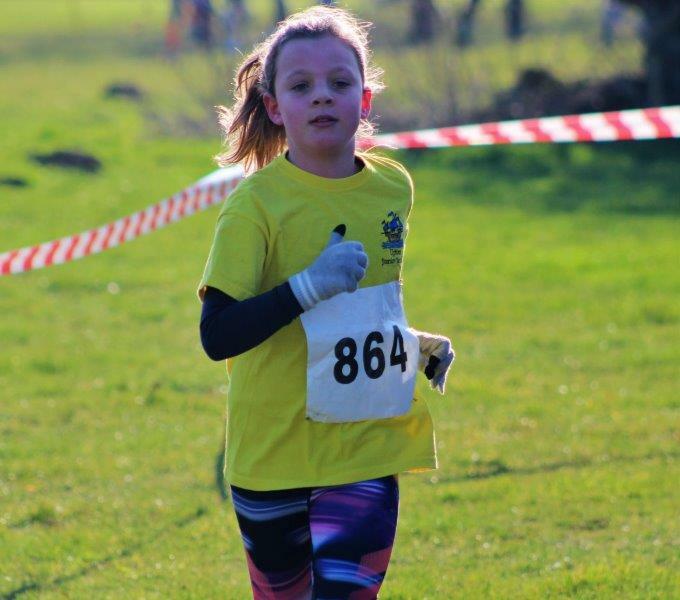 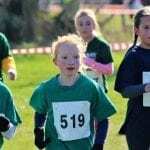 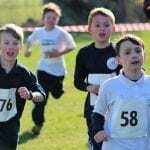 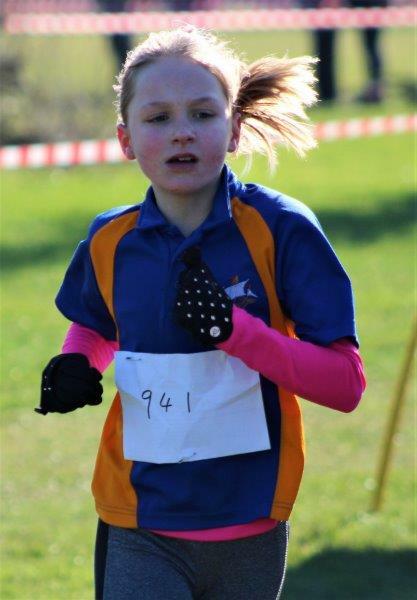 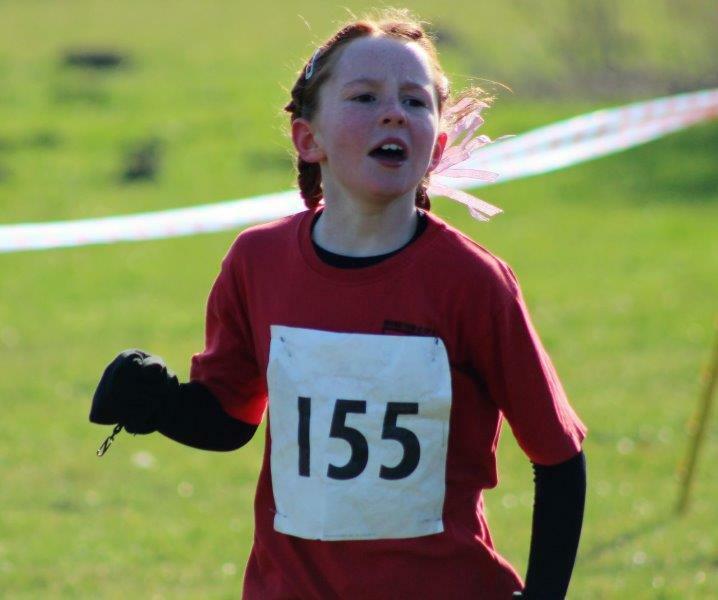 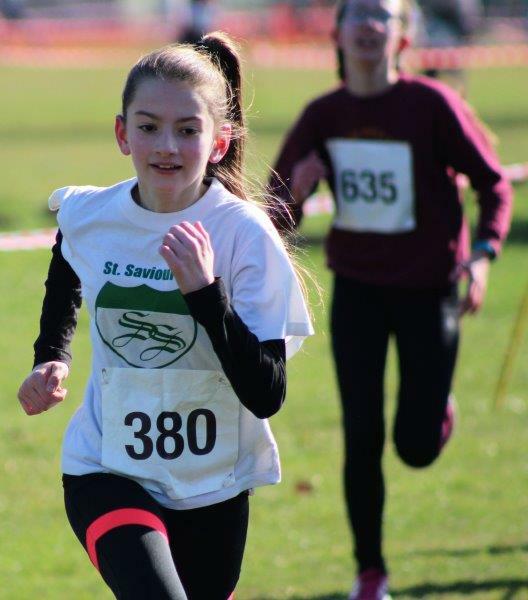 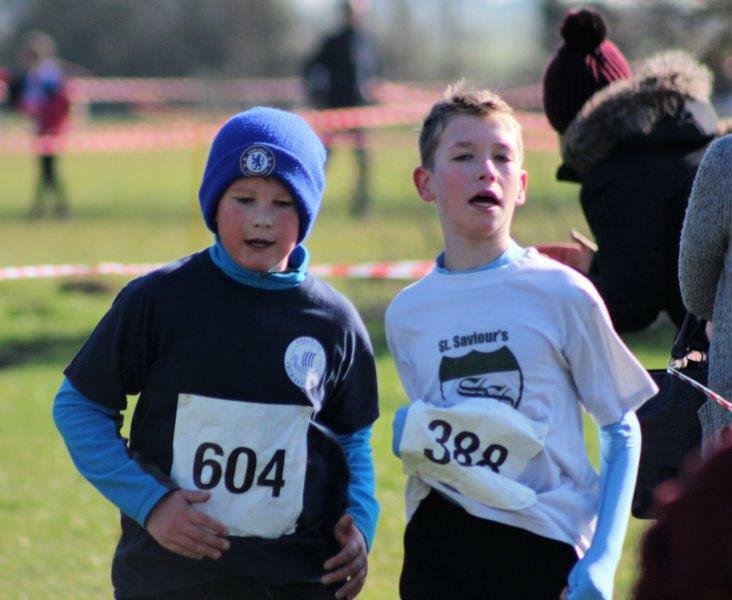 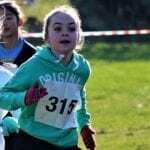 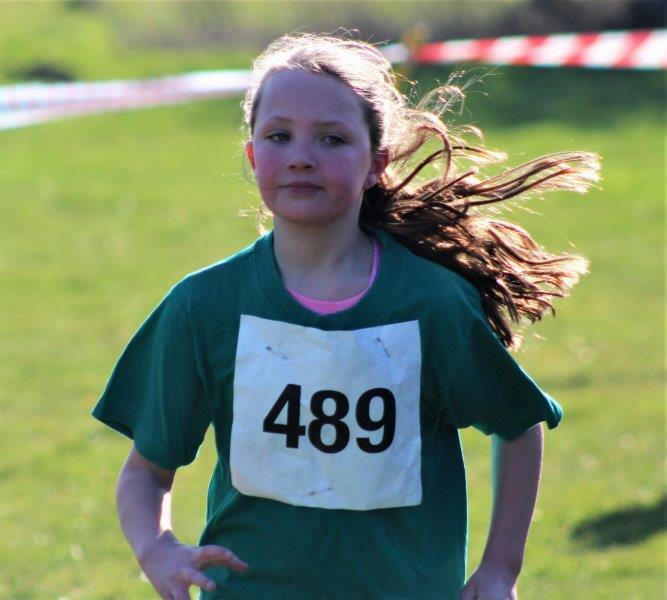 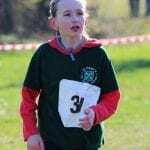 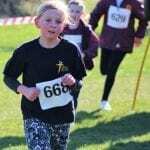 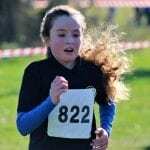 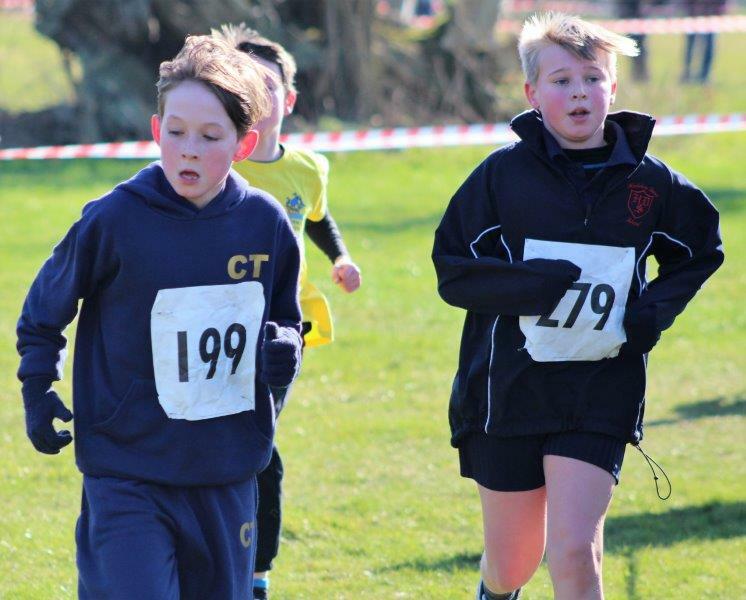 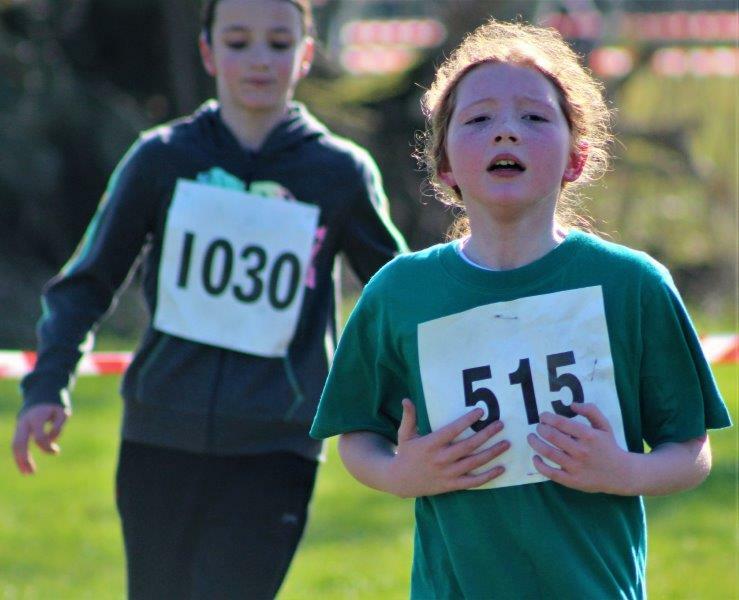 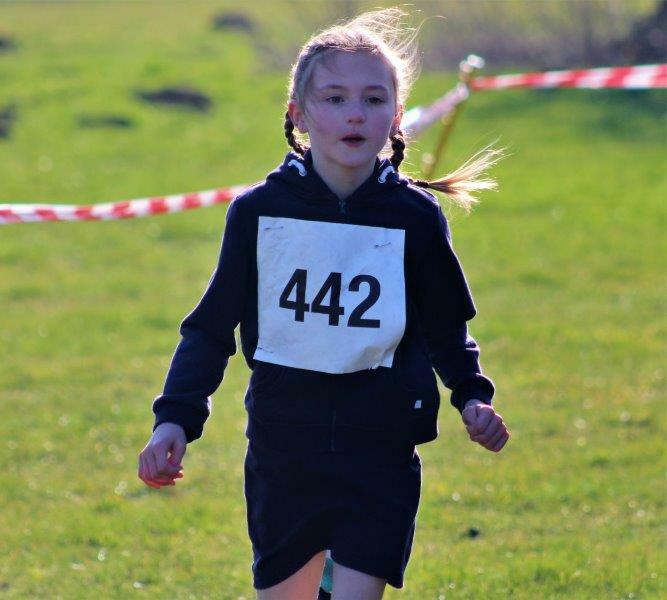 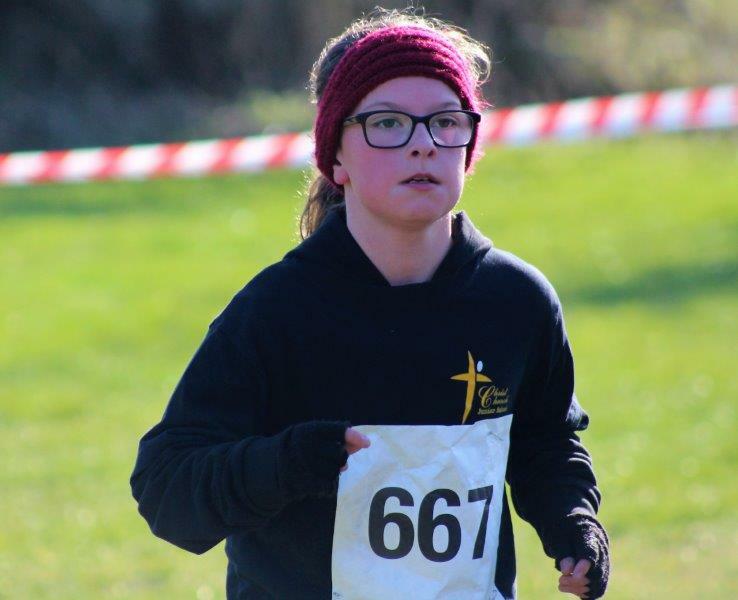 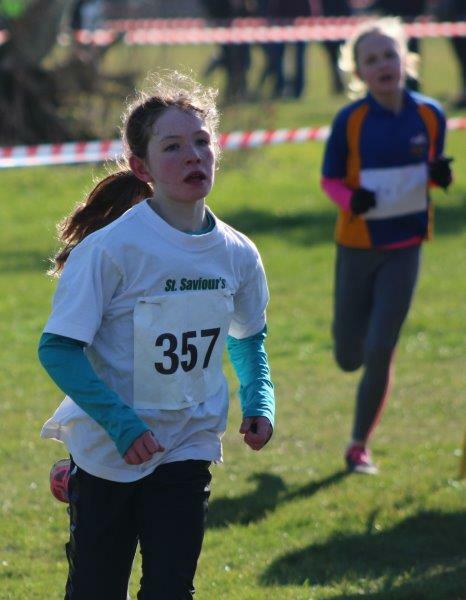 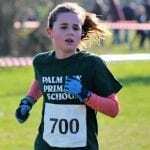 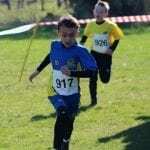 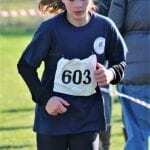 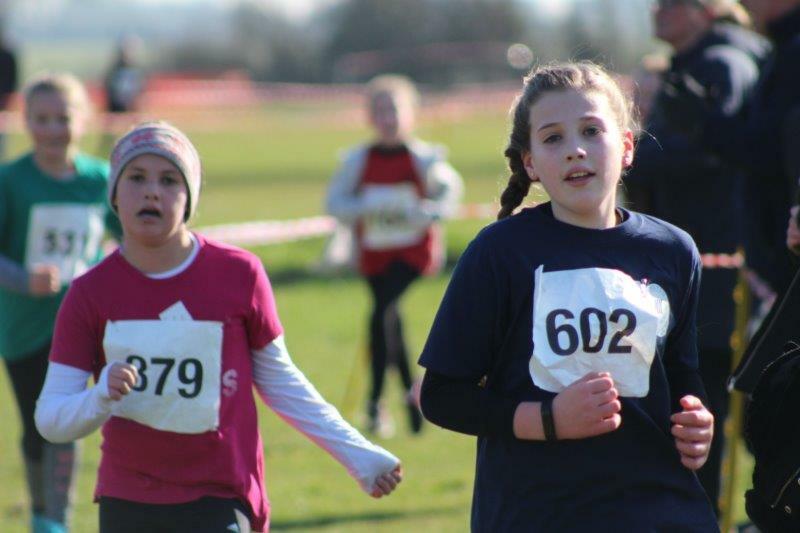 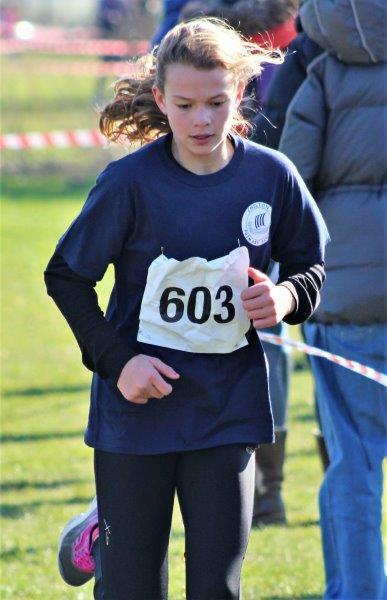 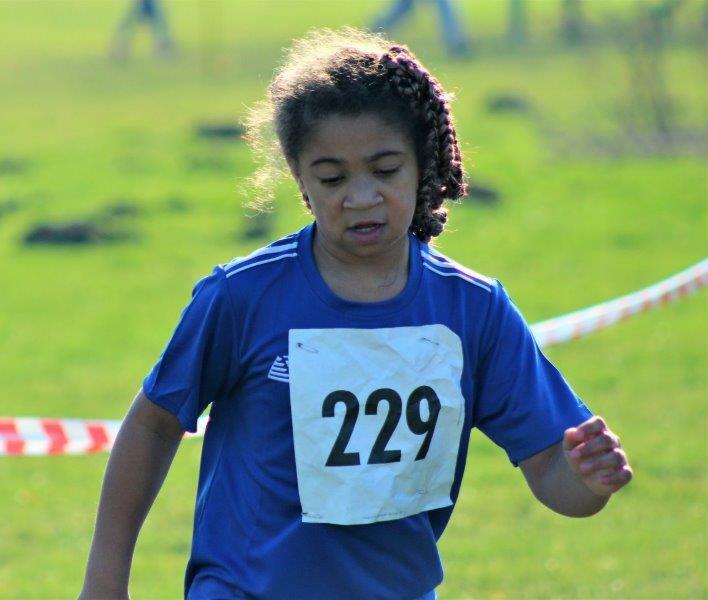 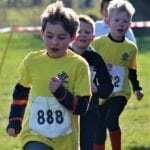 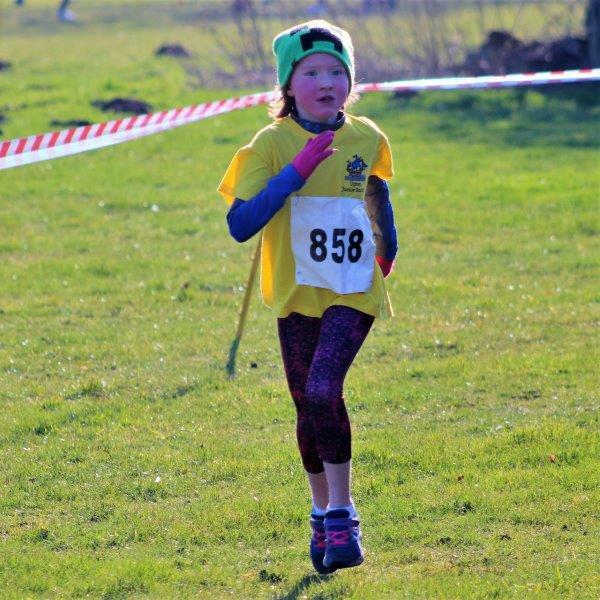 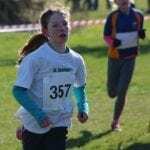 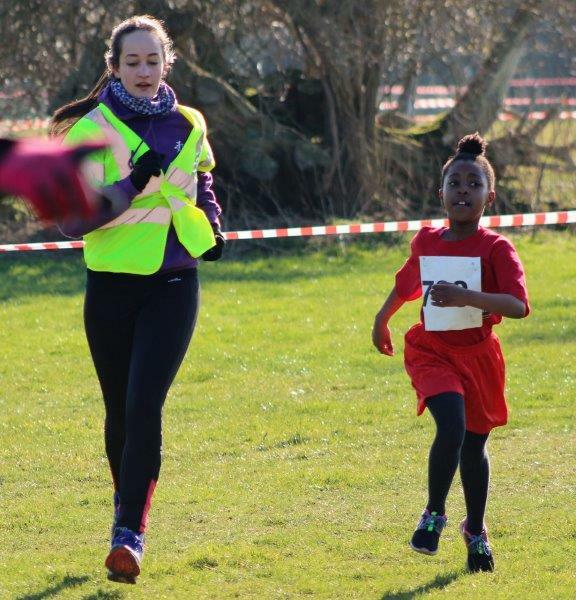 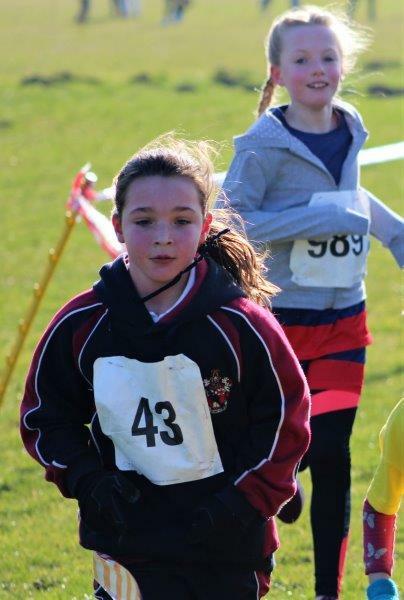 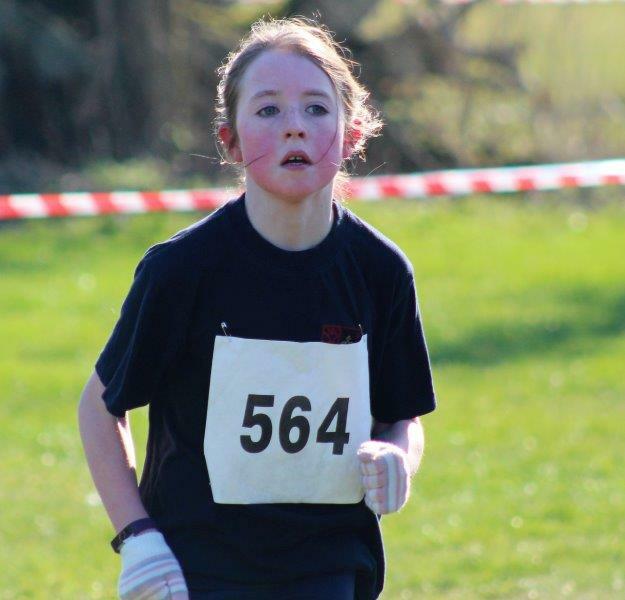 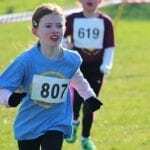 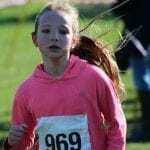 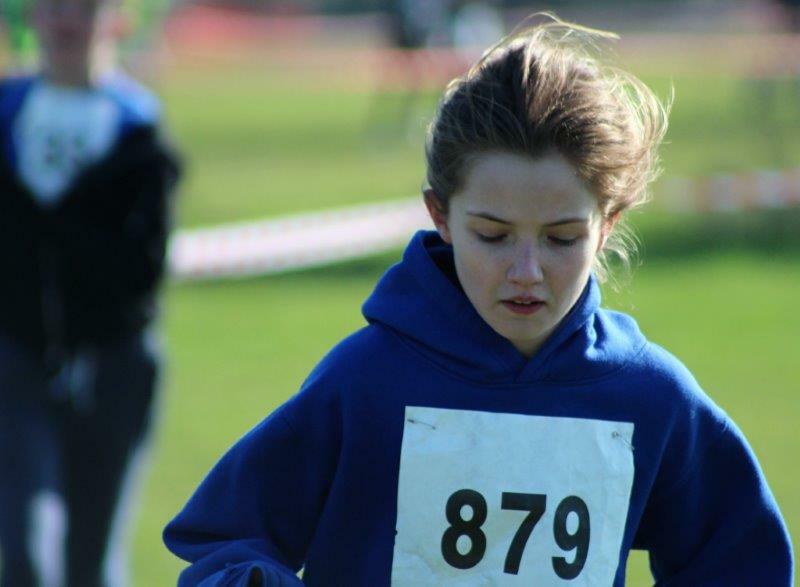 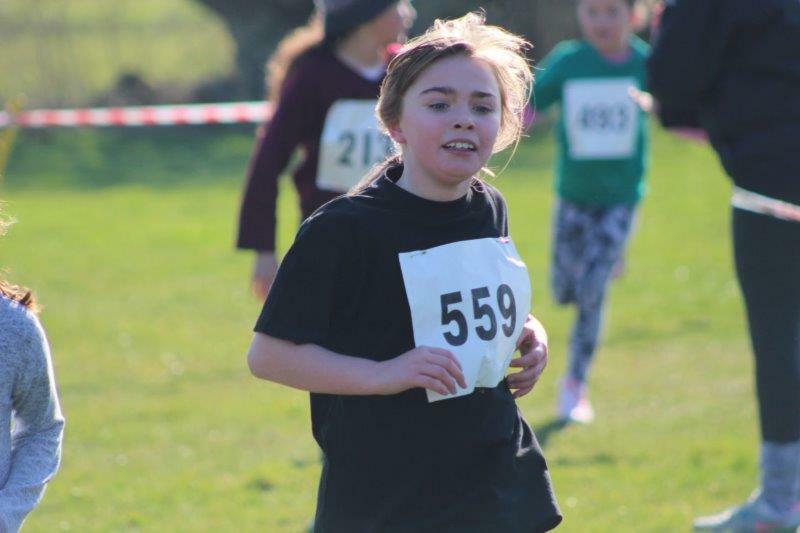 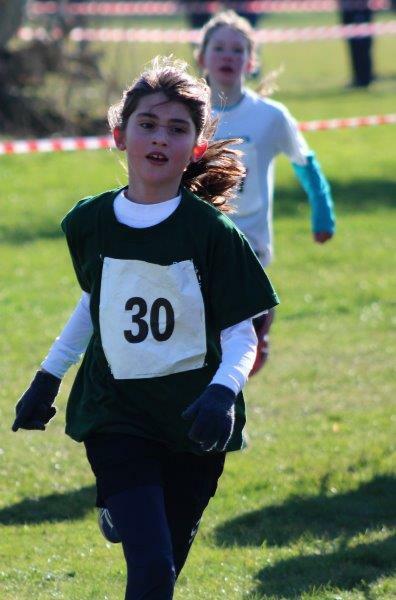 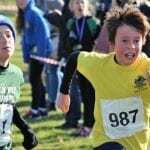 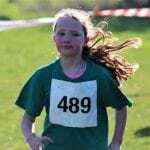 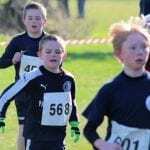 The young runners were split into specific races throughout the morning with boys and girls running in their respective year groups. 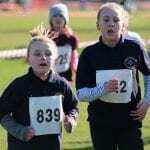 First up were the year three girls, and the tone for the morning’s competition was quickly evident. 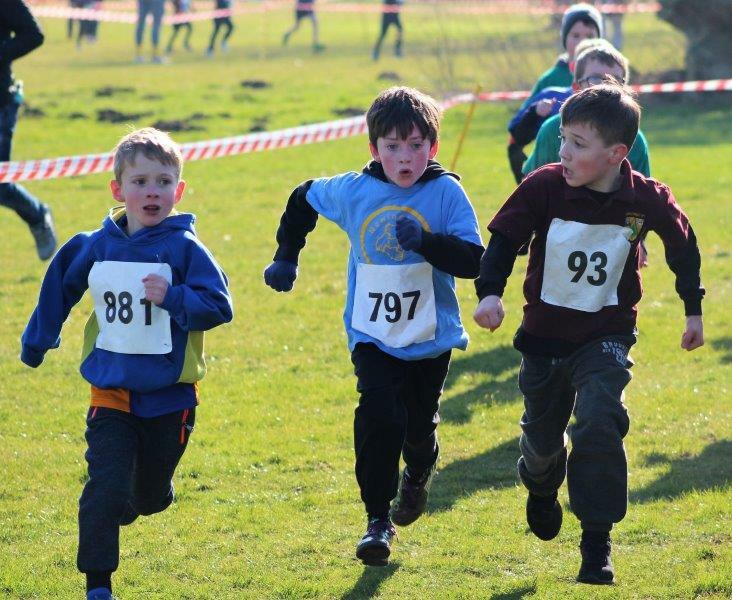 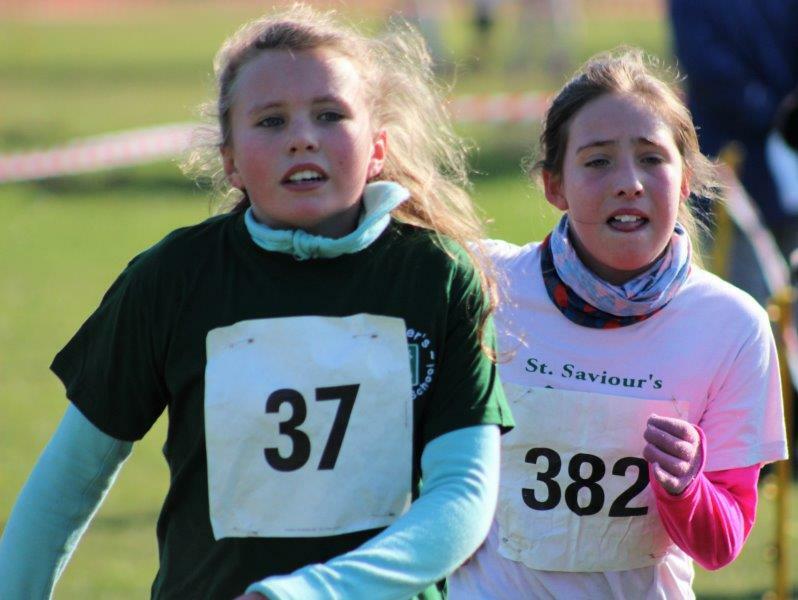 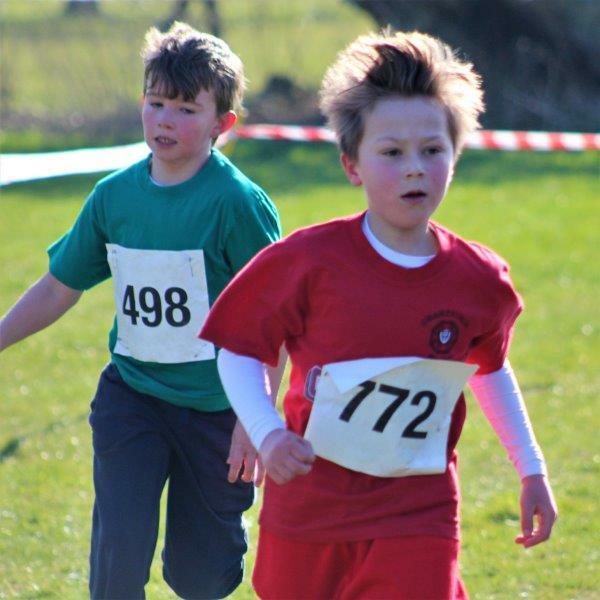 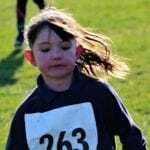 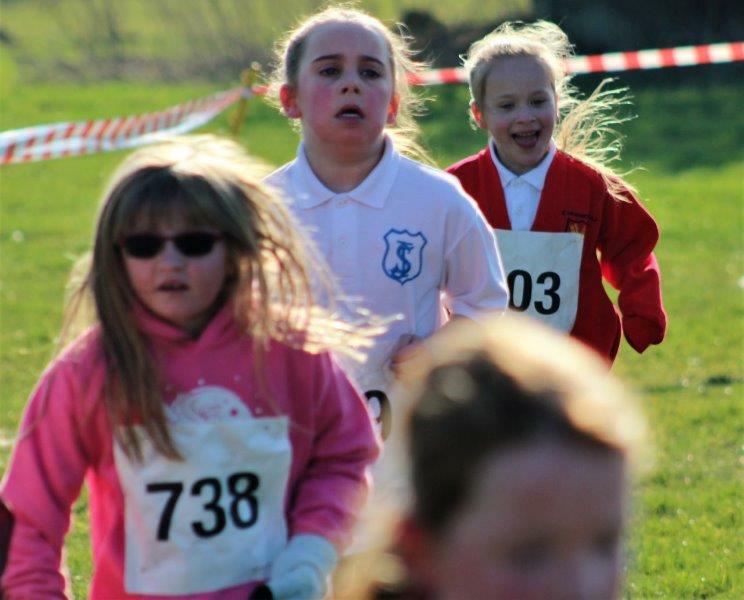 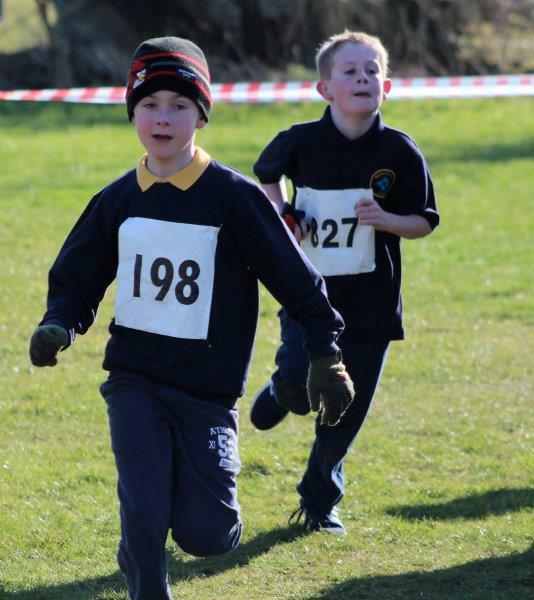 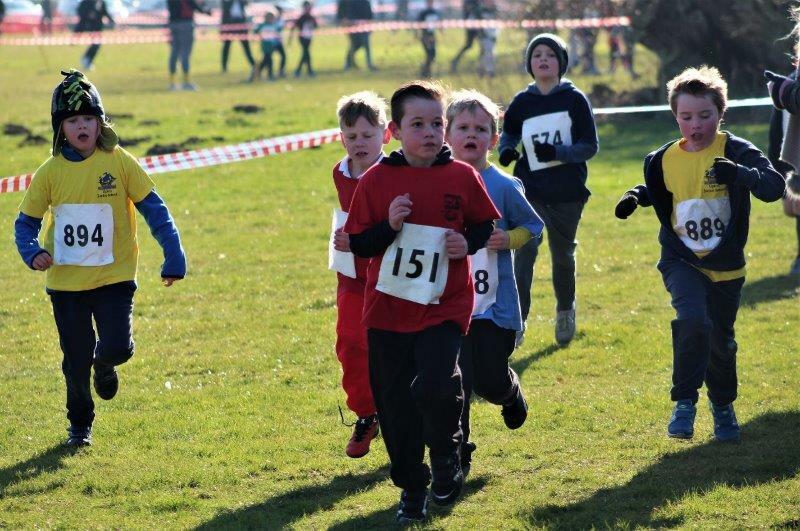 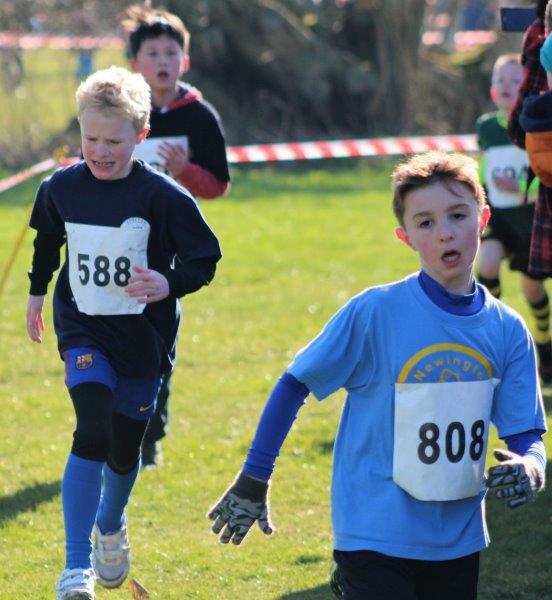 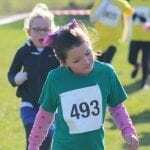 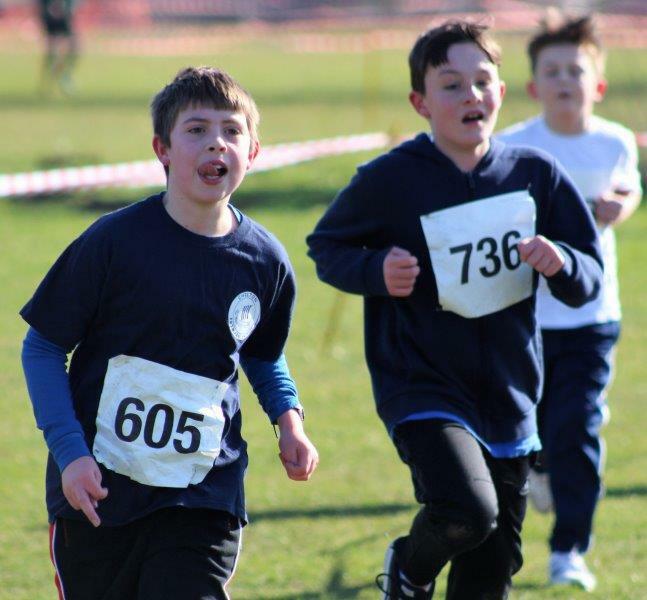 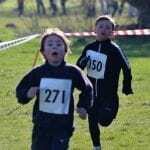 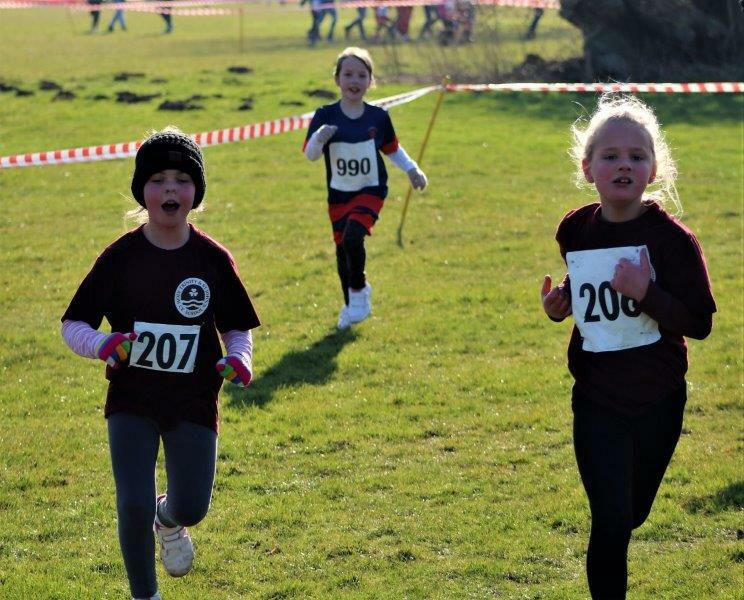 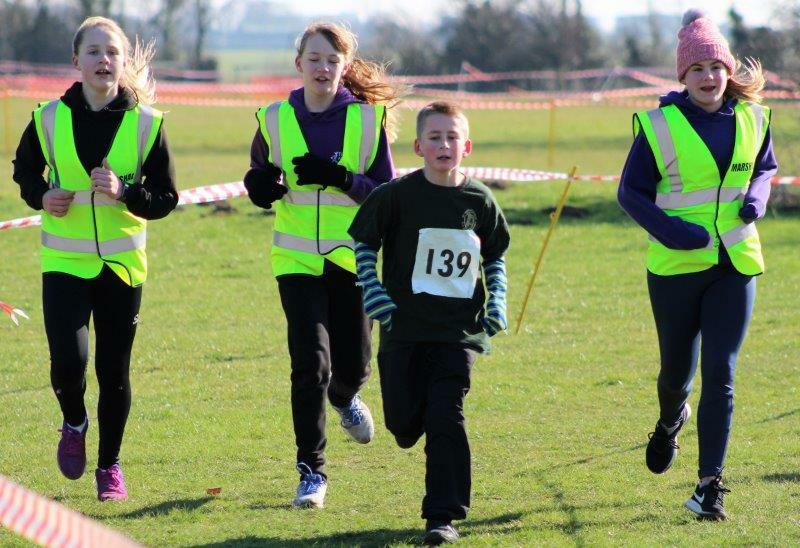 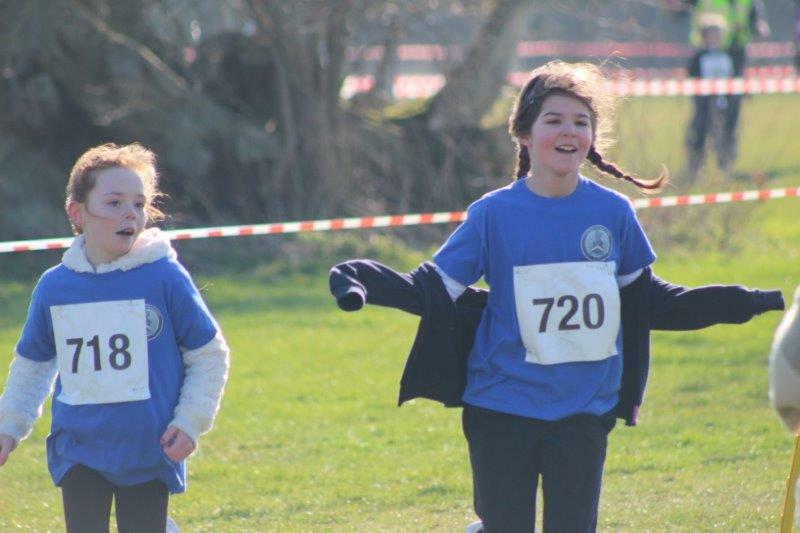 Although highly competitive, the runners were clearly enjoying the event. 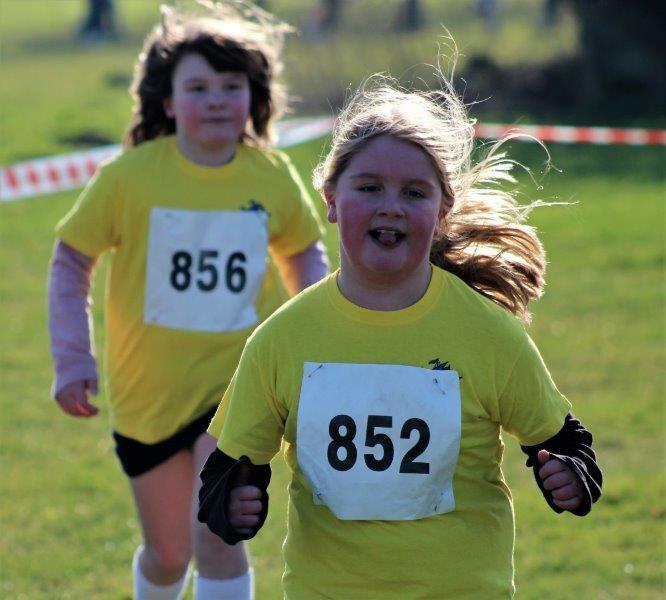 Beaming smiles could be seen all around as each turn, incline and straight were negotiated. 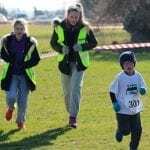 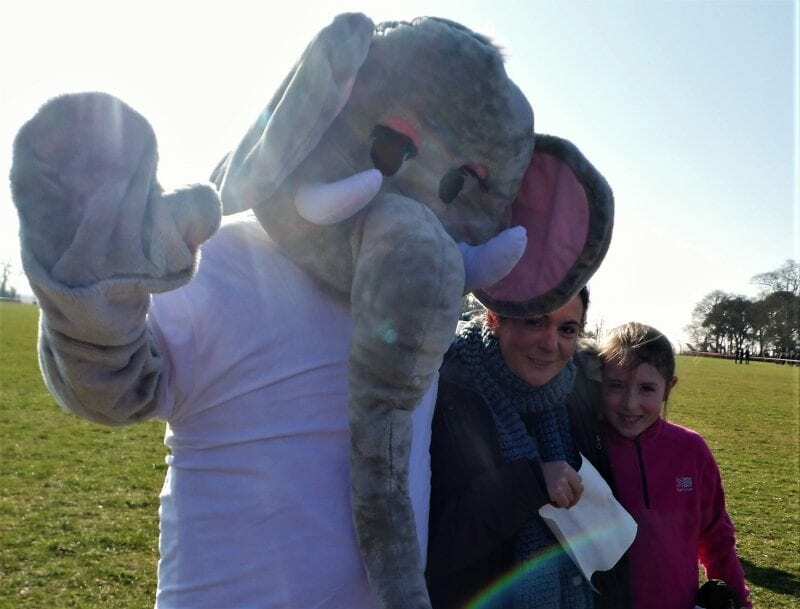 The parents played a huge part, too, cheering from the sidelines as the children ran past before heading across the field to gain a premium vantage point at the next section of the course. 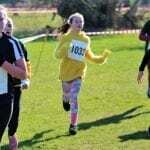 As each runner rounded the final bend, and the finish line came into sight, they seemed to muster an extra burst of energy as they sprinted down the final stretch, determined to pip their fellow runners to that post. 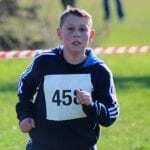 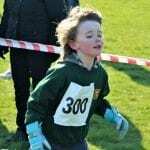 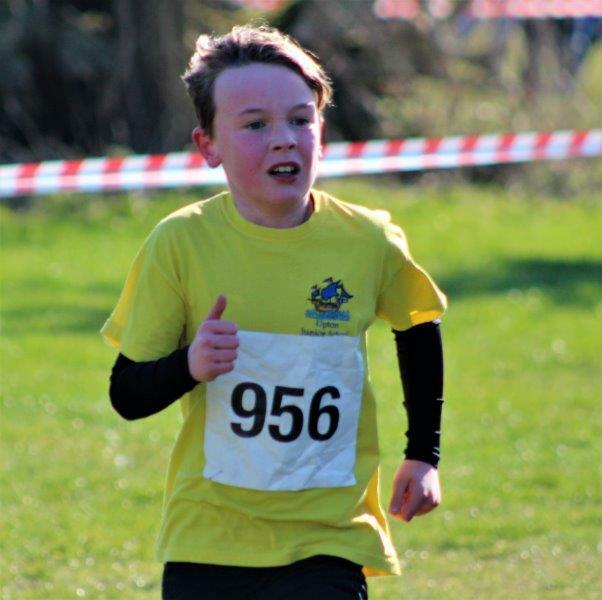 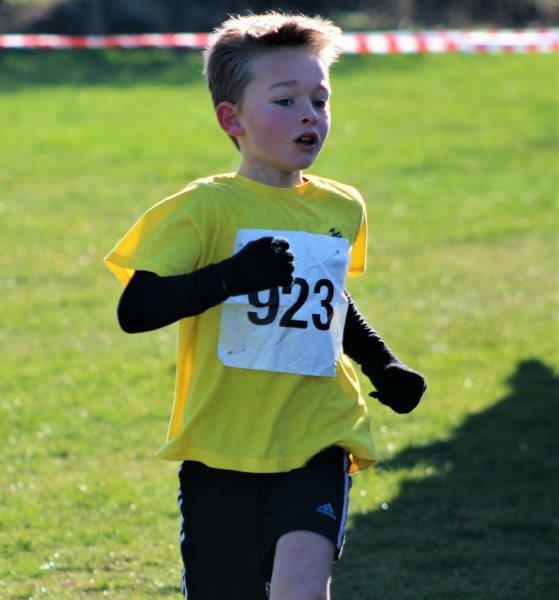 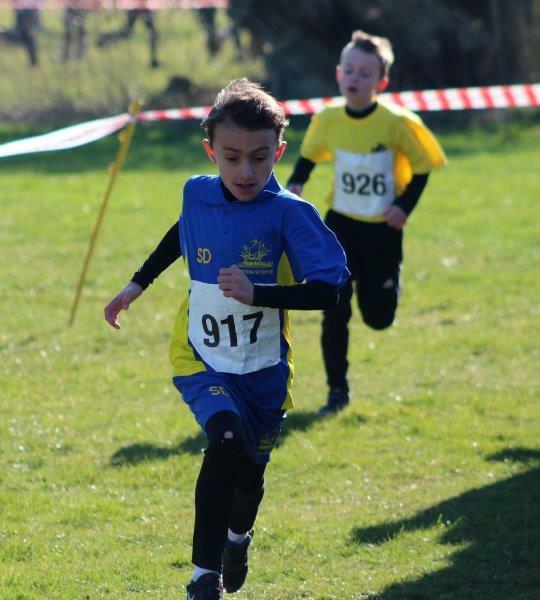 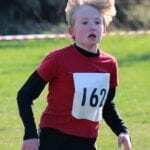 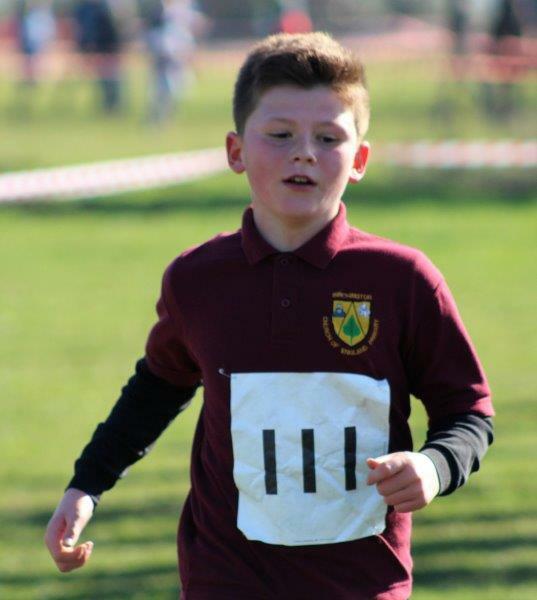 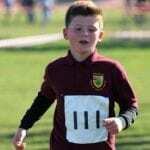 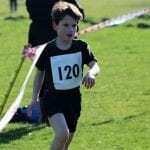 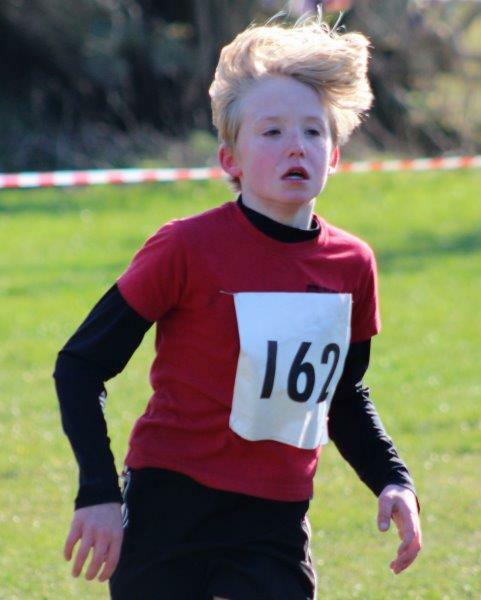 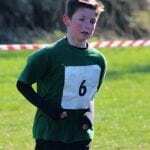 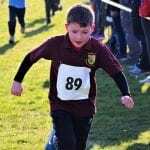 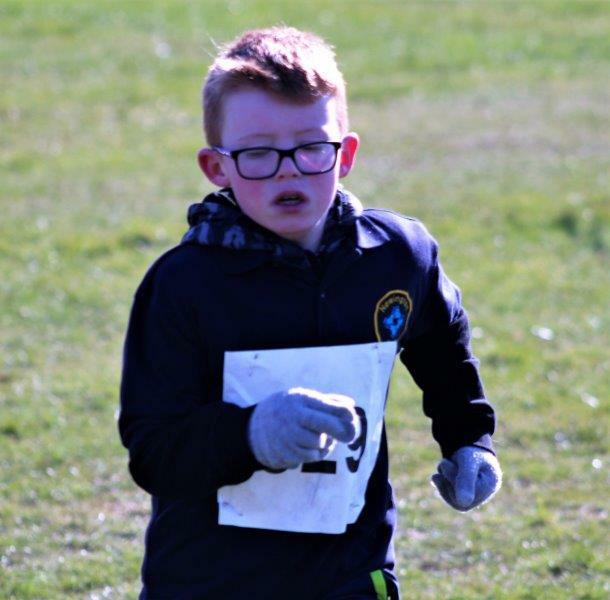 As always there were amazing performances throughout the field, but a special mention must go out to William Hopkins from Minster Primary for his truly inspirational performance. 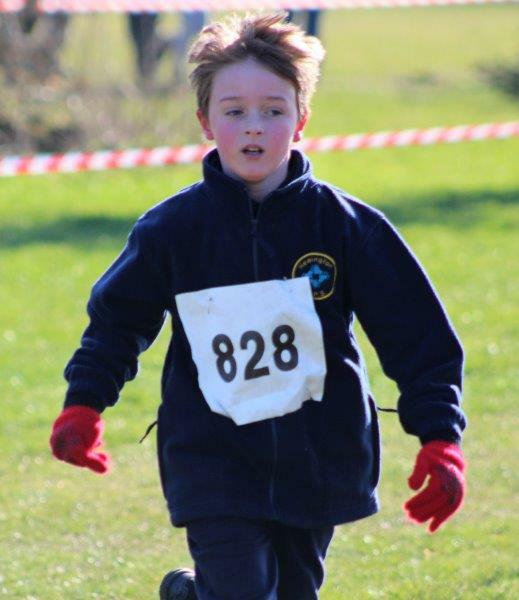 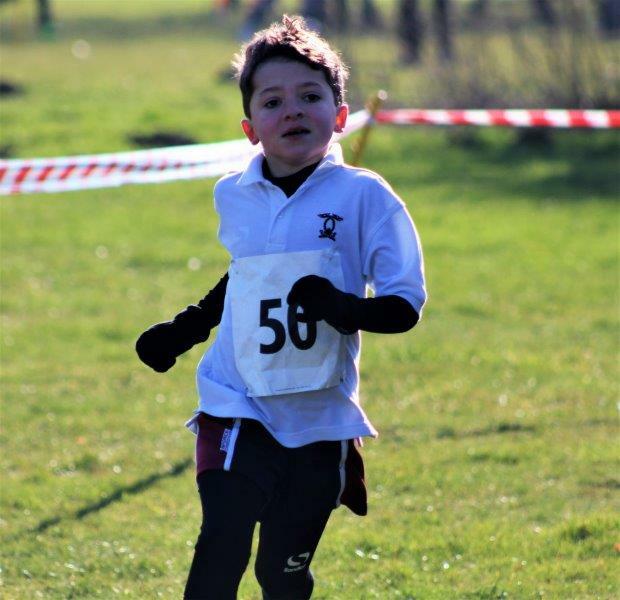 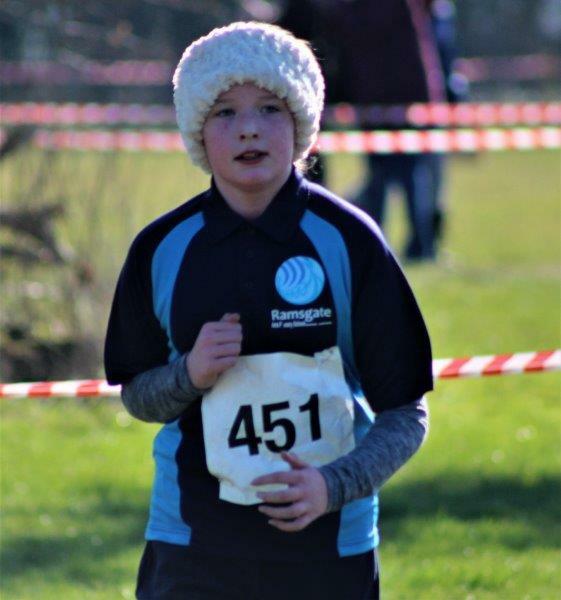 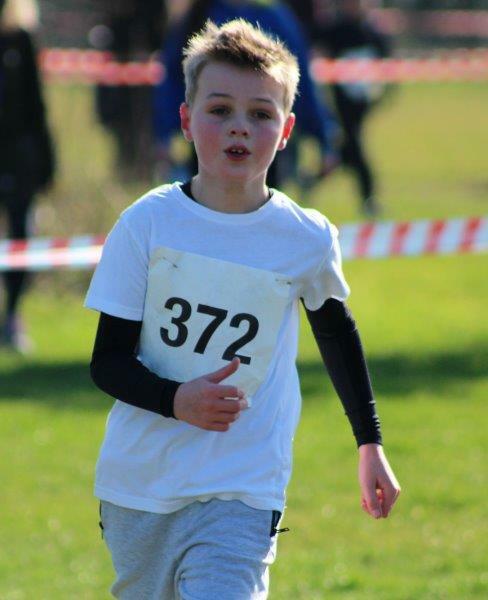 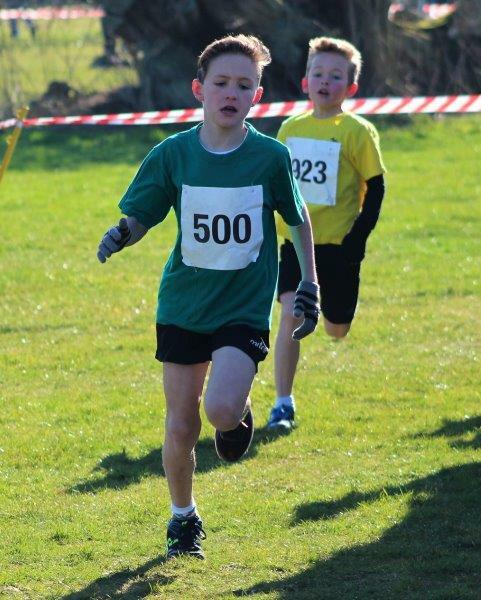 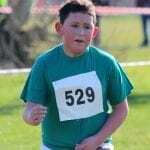 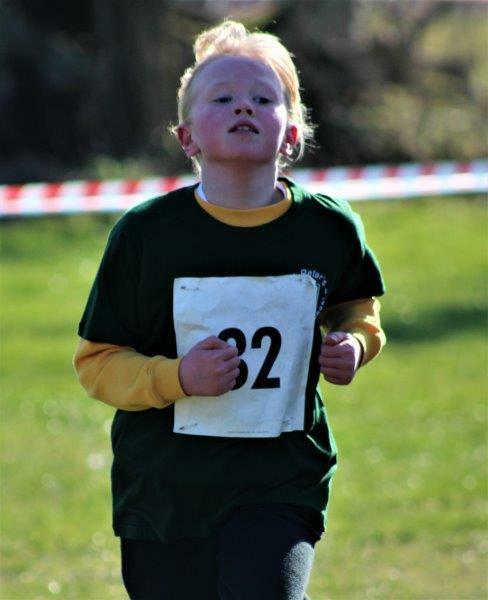 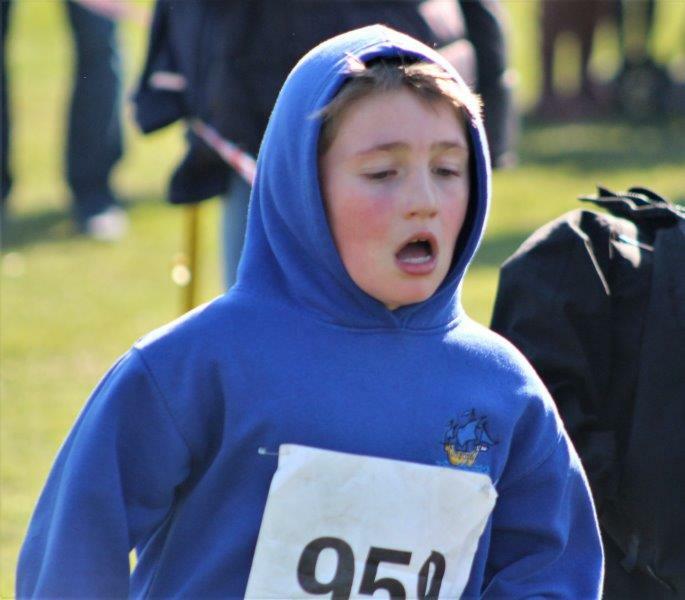 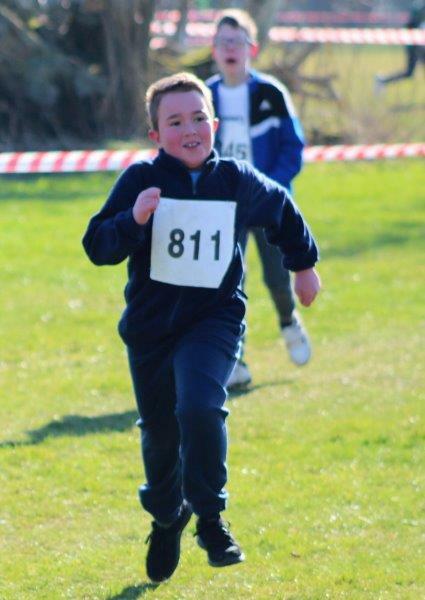 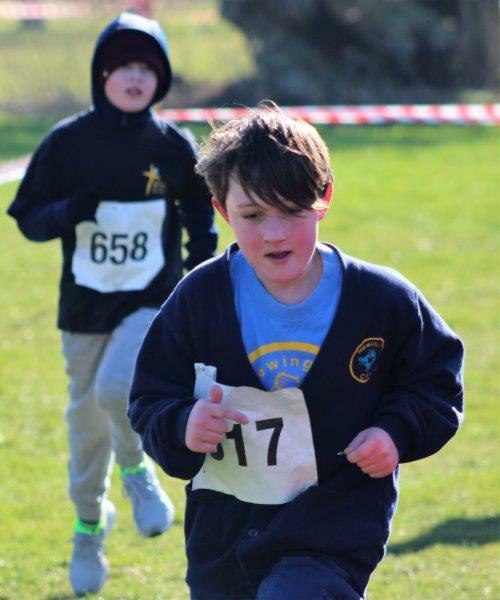 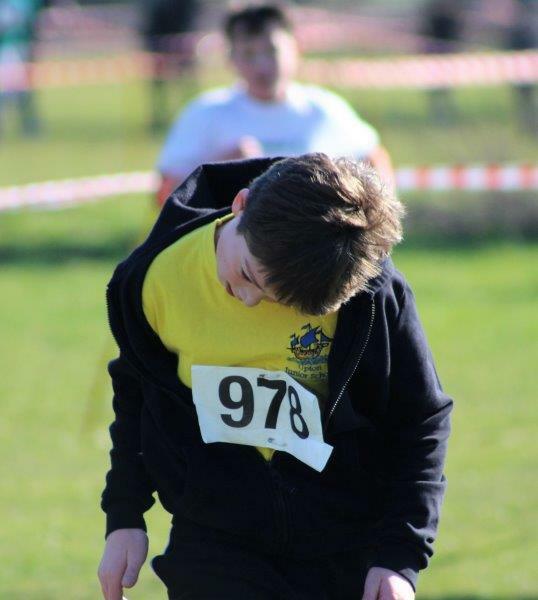 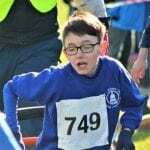 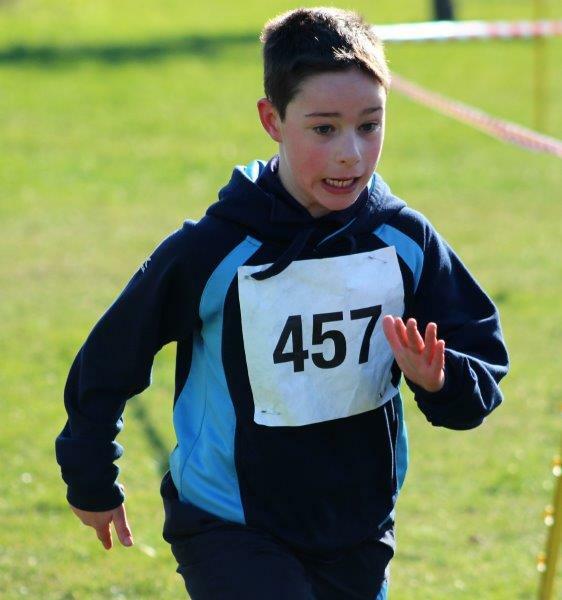 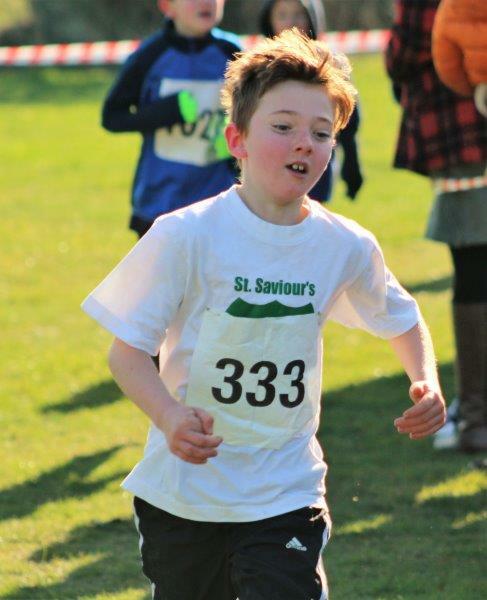 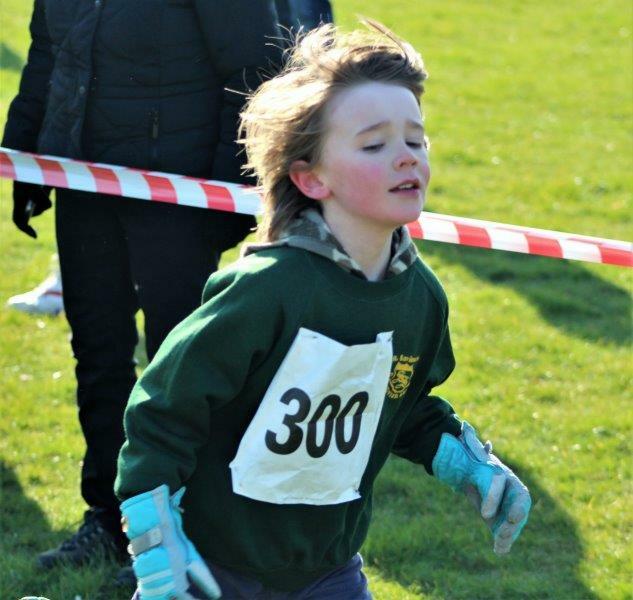 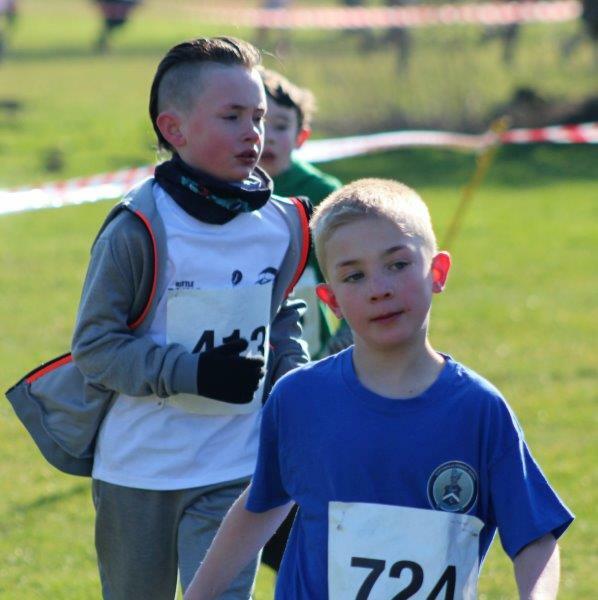 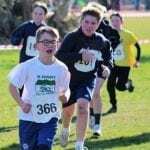 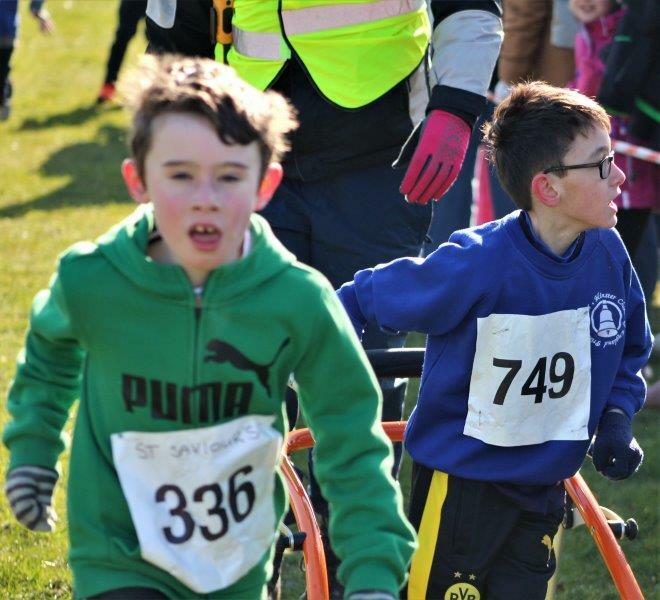 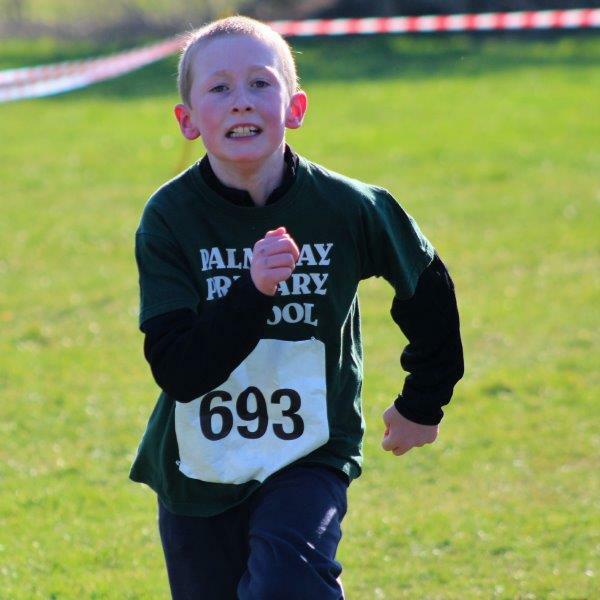 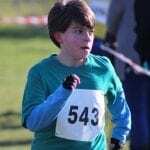 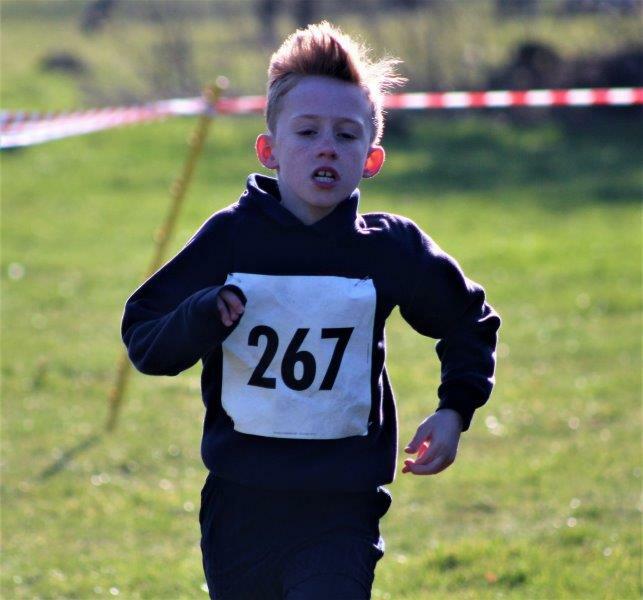 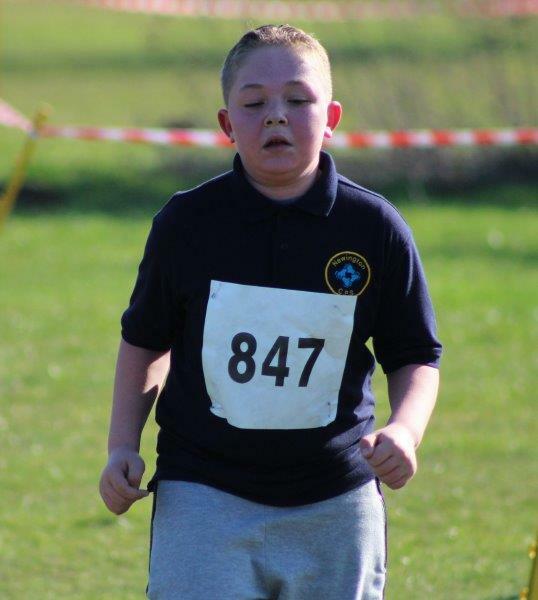 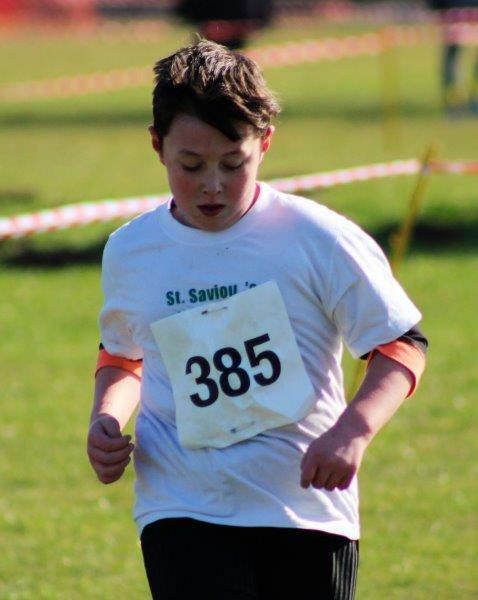 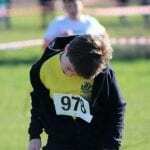 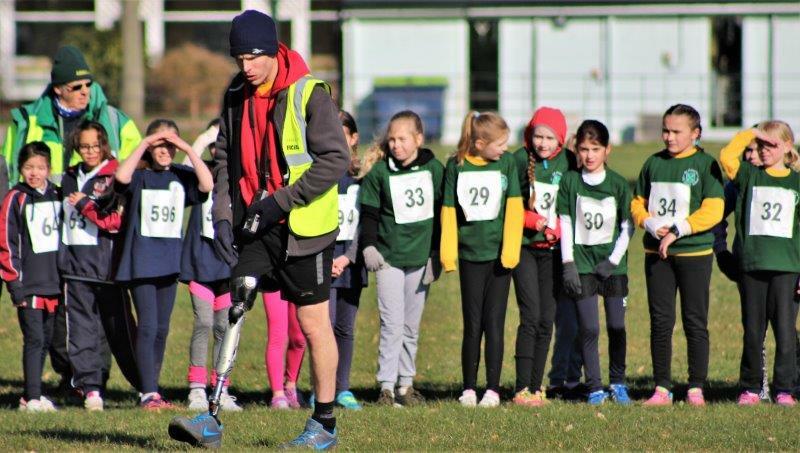 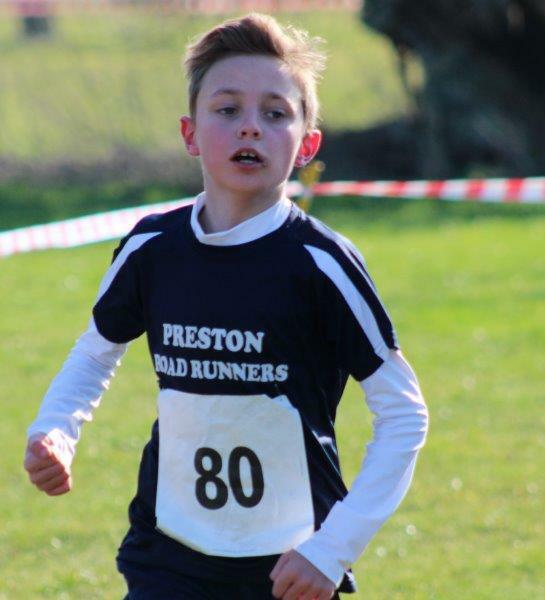 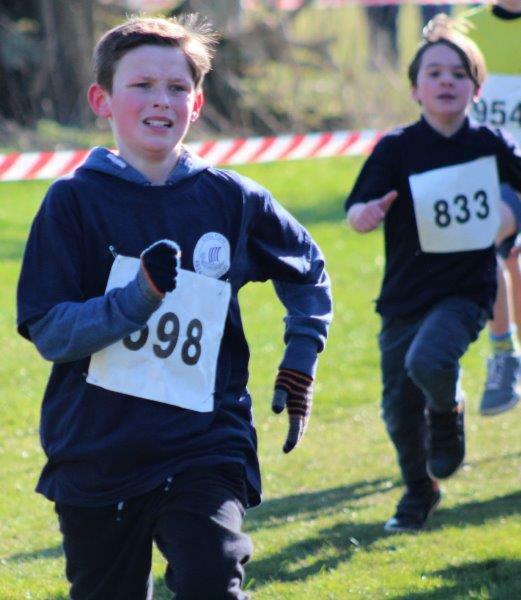 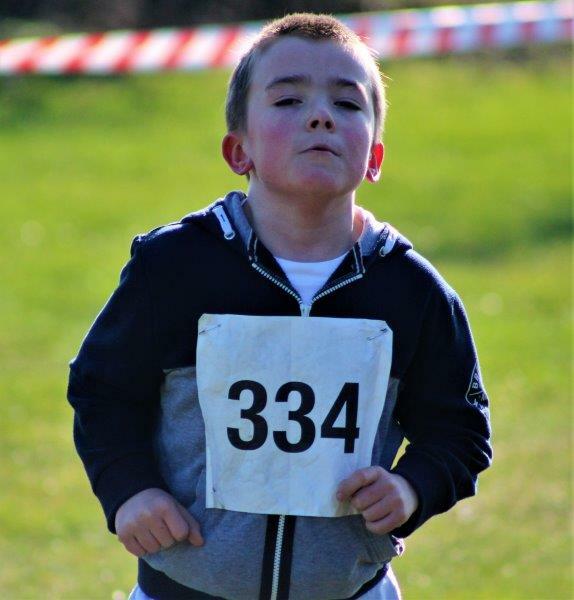 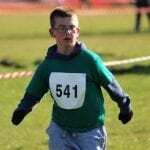 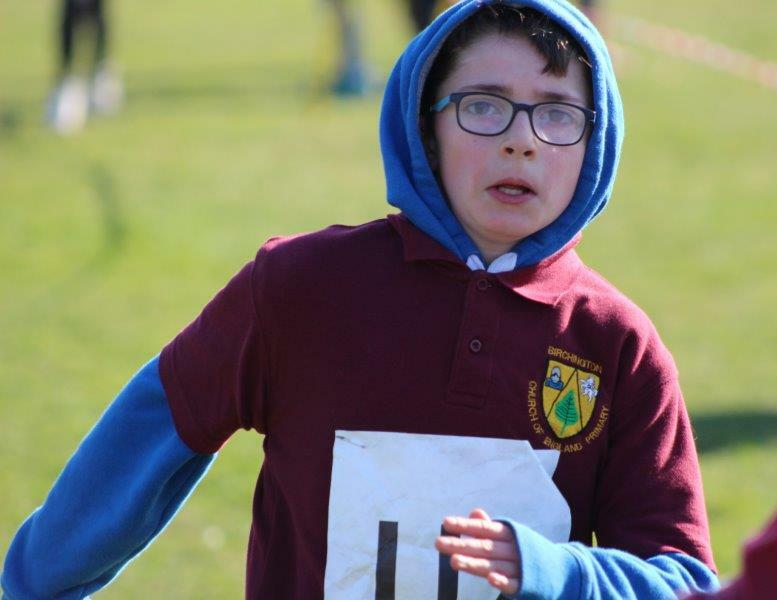 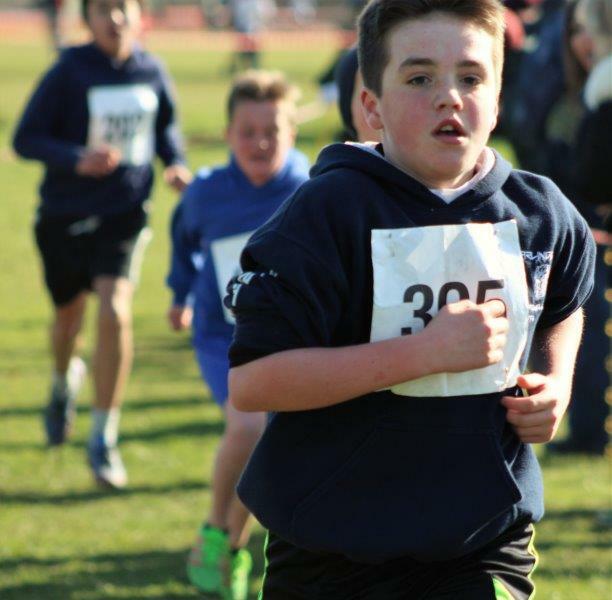 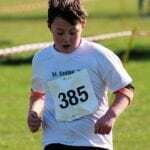 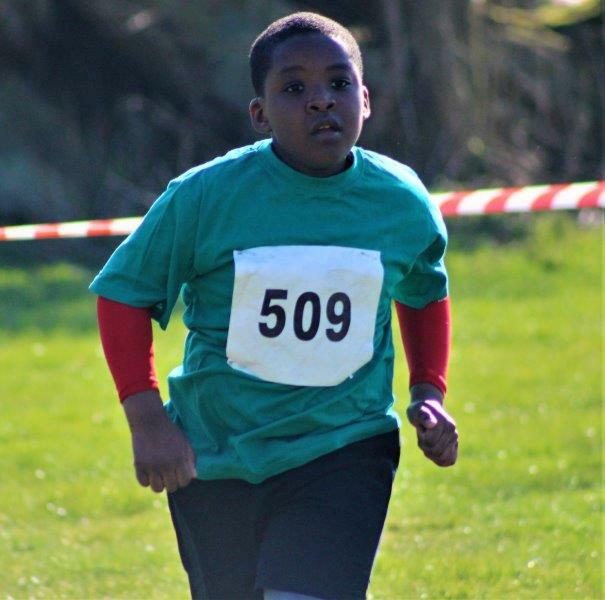 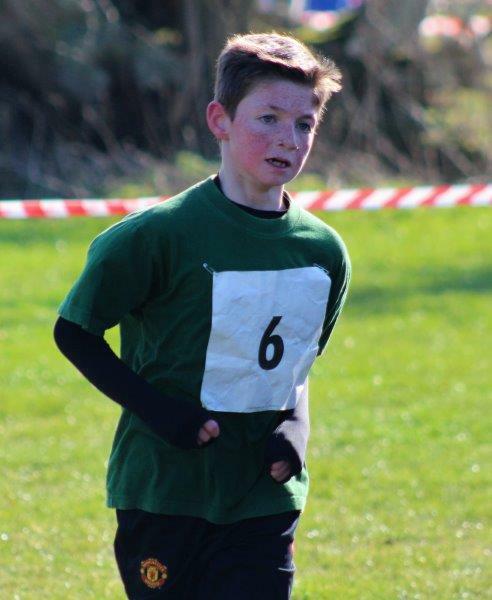 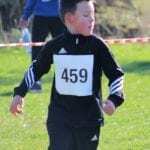 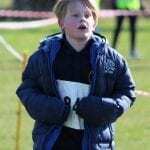 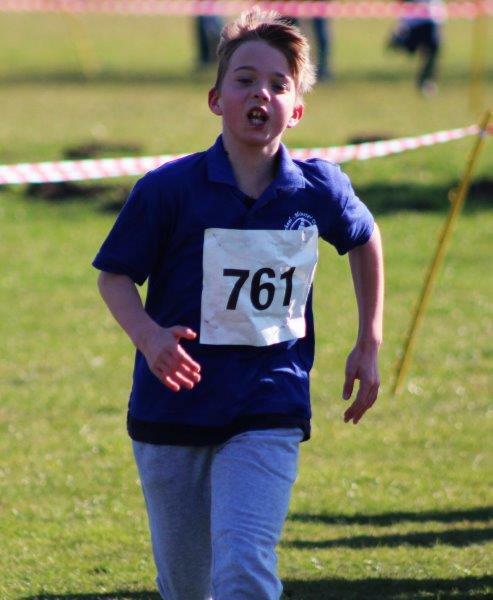 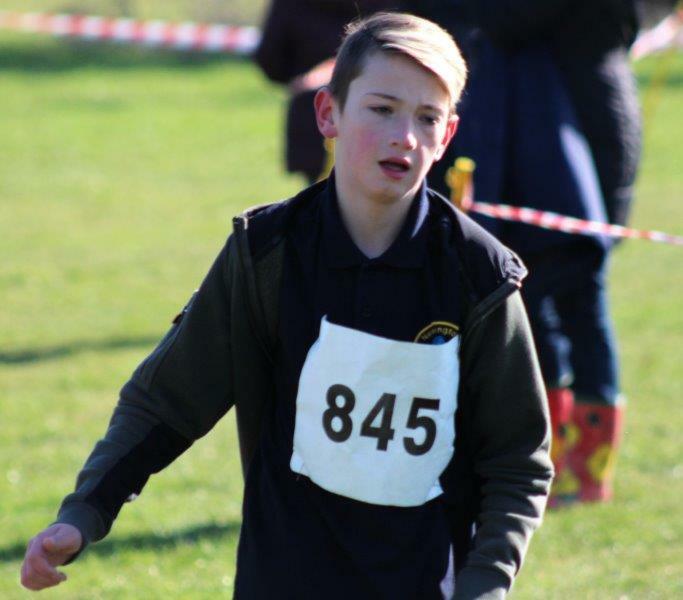 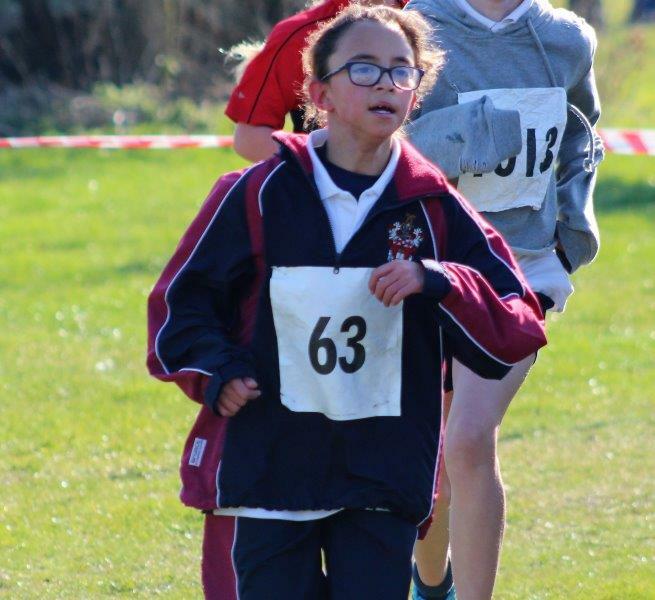 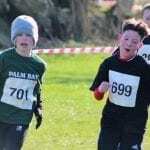 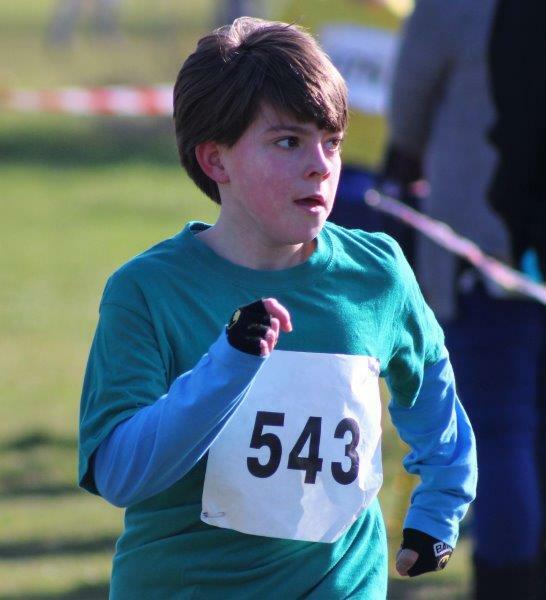 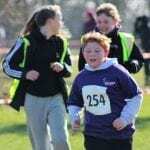 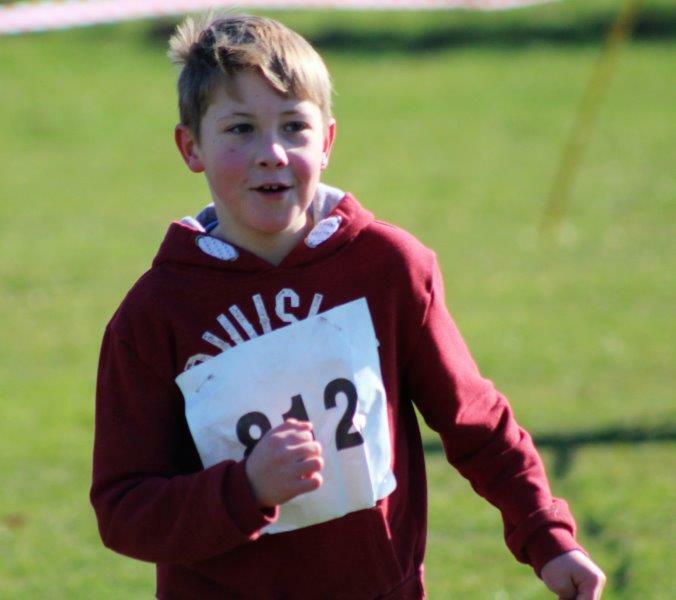 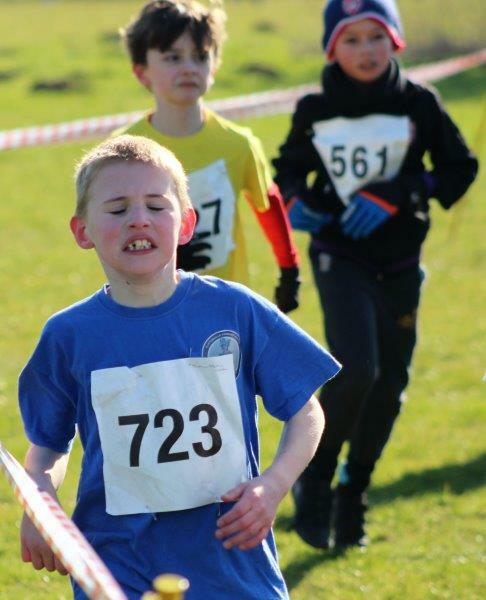 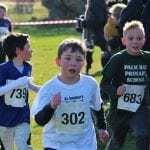 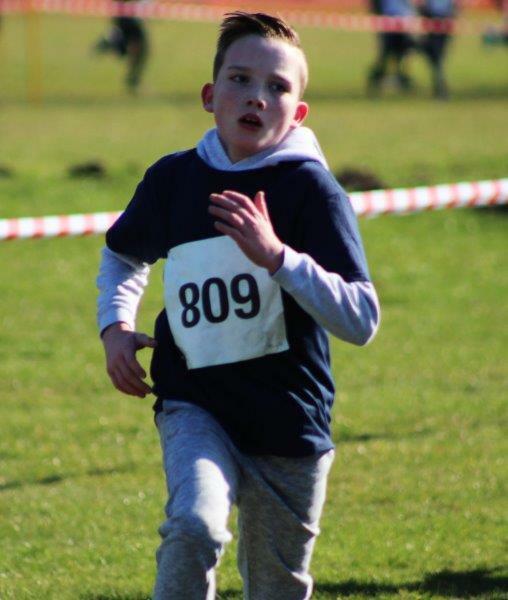 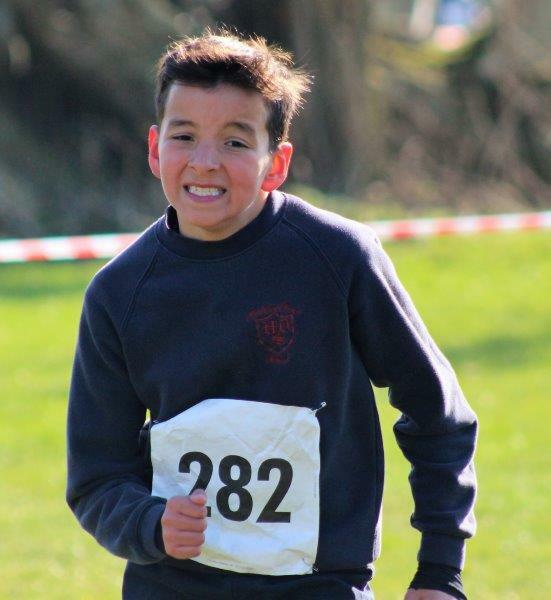 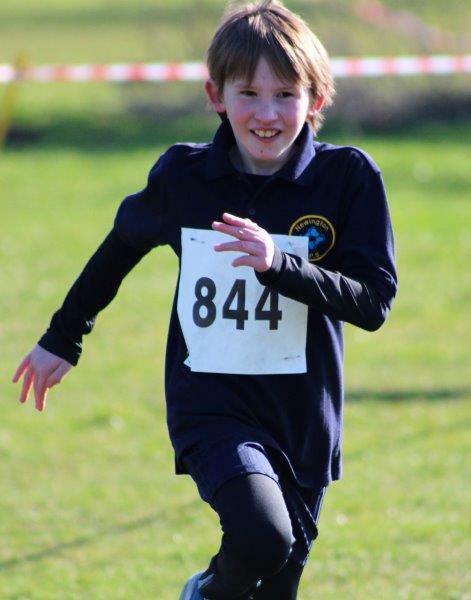 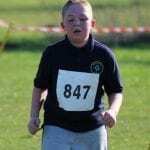 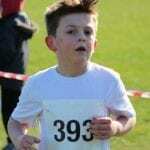 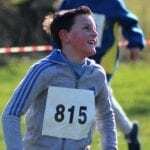 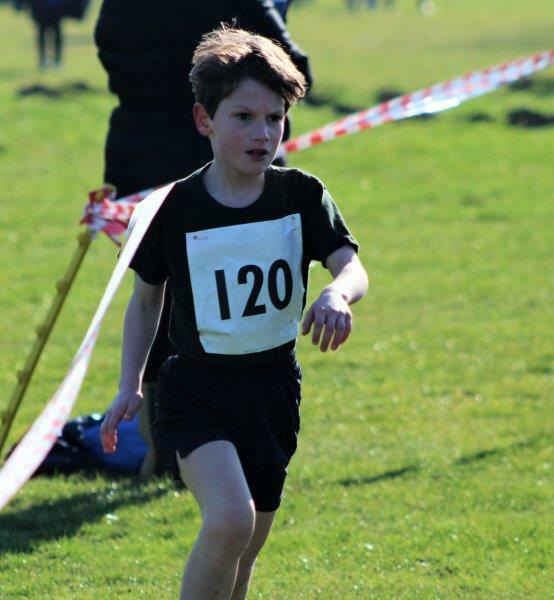 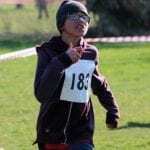 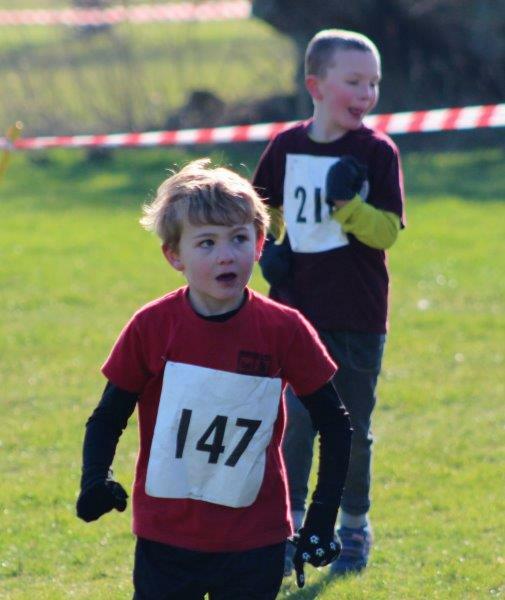 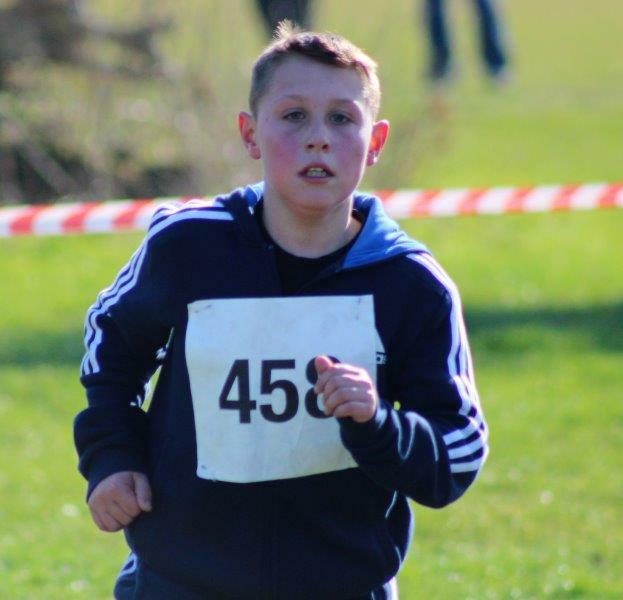 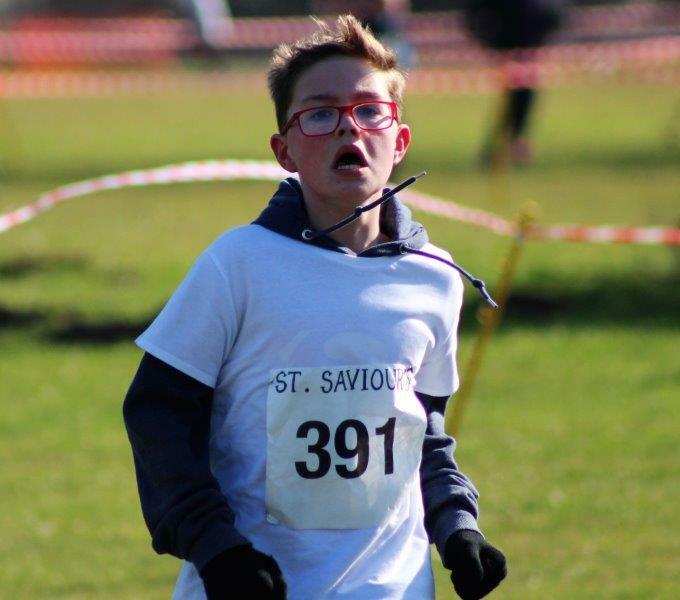 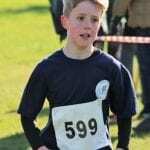 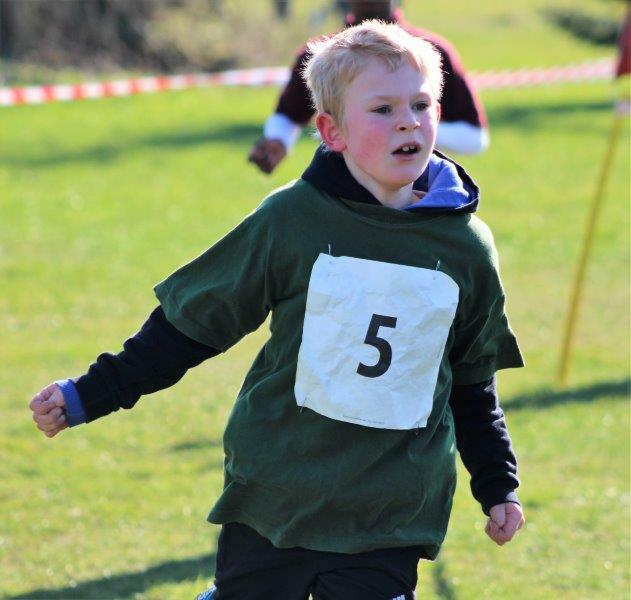 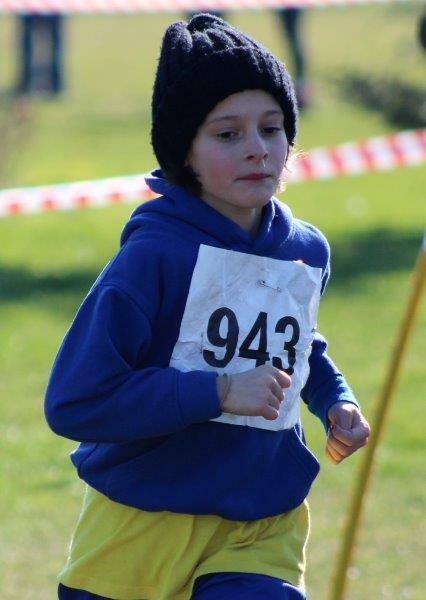 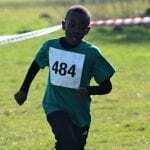 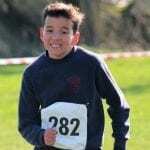 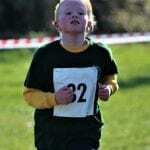 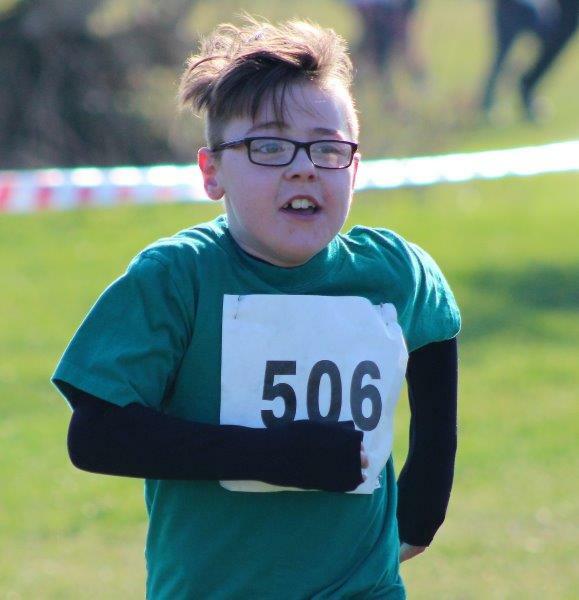 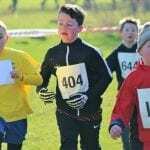 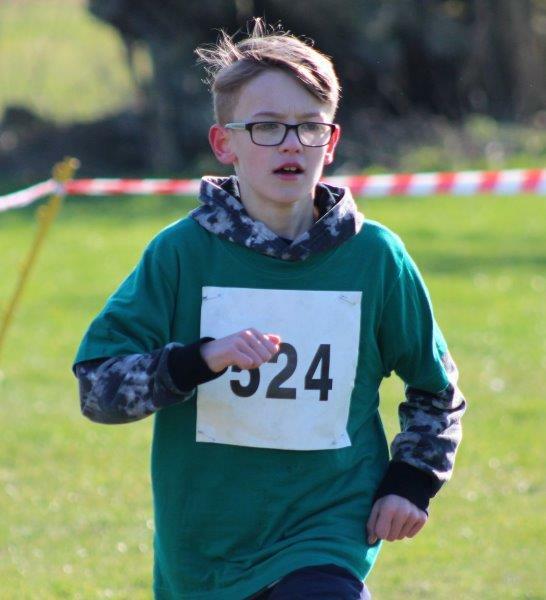 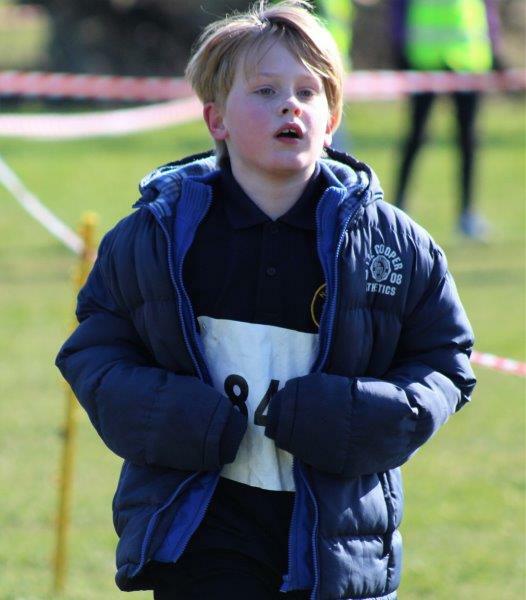 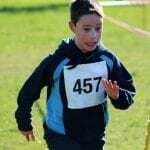 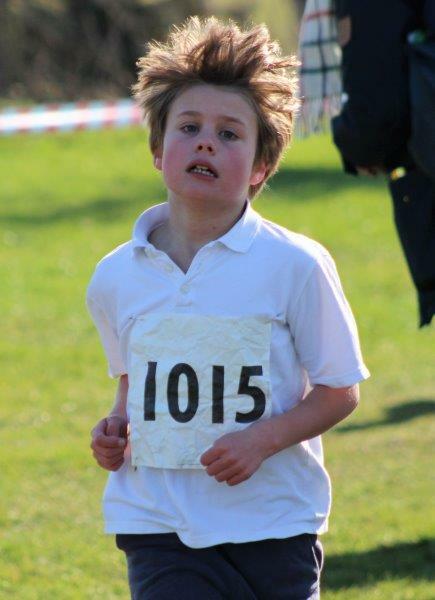 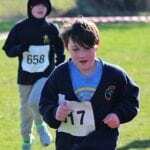 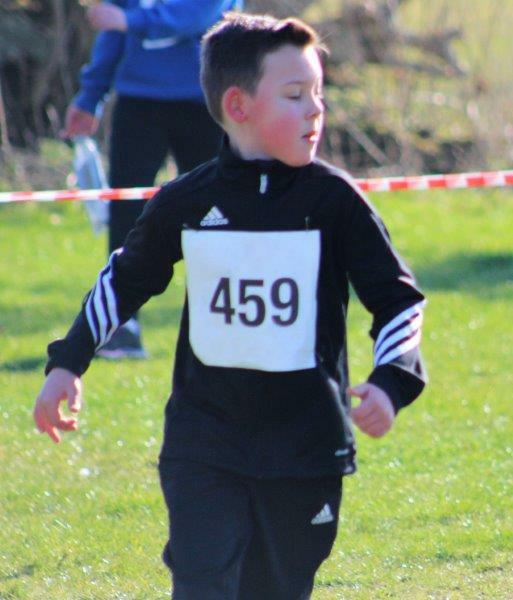 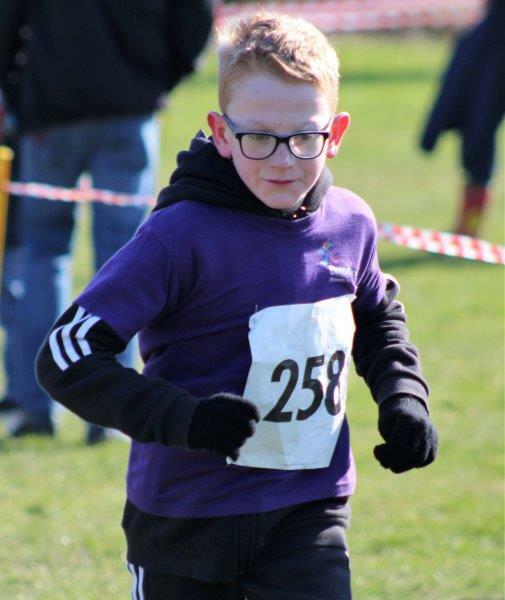 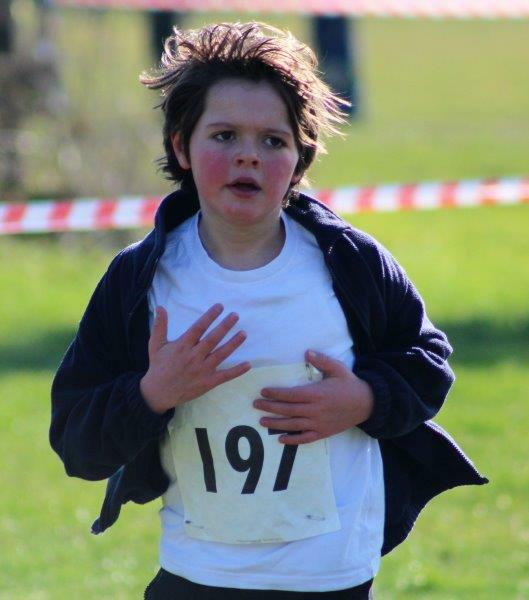 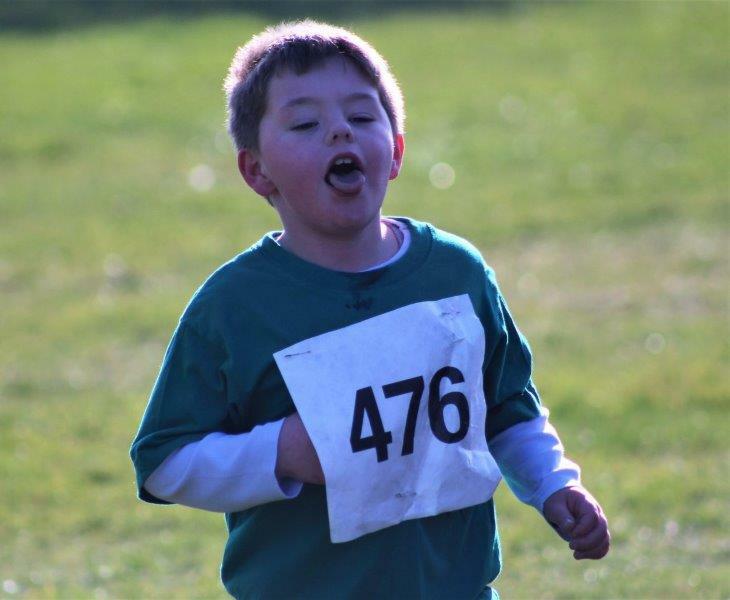 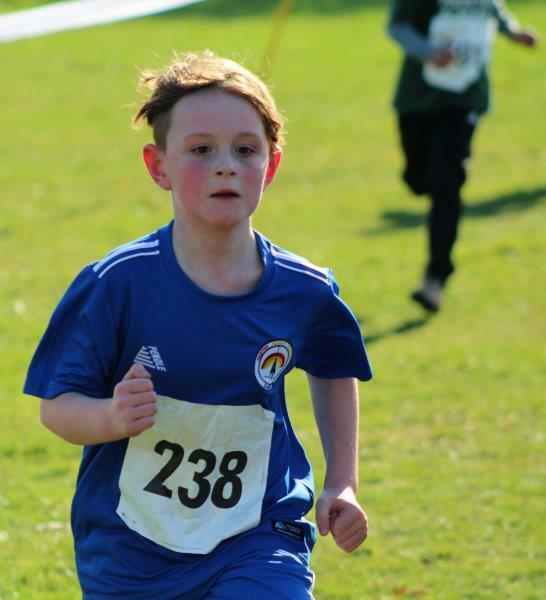 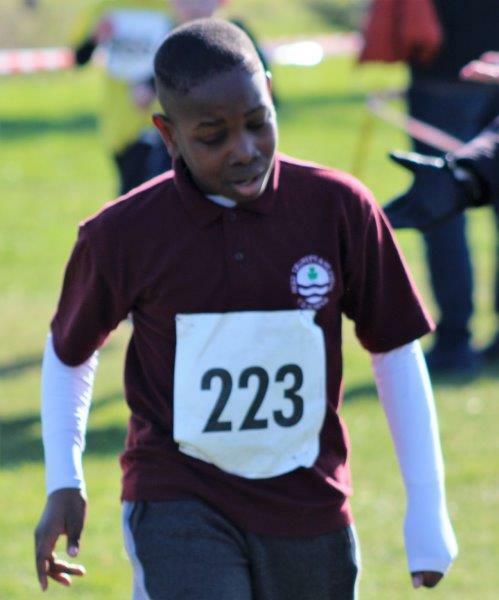 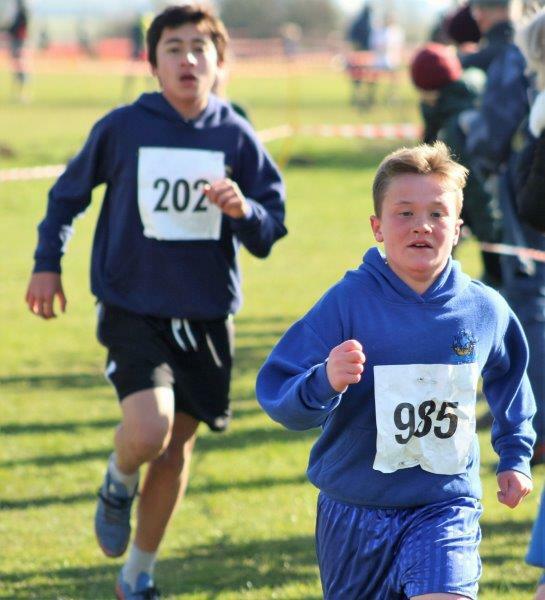 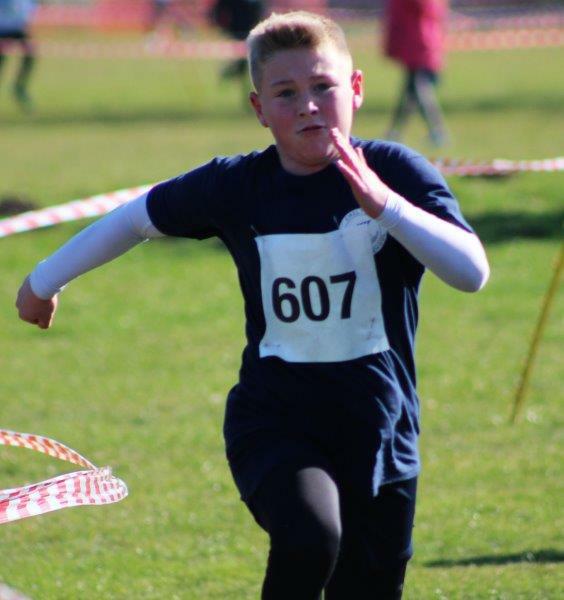 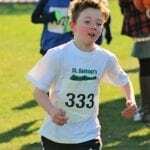 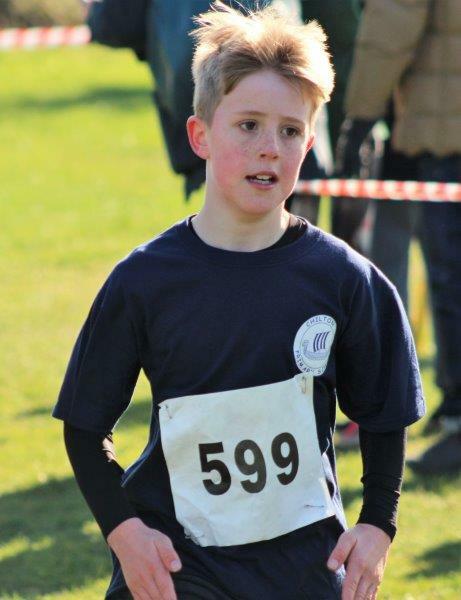 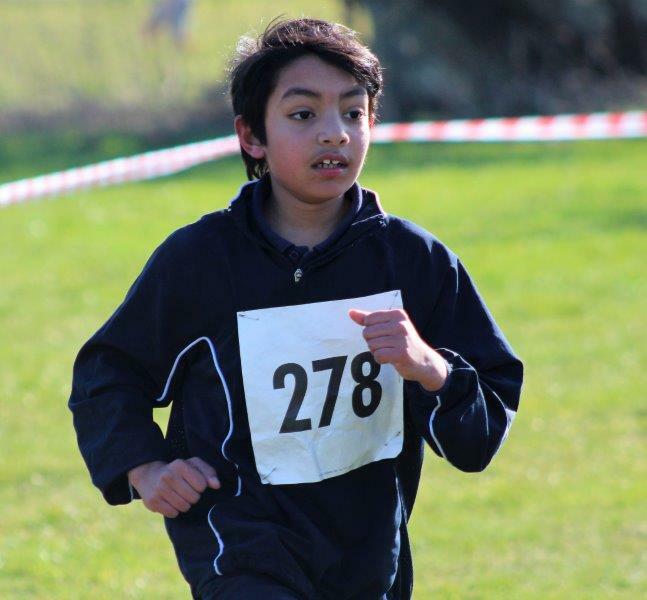 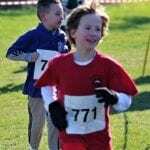 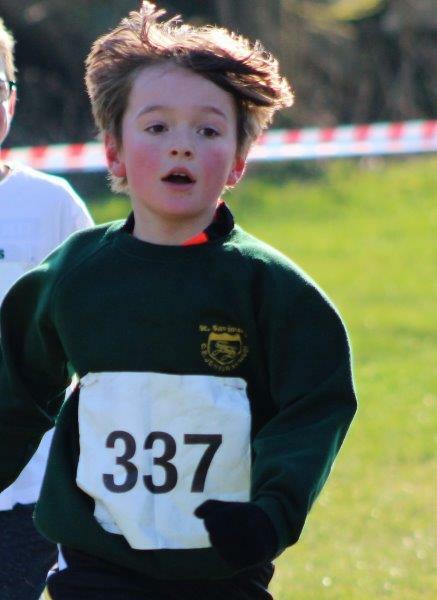 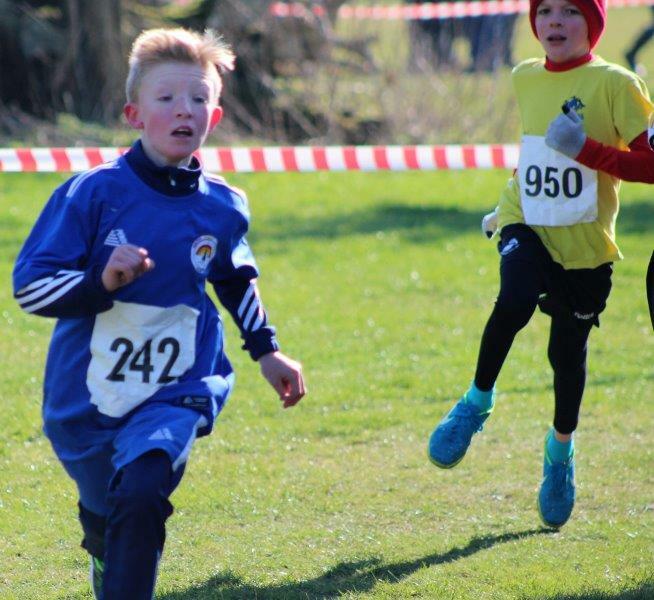 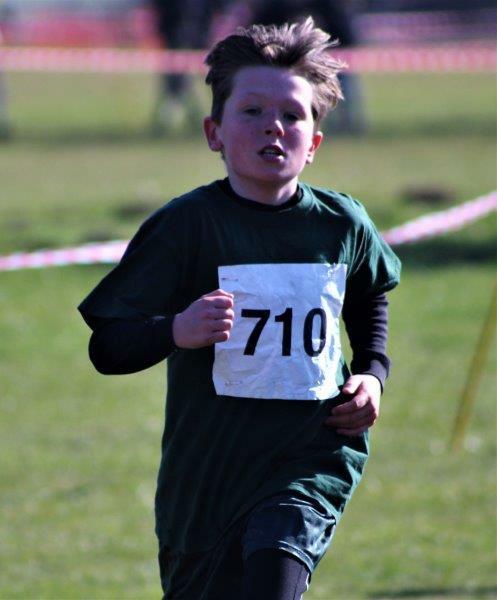 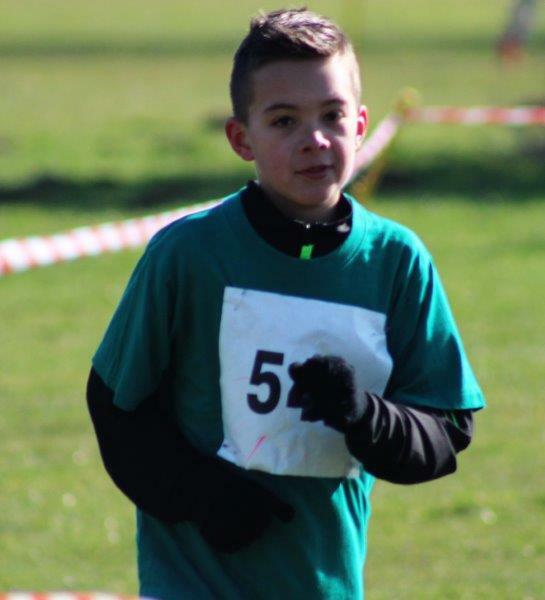 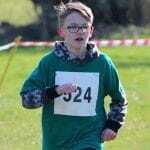 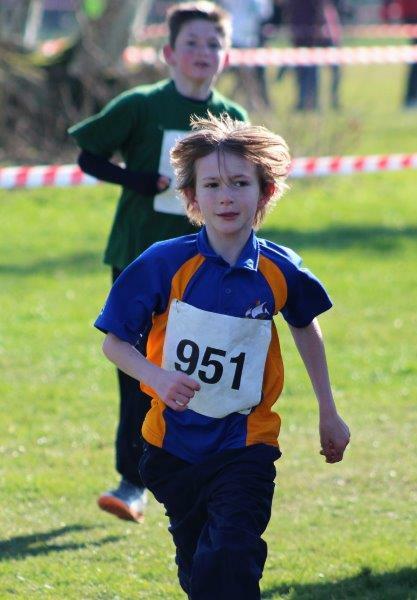 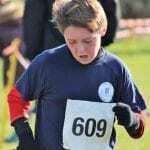 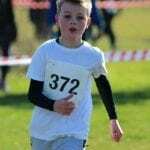 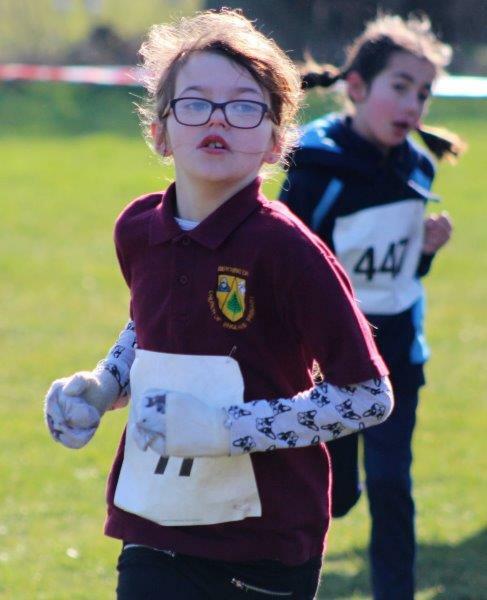 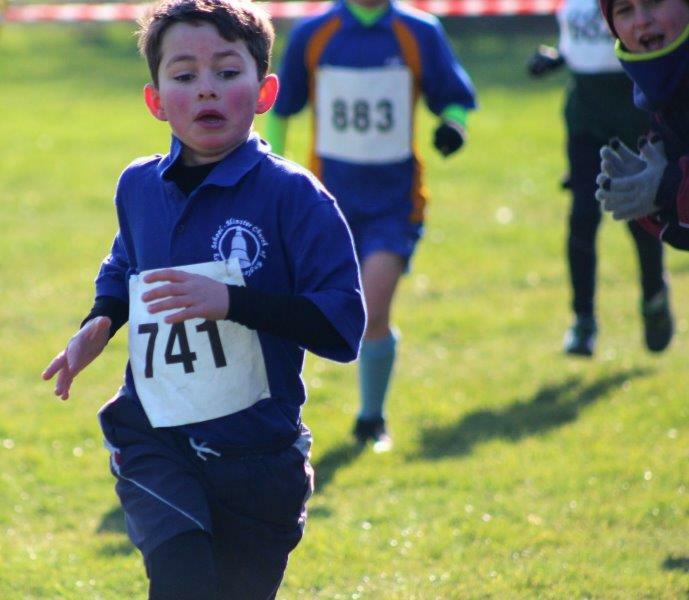 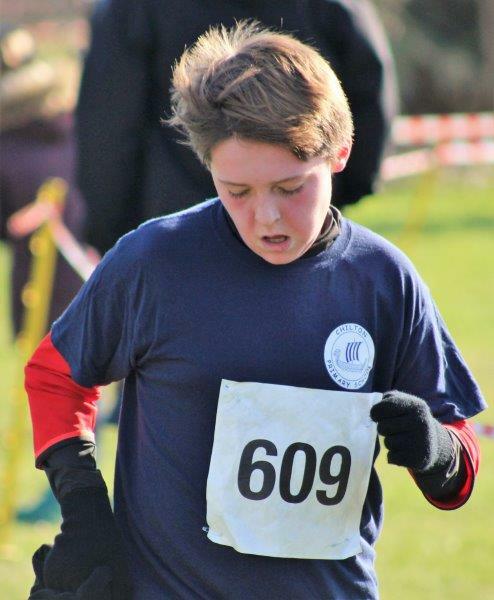 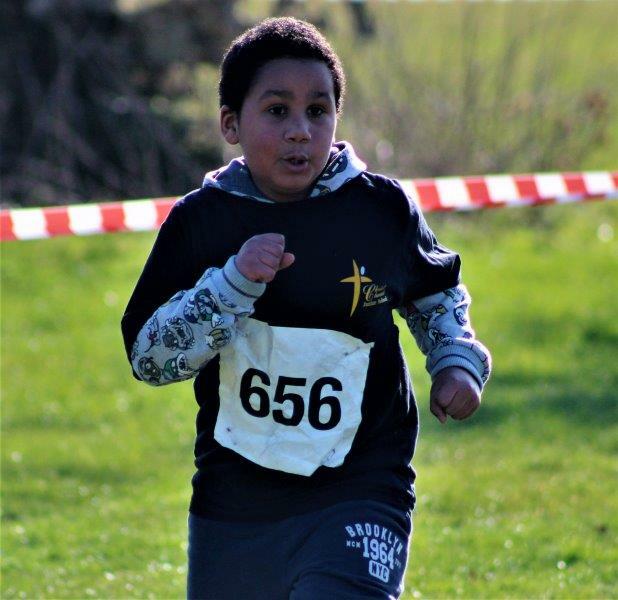 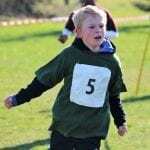 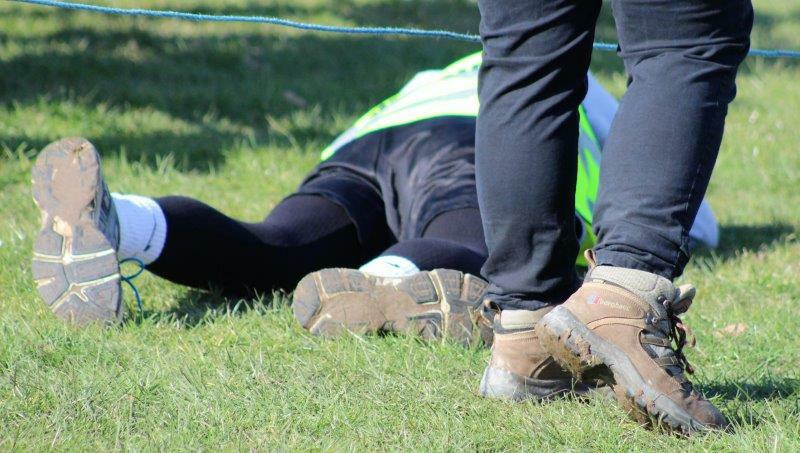 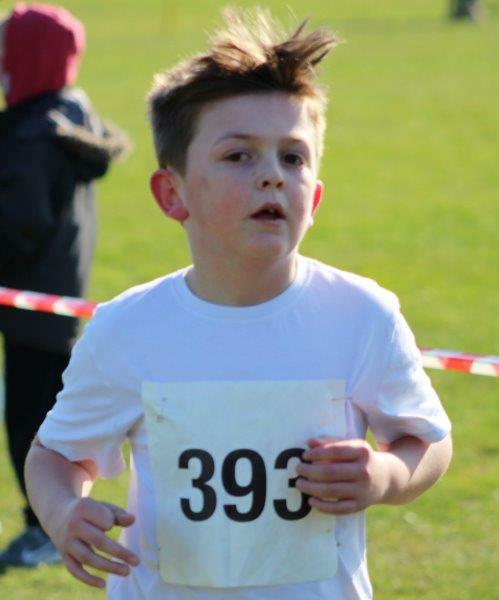 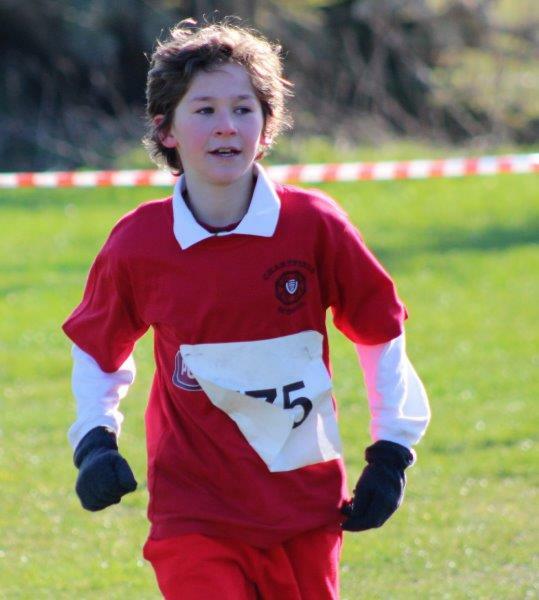 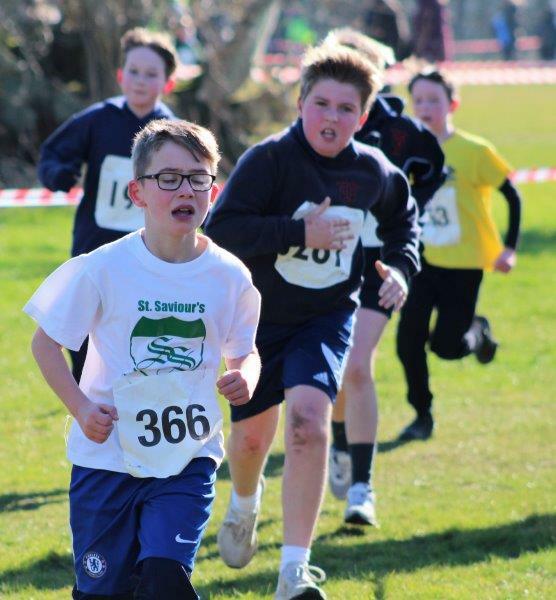 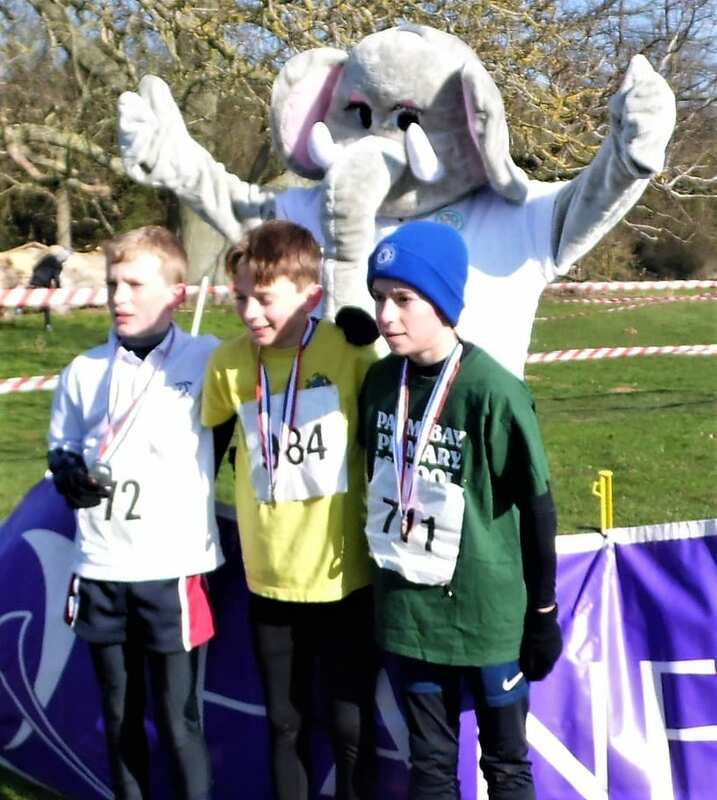 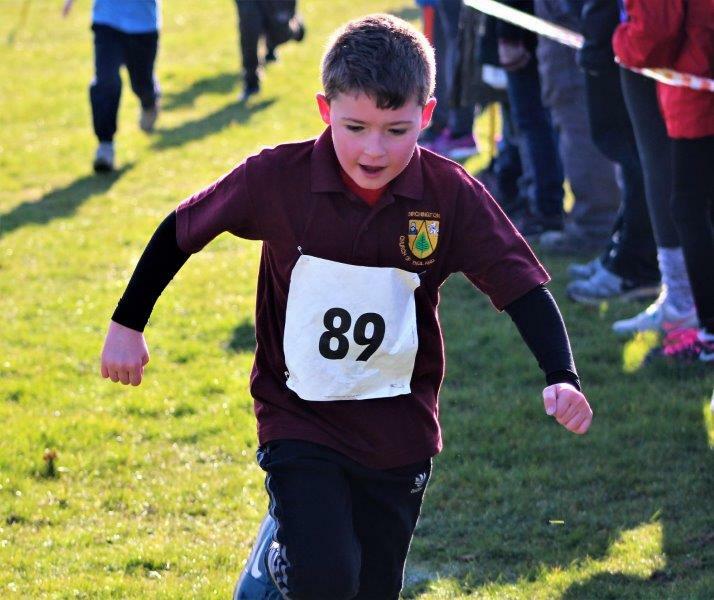 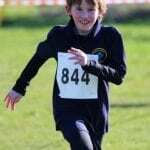 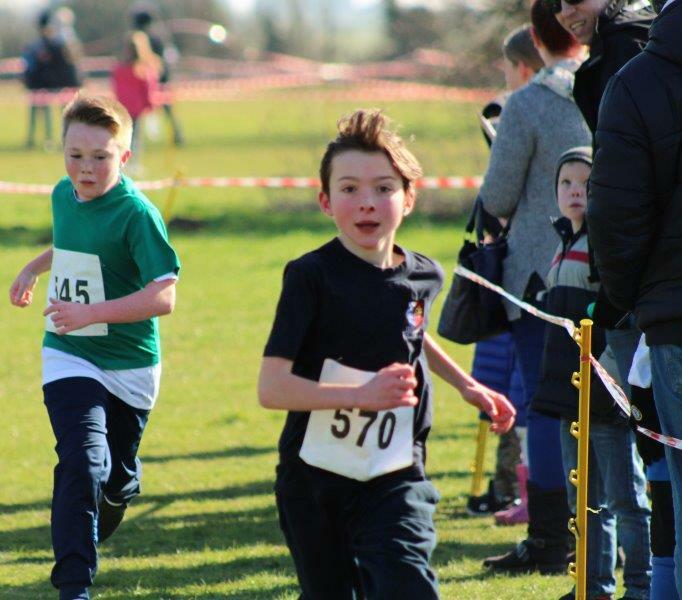 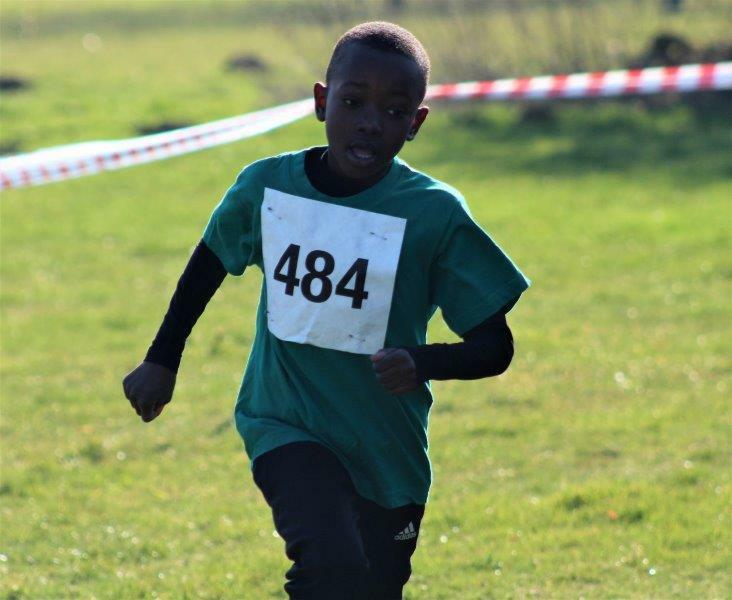 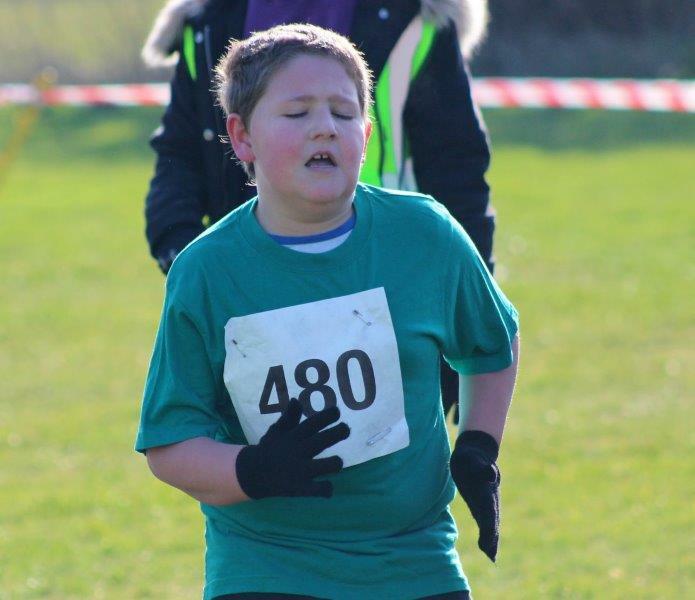 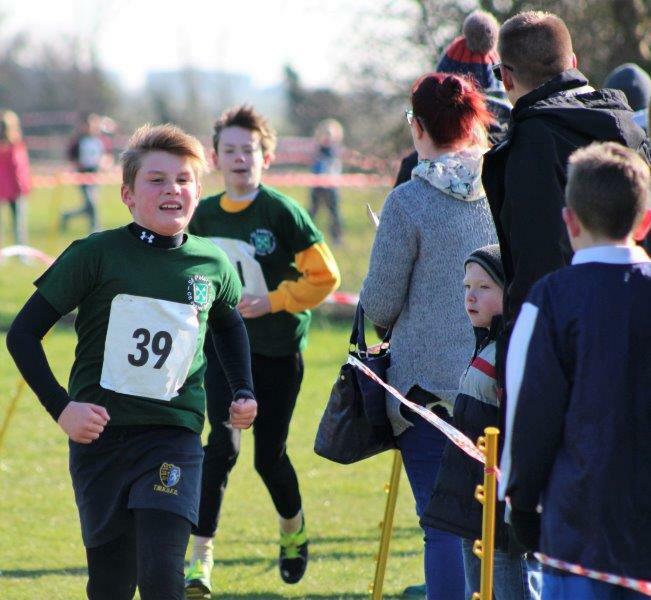 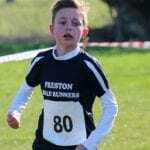 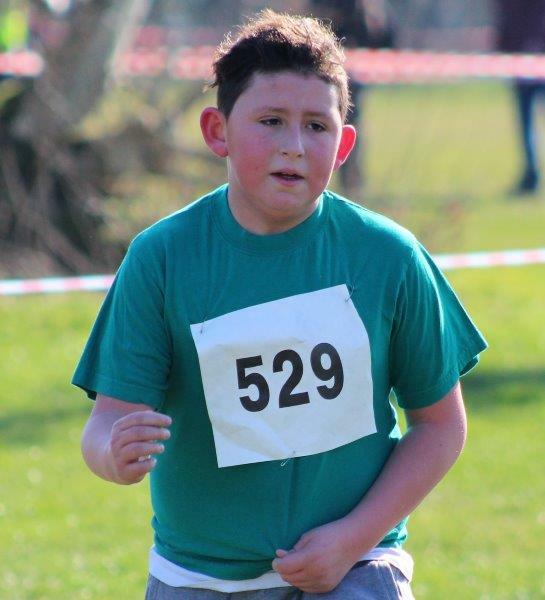 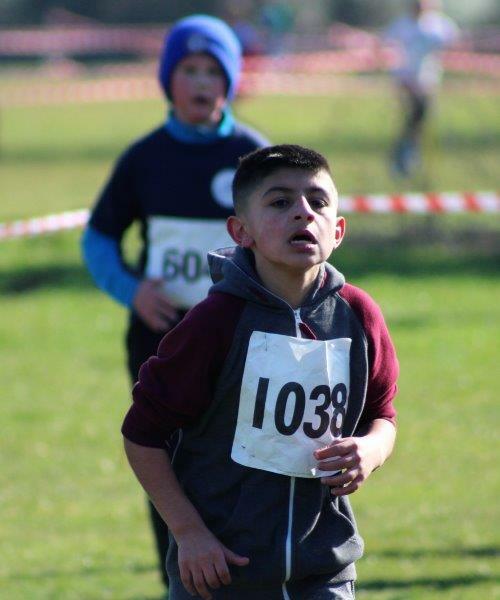 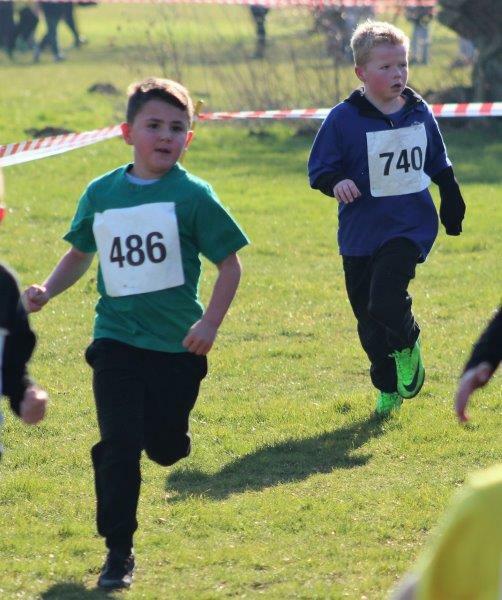 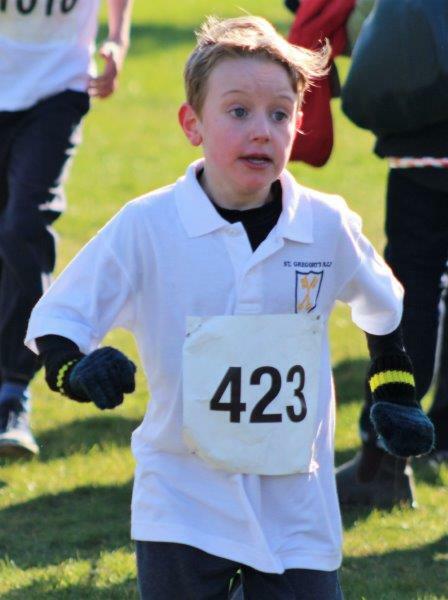 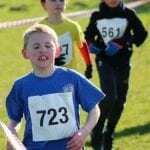 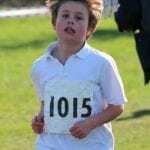 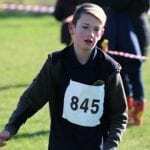 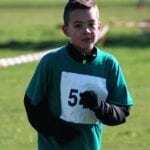 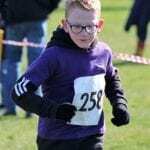 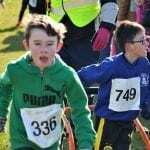 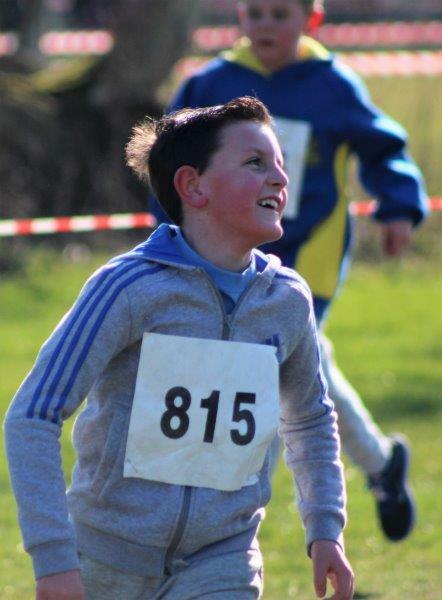 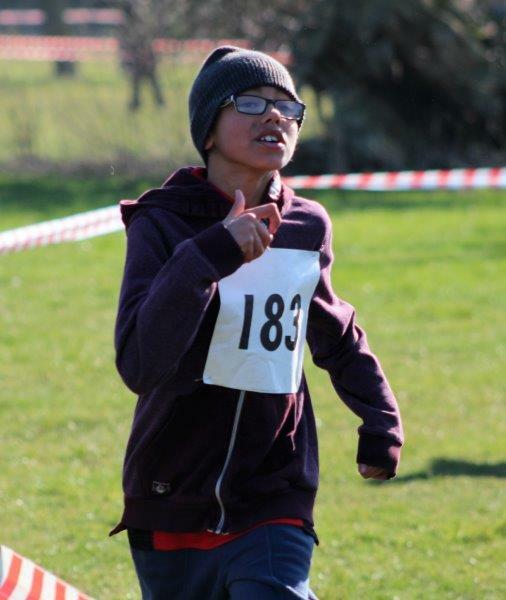 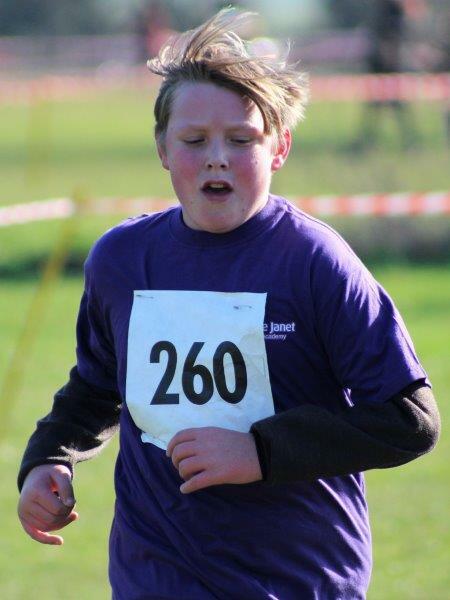 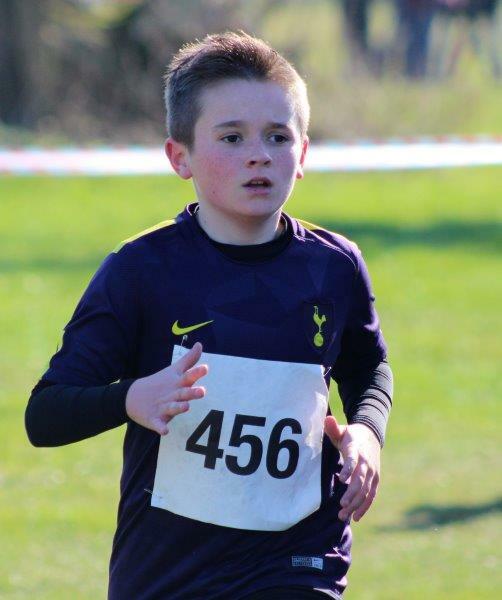 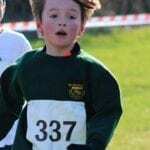 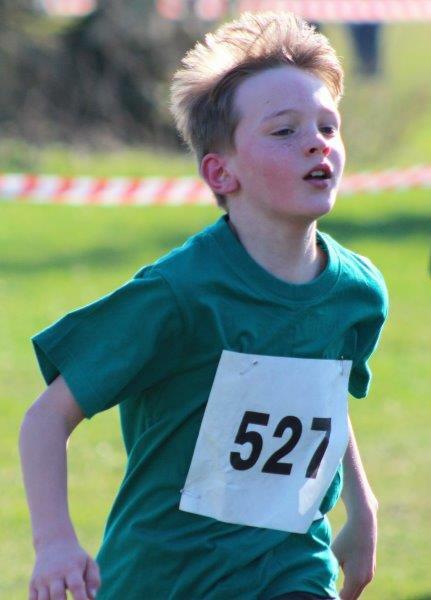 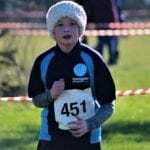 William became the first ever disabled runner to compete in the competition and, as he completed this difficult course, you could see how much it meant to him. 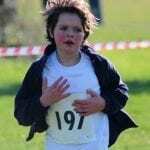 I spoke with William and his mum after the event and both were beaming with pride over his outstanding run. 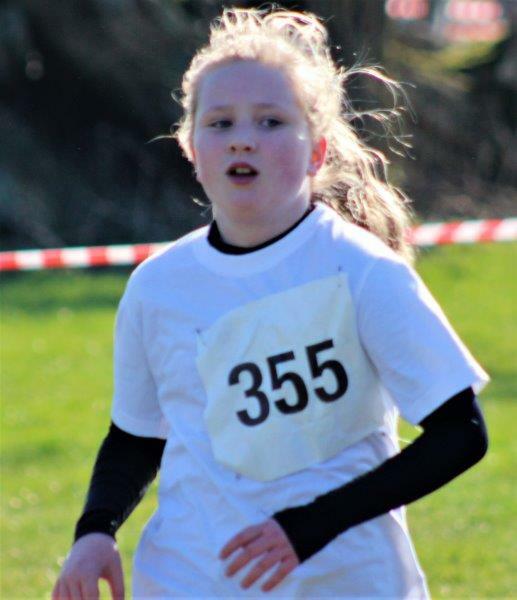 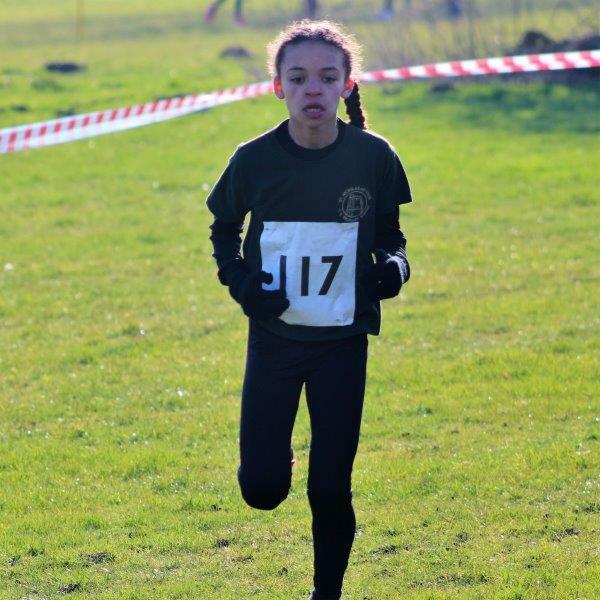 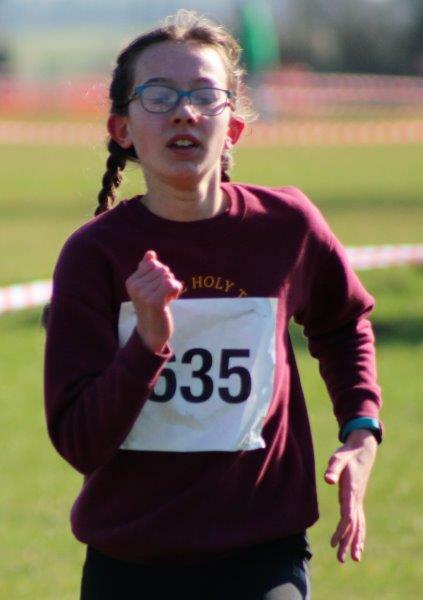 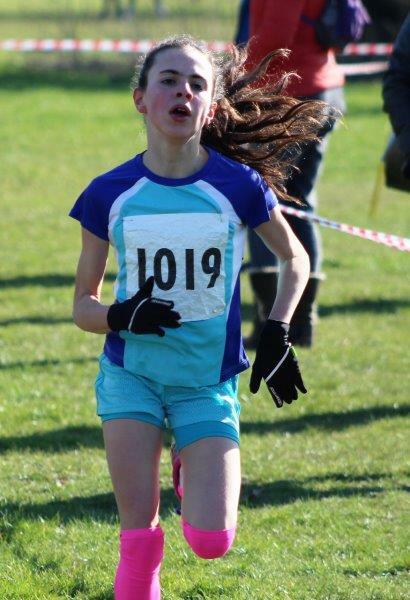 One of the other stand-out runners of the morning was Natalia Austin, who ran by far the fastest 1500m of the day completing the course in an impressive 5.34.95. 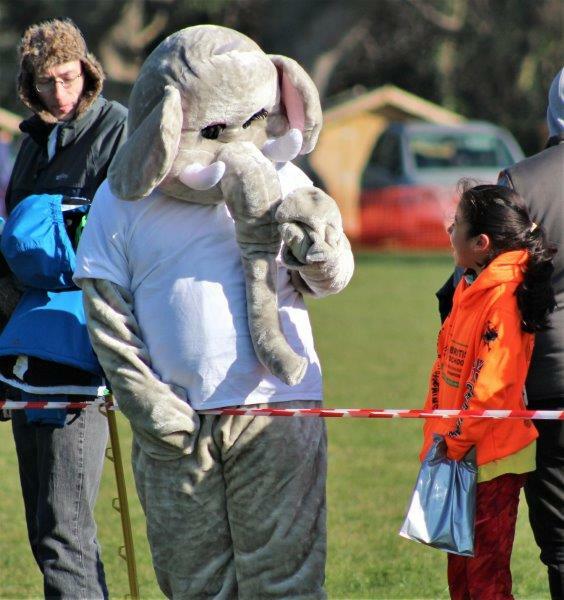 I felt really sorry for the Race Marshall who tried so hard to keep up with her. 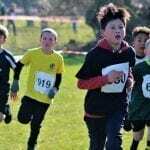 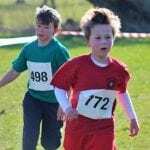 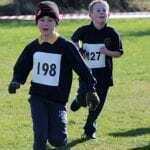 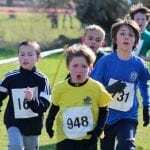 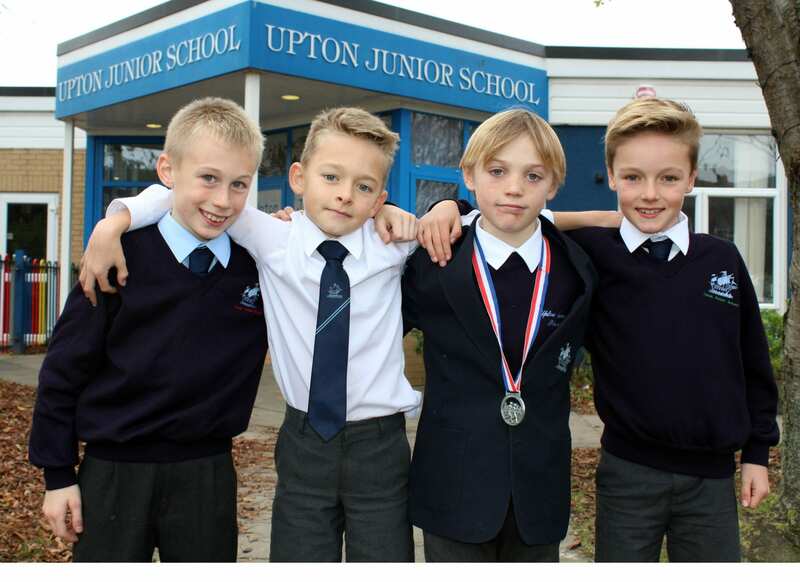 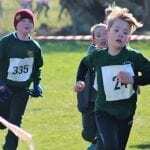 The final race of the morning was the Year 6 boys and it didn’t disappoint. 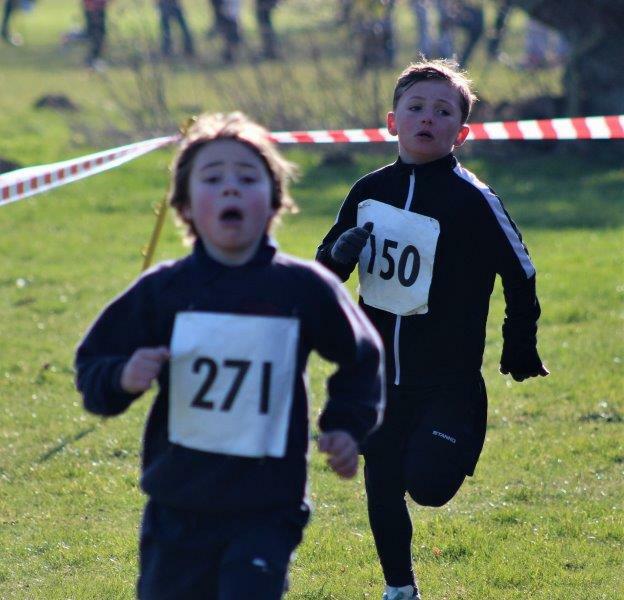 The medallists in this race have competed against each other a number of times before and competition for a place on the podium was fierce. 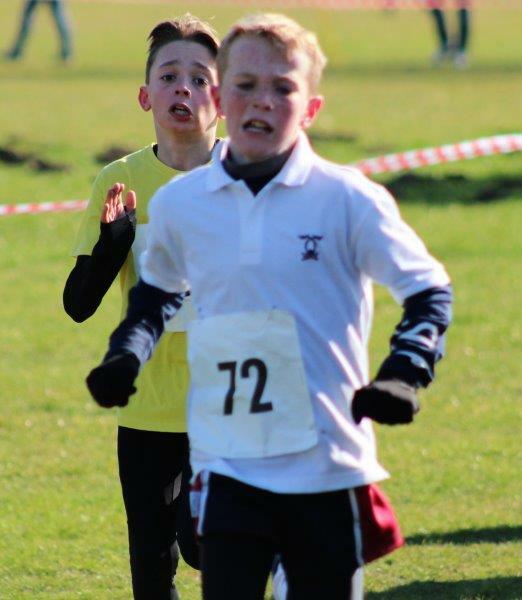 As the first two runners turned the final bend Tadhg McGrath was in the lead but Riley Maisey’s perfectly timed sprint finish took him over the line just inches ahead. 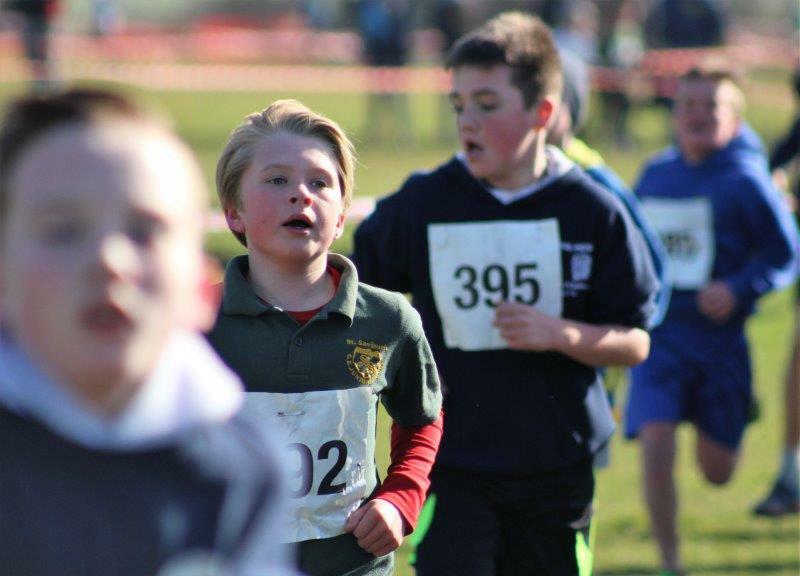 It was a truly fitting end to a fantastic morning of racing. 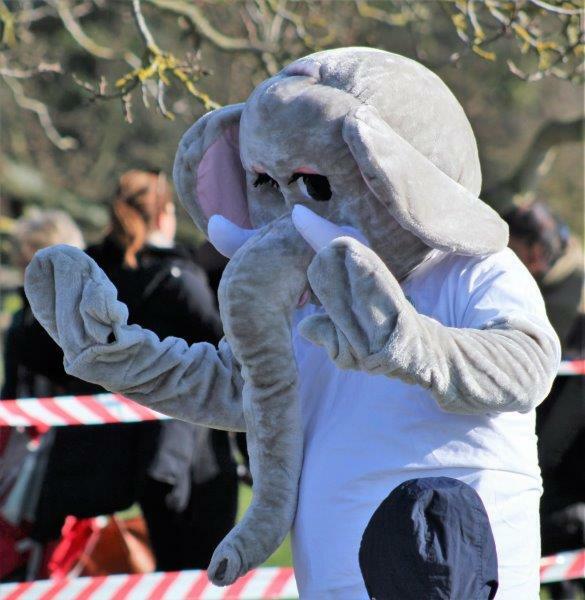 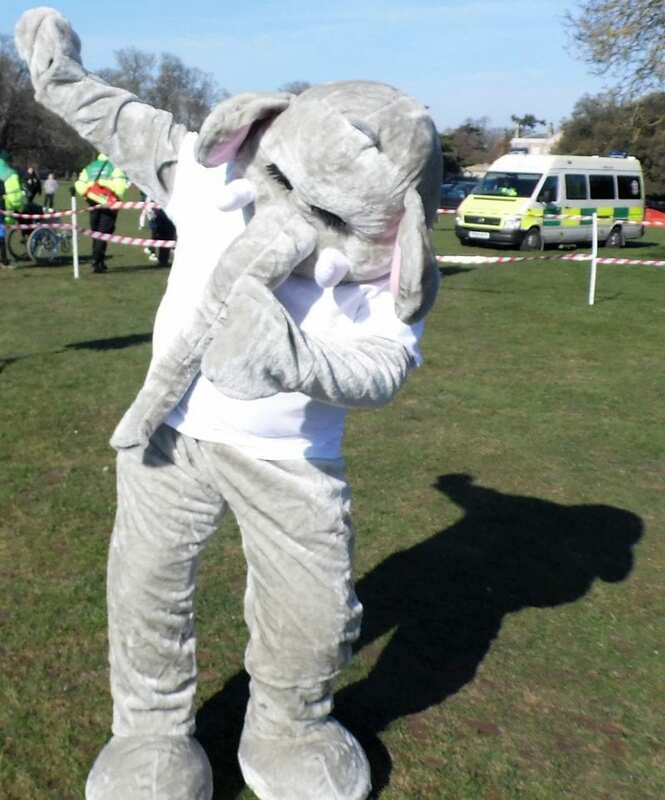 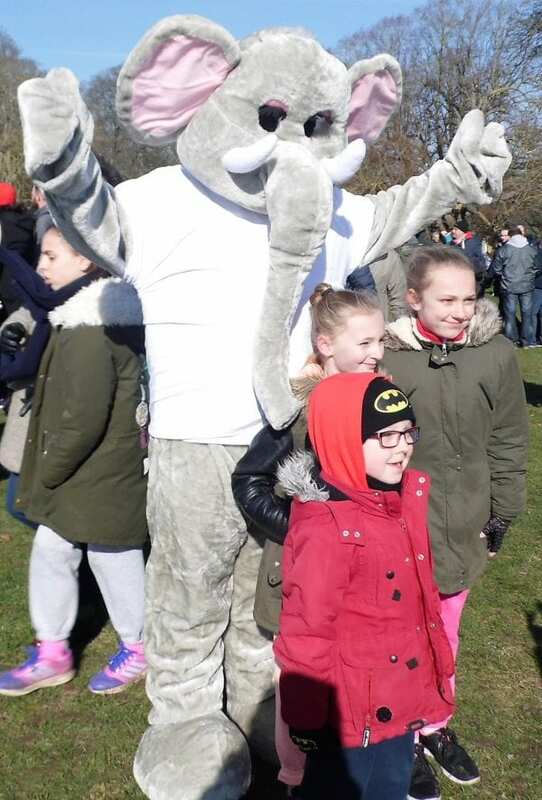 Our very own ‘Eddie’ also proved a hit throughout the morning as he gave out magazines and posed for photos at his first official sporting engagement. 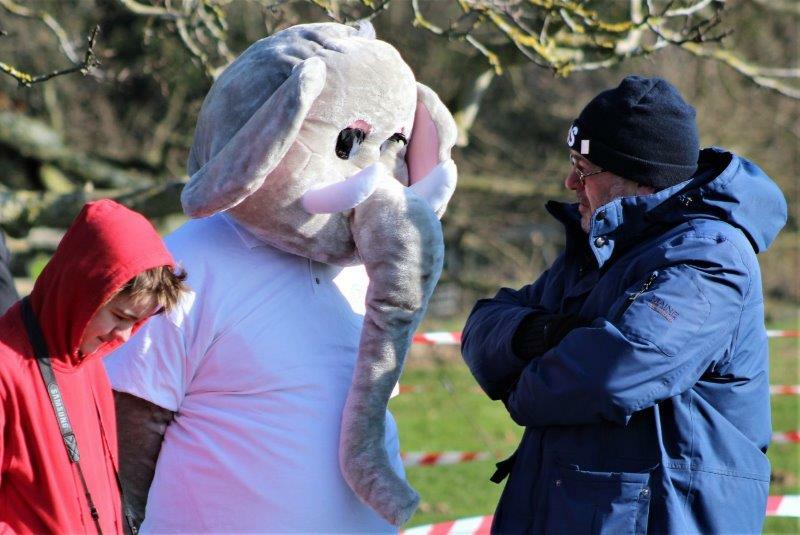 He was definitely the warmest attendee there, that’s for sure. 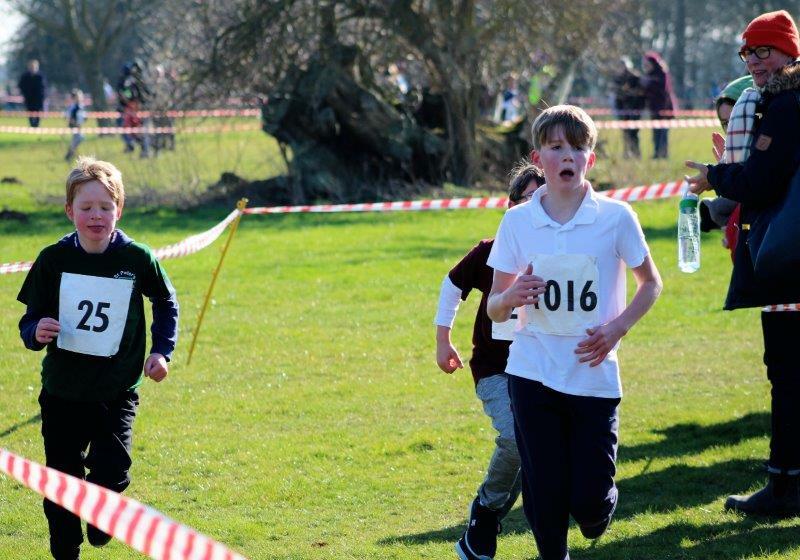 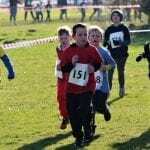 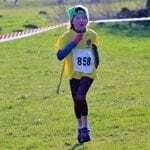 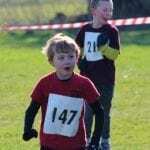 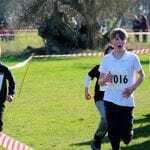 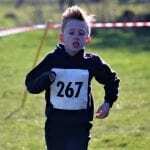 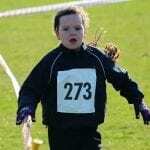 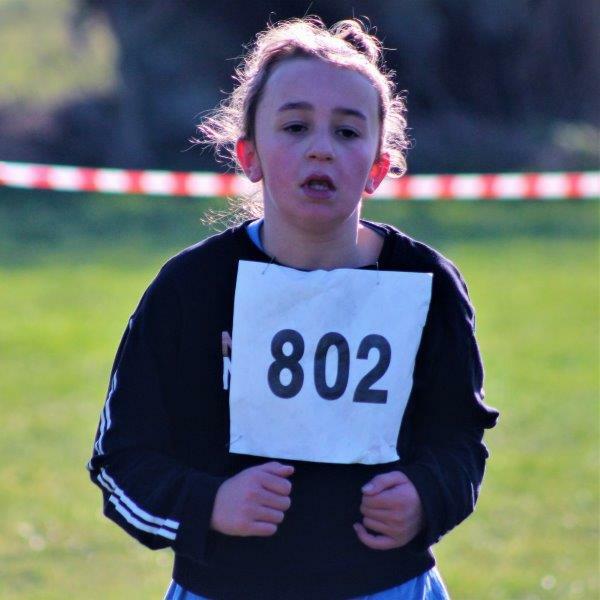 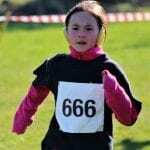 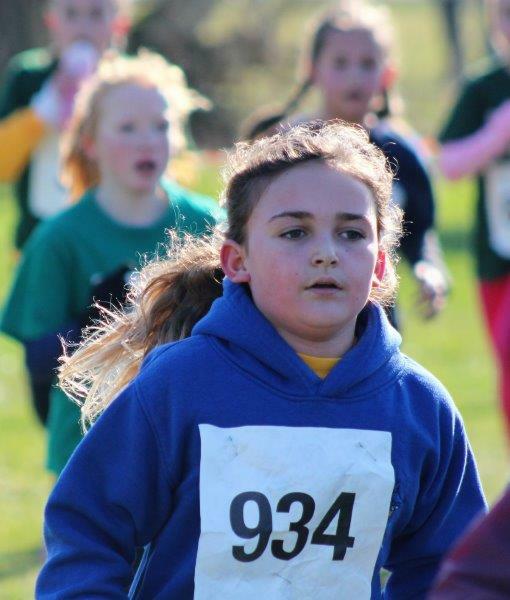 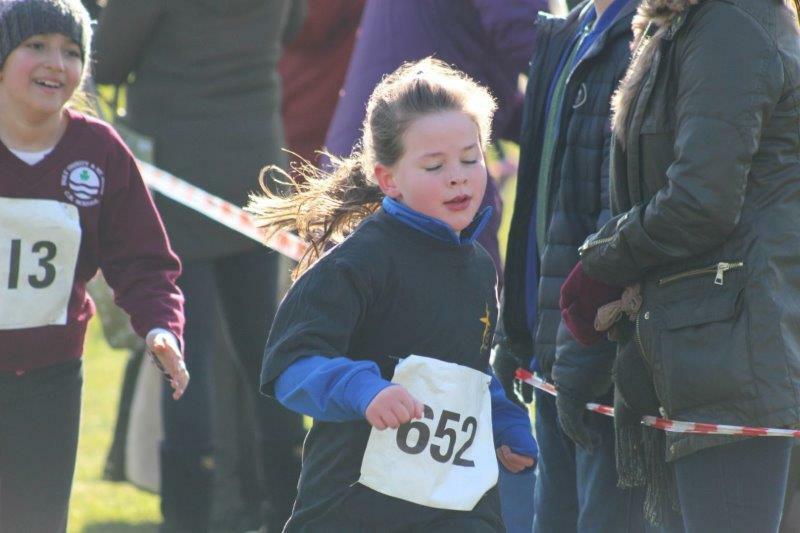 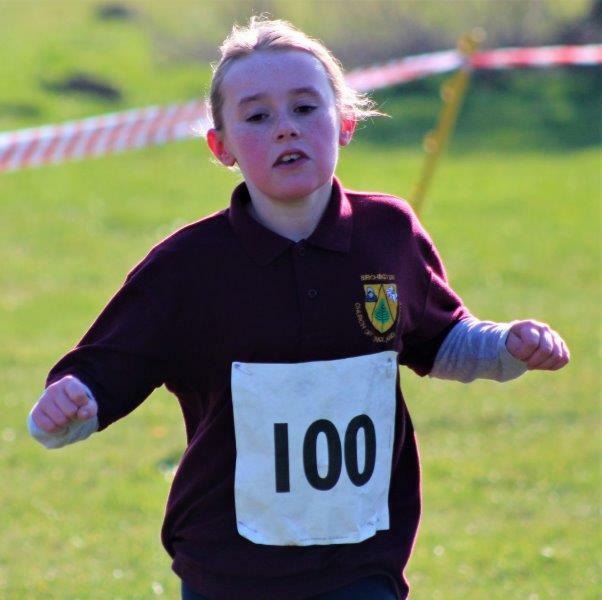 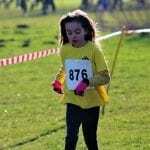 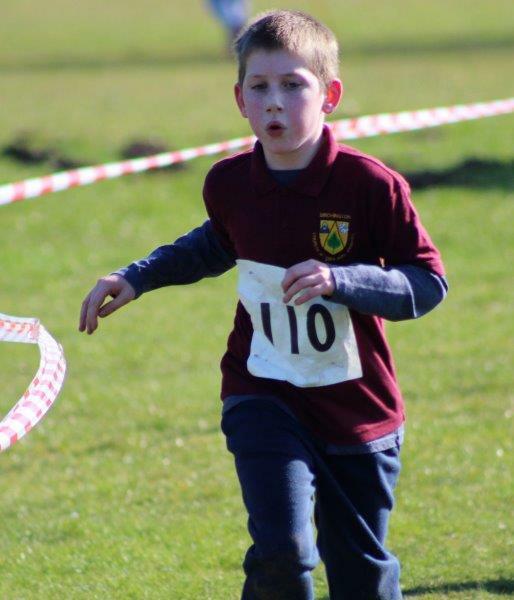 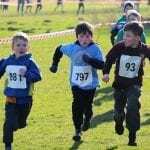 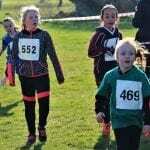 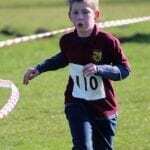 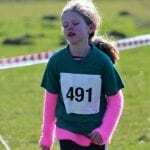 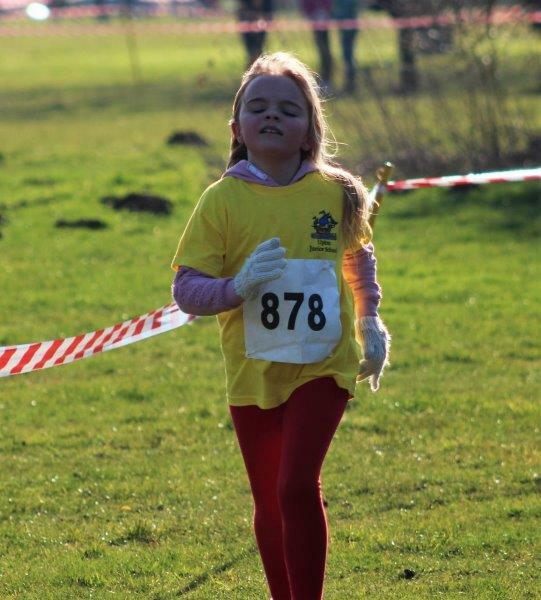 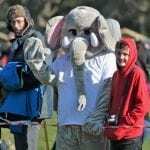 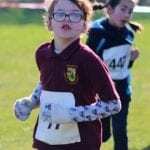 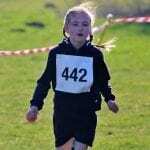 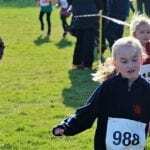 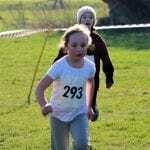 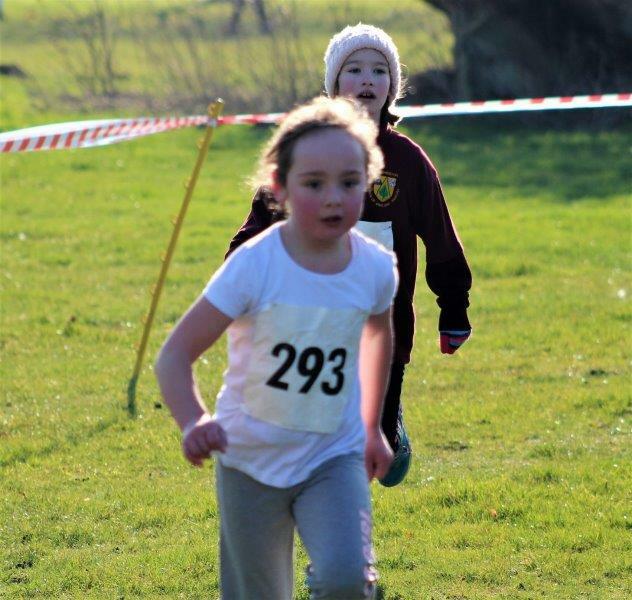 This Cross Country event, once again, has proved a resounding success. 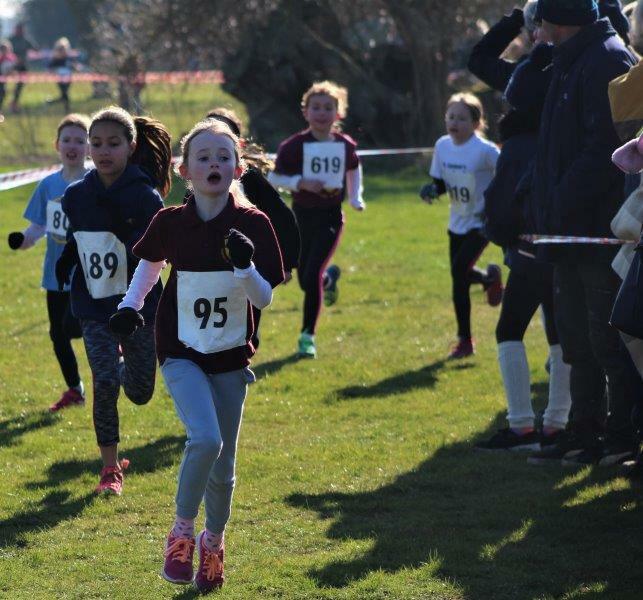 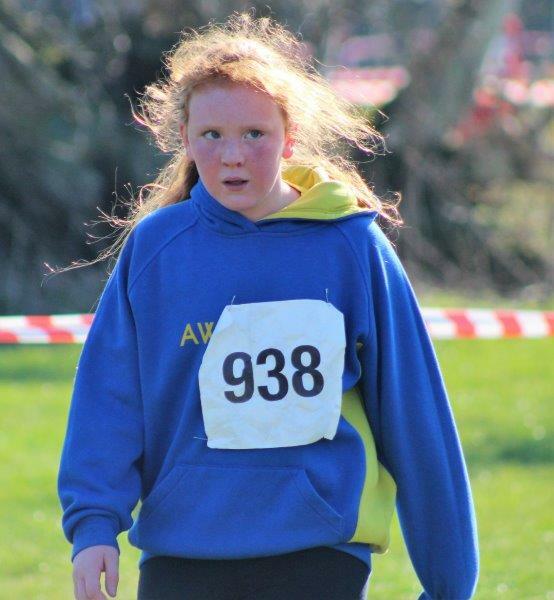 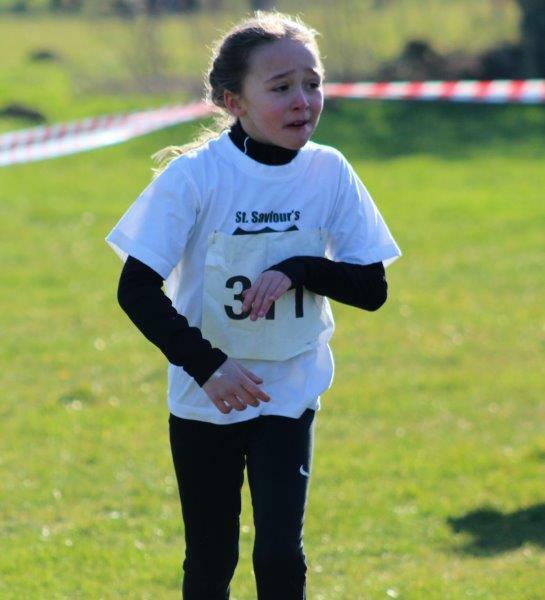 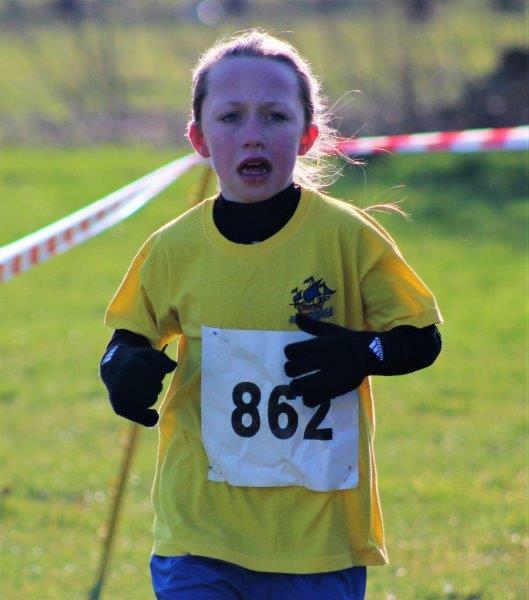 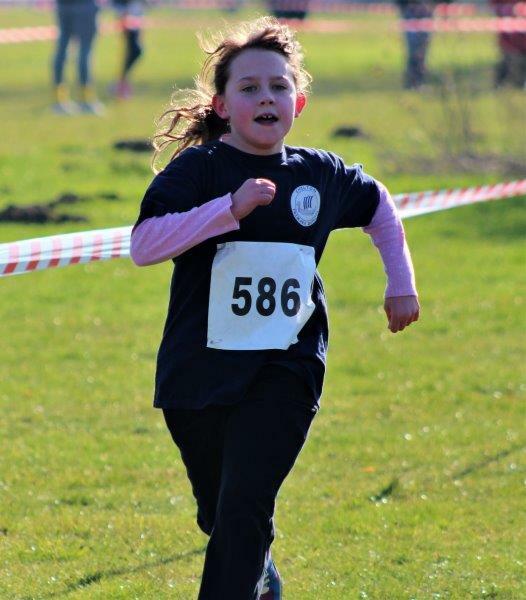 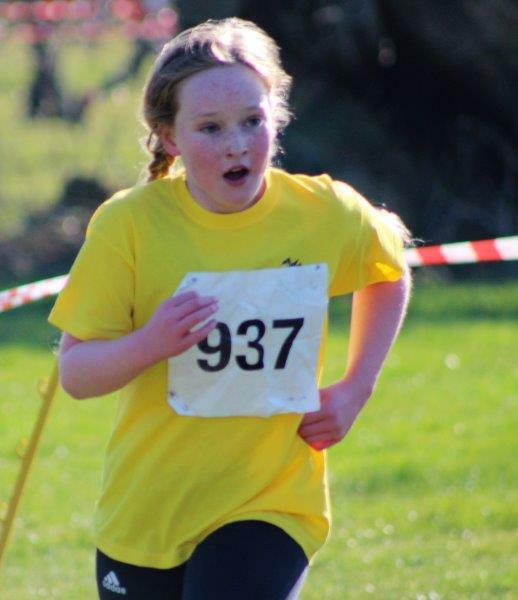 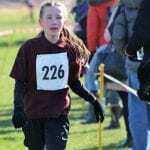 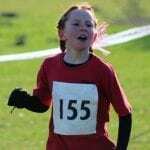 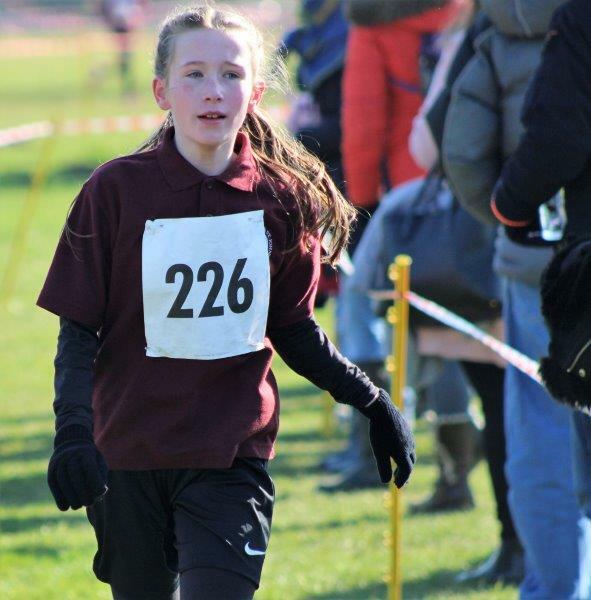 Every young runner competing was a credit to their school staff and their parents, all of whom also deserve a special mention. 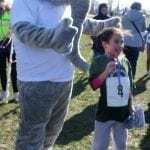 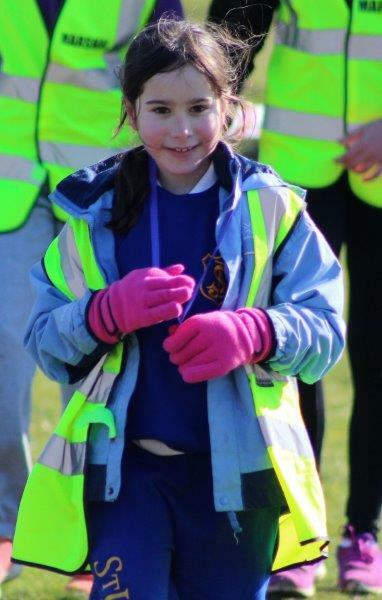 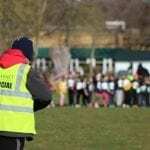 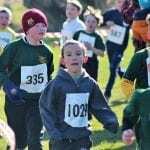 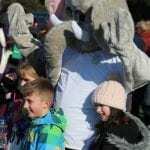 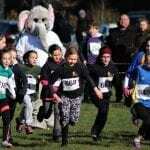 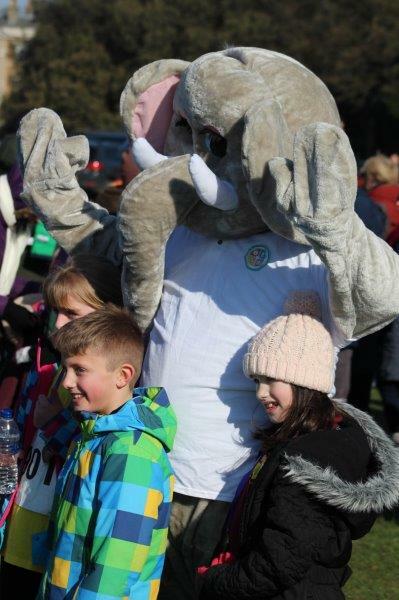 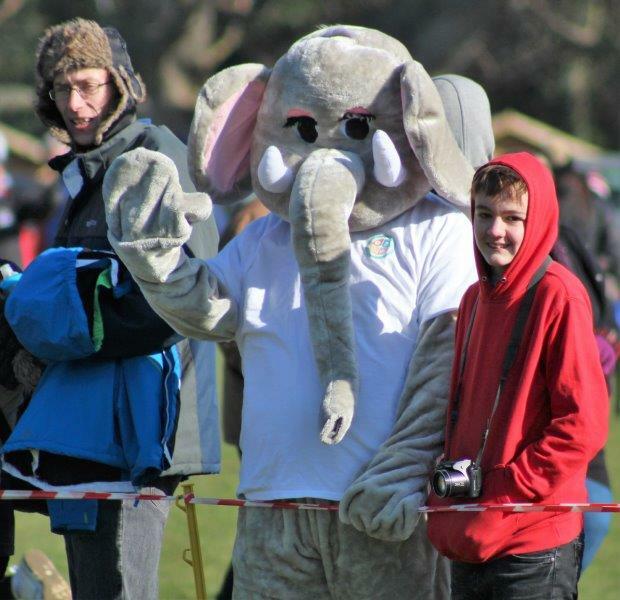 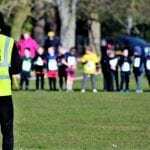 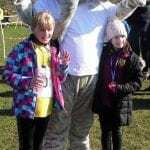 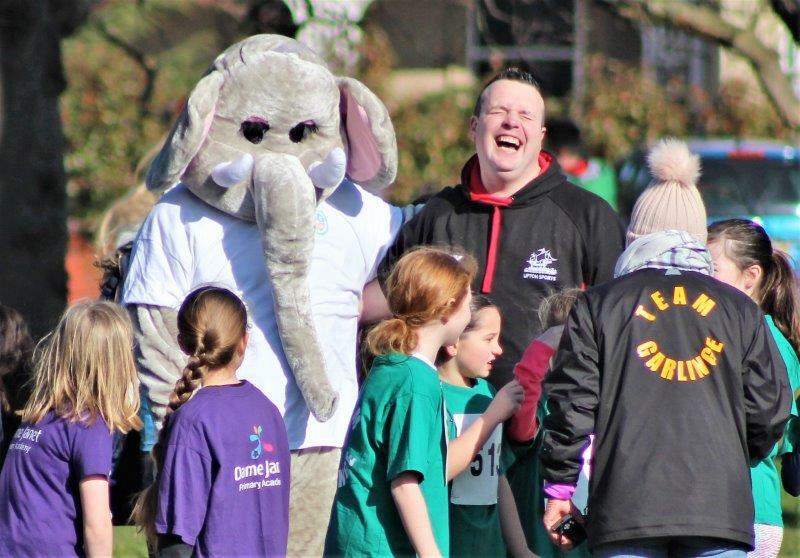 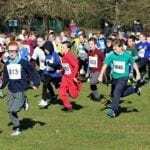 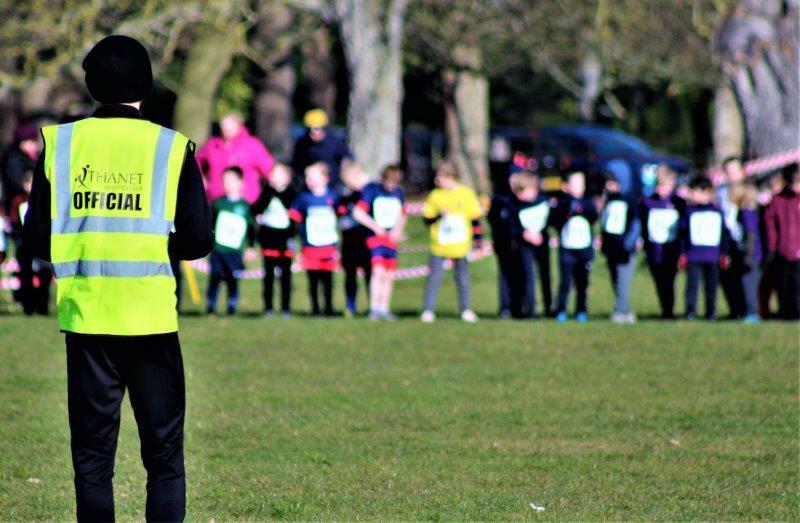 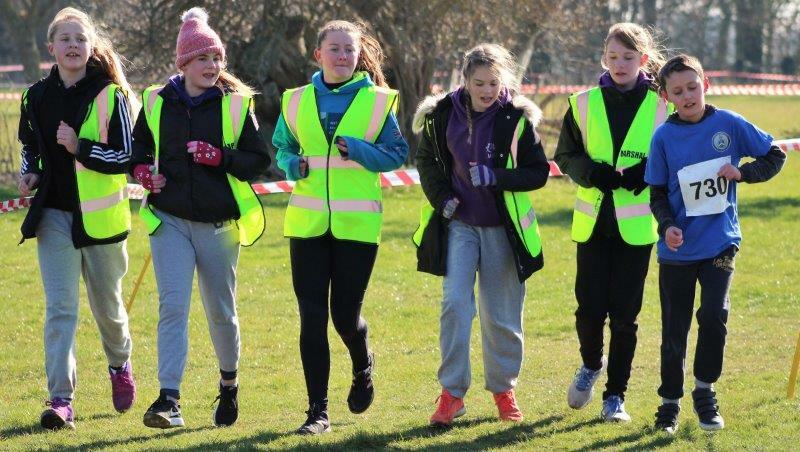 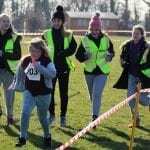 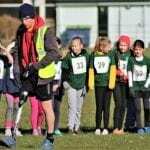 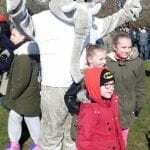 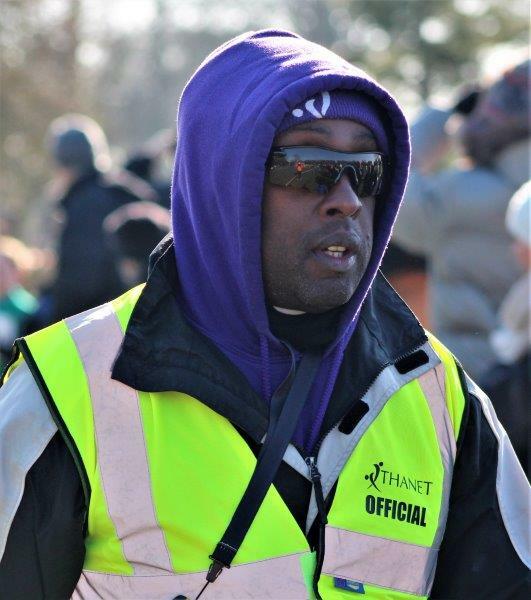 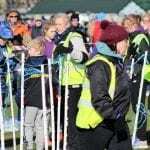 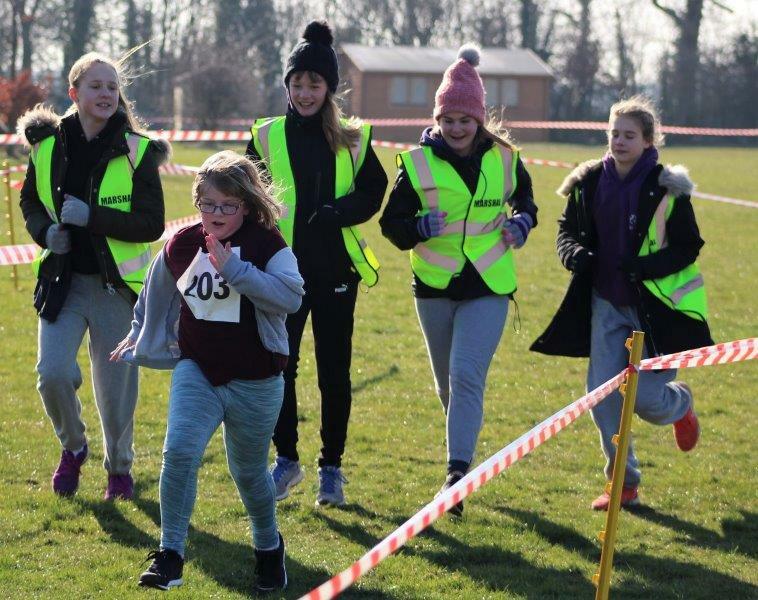 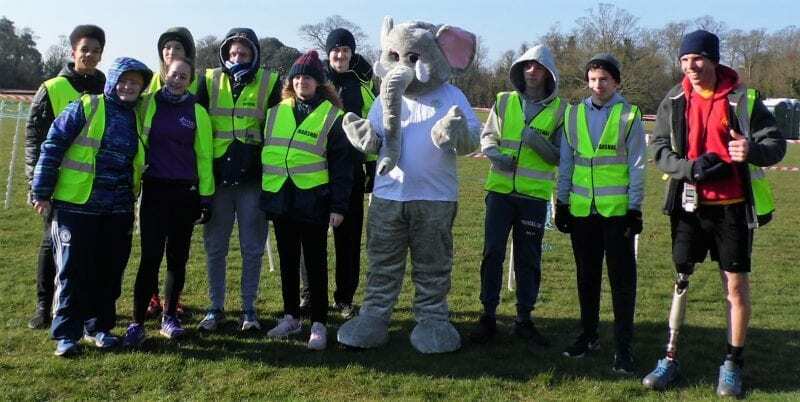 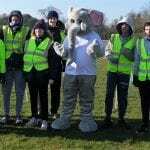 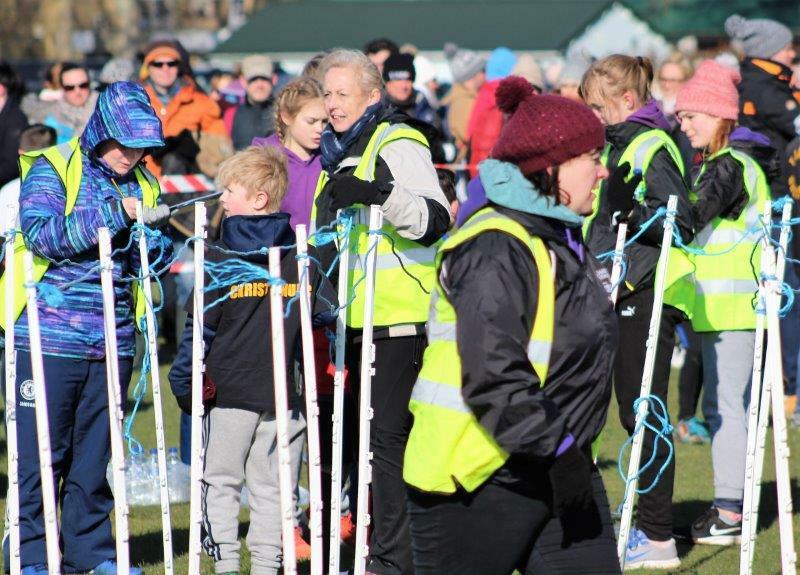 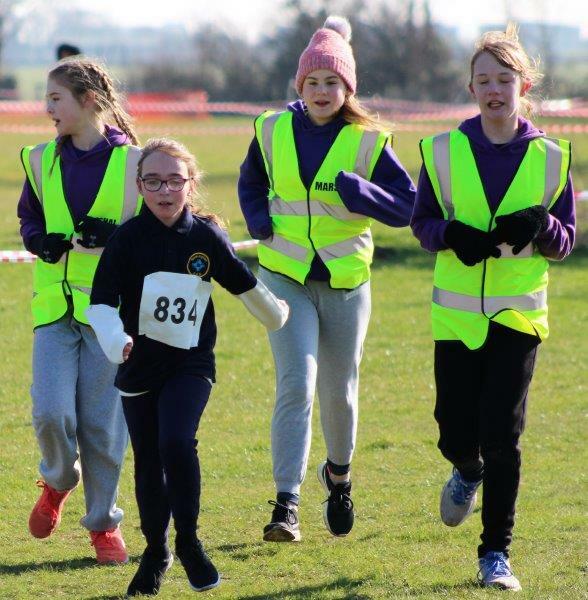 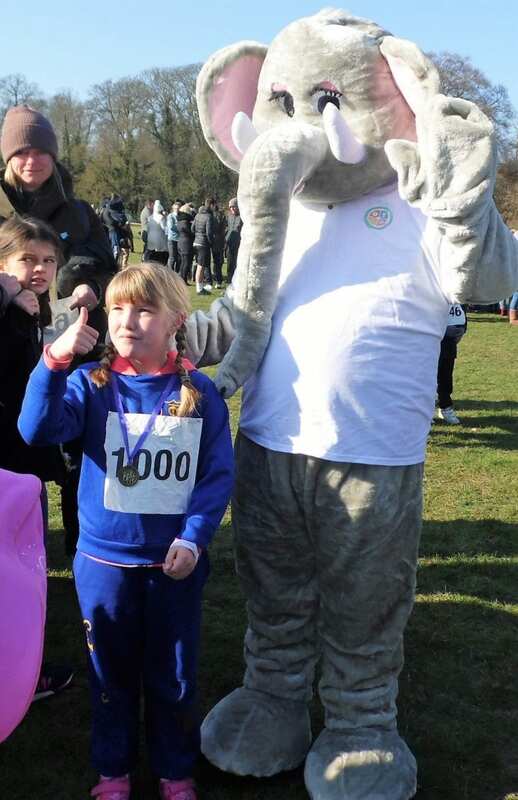 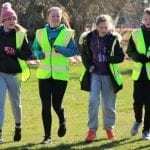 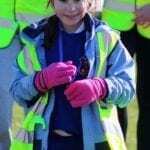 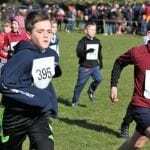 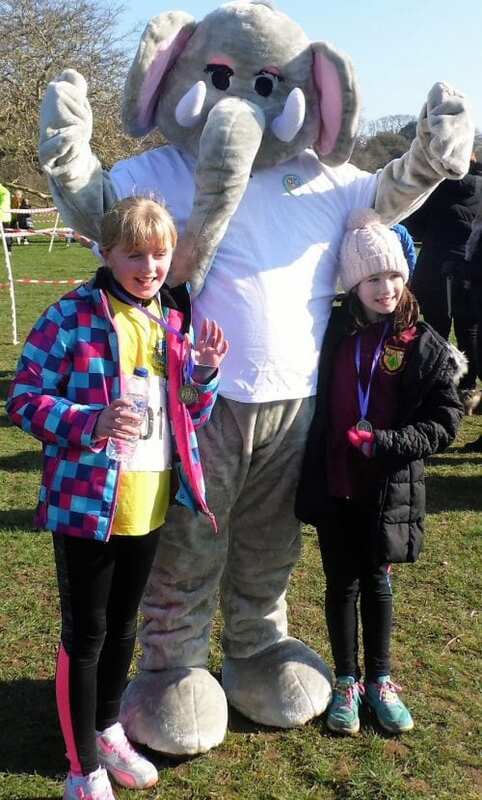 An event such as this, on a bitterly cold, windy Saturday morning, simply could not take place without the support of the hundreds of parents, and teams of dedicated school staff who support the children, provide lifts and give up their own time to help. 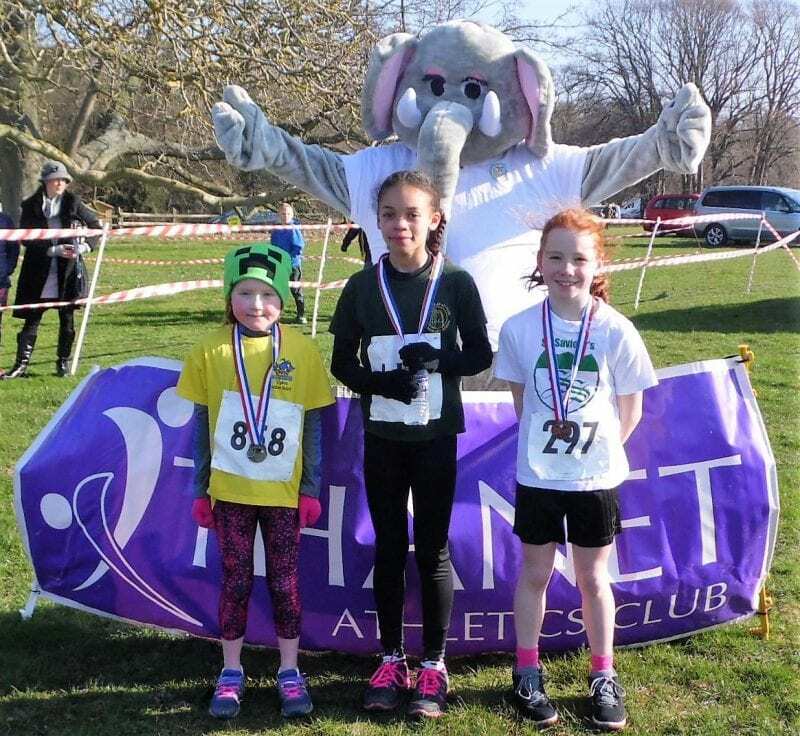 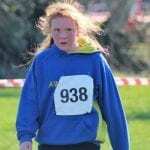 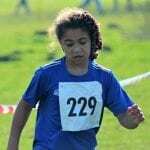 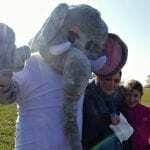 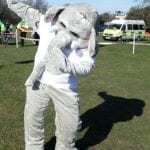 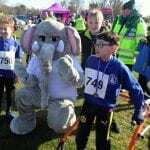 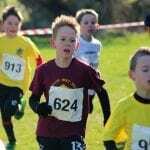 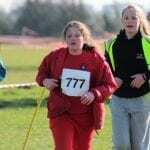 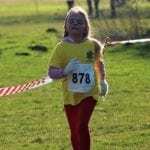 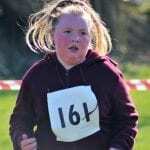 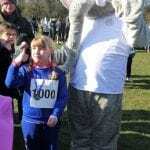 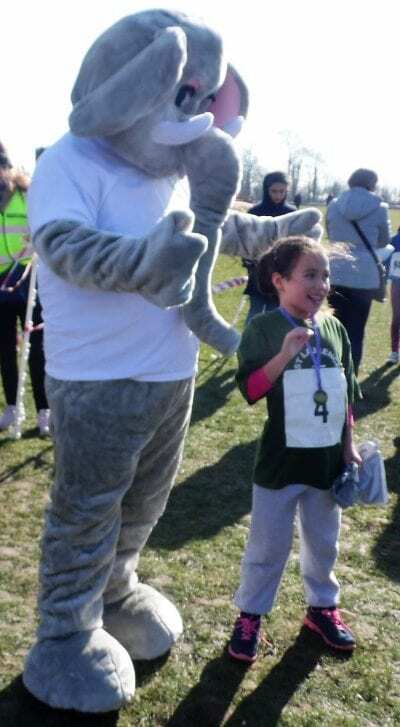 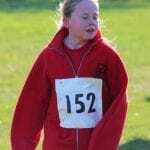 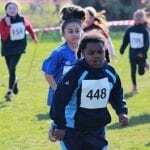 I would like to thank Thanet Athletics Club for inviting me along to this fantastic event. 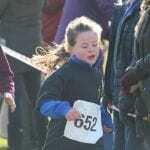 Their staff, coaches and Young Leaders were fabulous throughout the morning. 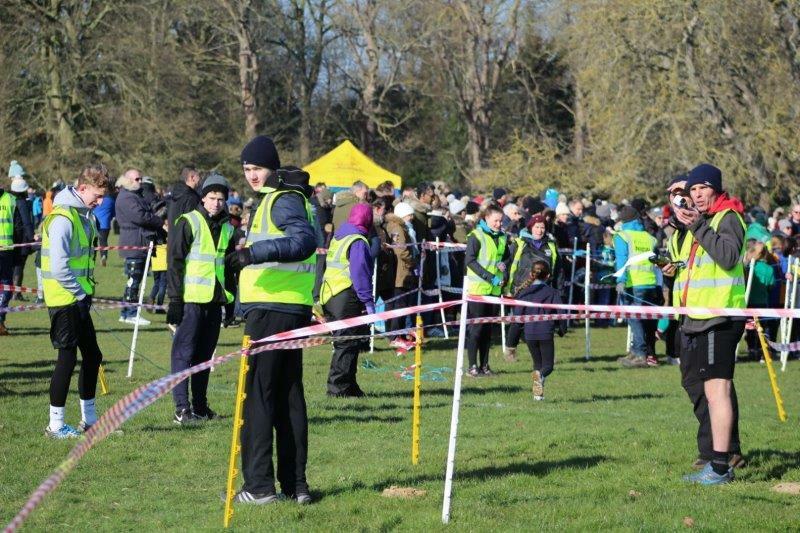 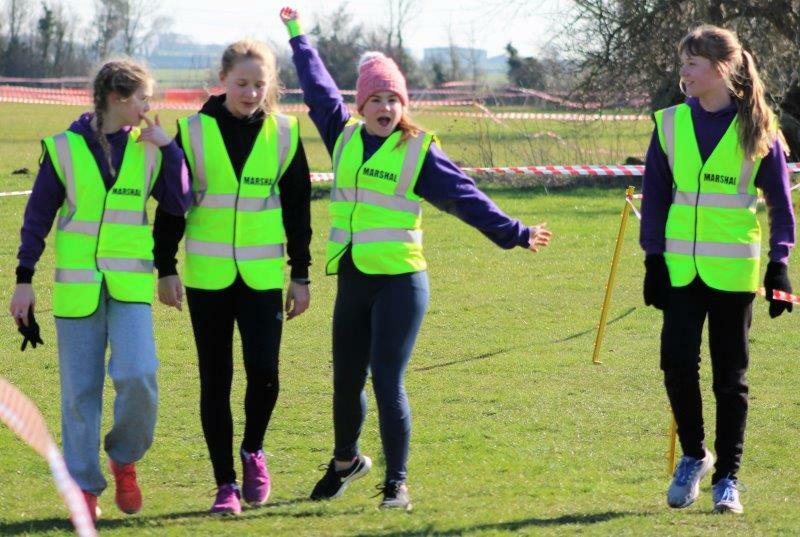 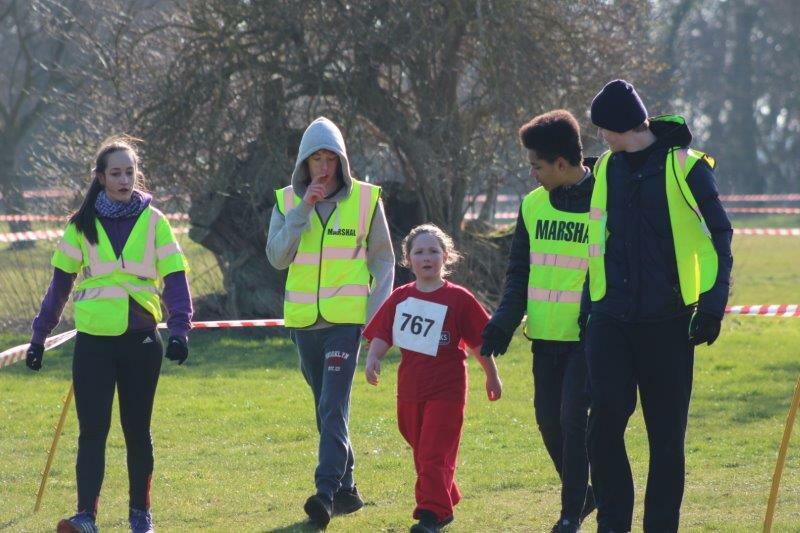 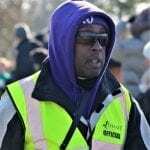 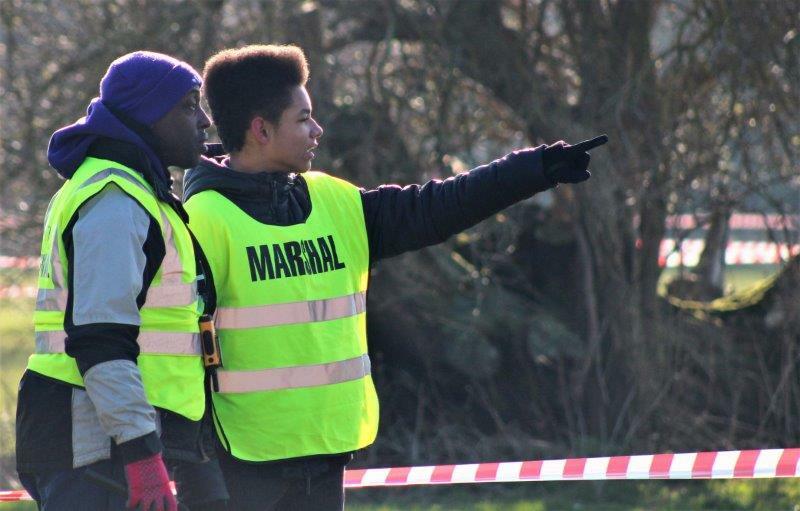 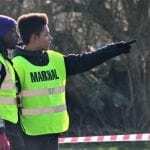 The officials ensured the event ran smoothly and the young club volunteers were exceptional as they encouraged every single runner through the course and across the finish line. 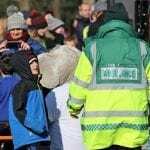 Thanks must also be given to the crew from Margate Ambulance for their support at the event. 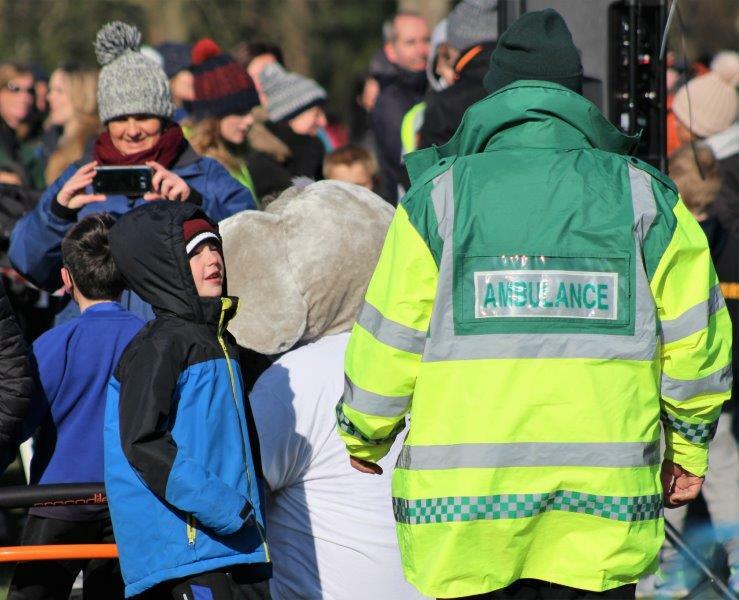 Please enjoy our bumper gallery of the event and feel free to share this article with anyone who may be interested.